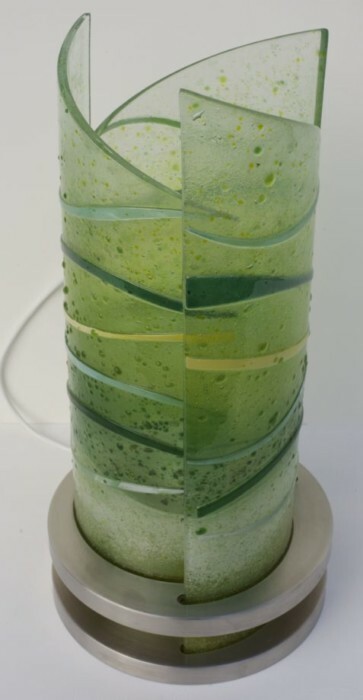 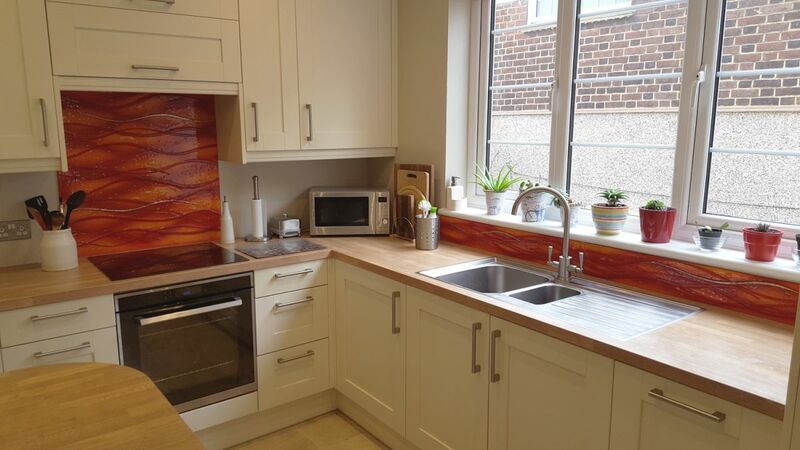 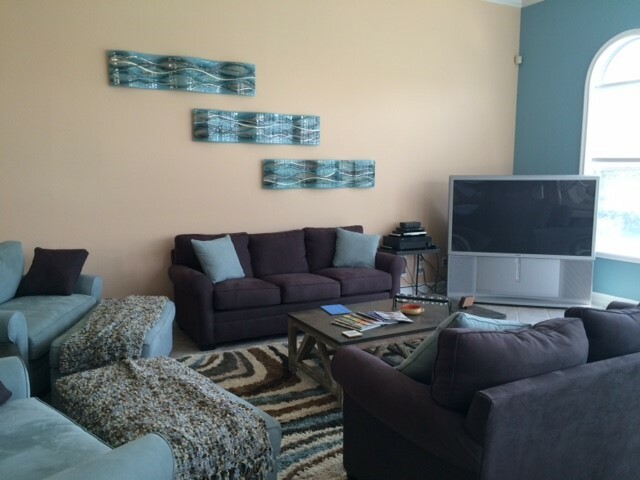 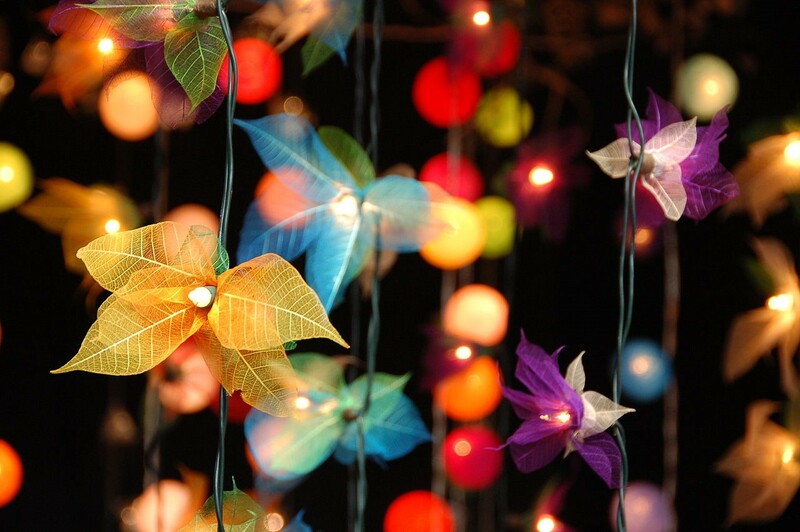 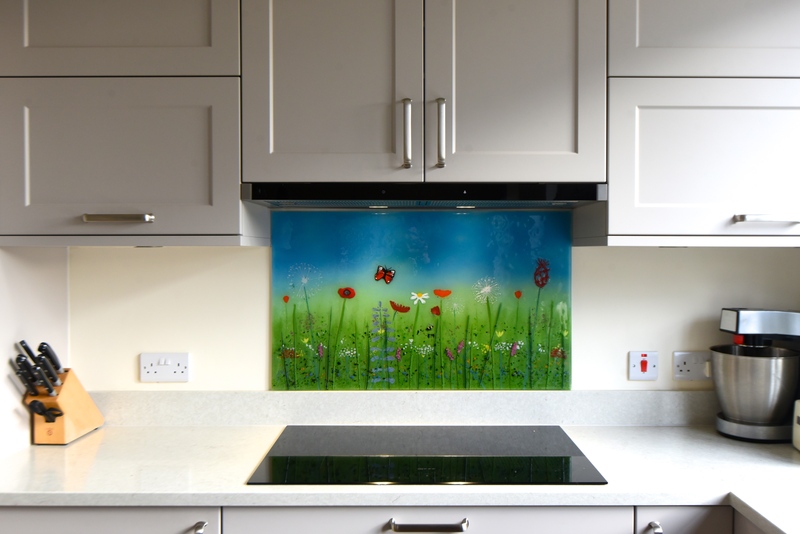 Looking for something fresh to breathe life into a space in your home? 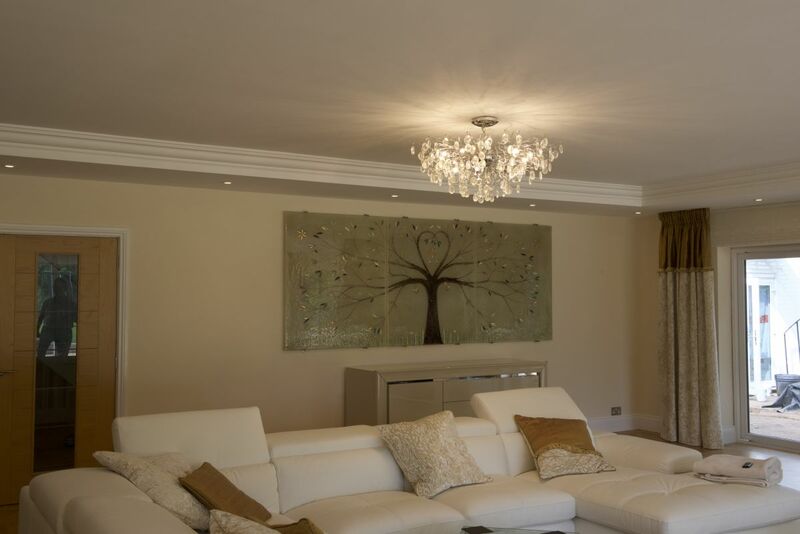 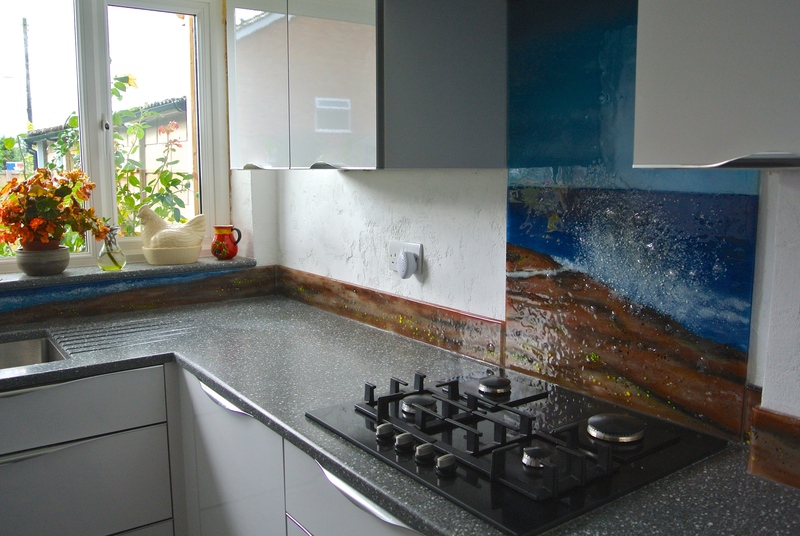 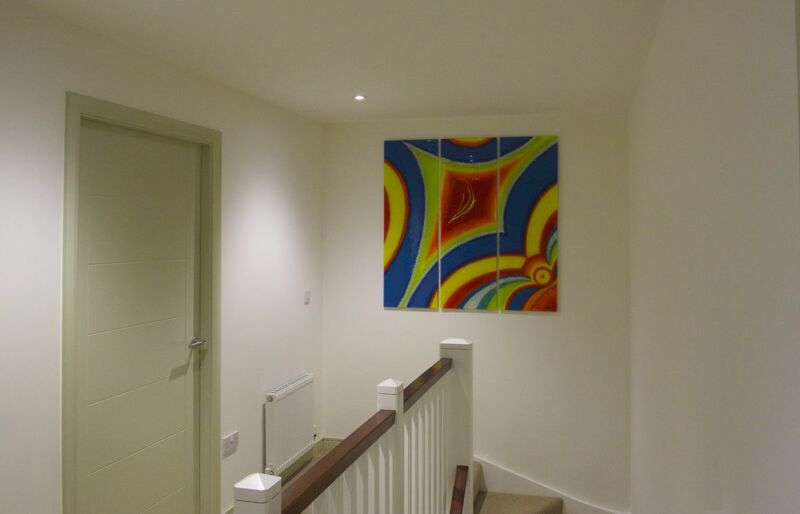 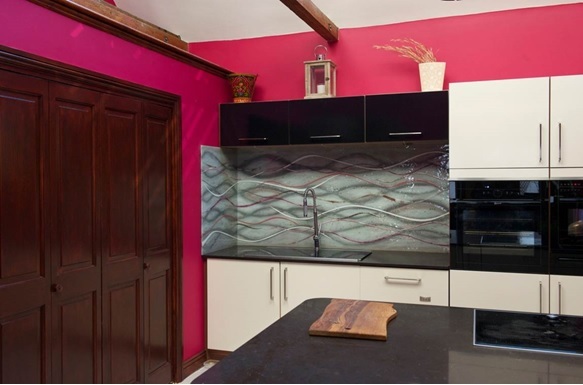 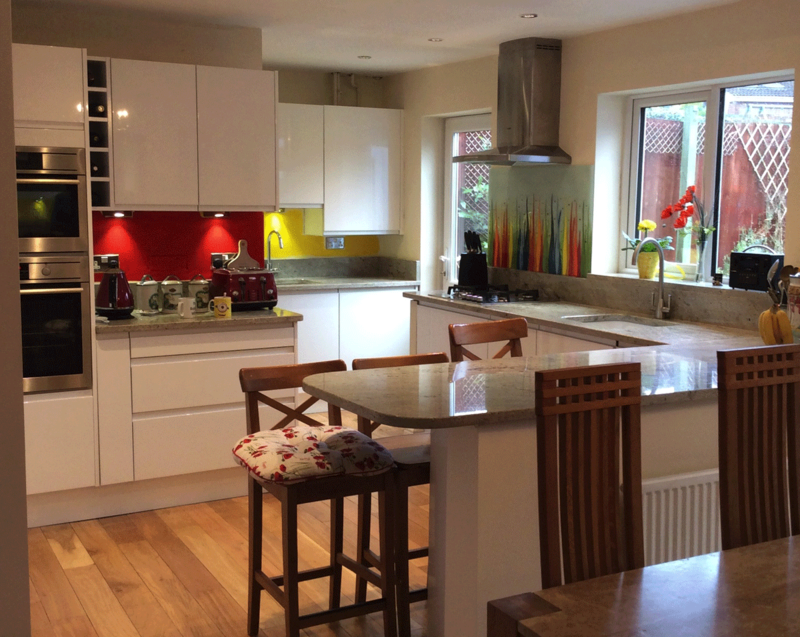 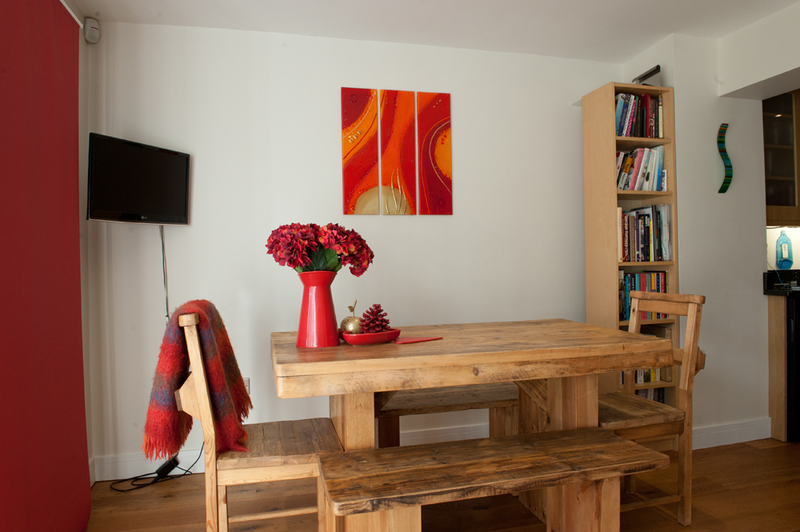 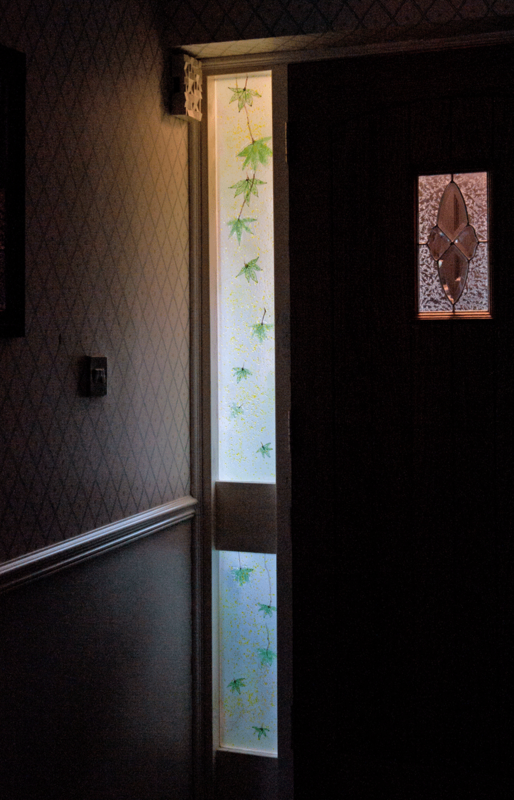 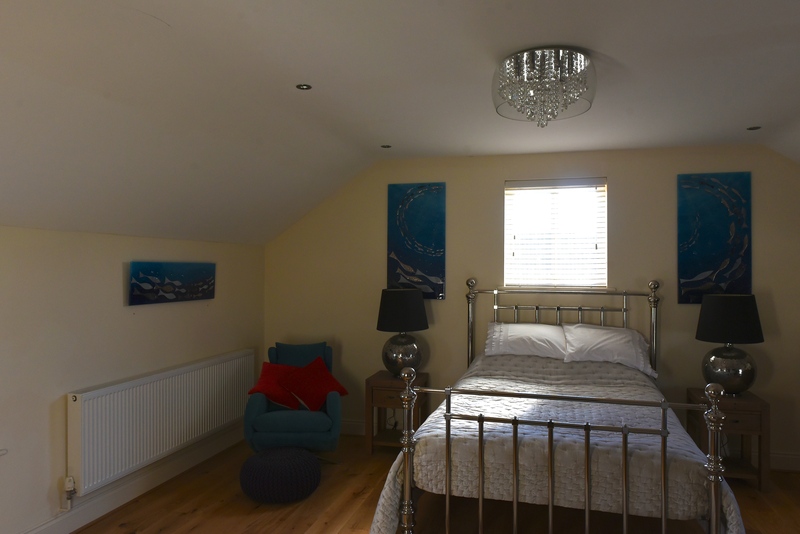 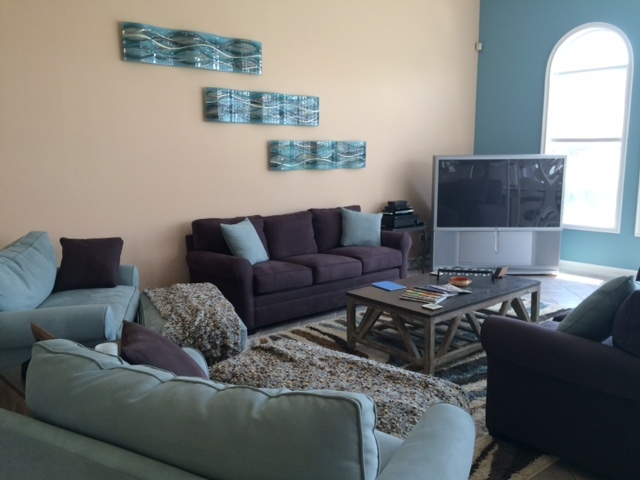 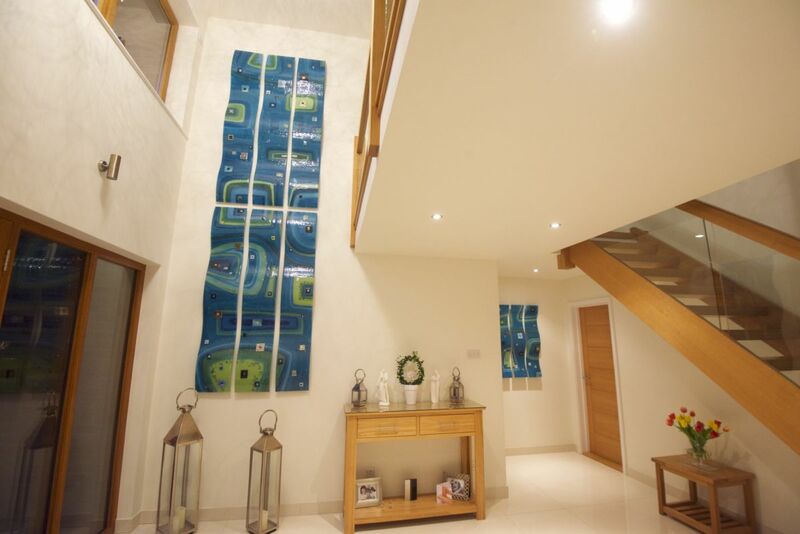 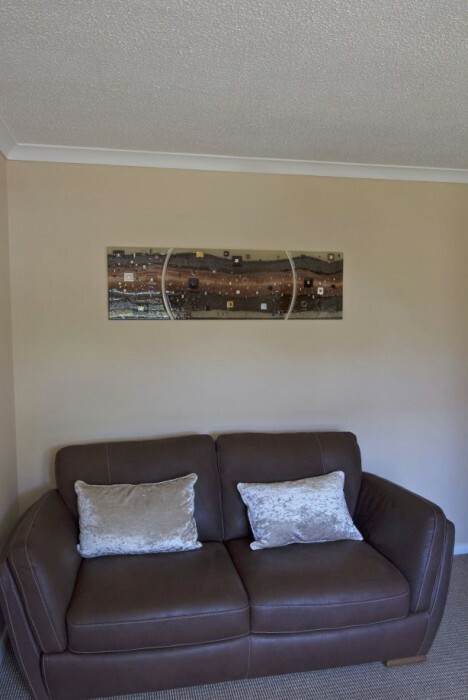 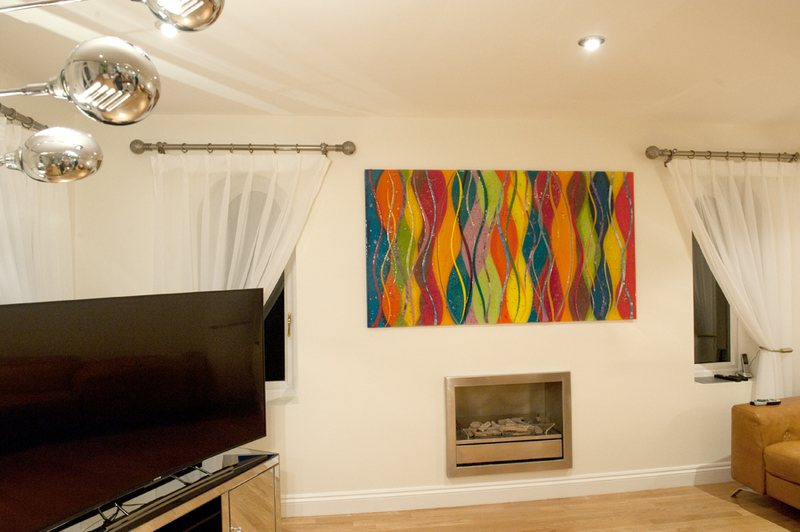 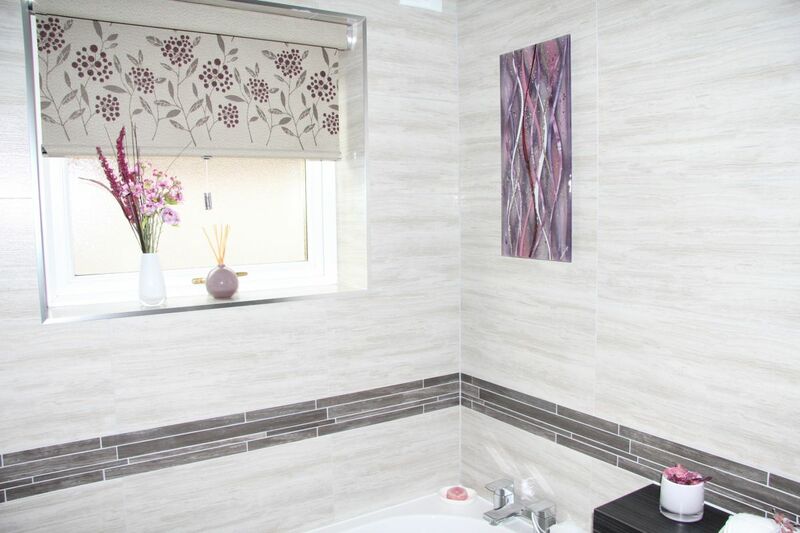 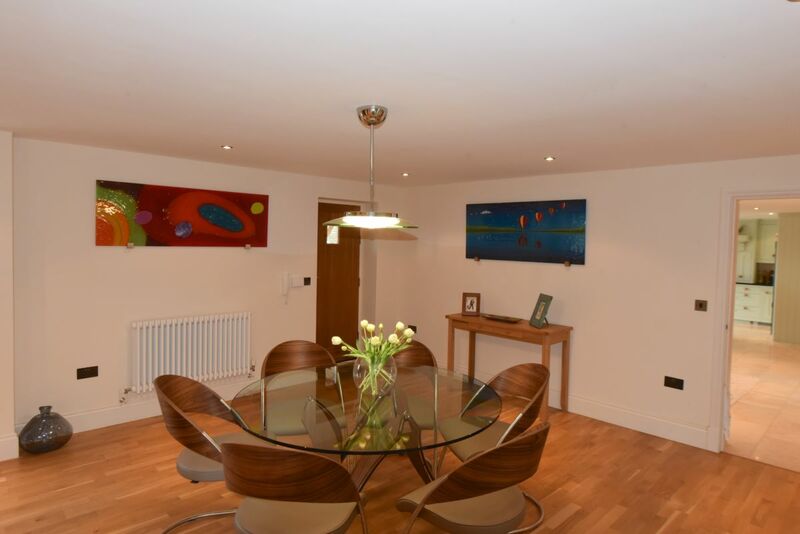 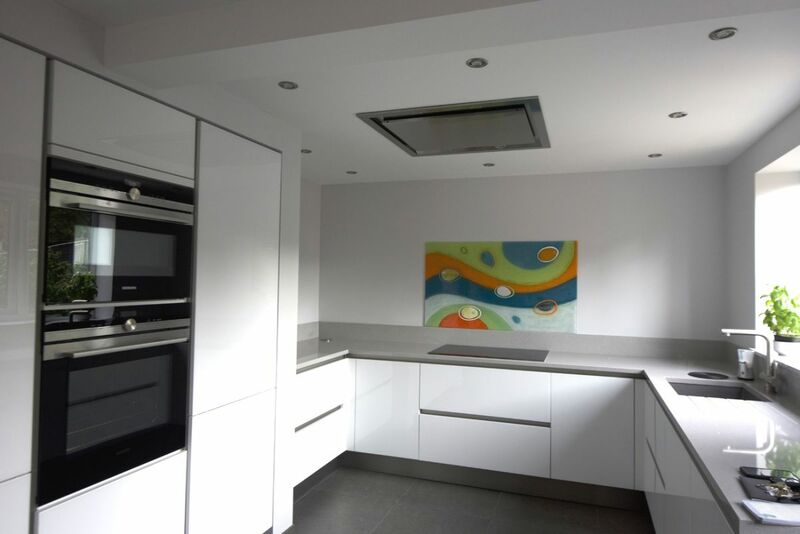 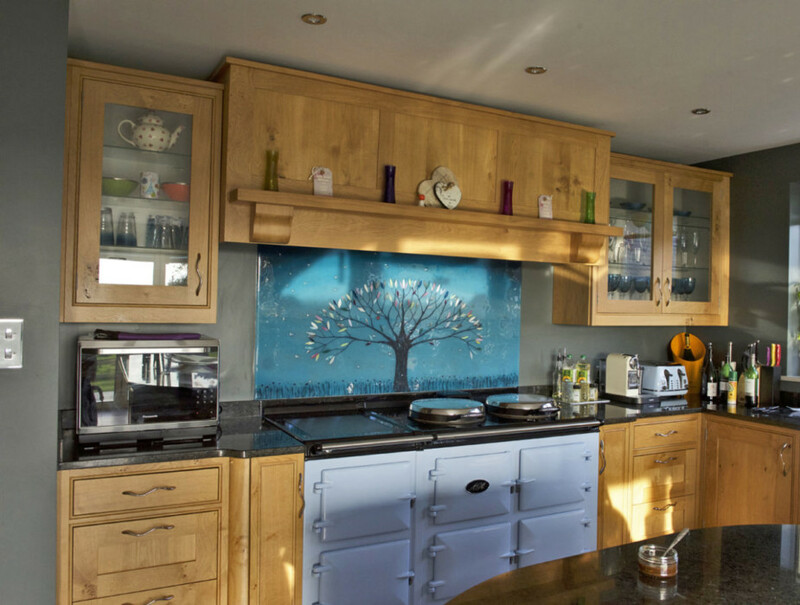 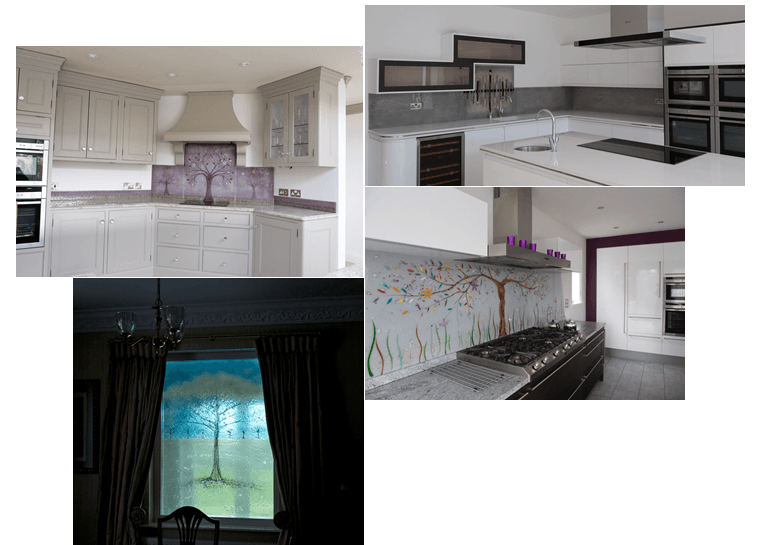 Is there a wall in your property that’s starkly lacking some colour? 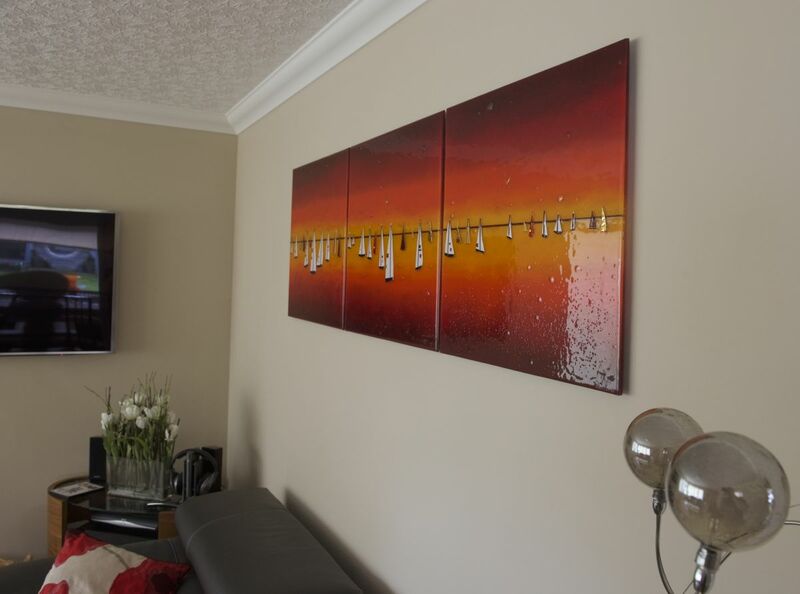 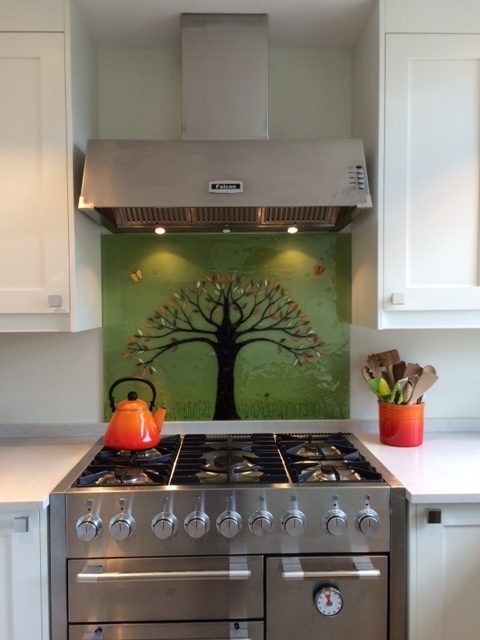 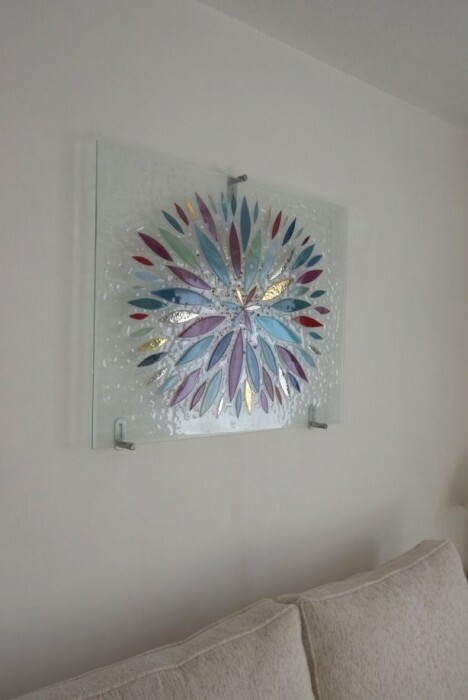 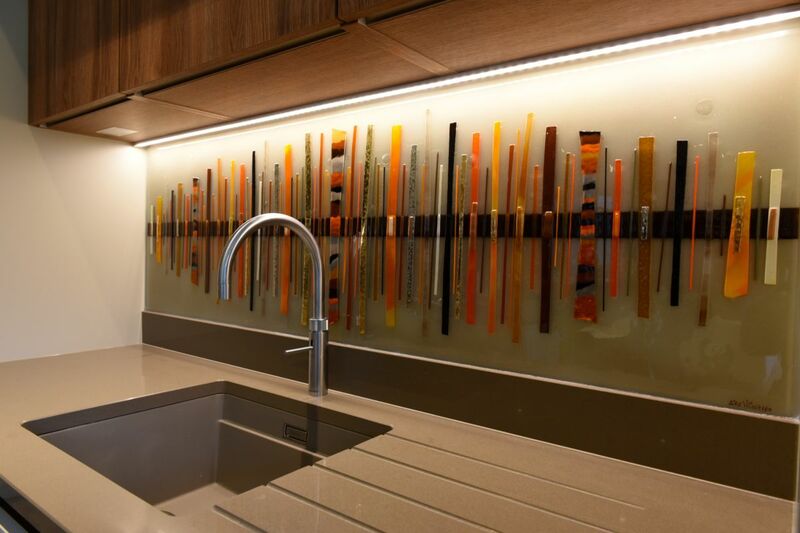 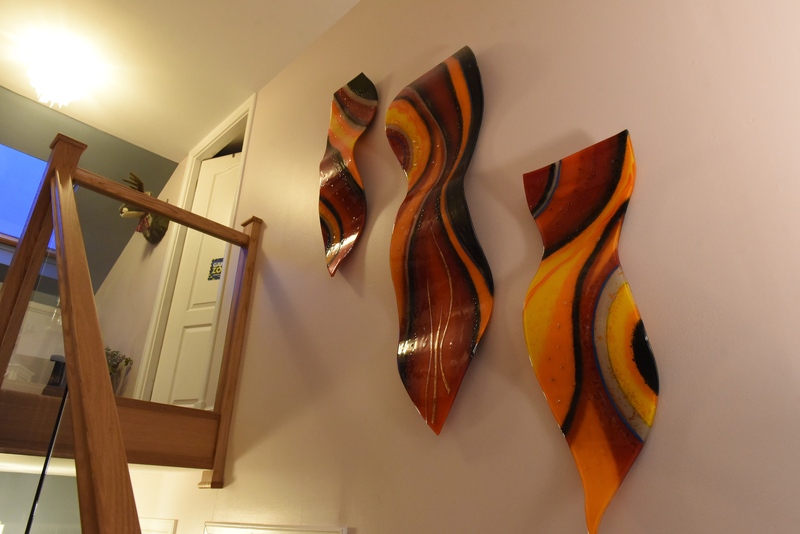 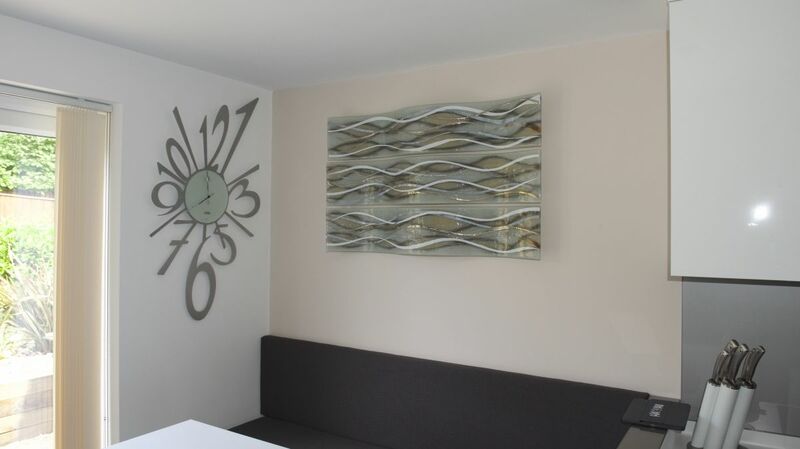 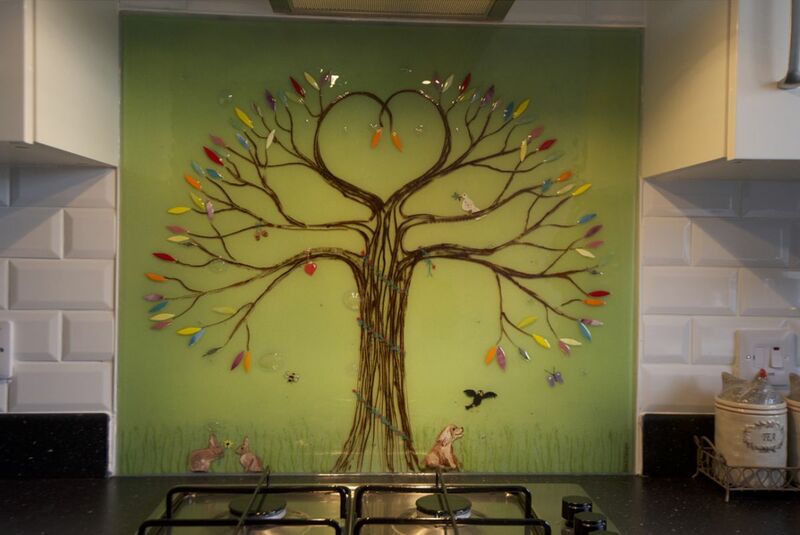 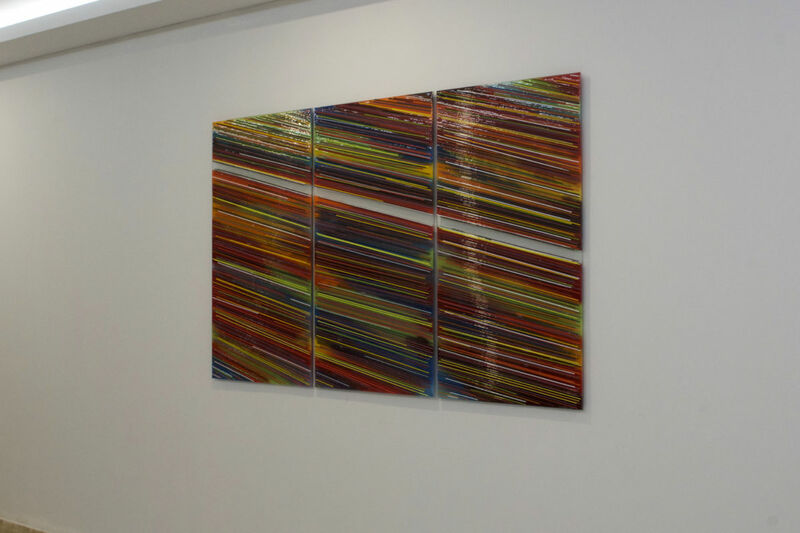 Glass wall art might just be what you need! 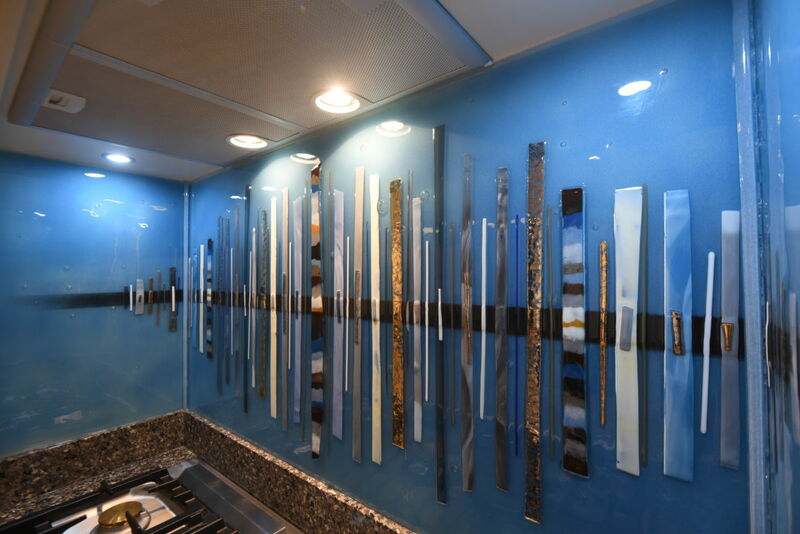 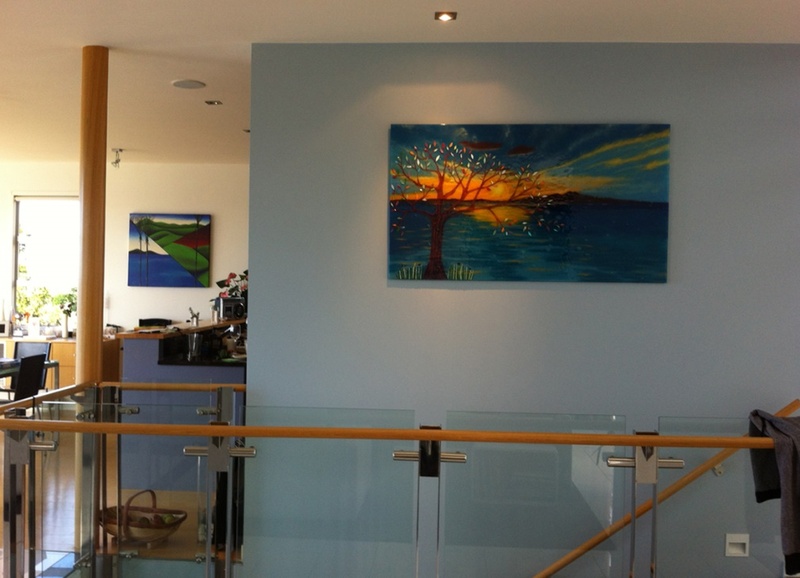 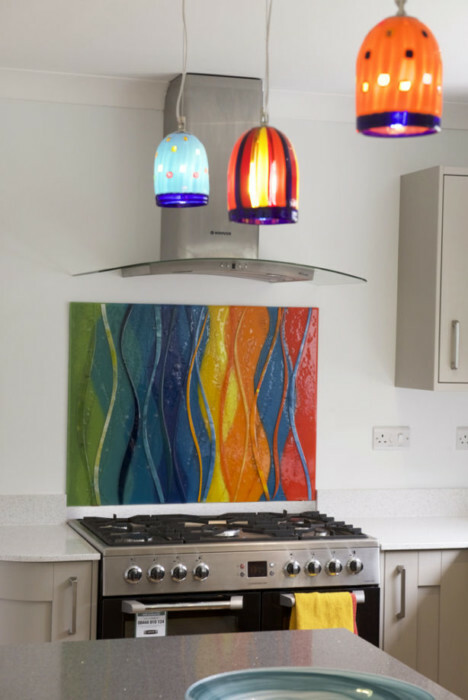 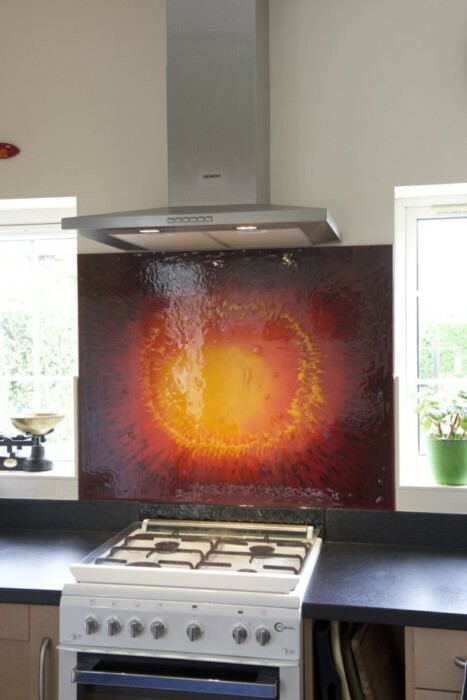 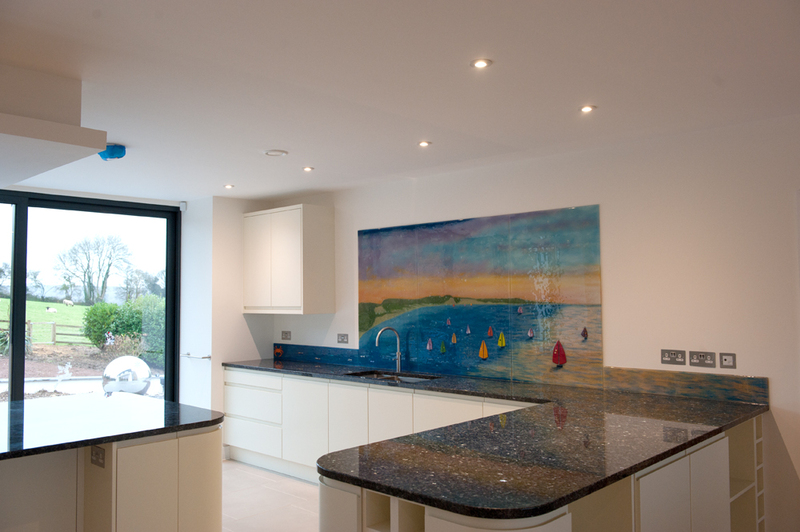 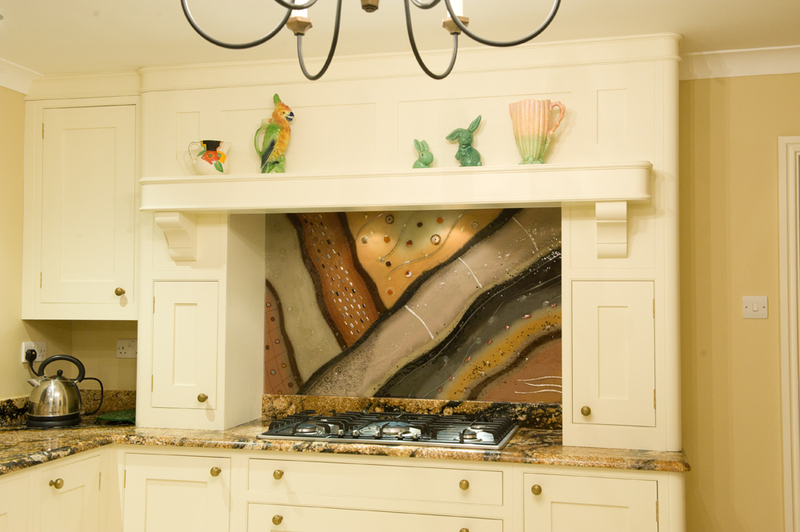 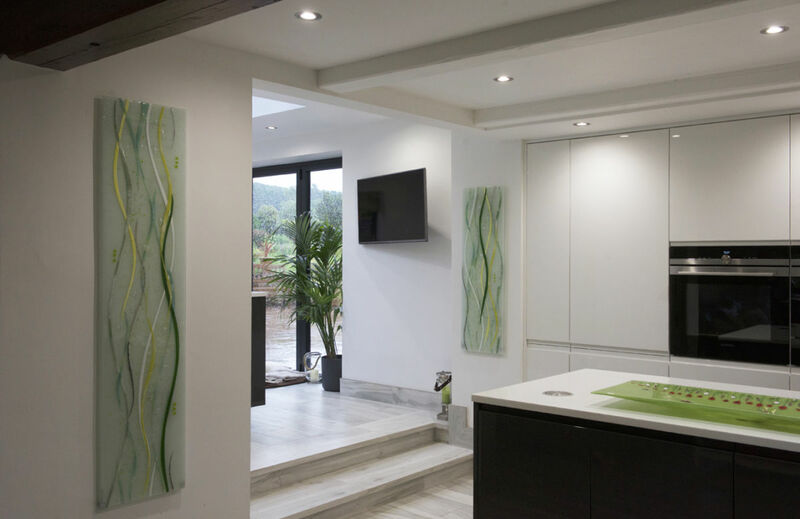 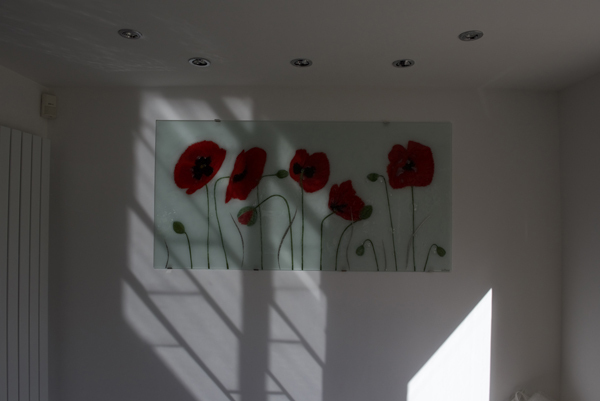 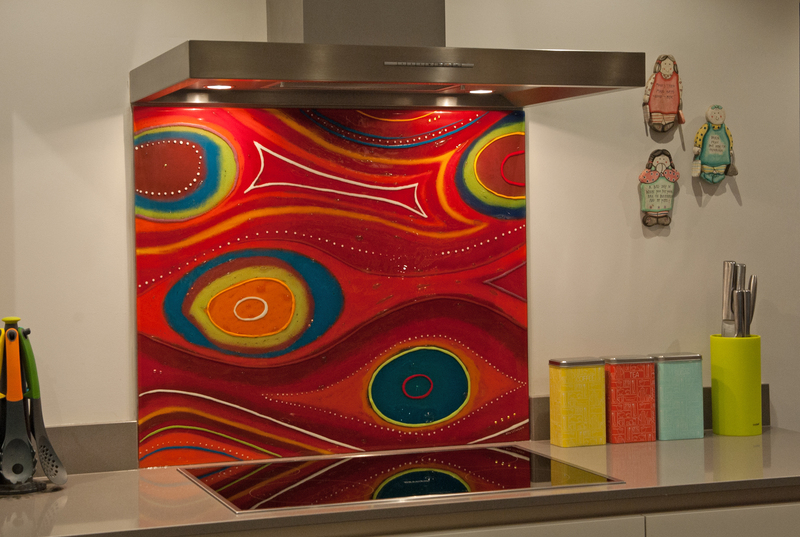 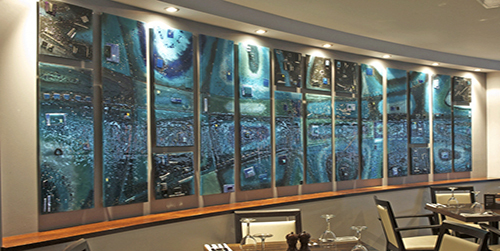 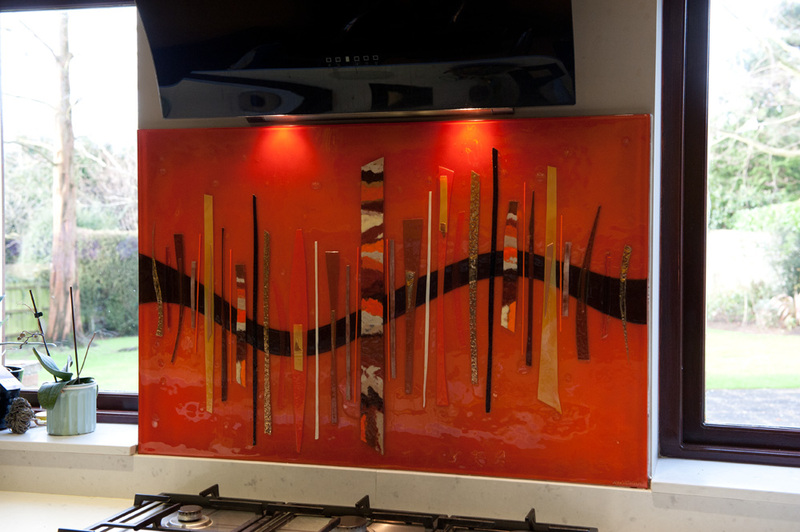 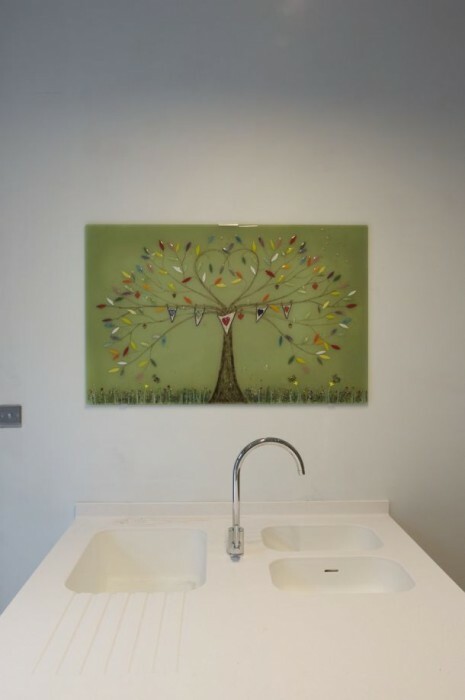 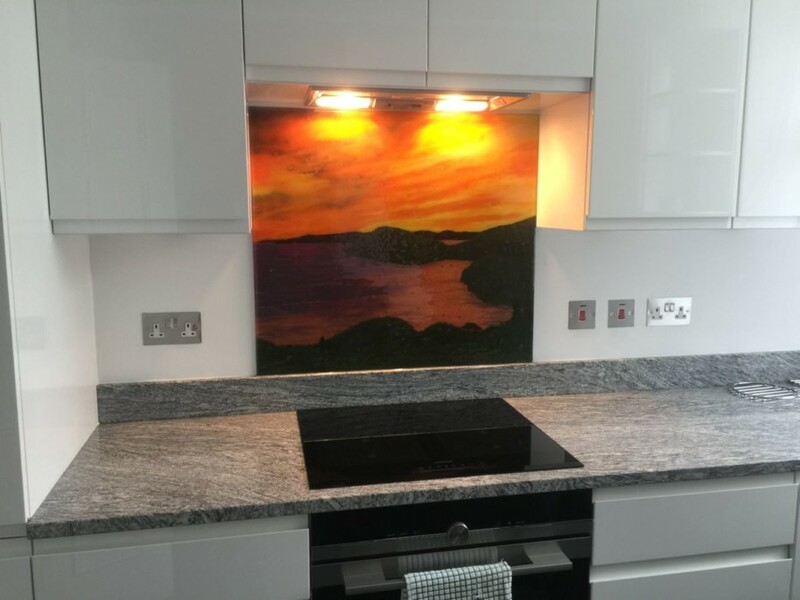 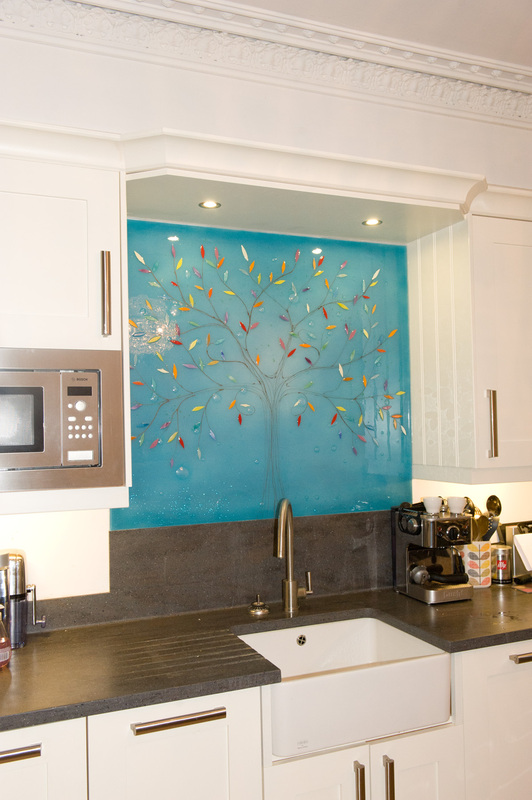 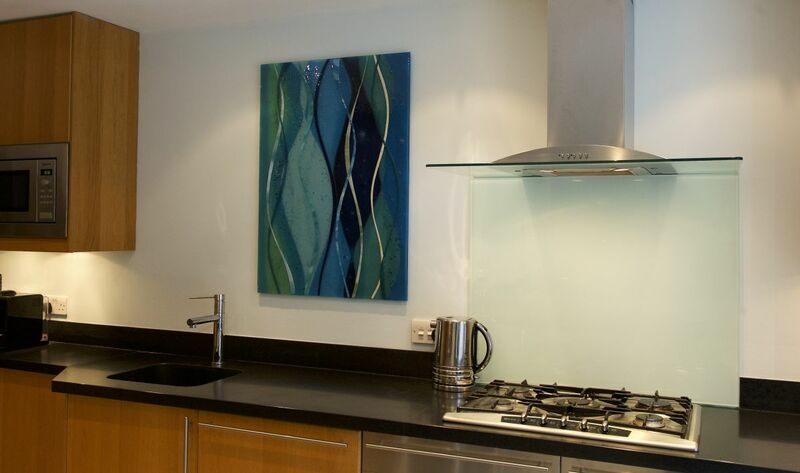 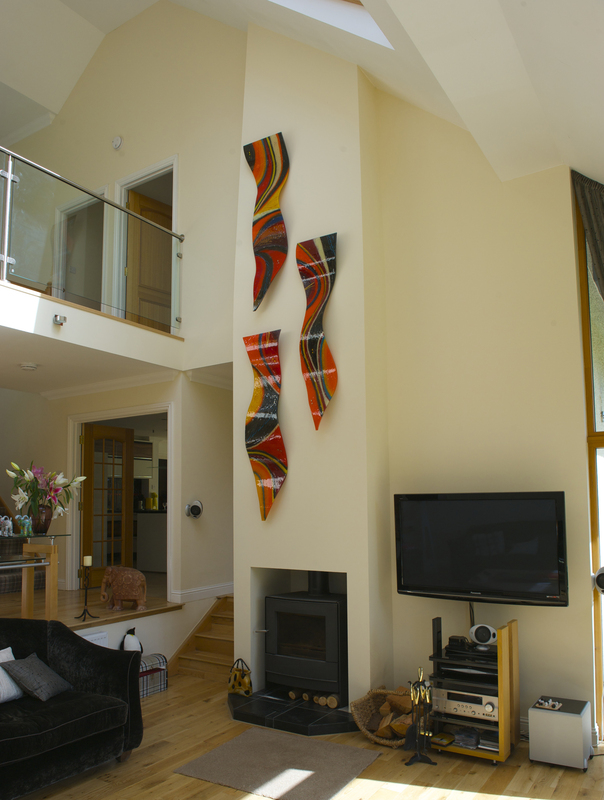 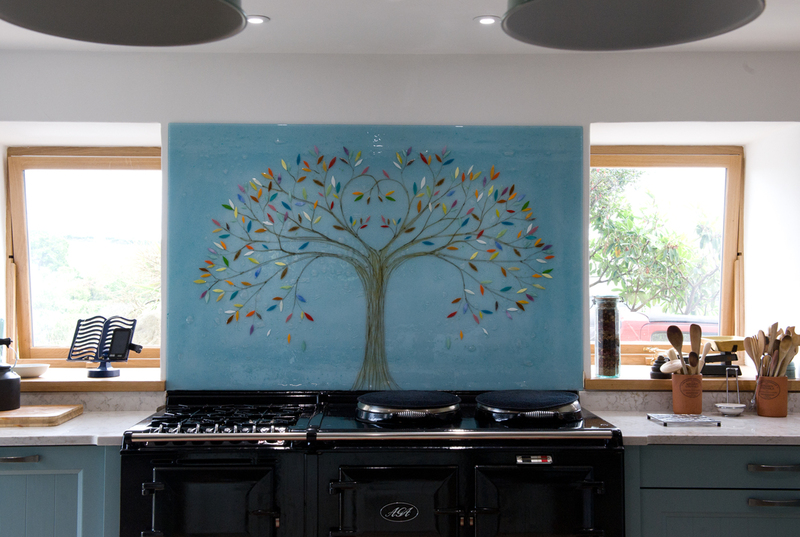 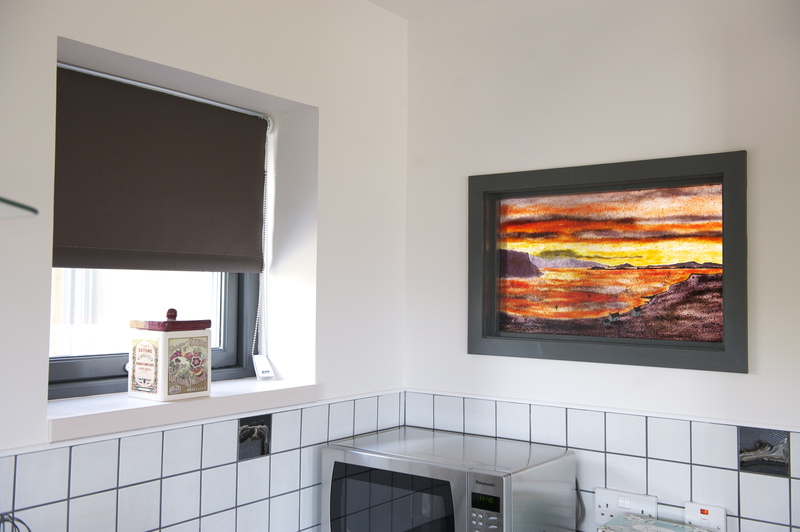 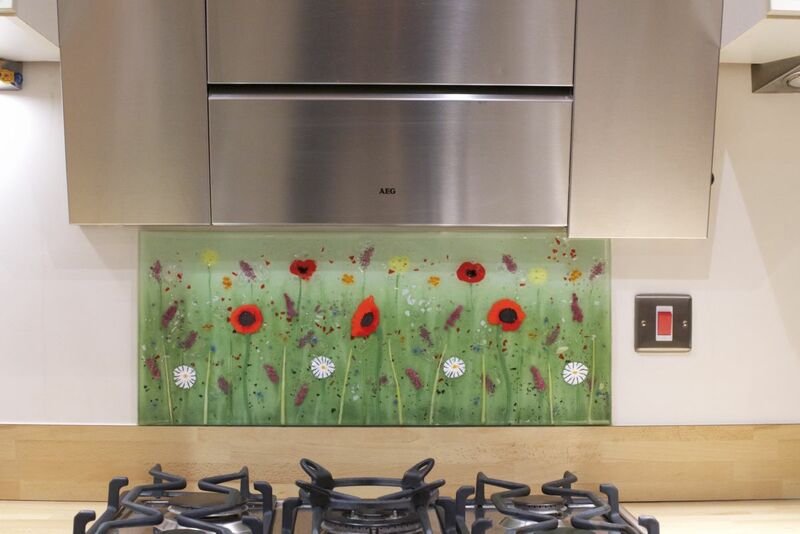 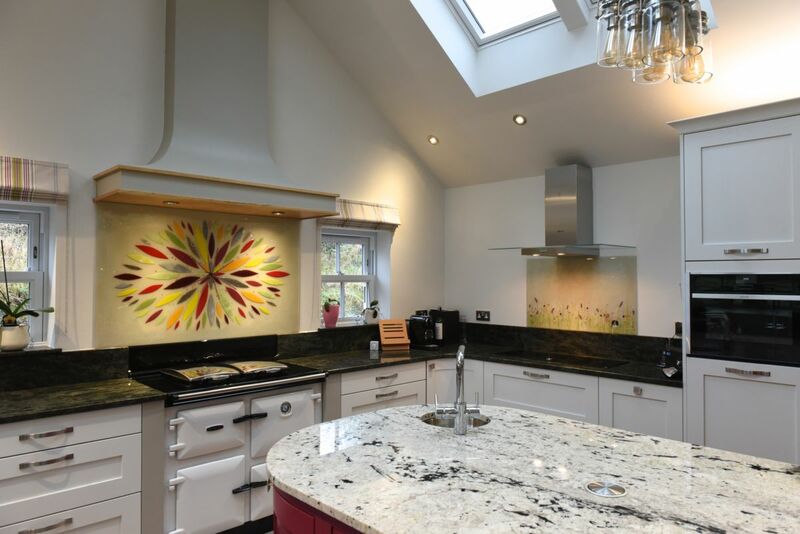 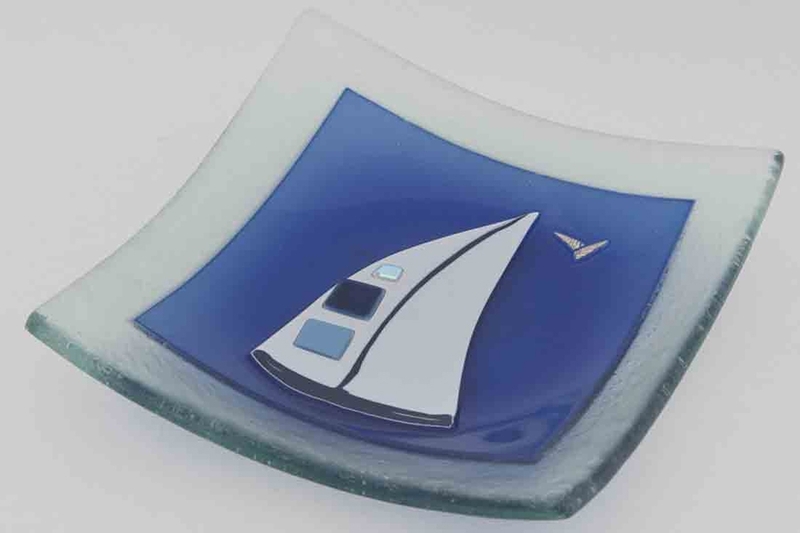 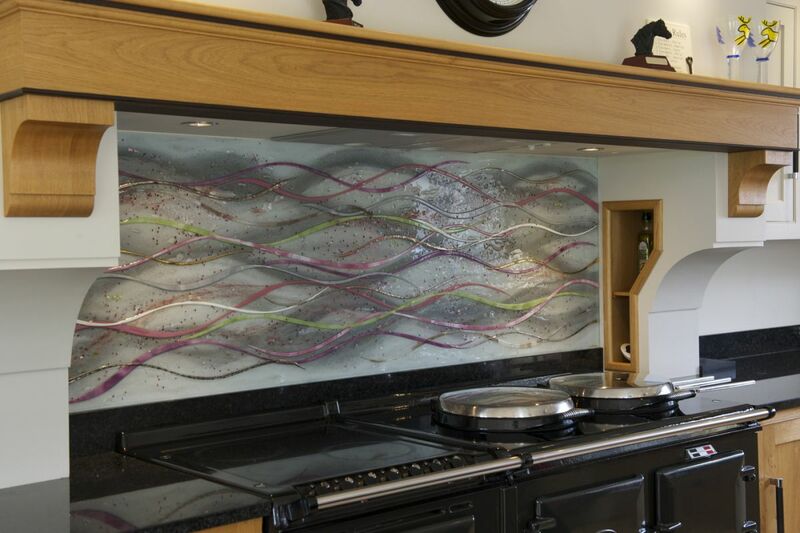 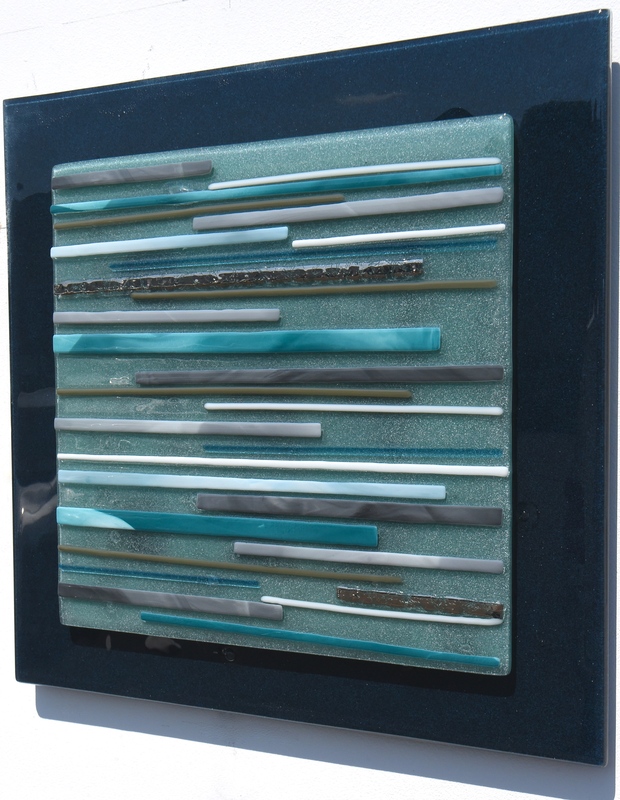 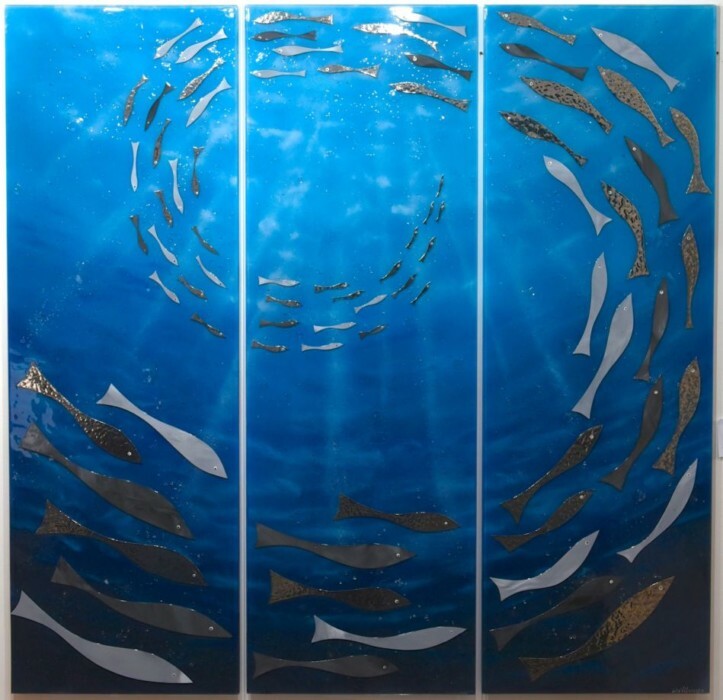 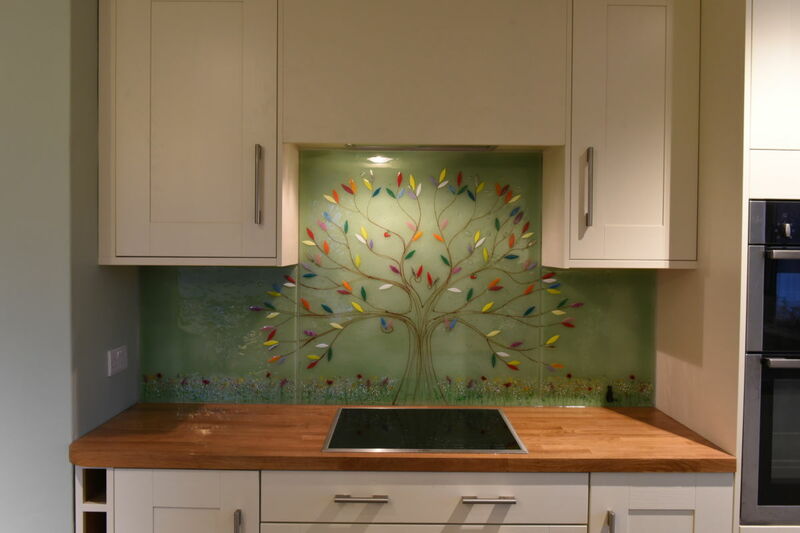 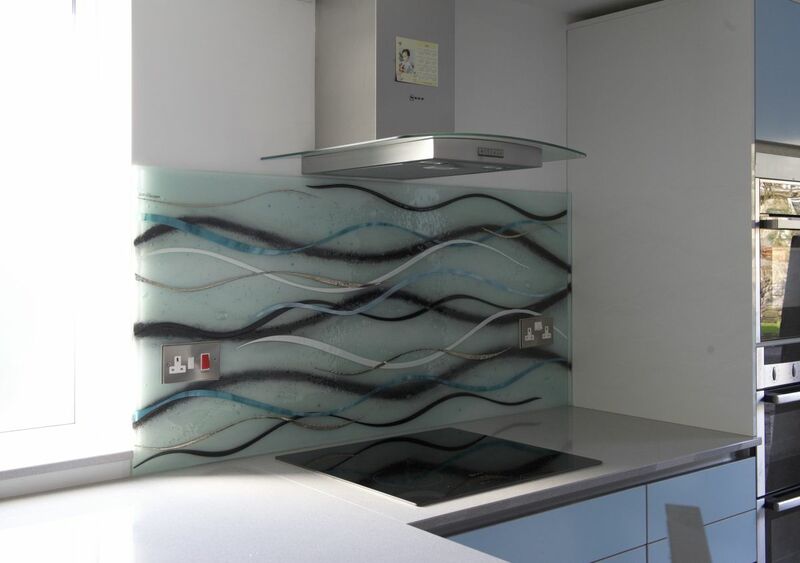 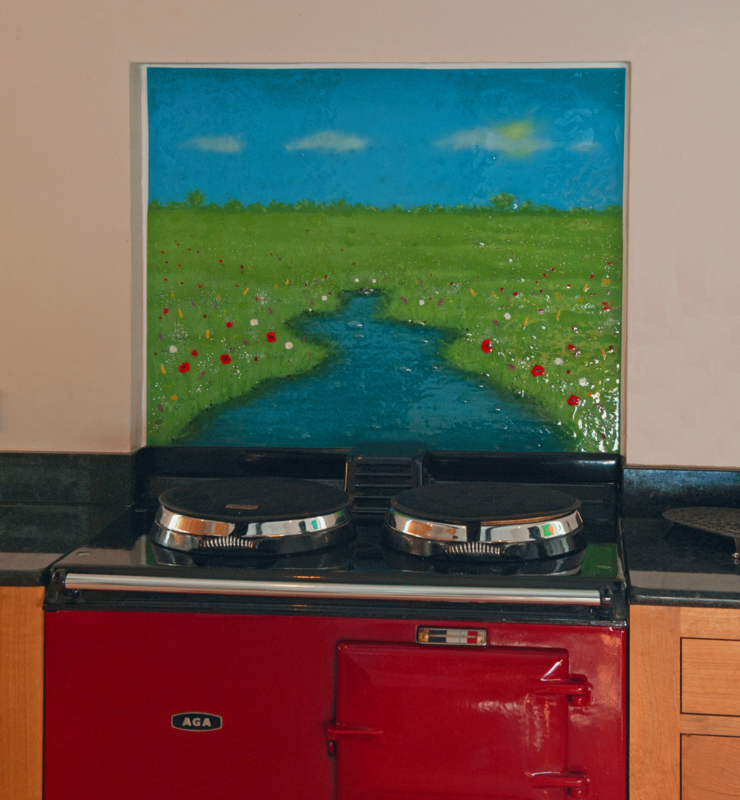 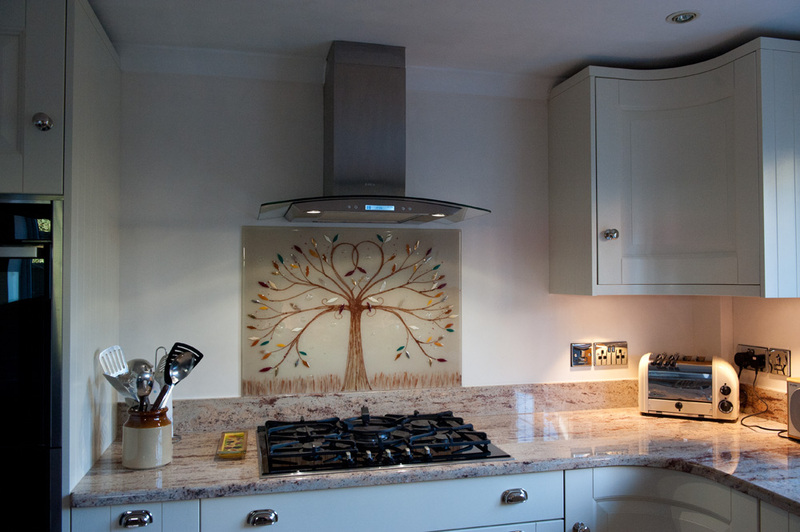 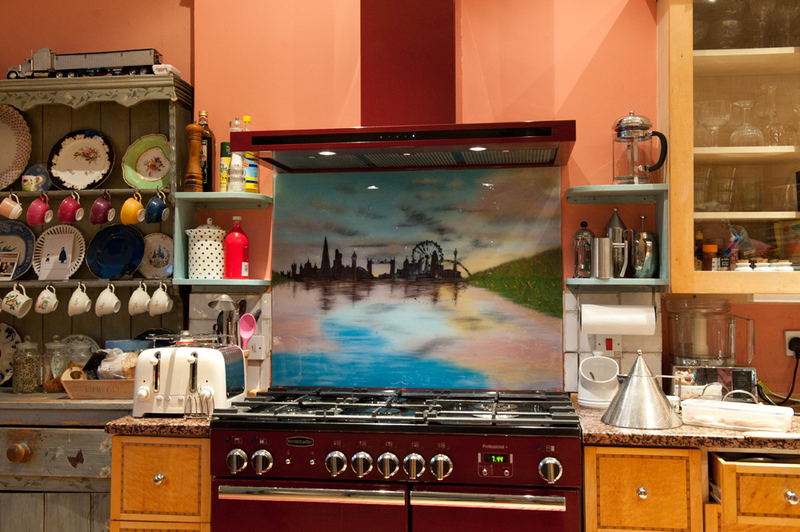 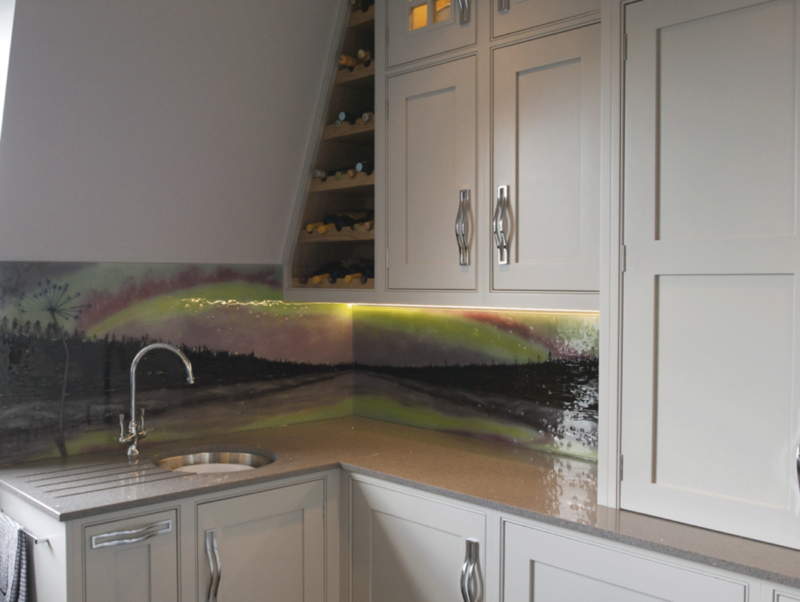 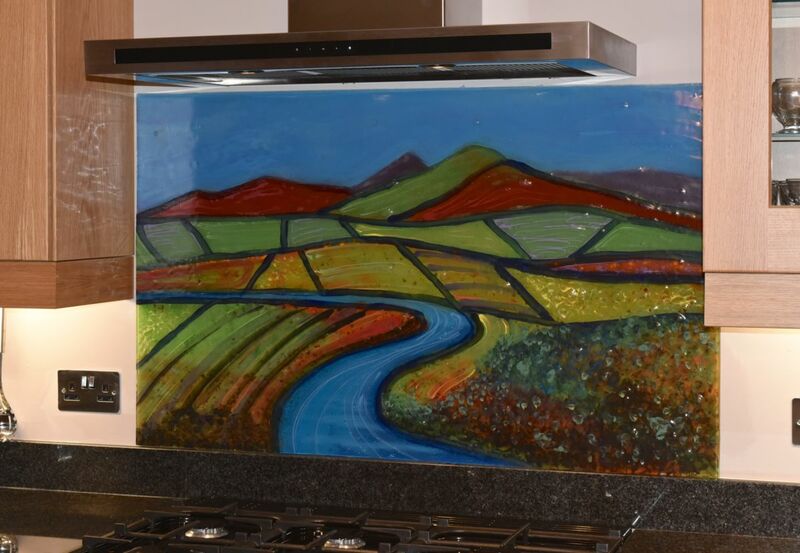 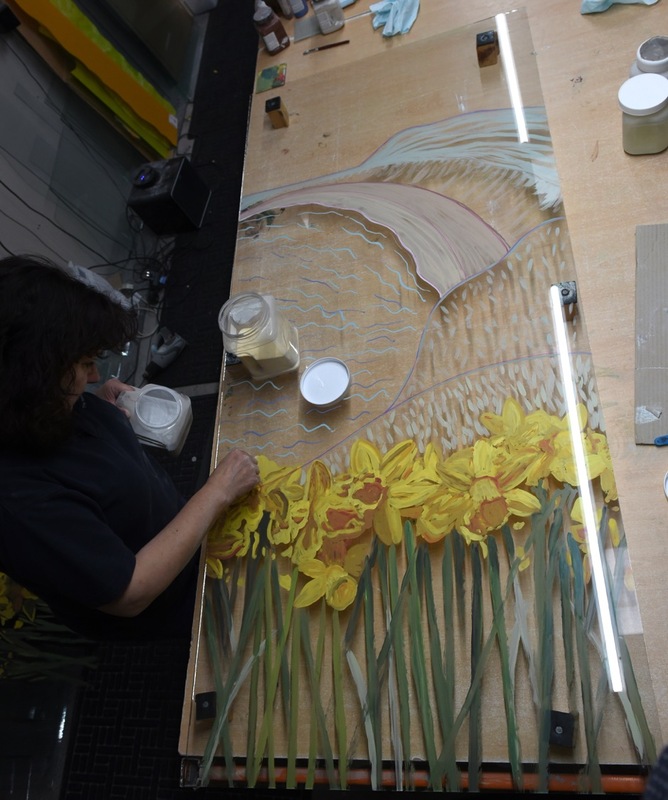 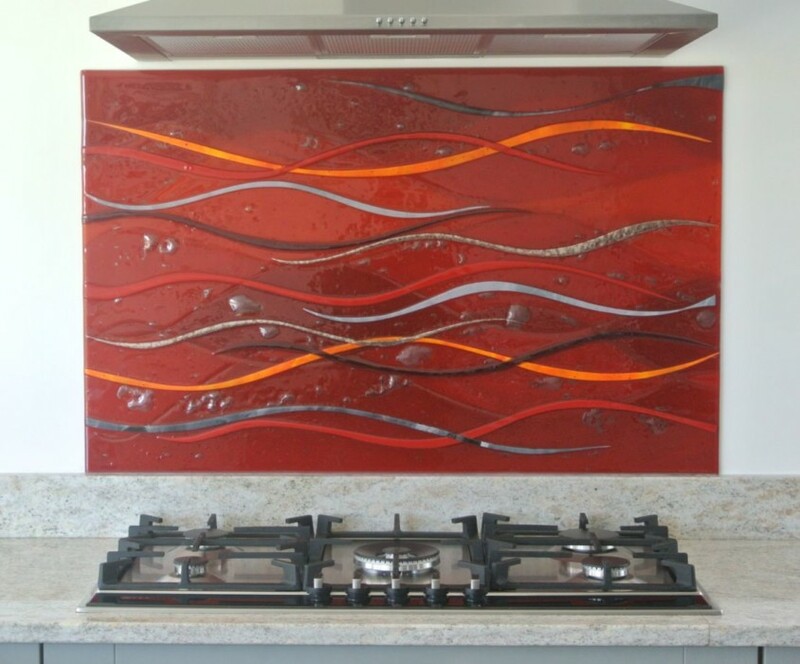 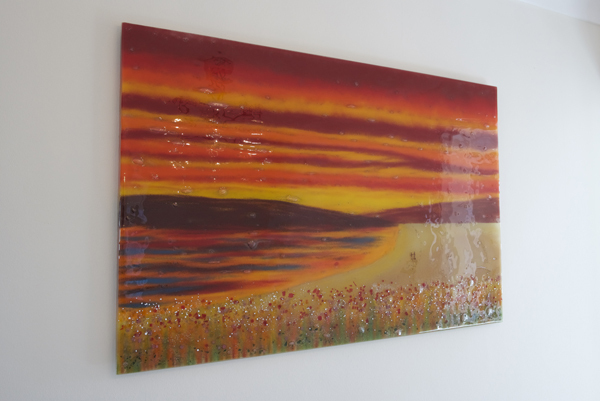 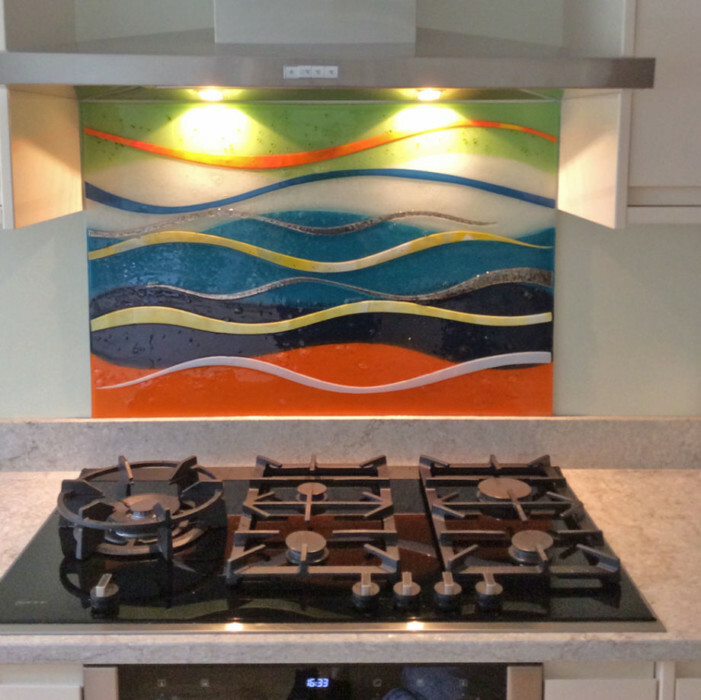 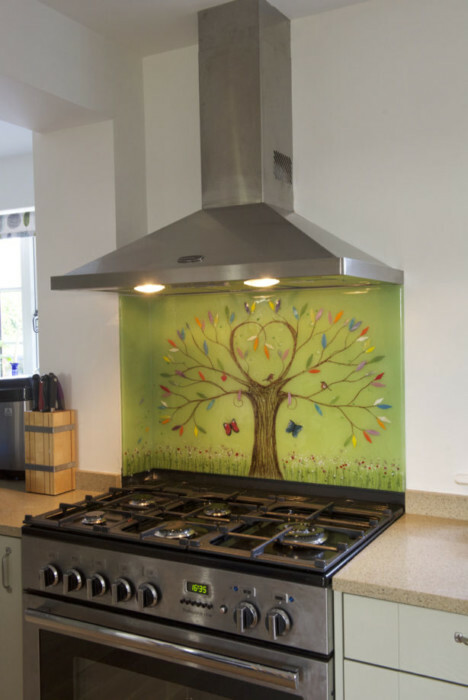 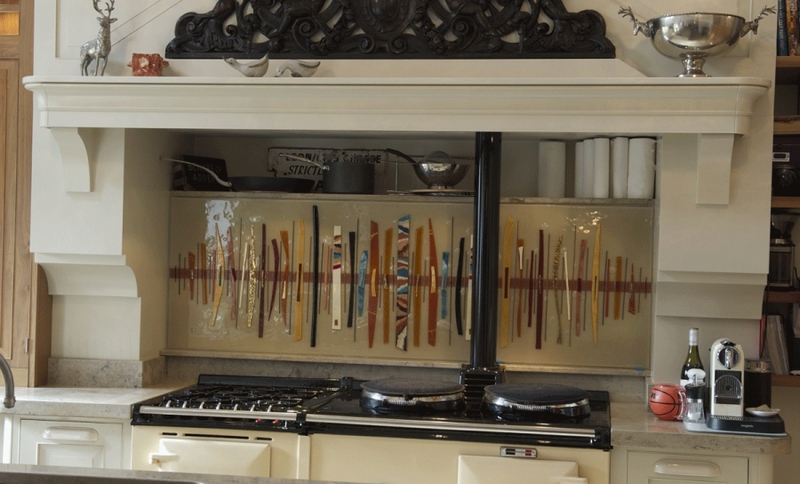 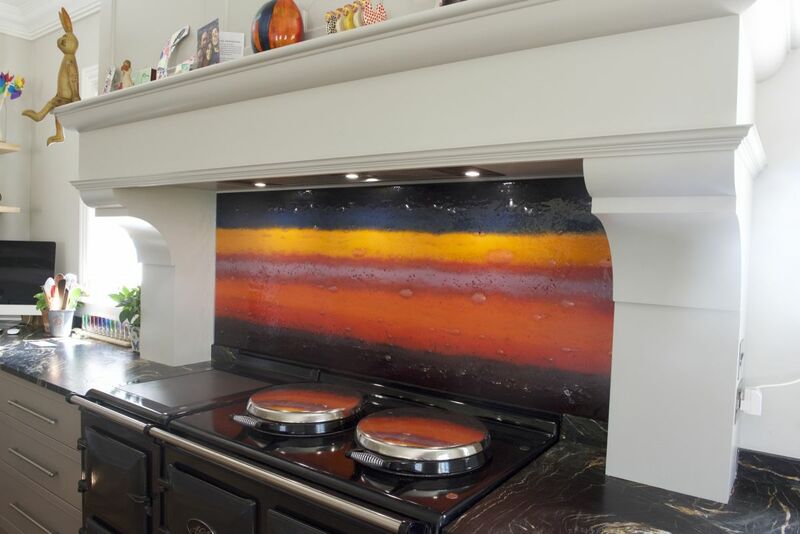 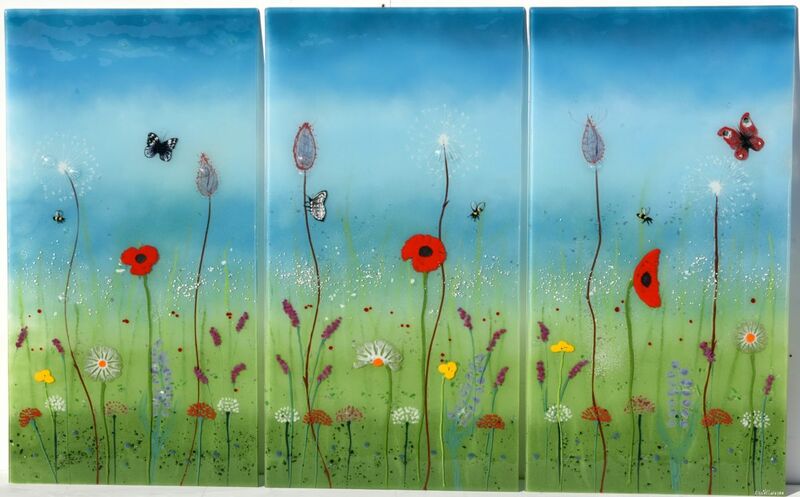 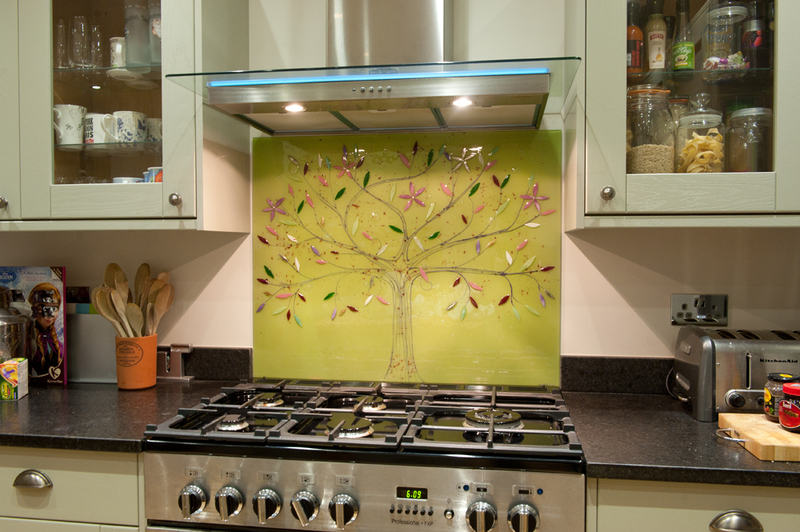 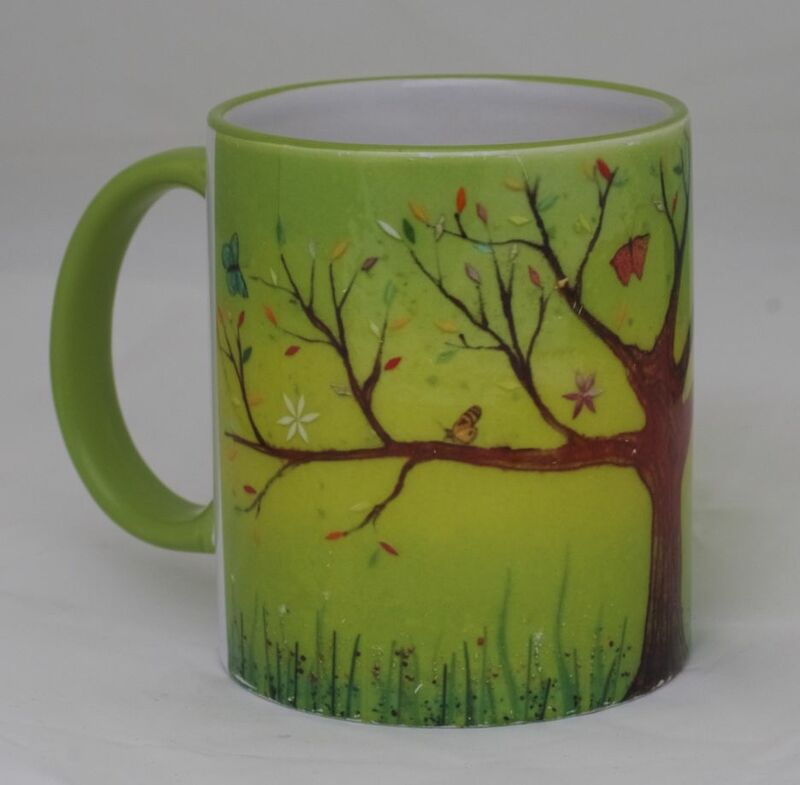 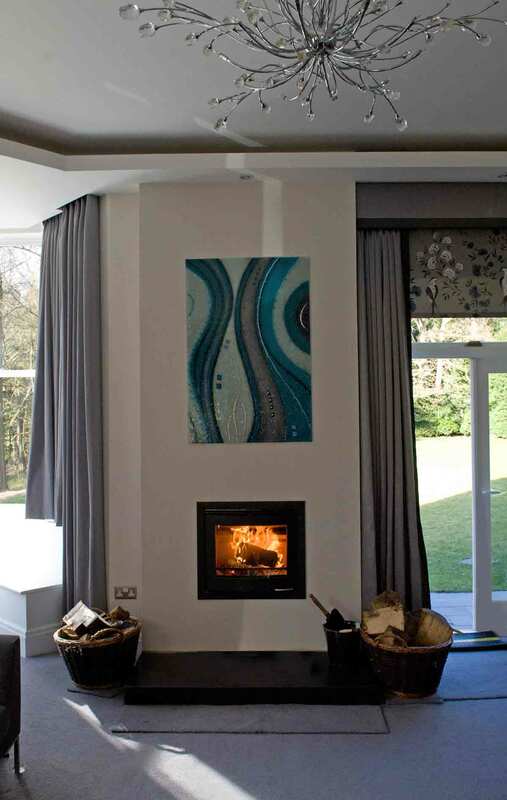 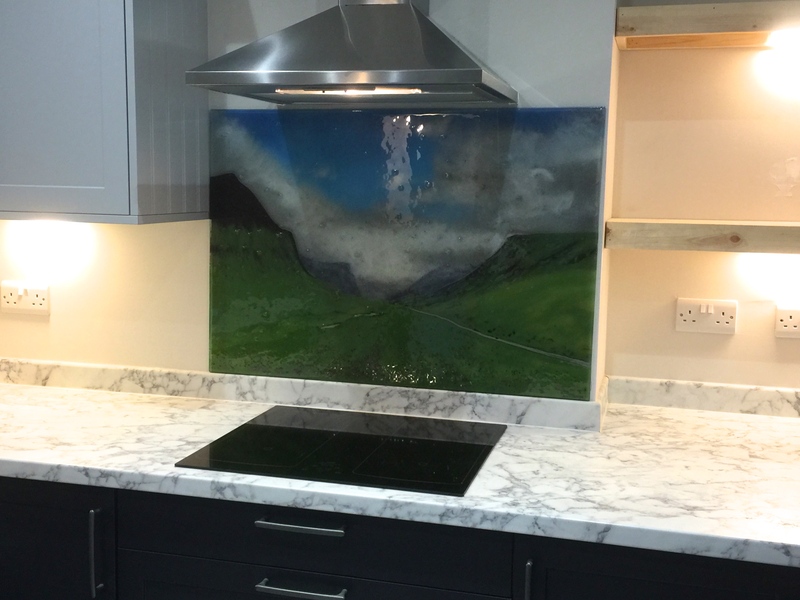 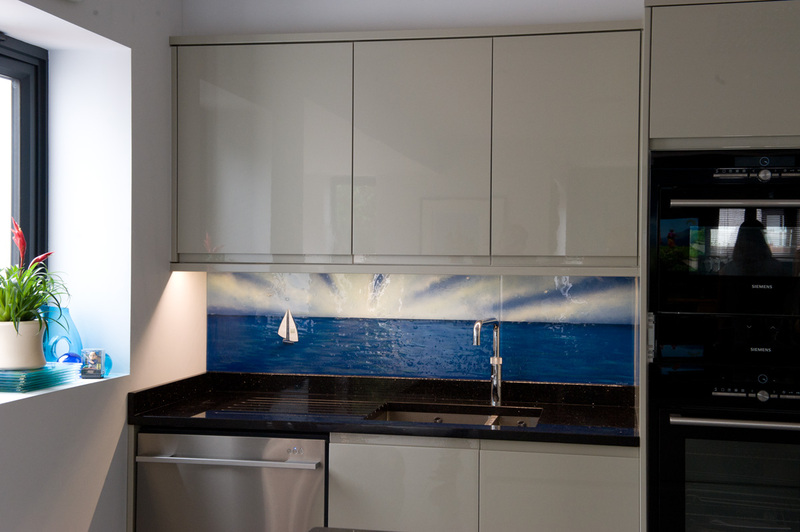 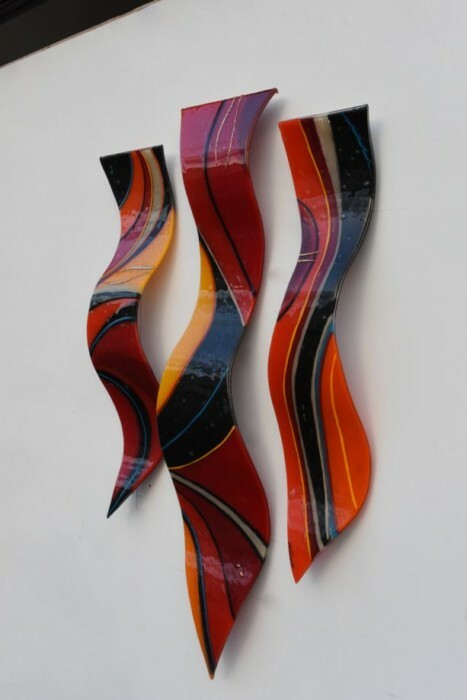 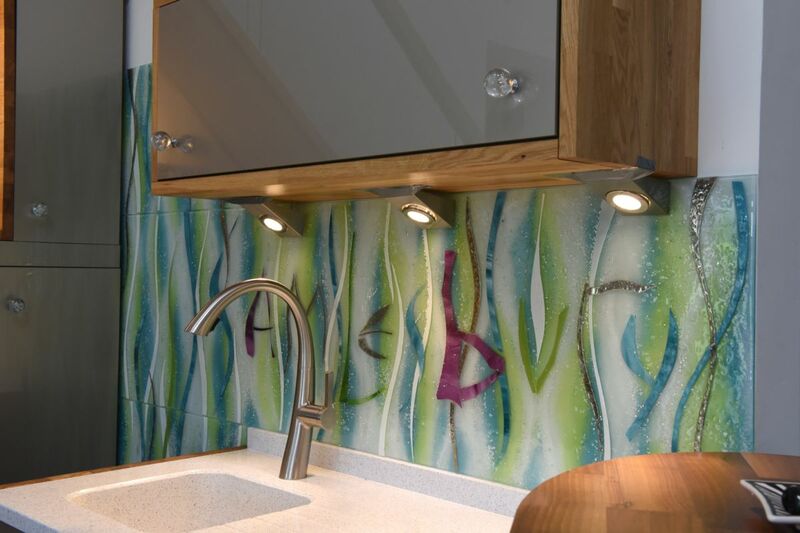 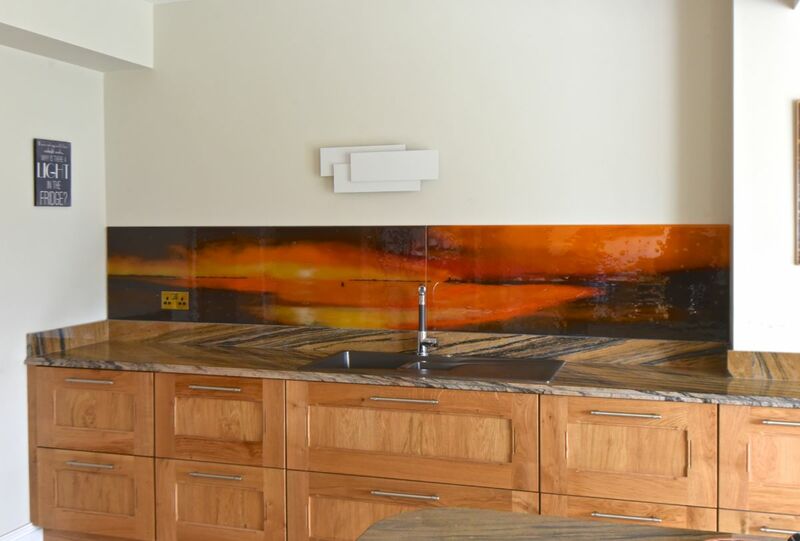 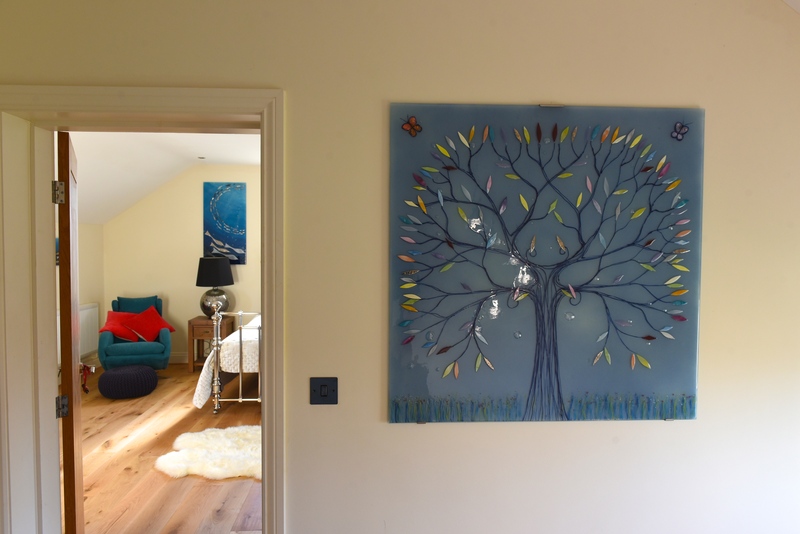 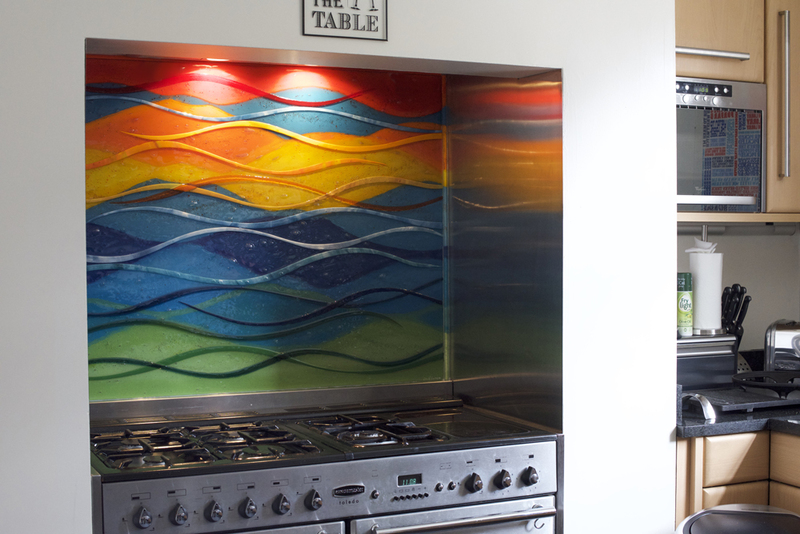 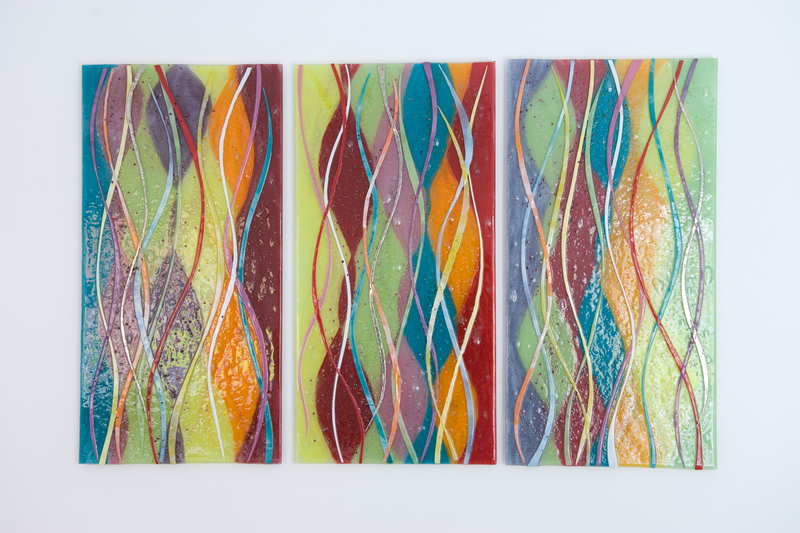 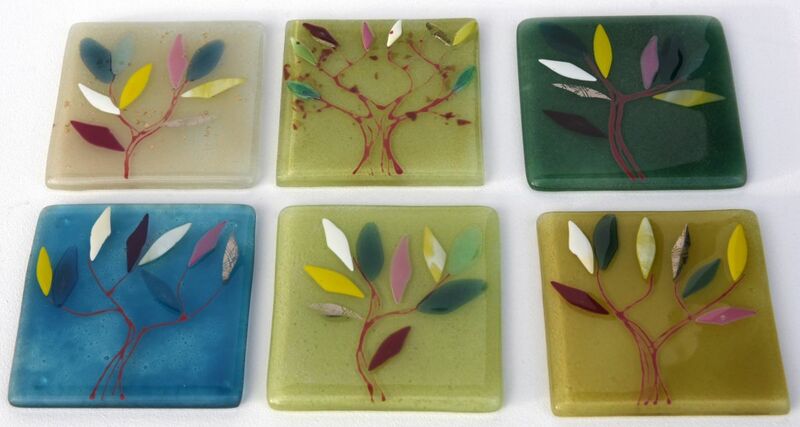 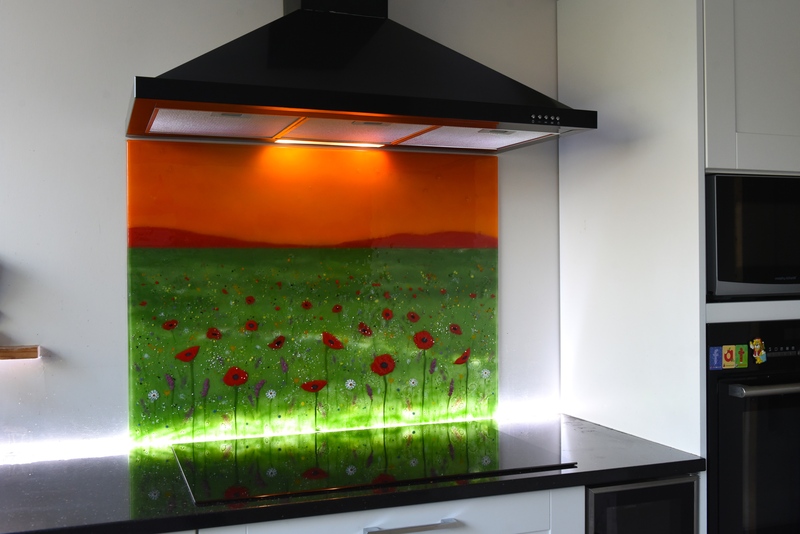 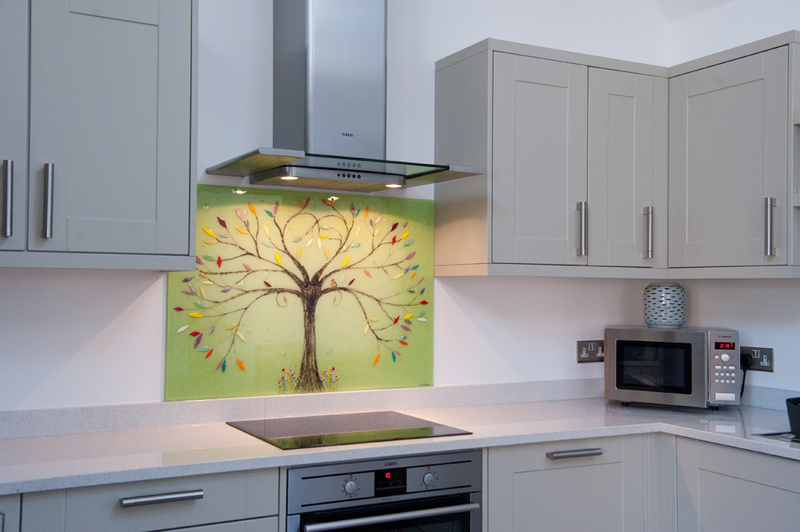 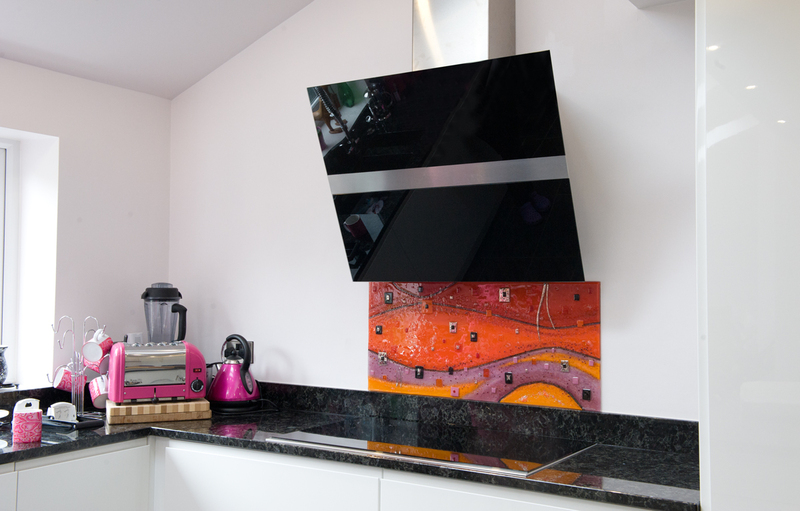 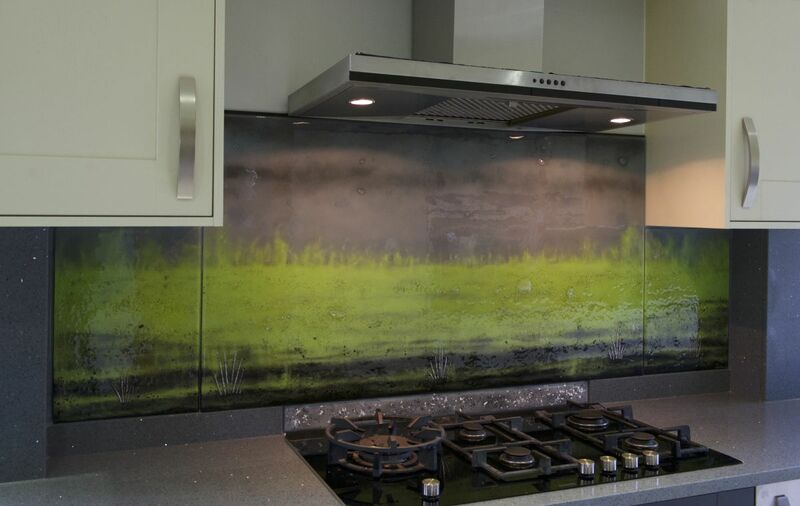 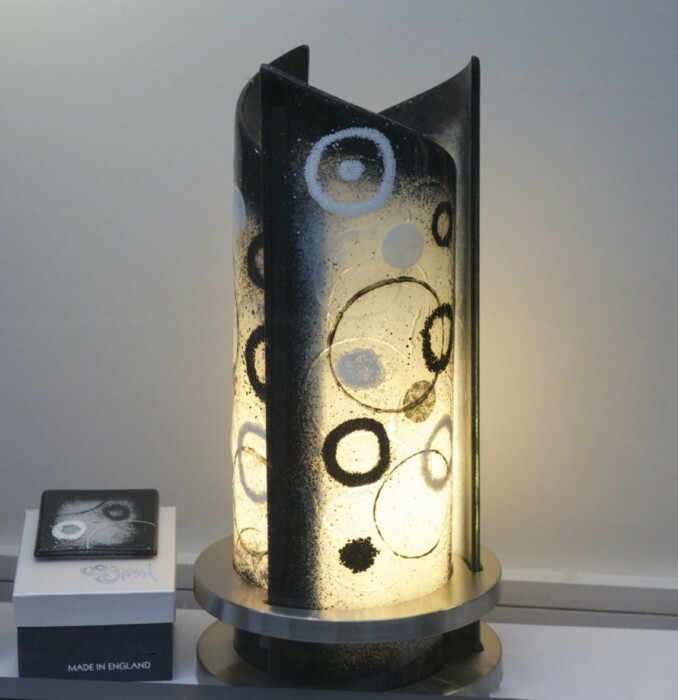 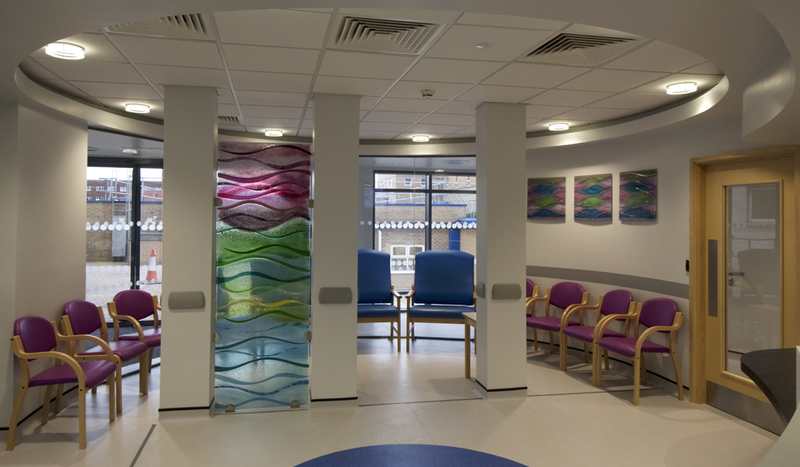 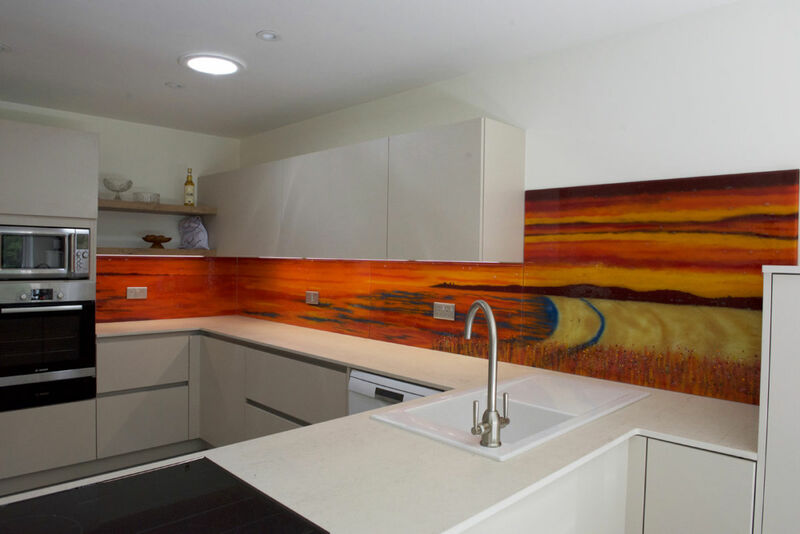 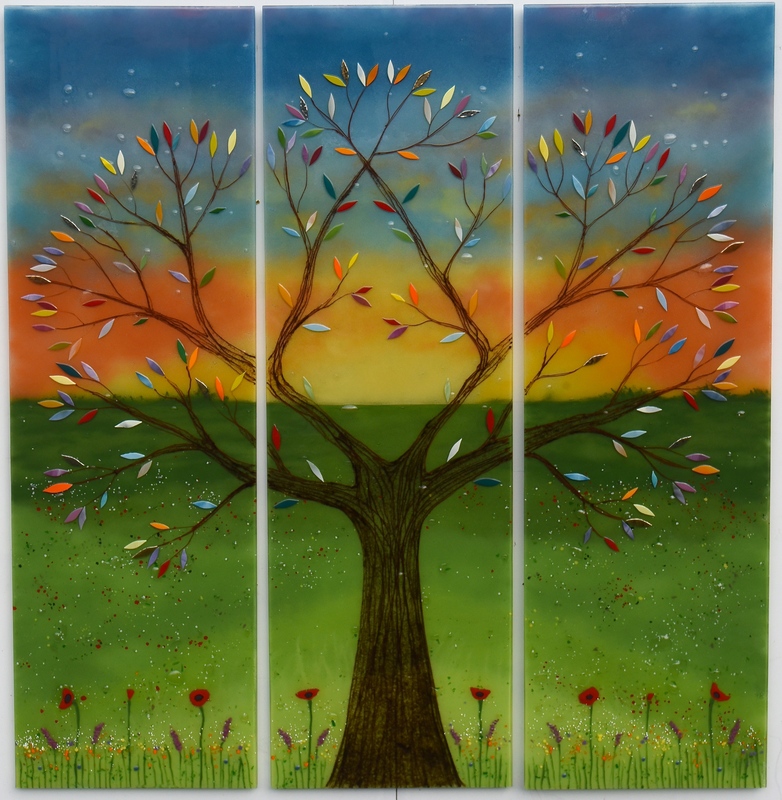 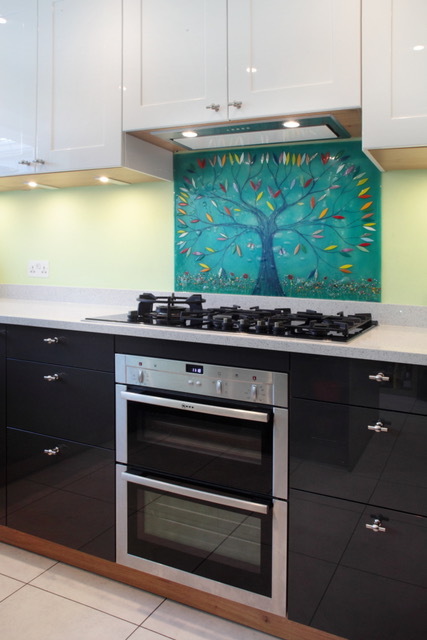 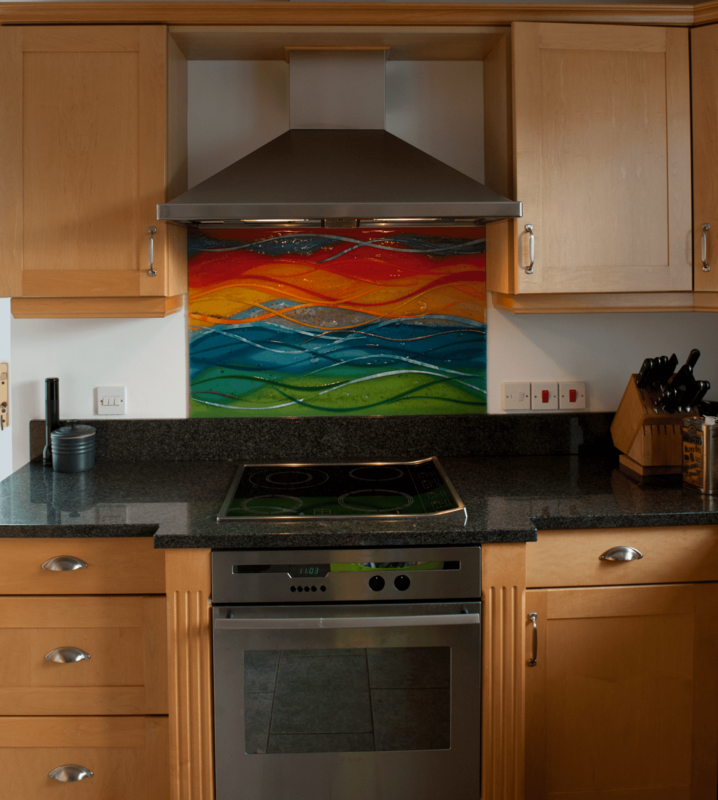 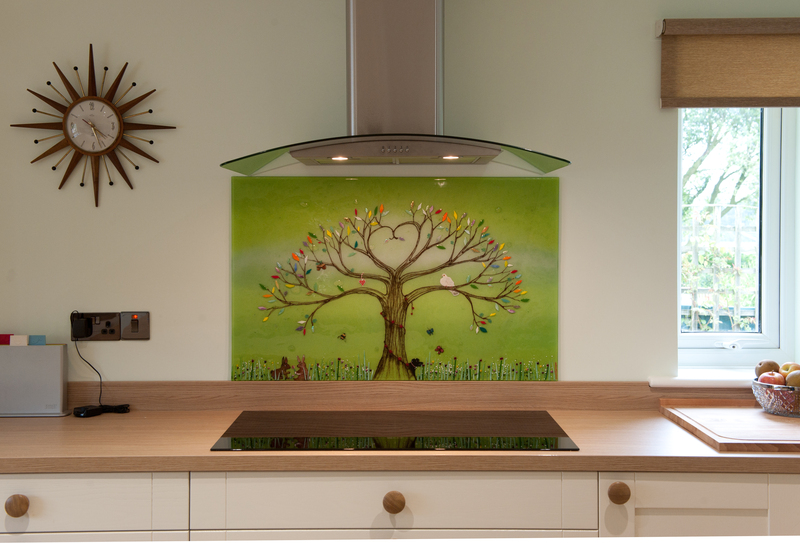 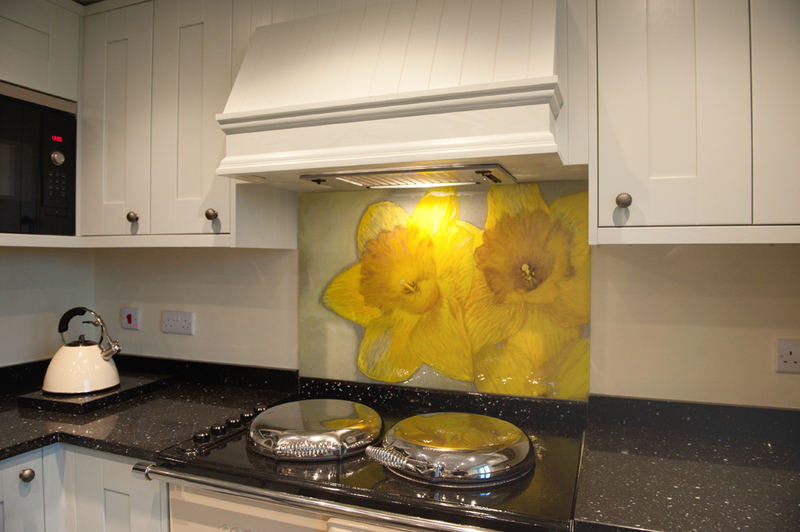 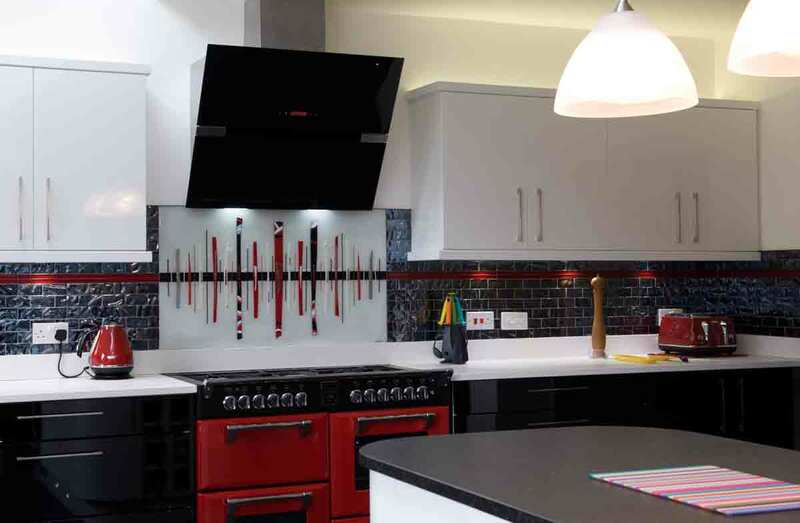 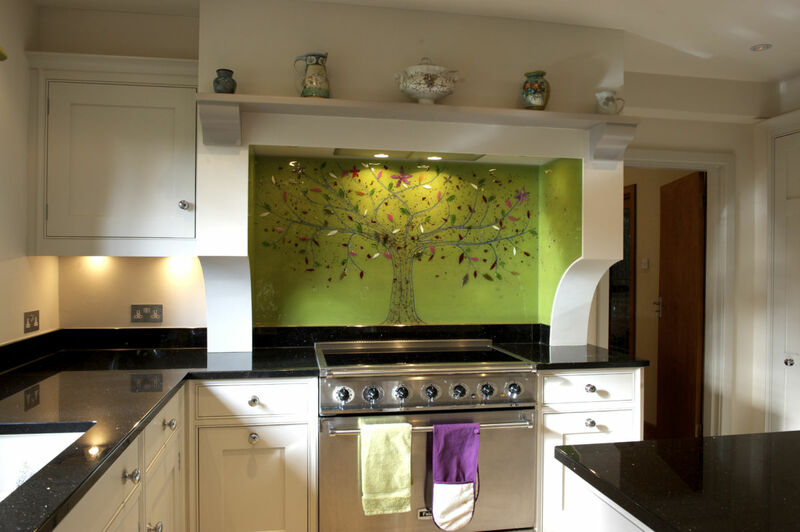 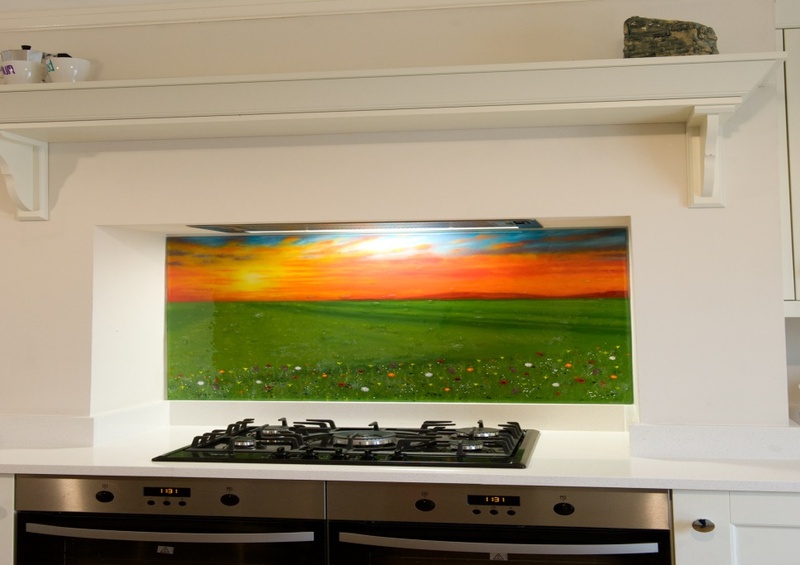 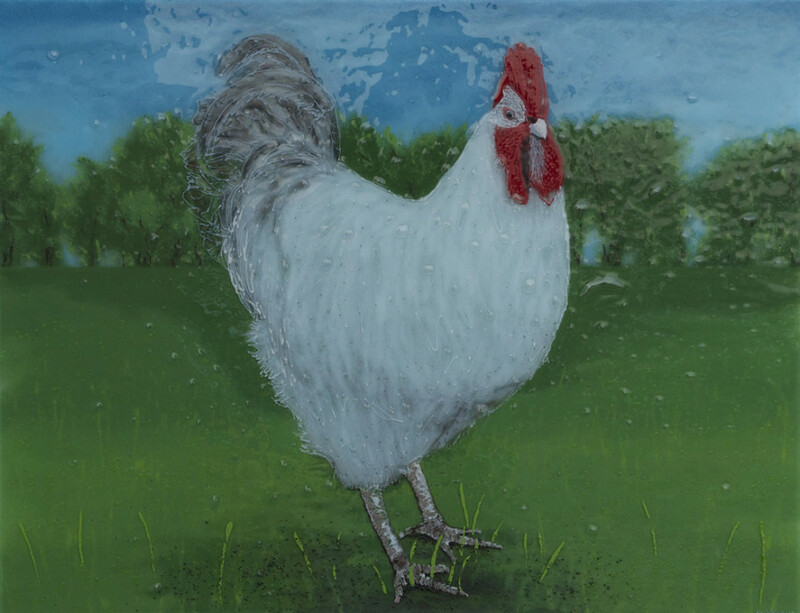 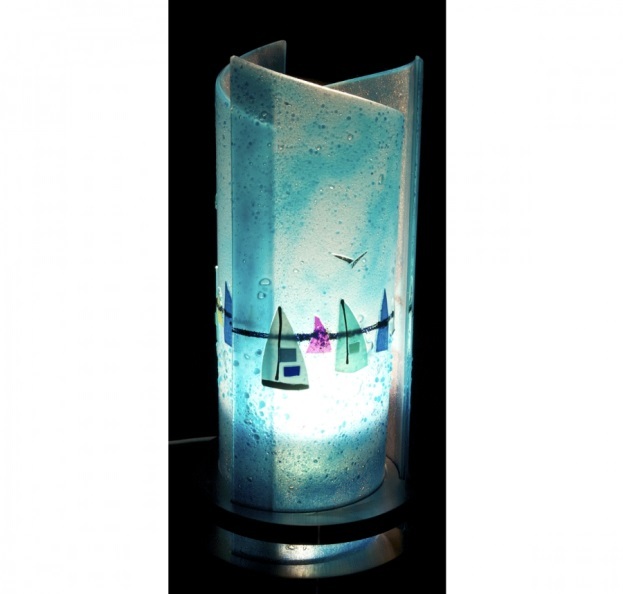 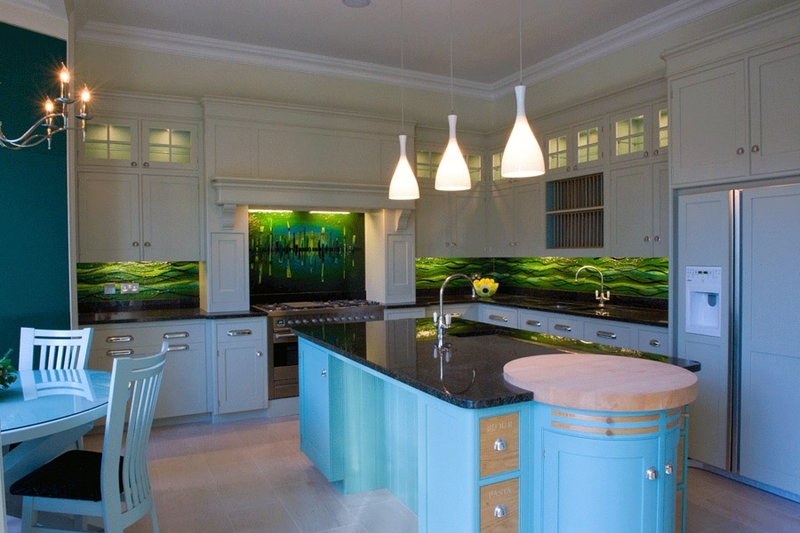 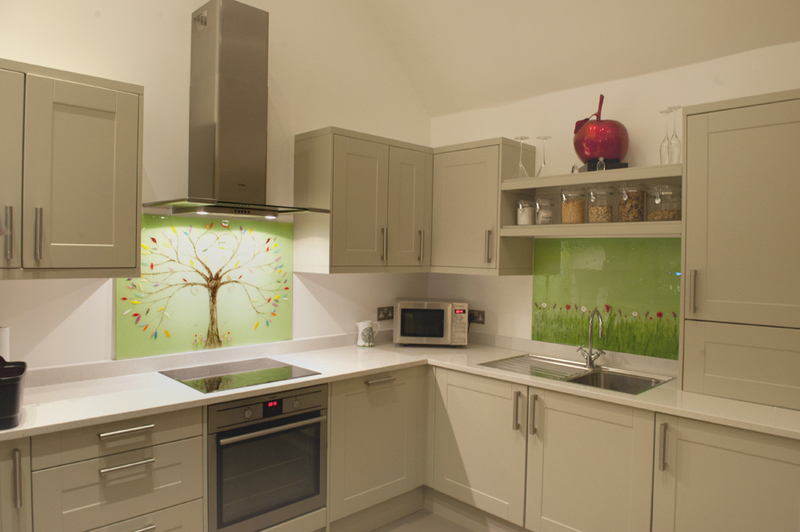 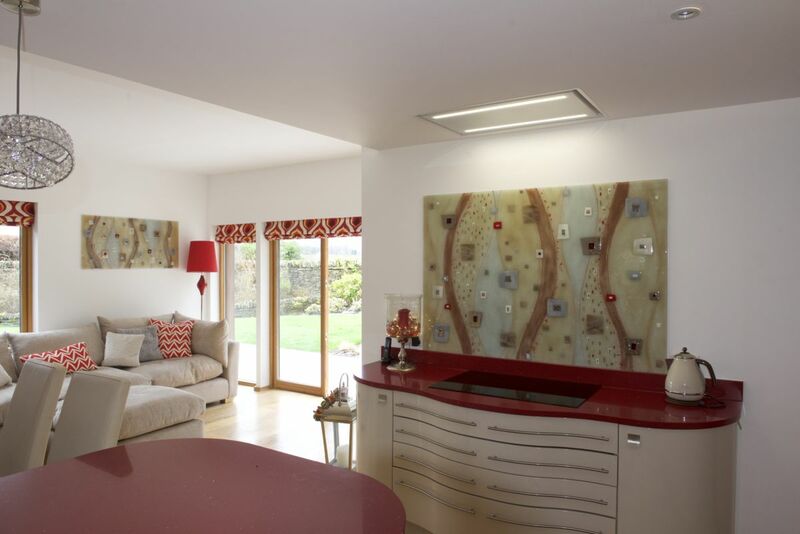 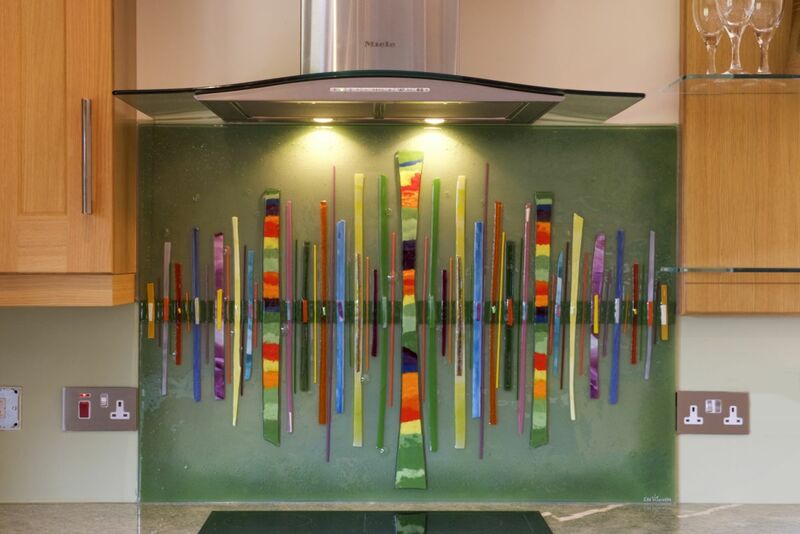 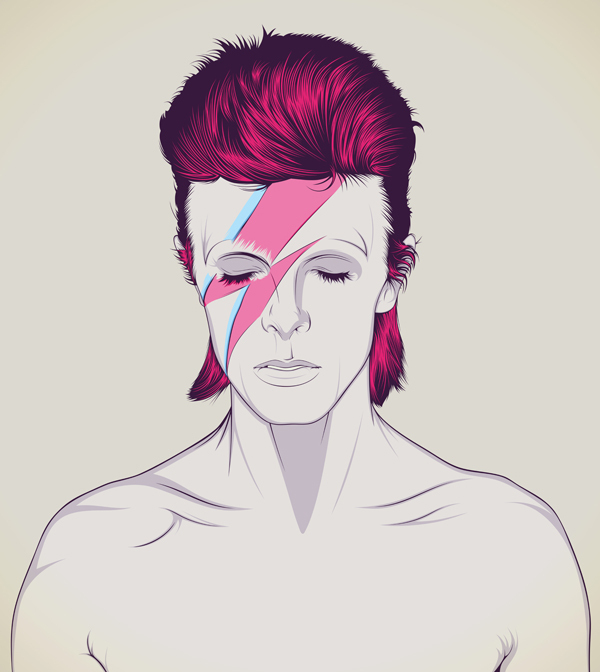 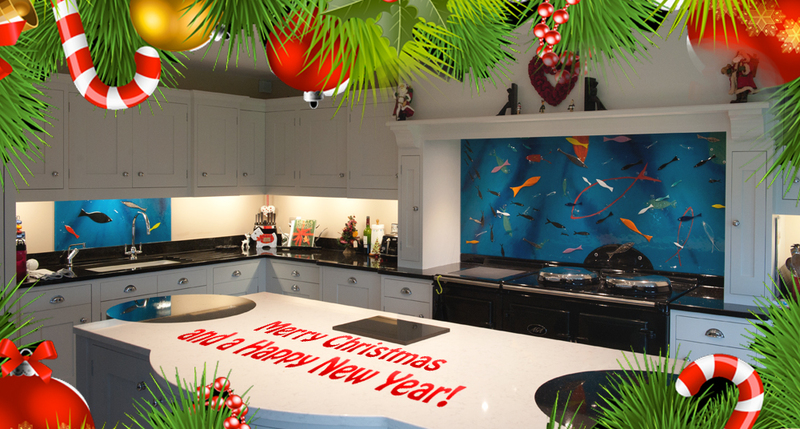 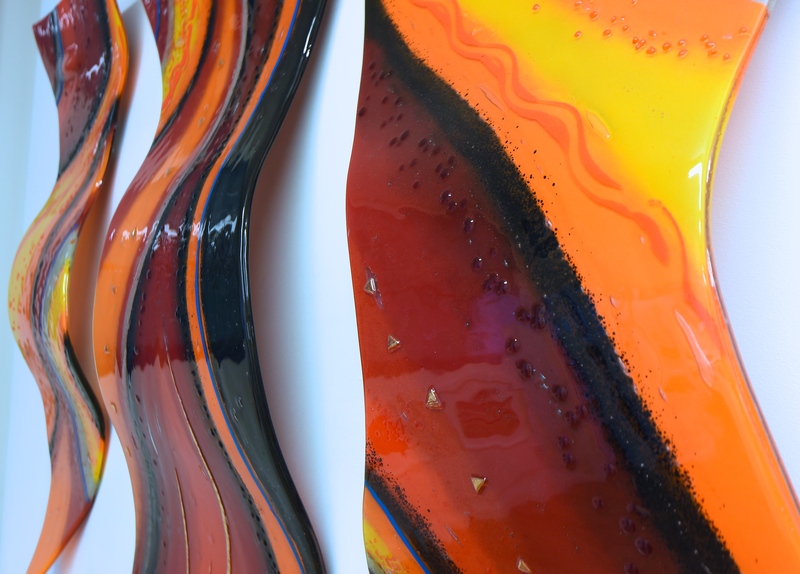 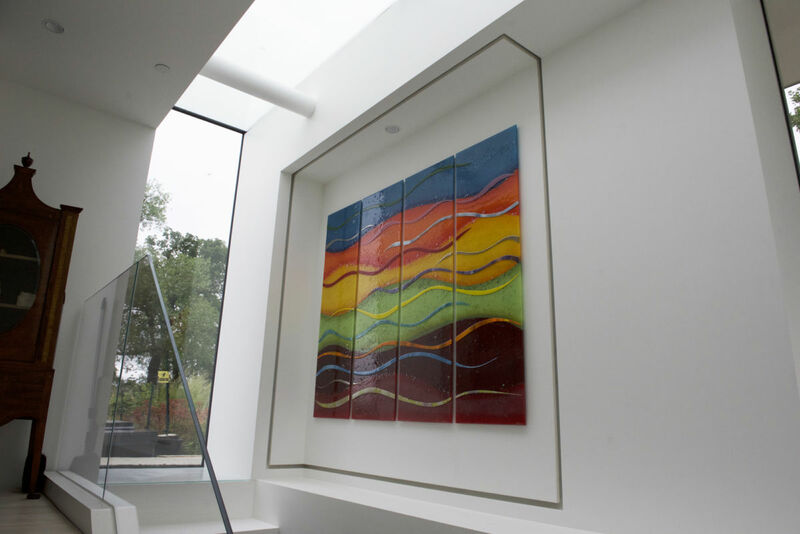 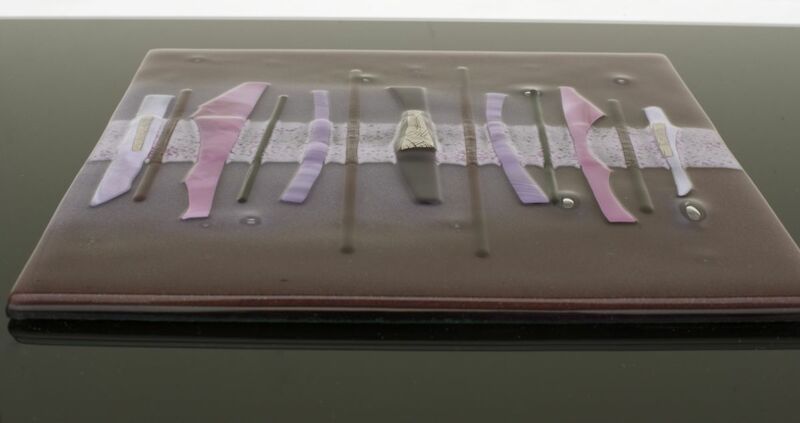 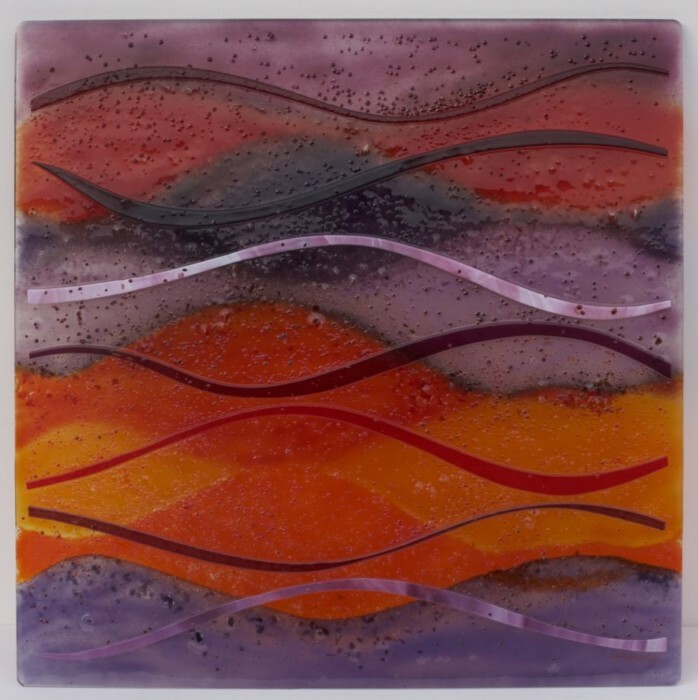 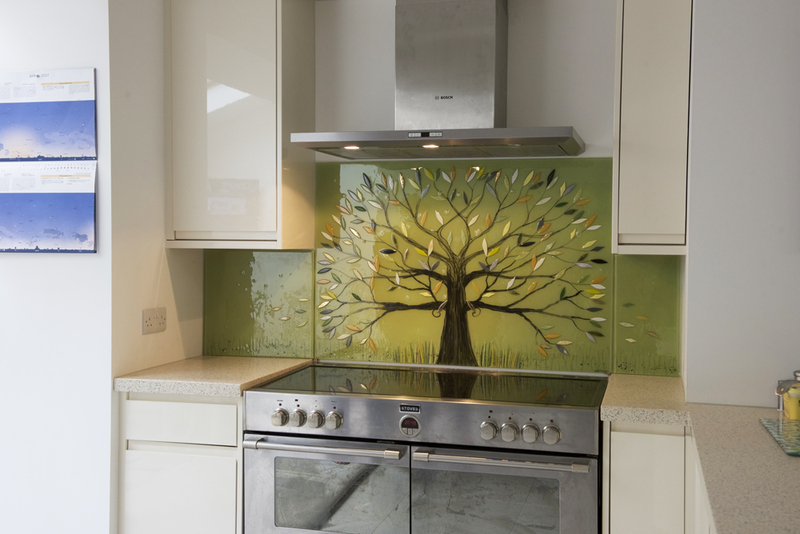 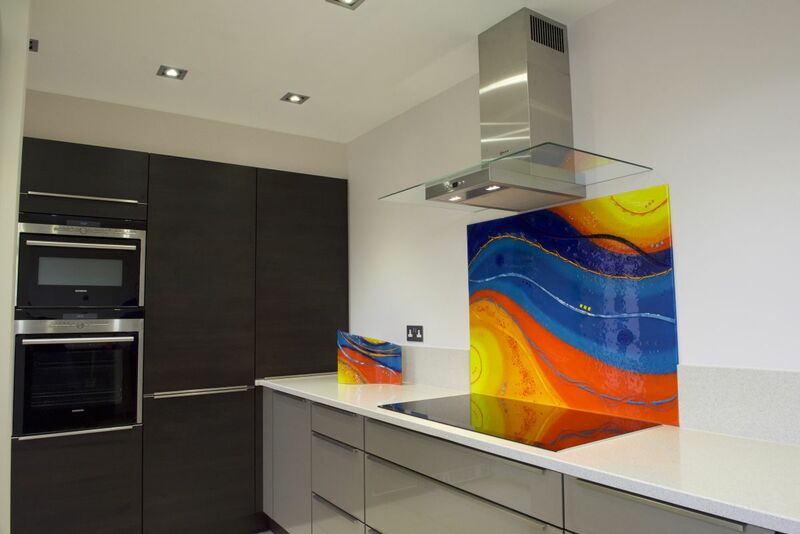 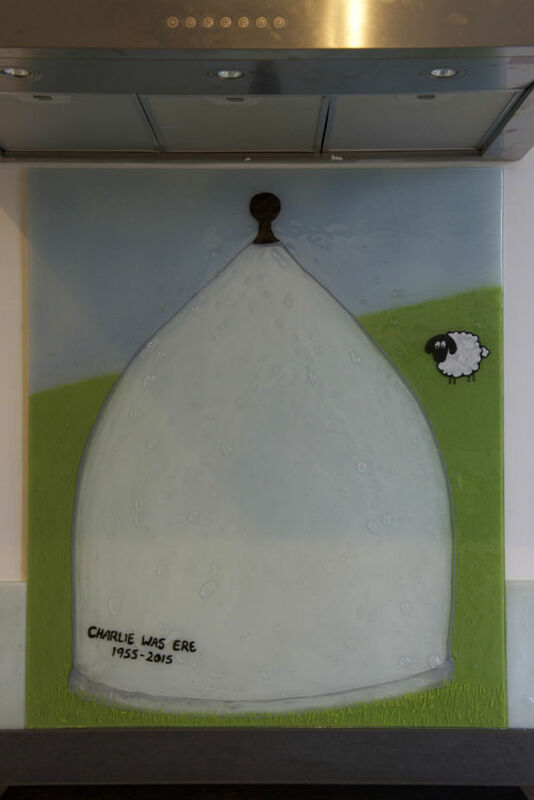 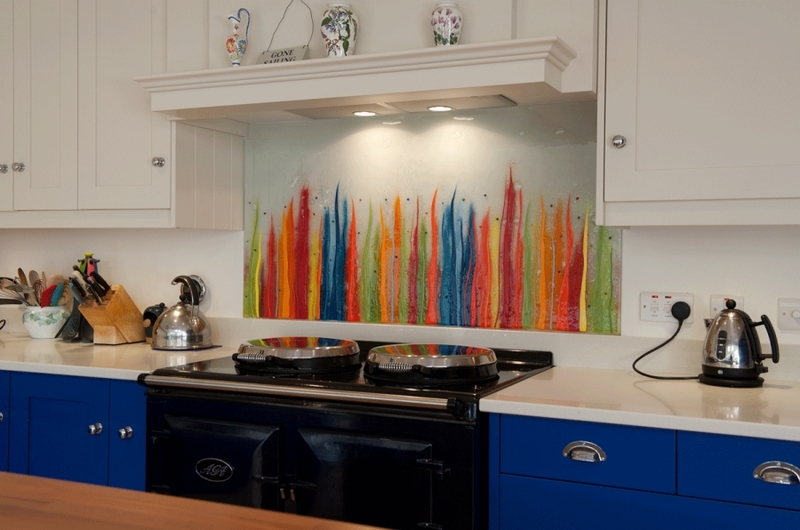 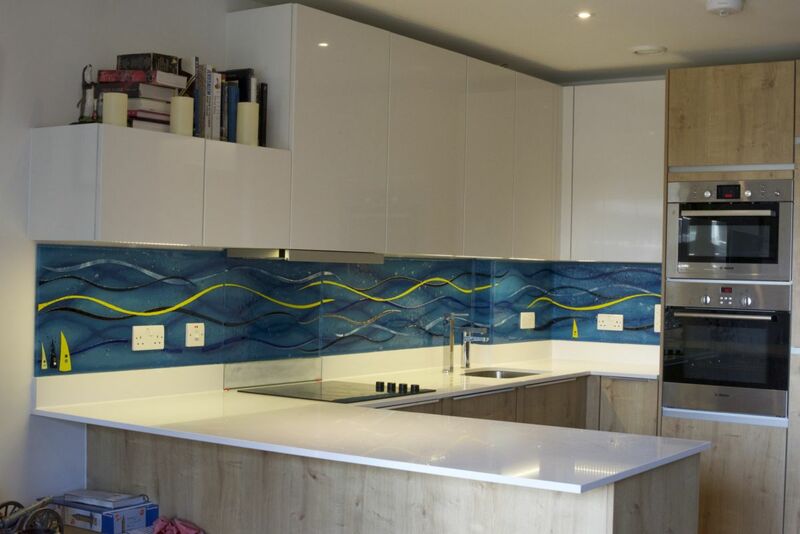 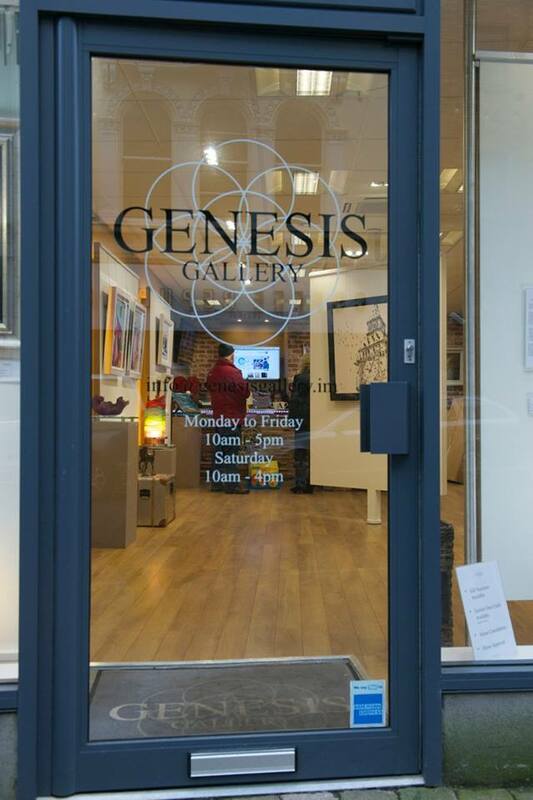 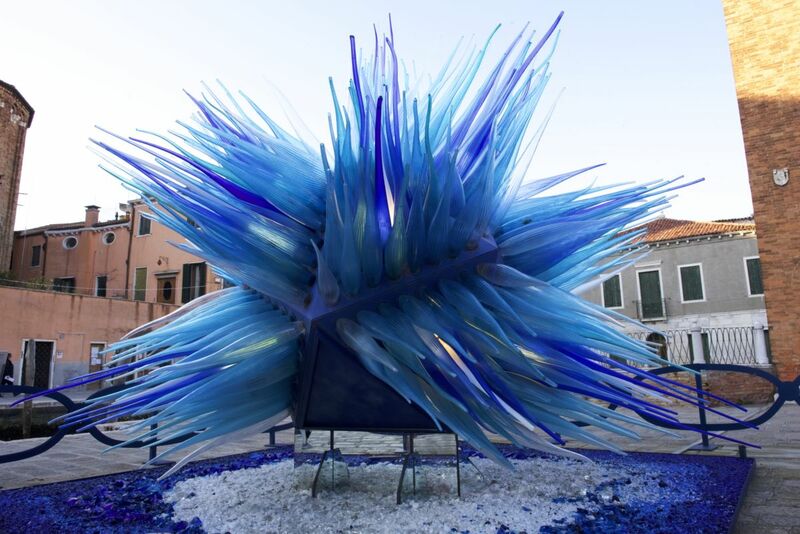 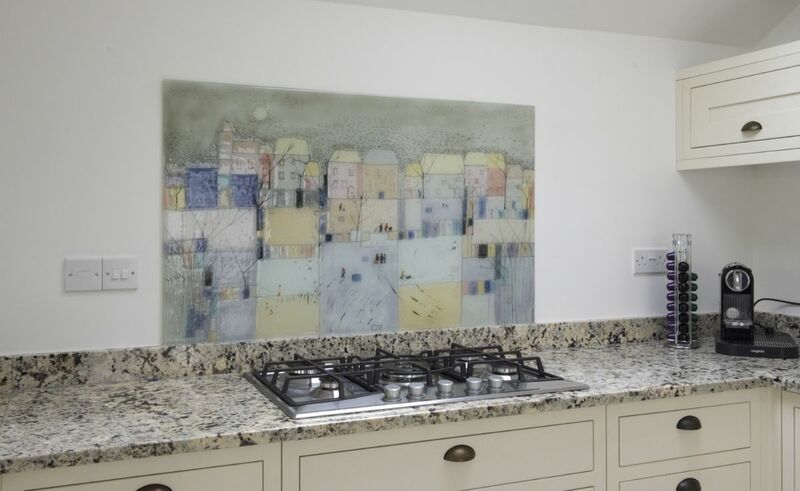 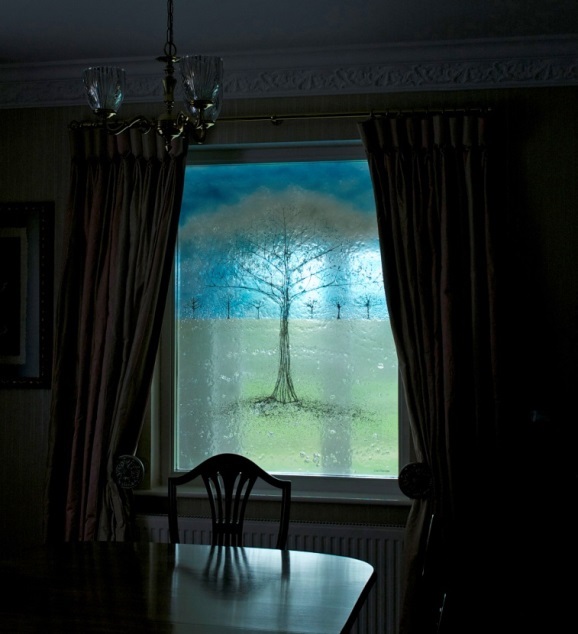 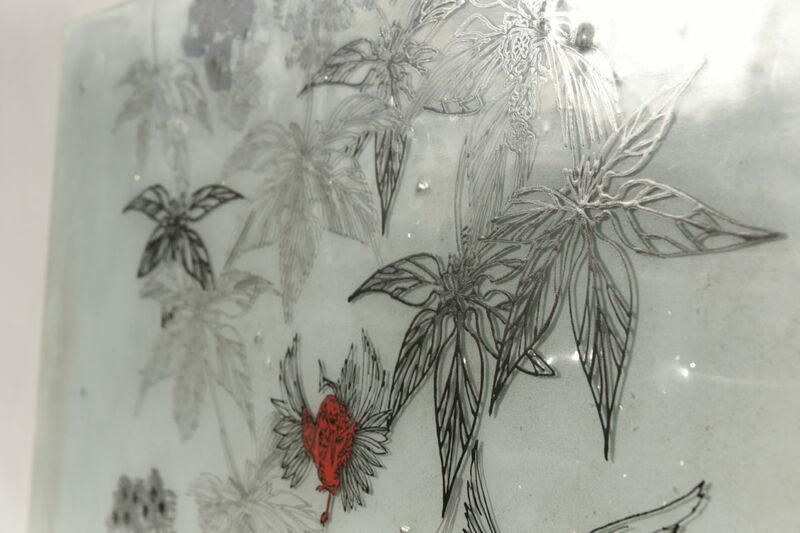 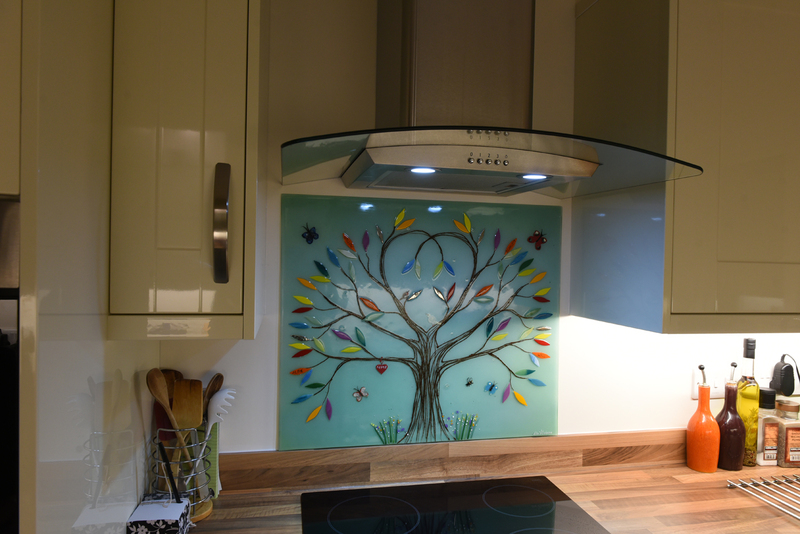 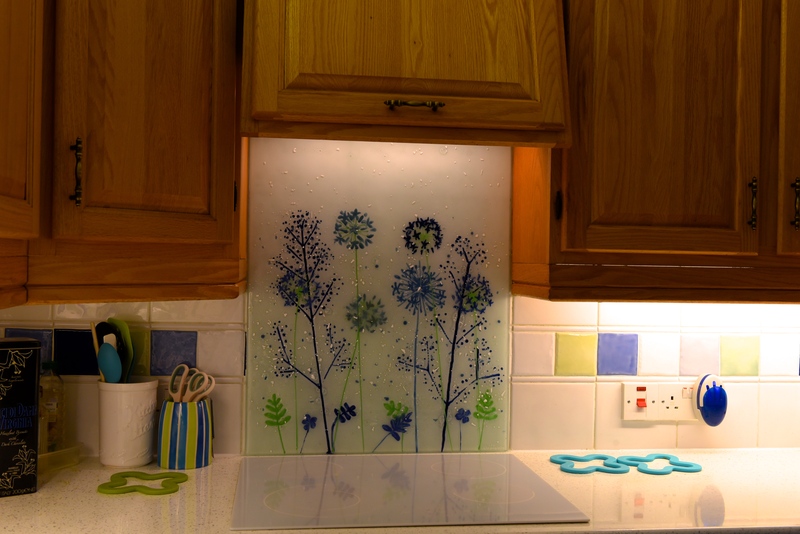 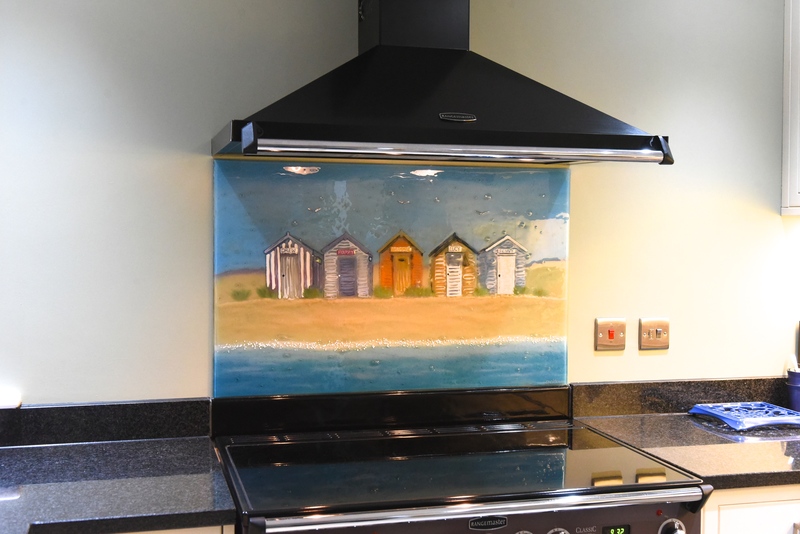 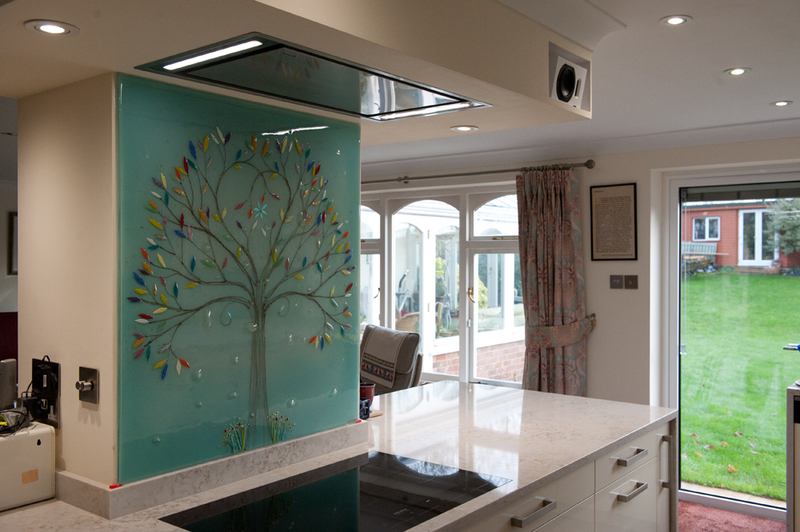 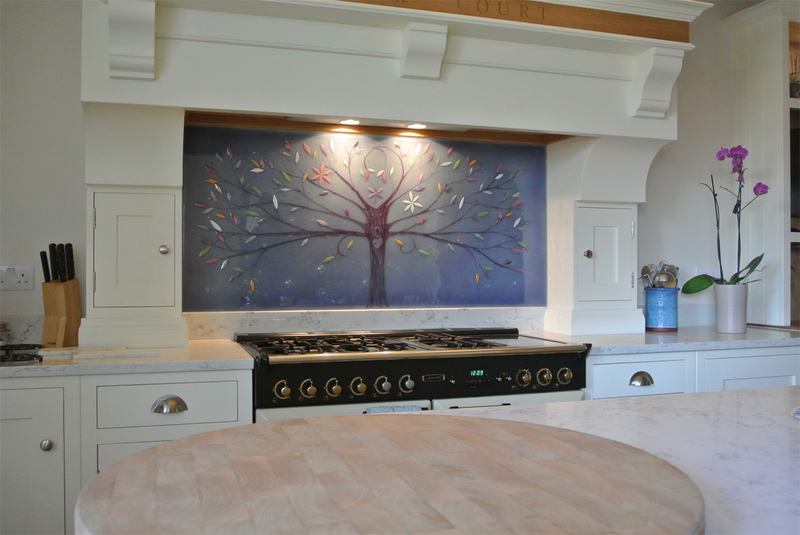 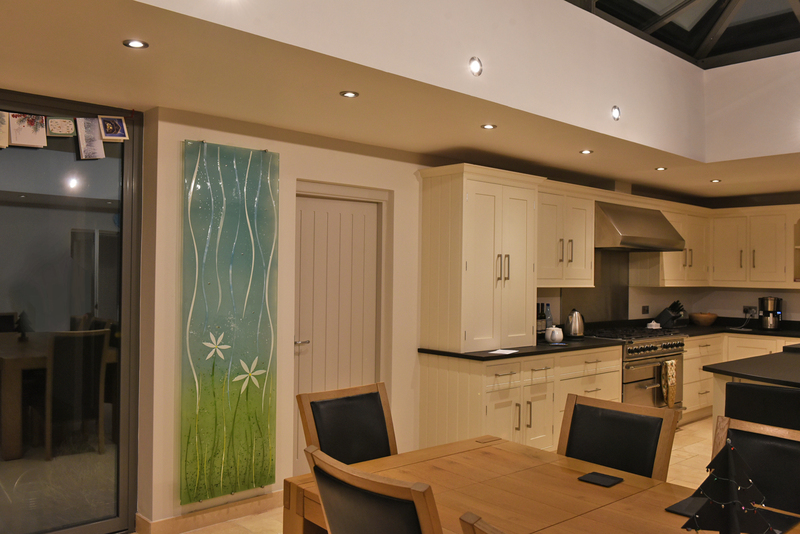 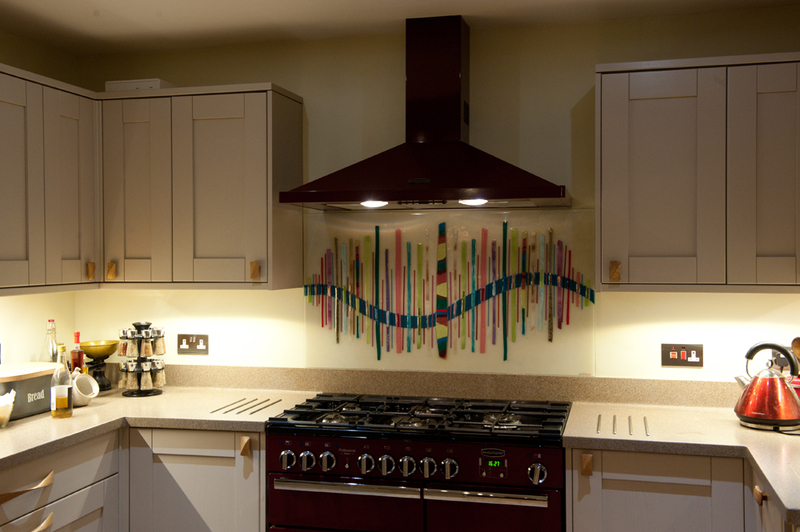 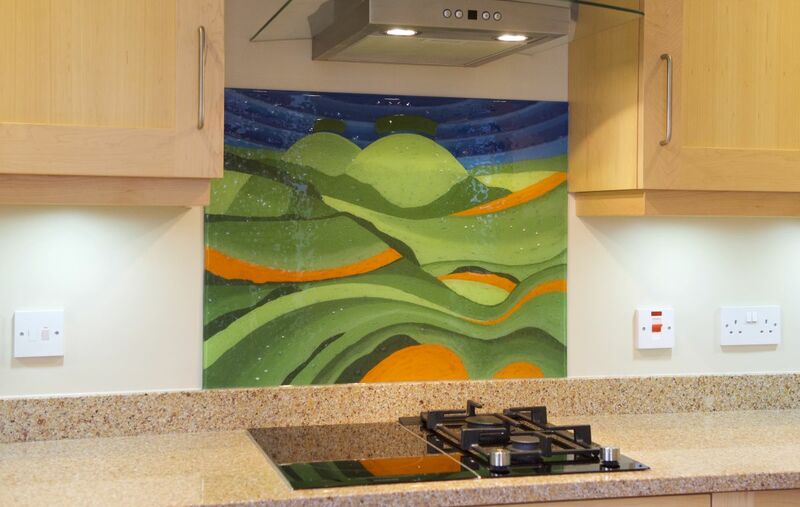 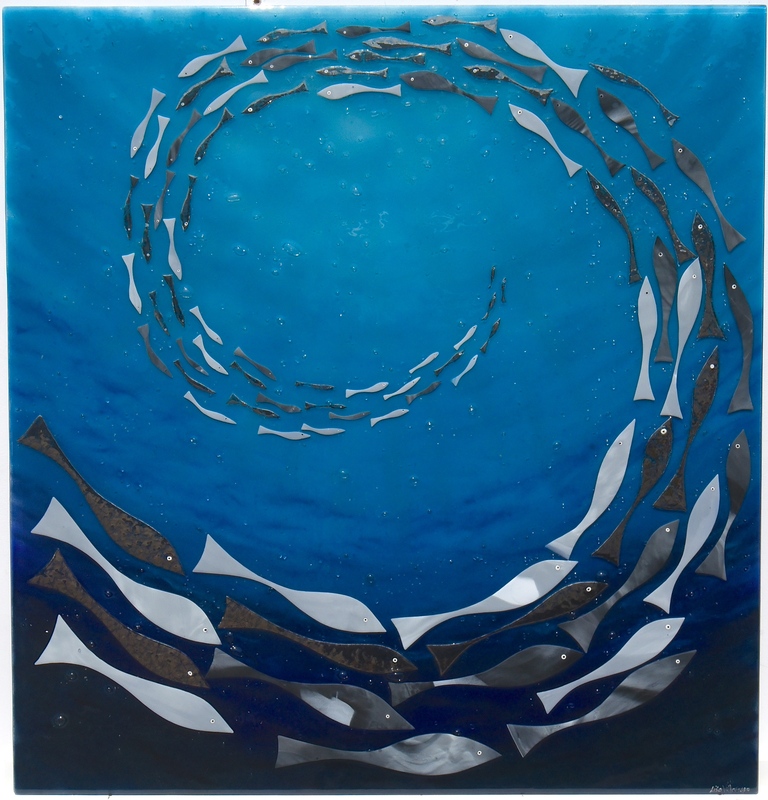 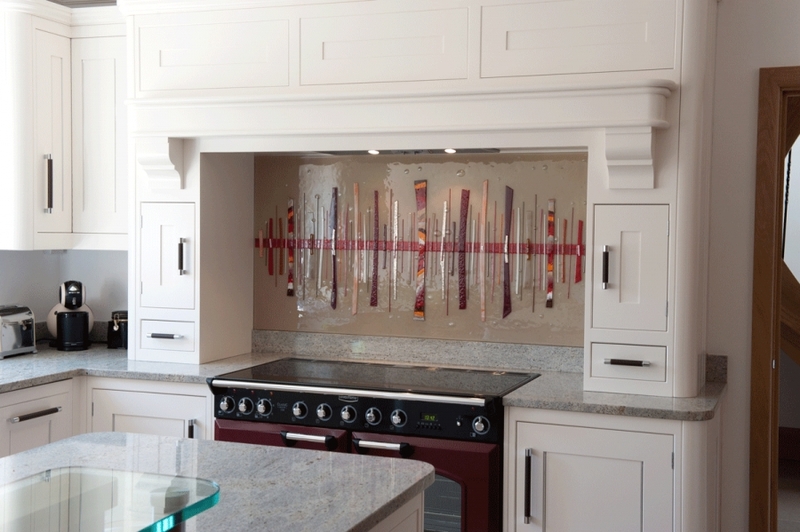 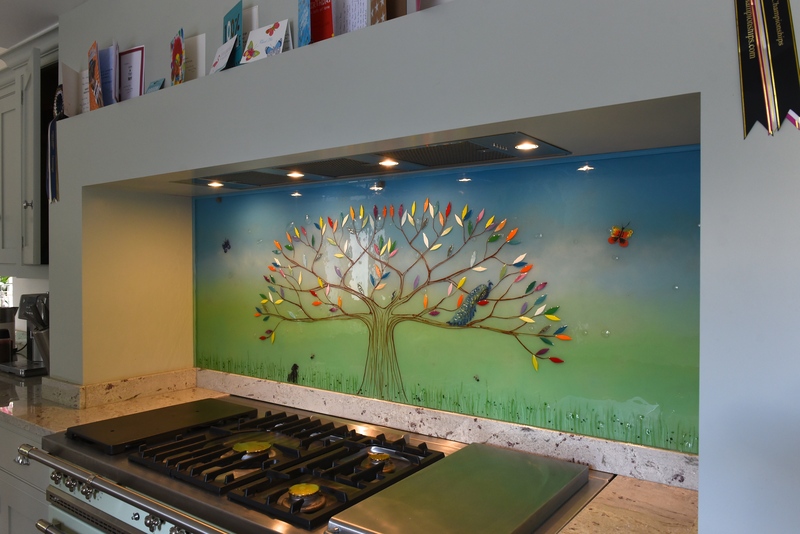 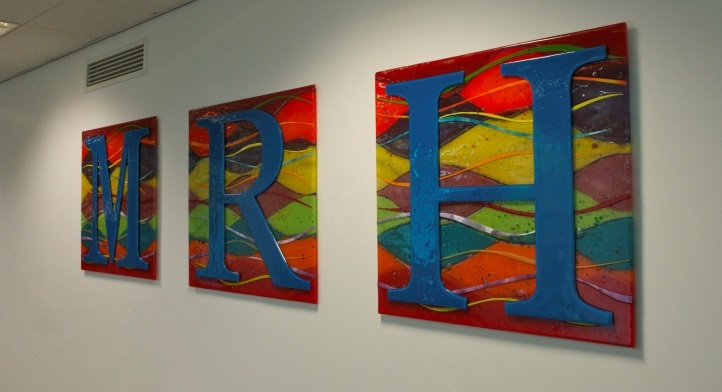 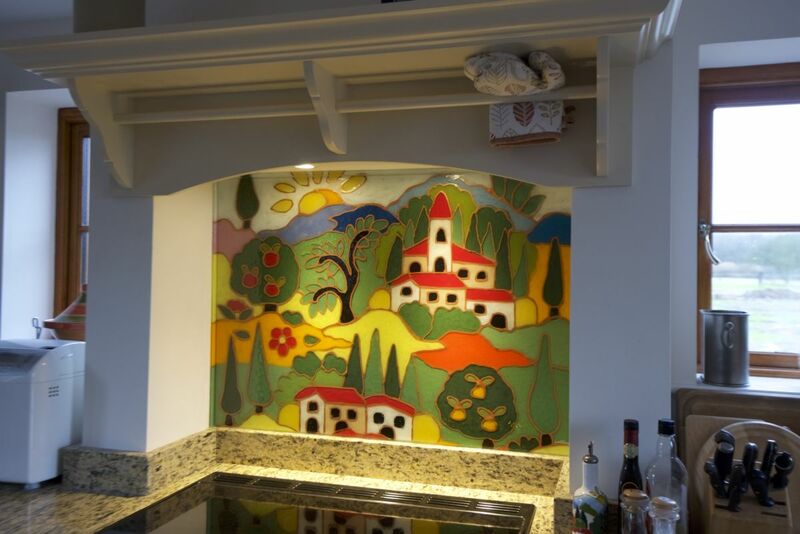 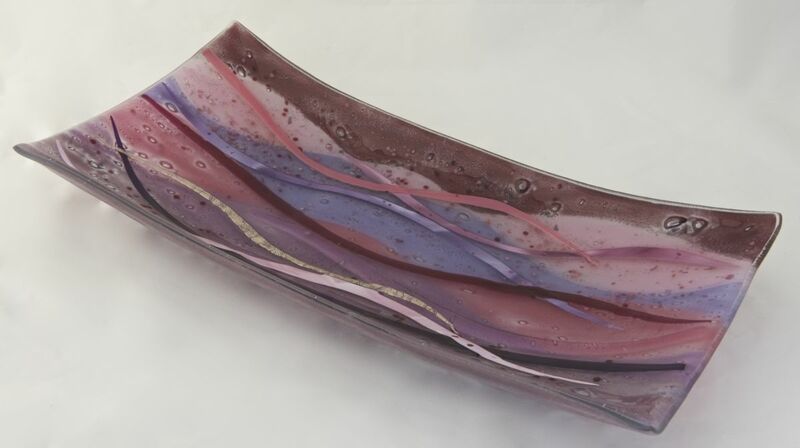 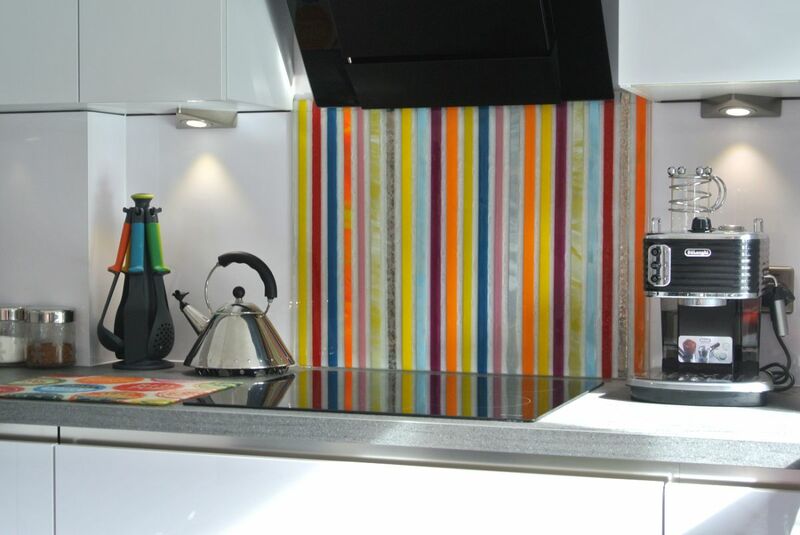 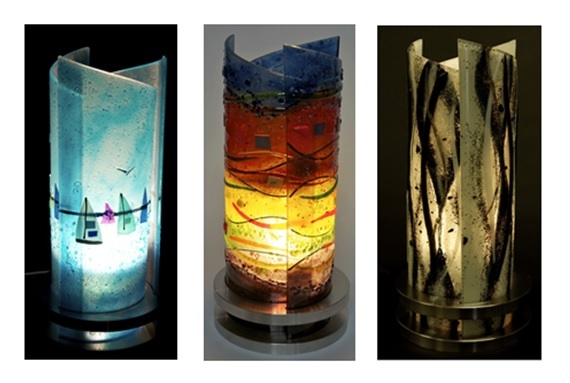 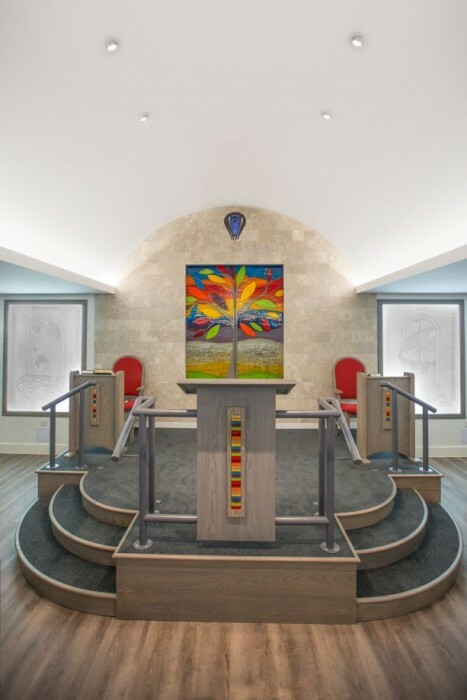 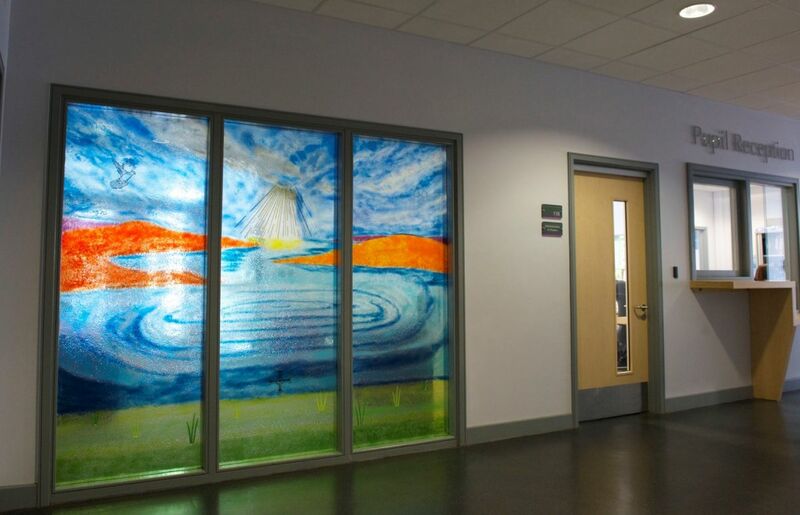 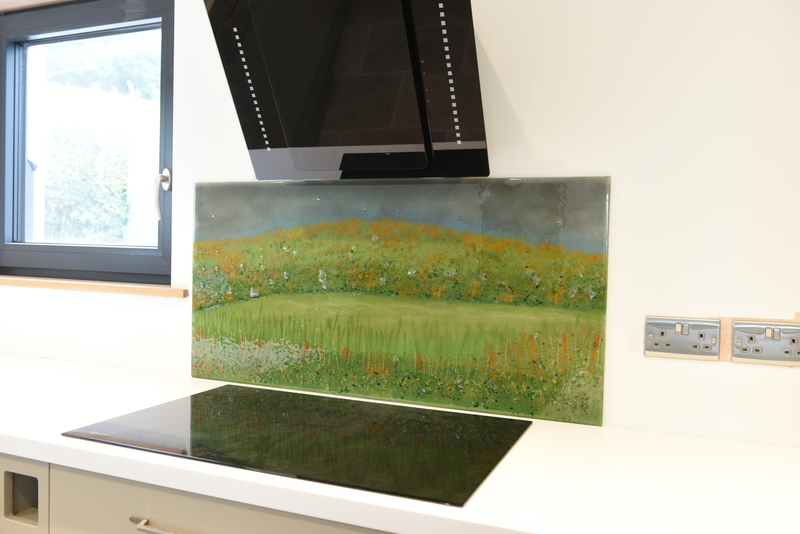 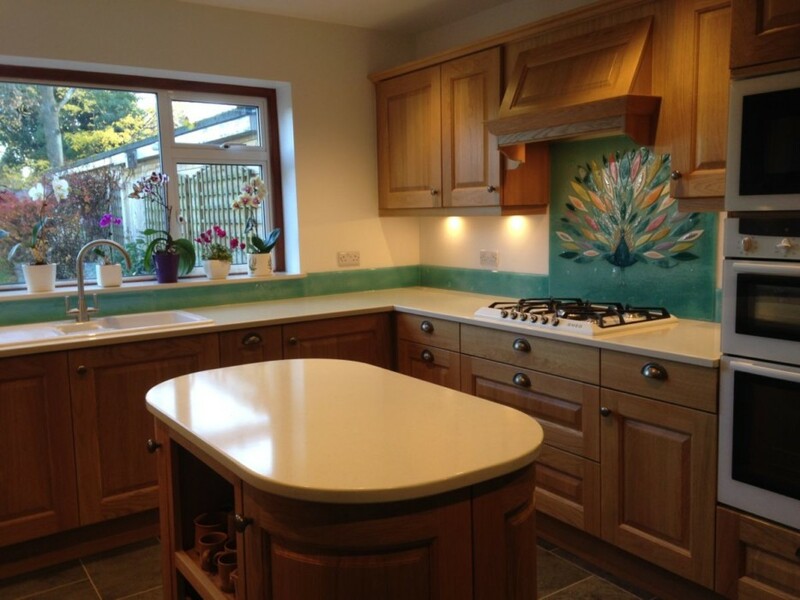 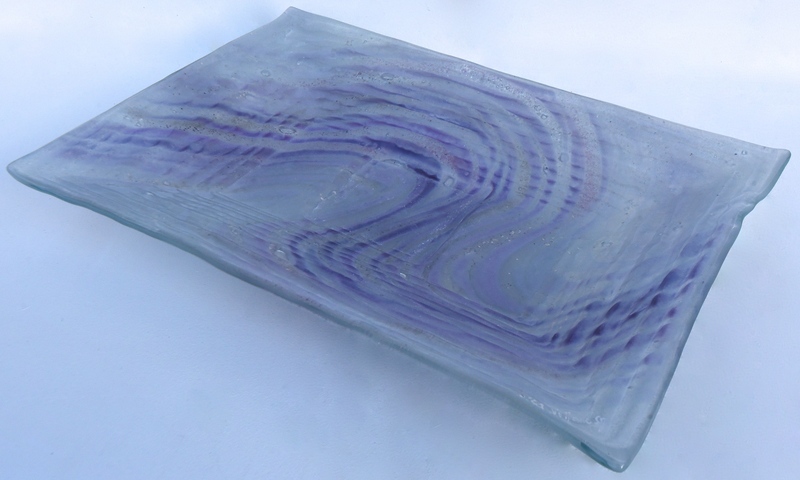 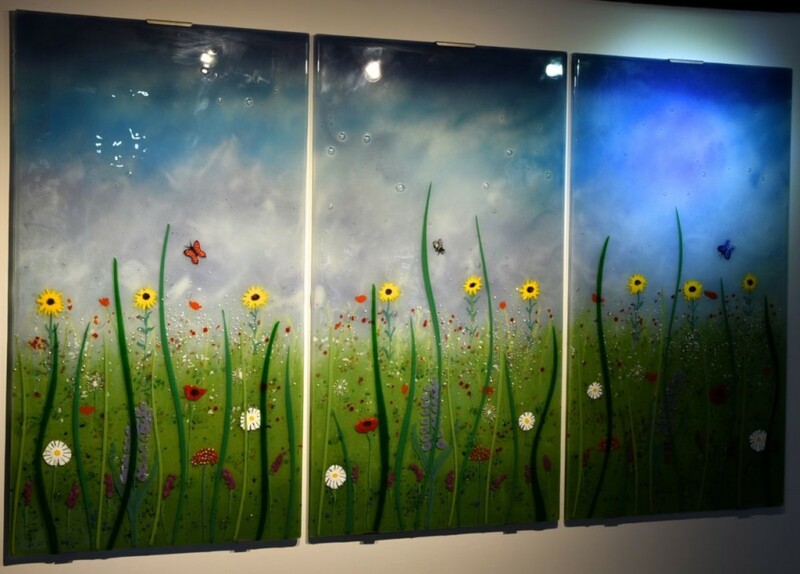 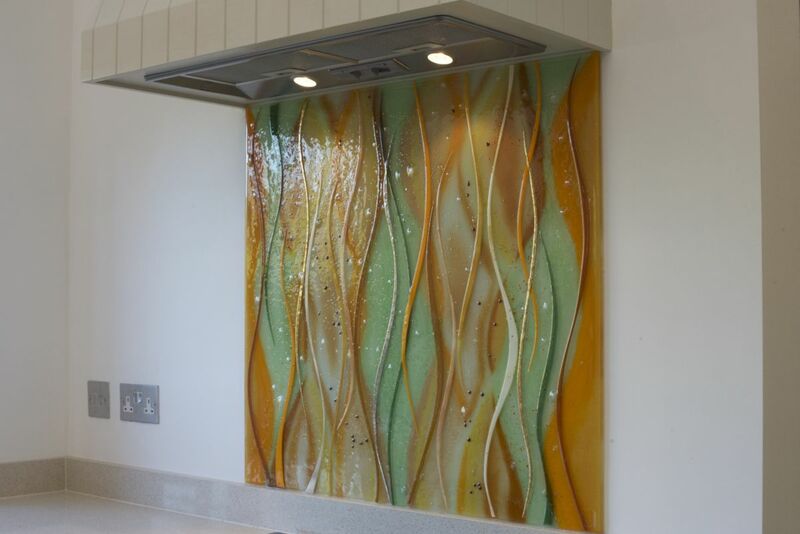 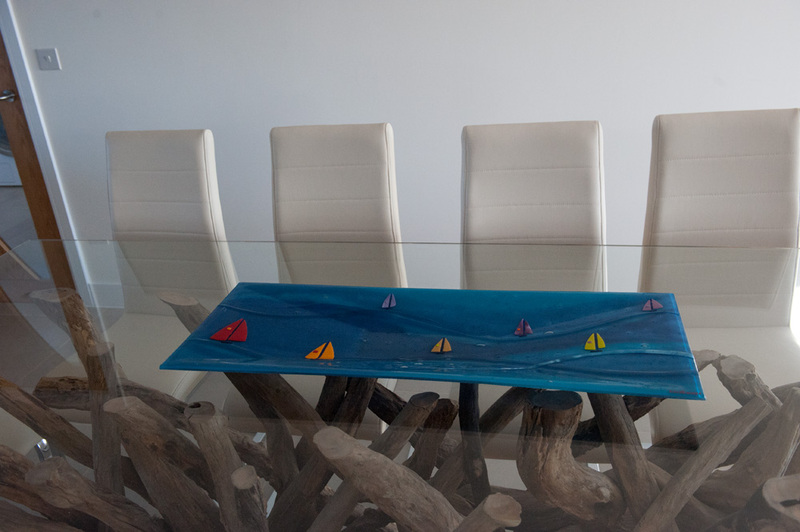 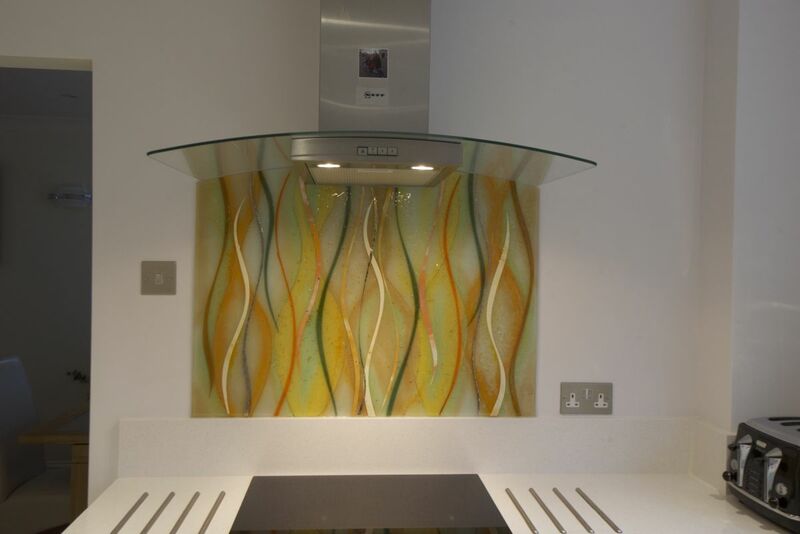 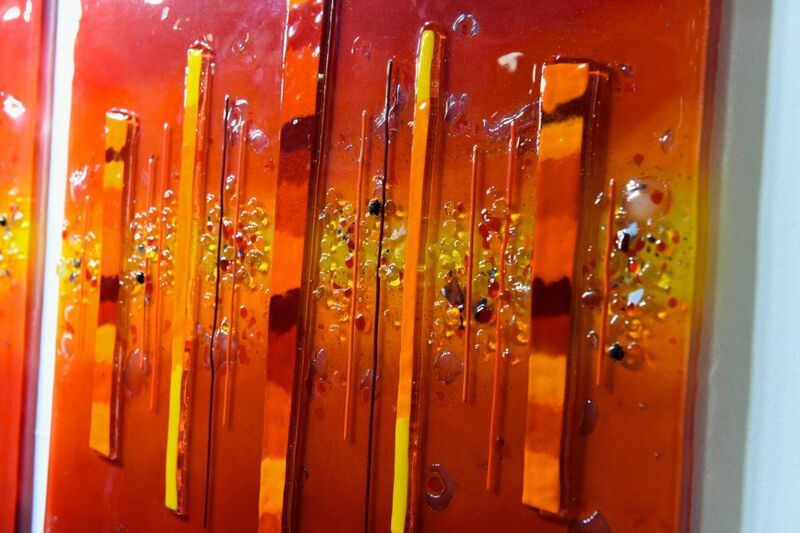 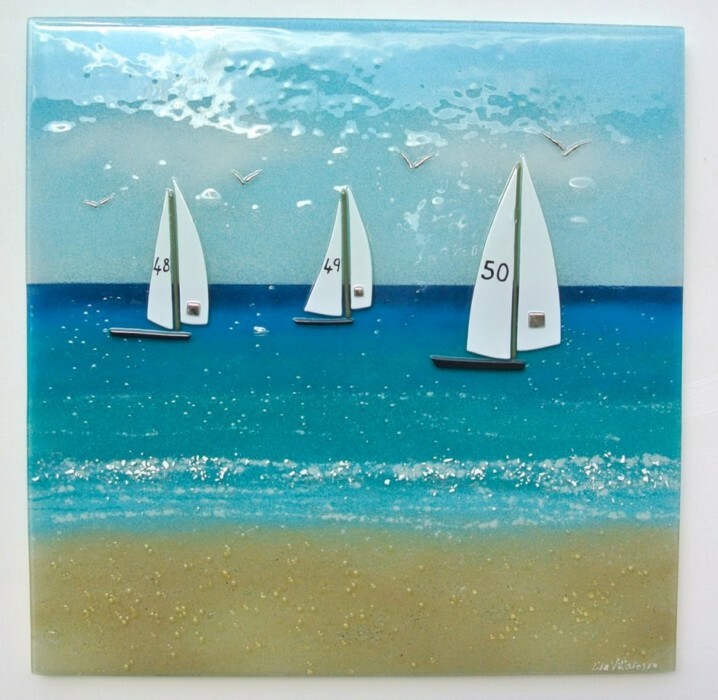 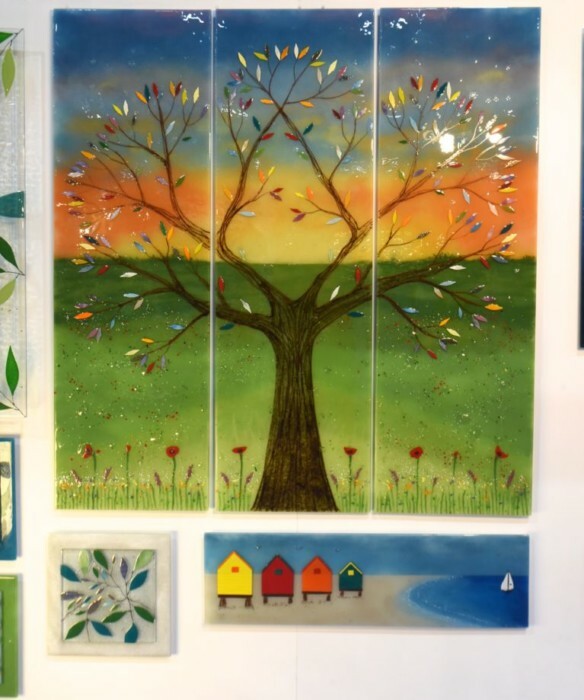 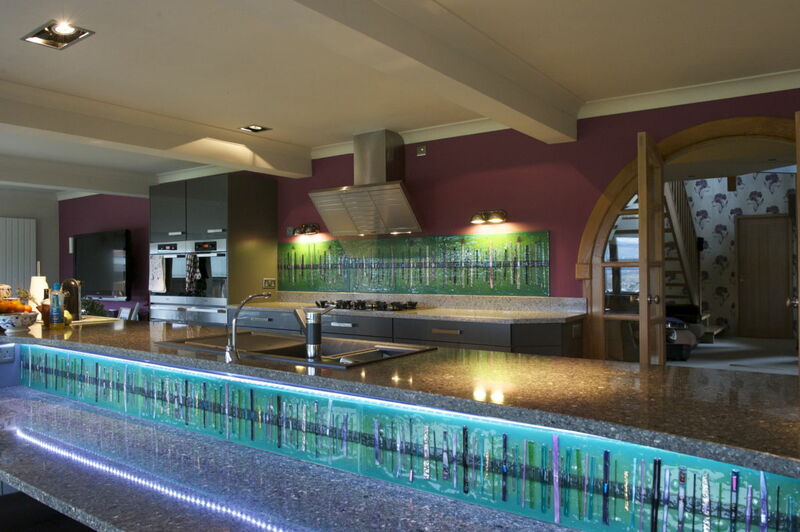 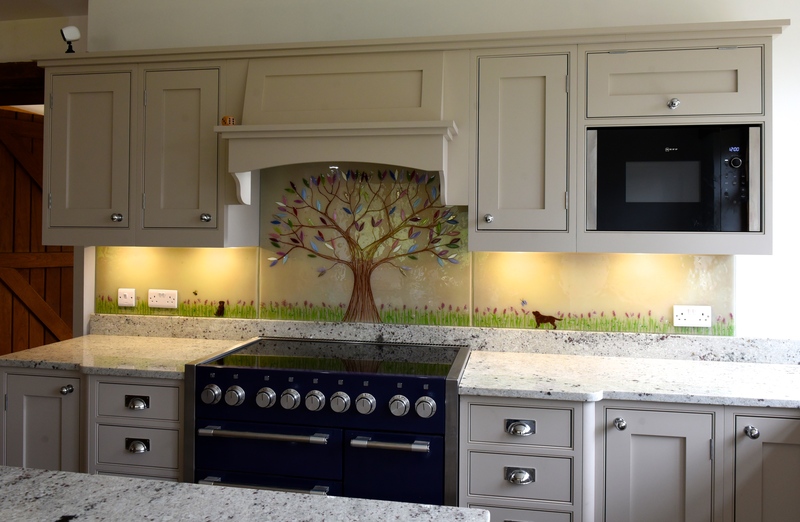 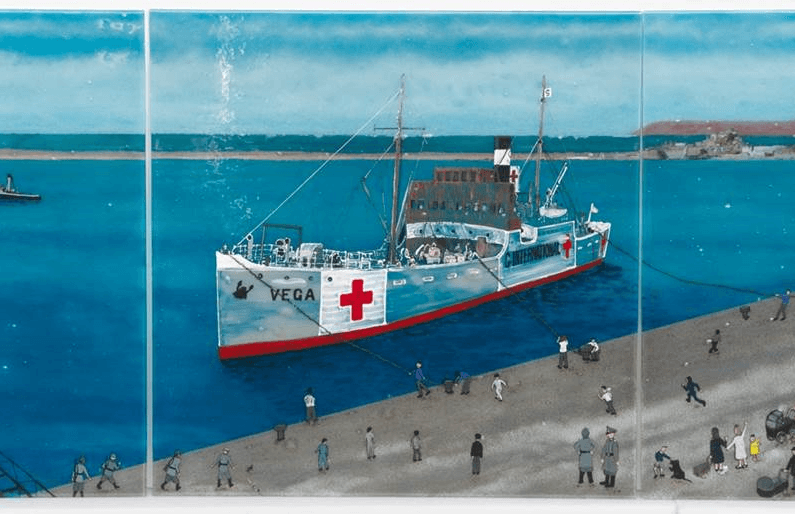 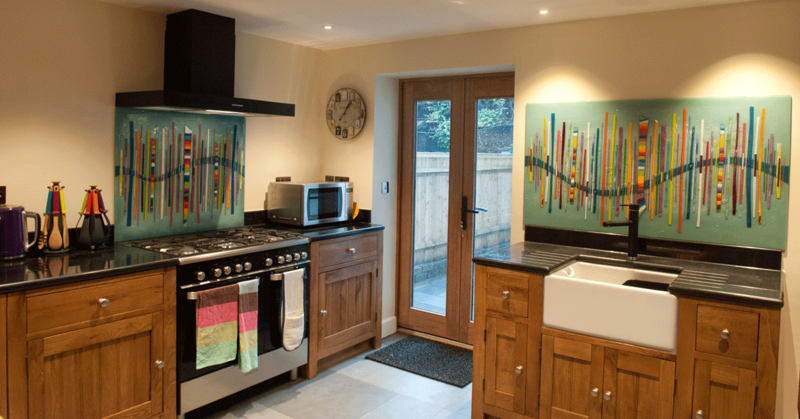 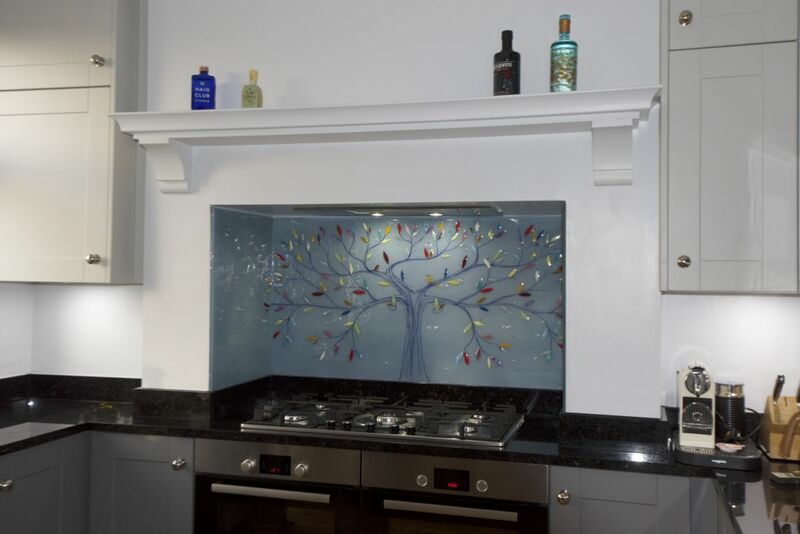 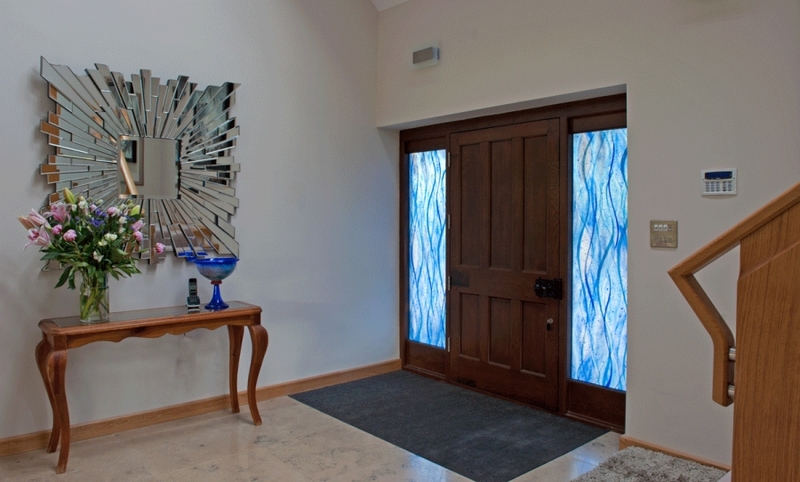 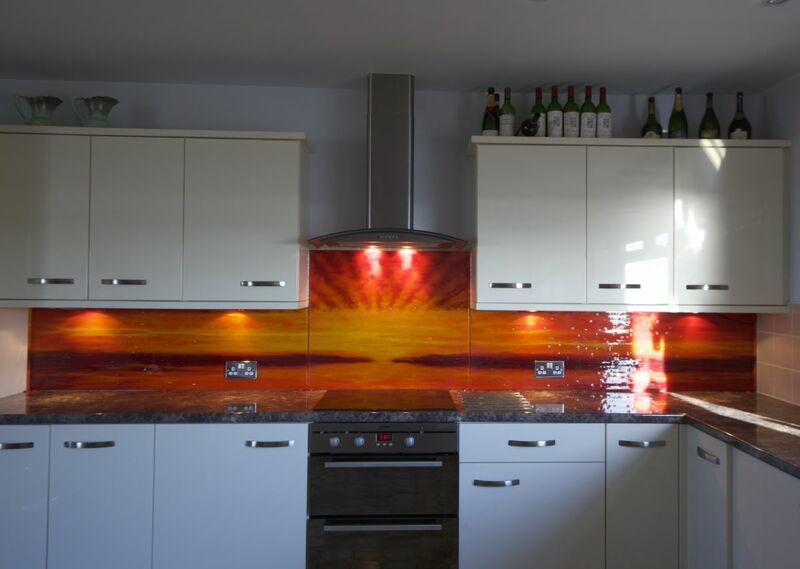 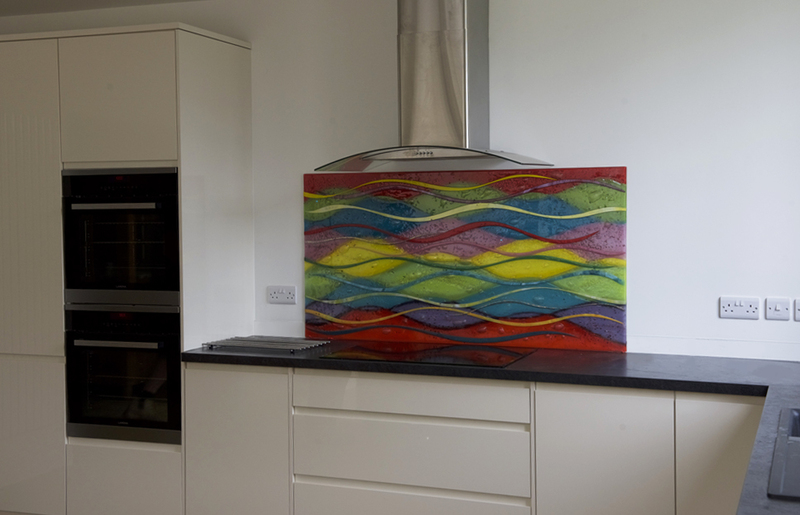 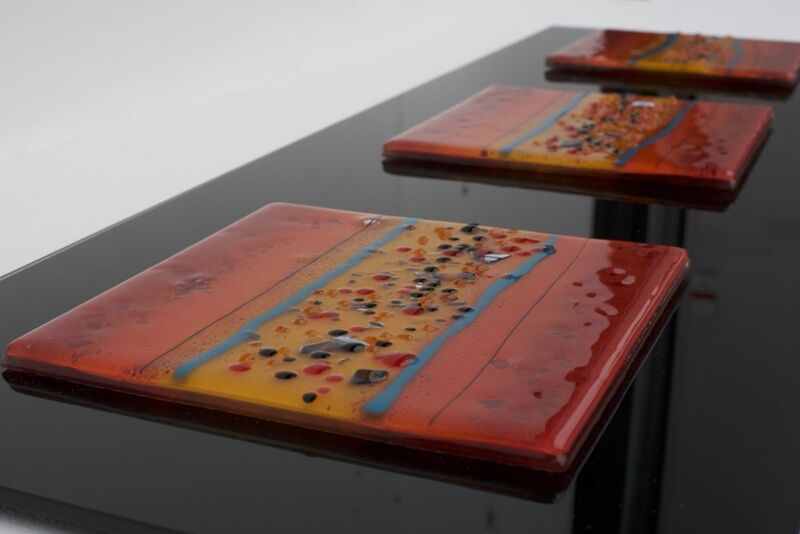 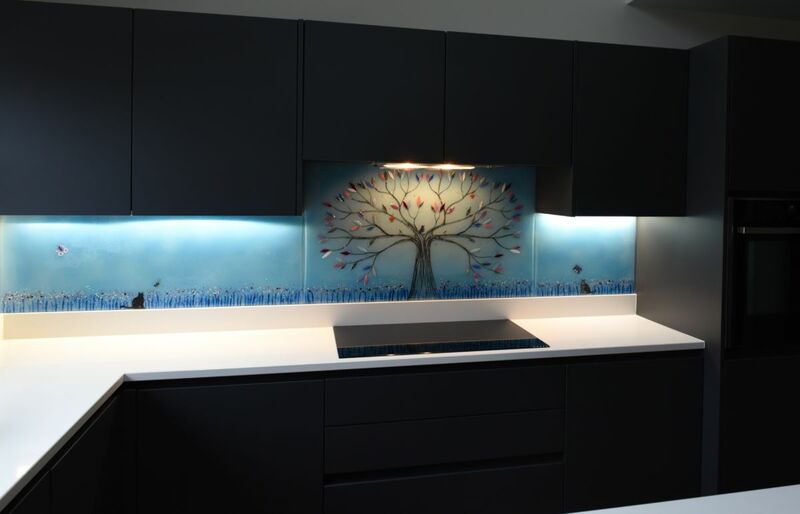 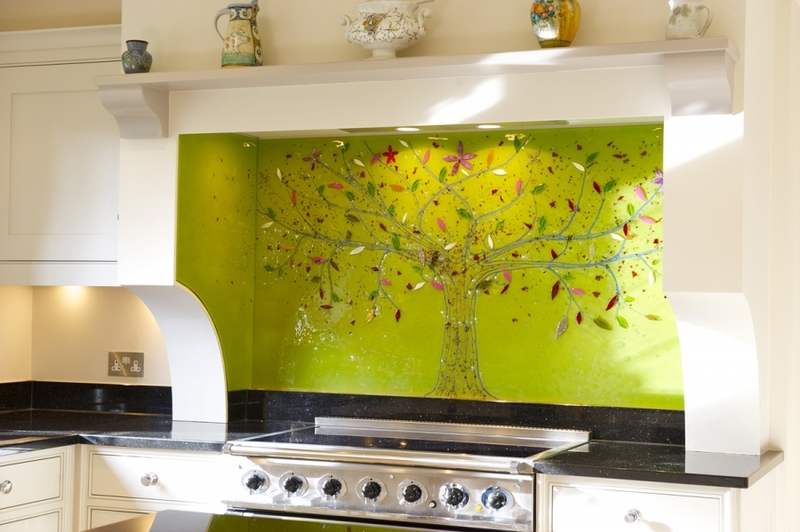 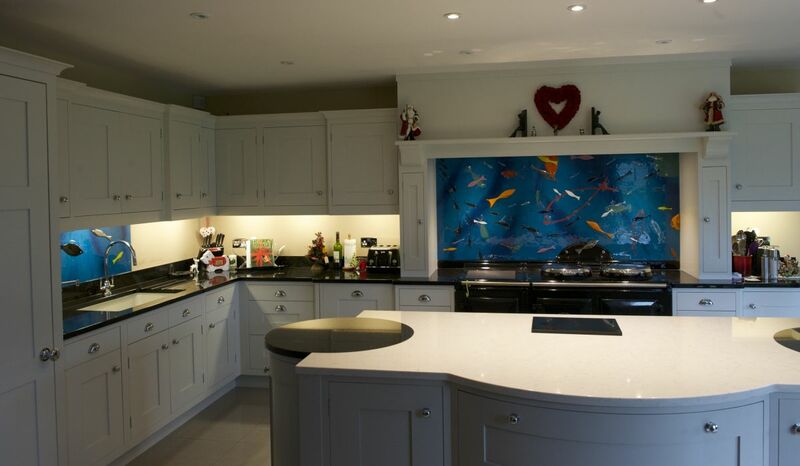 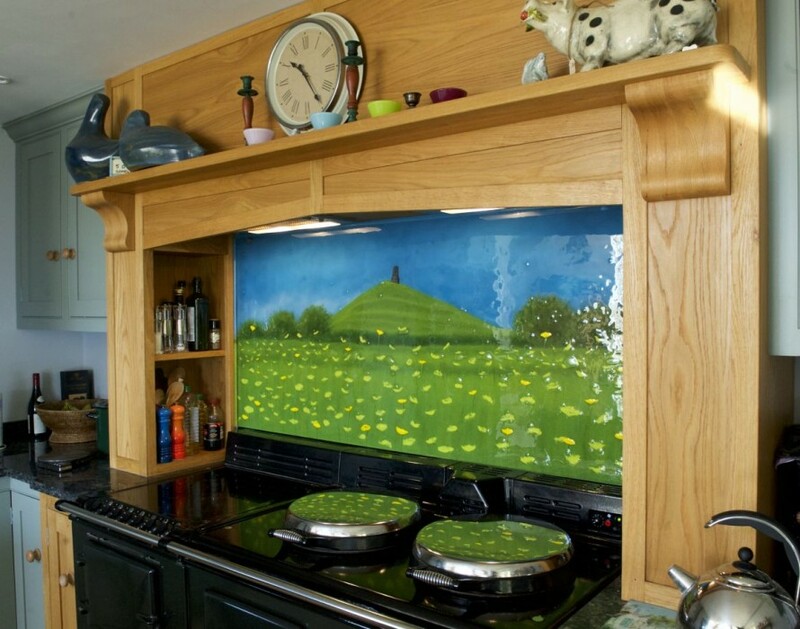 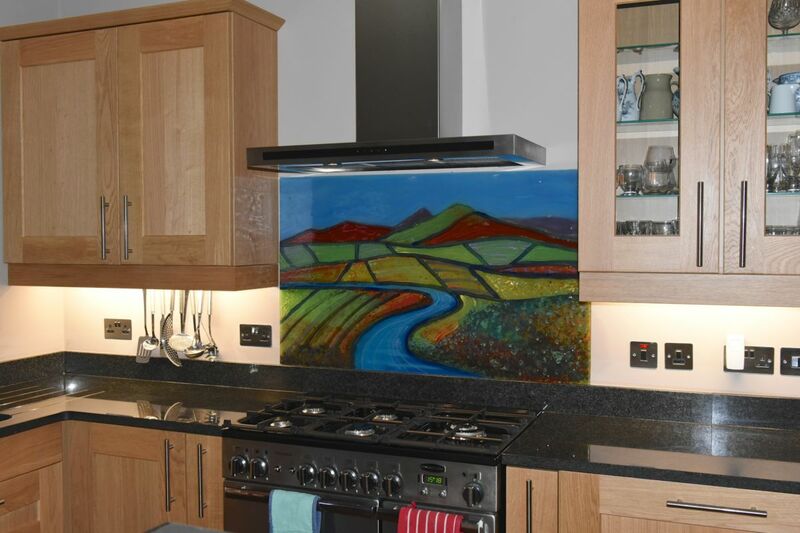 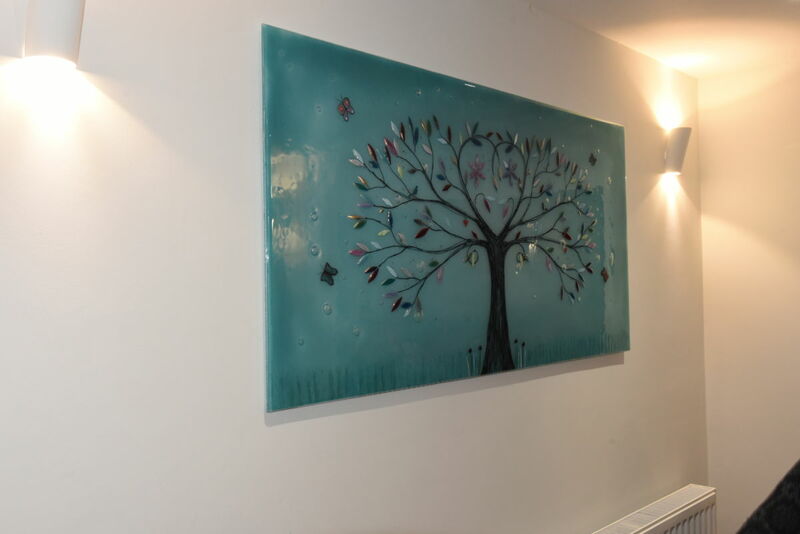 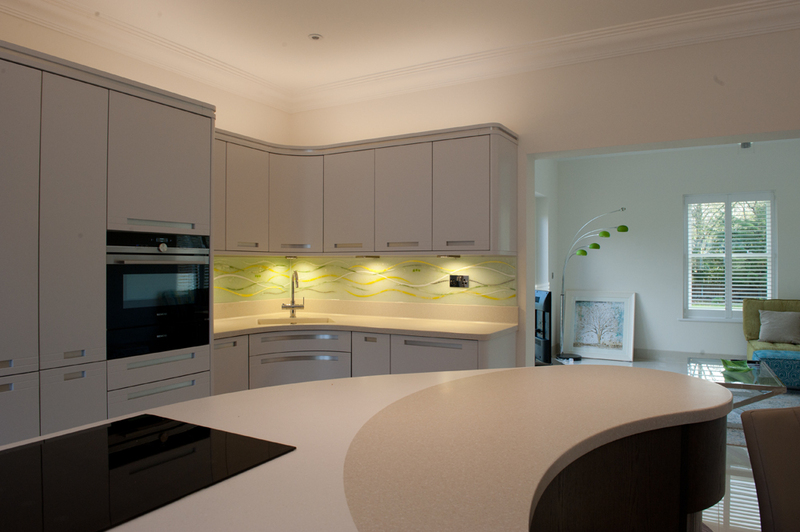 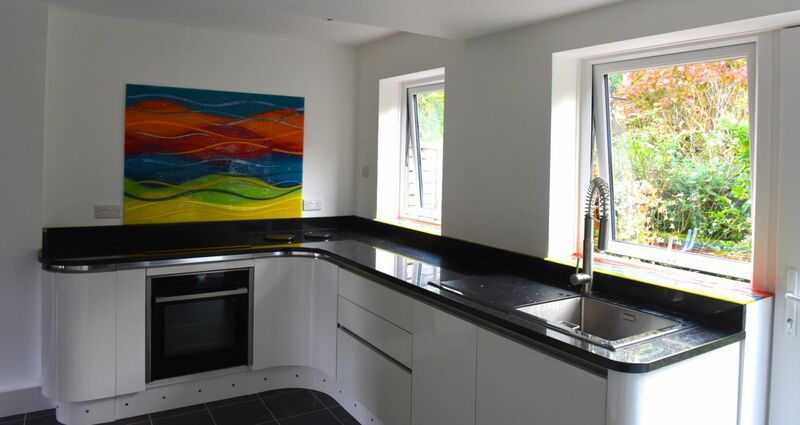 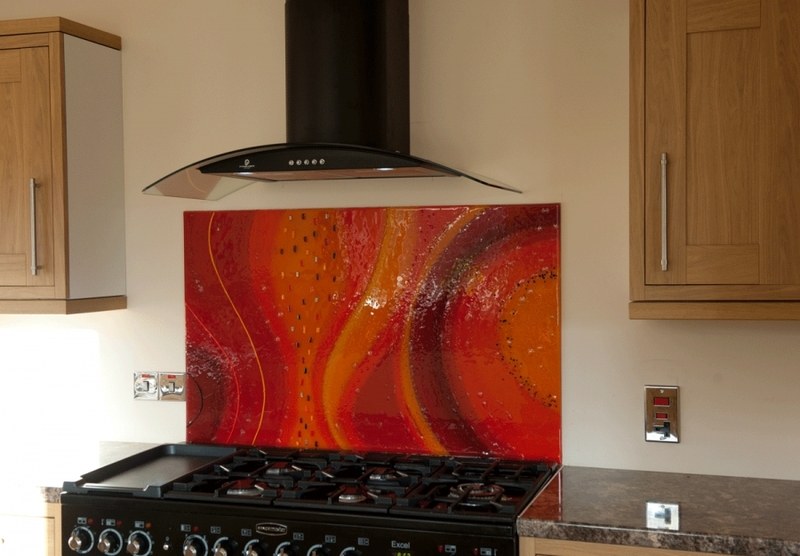 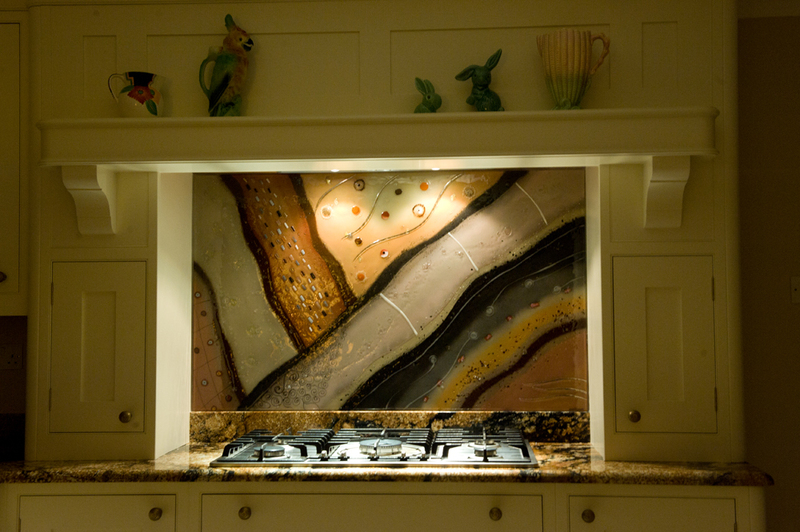 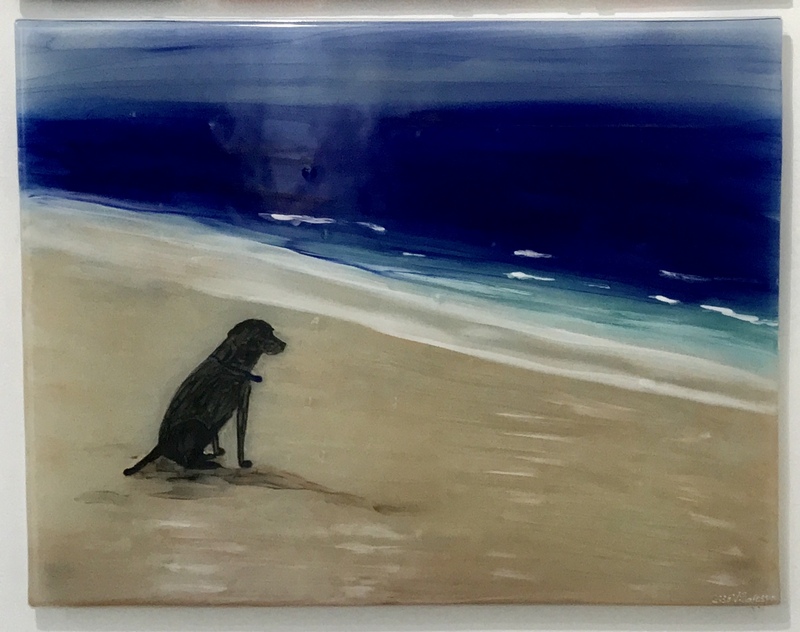 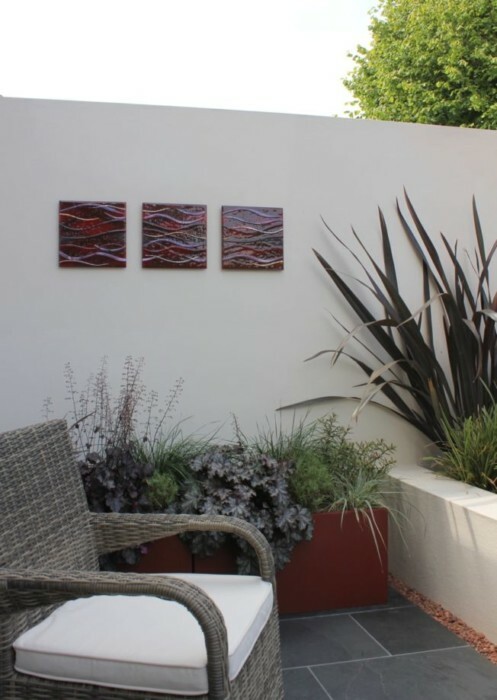 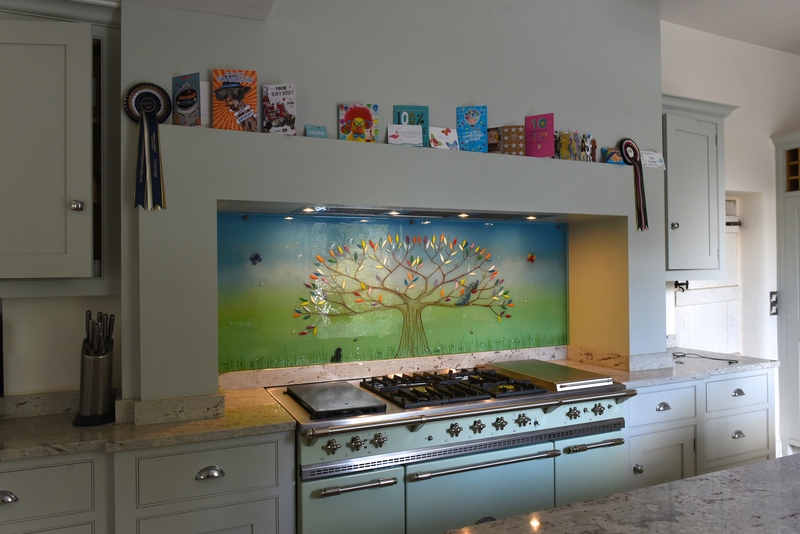 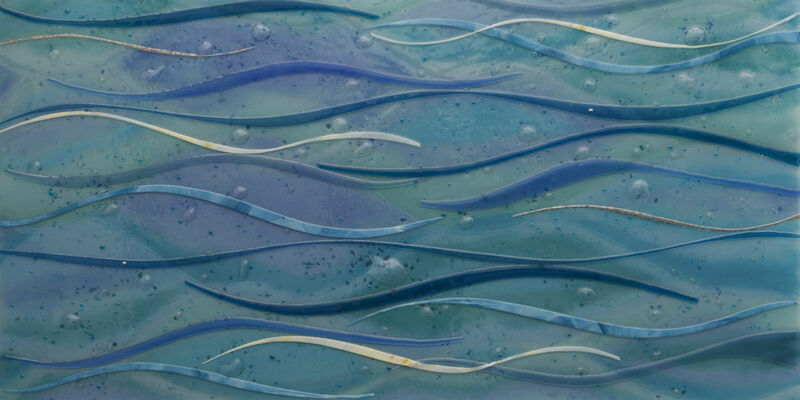 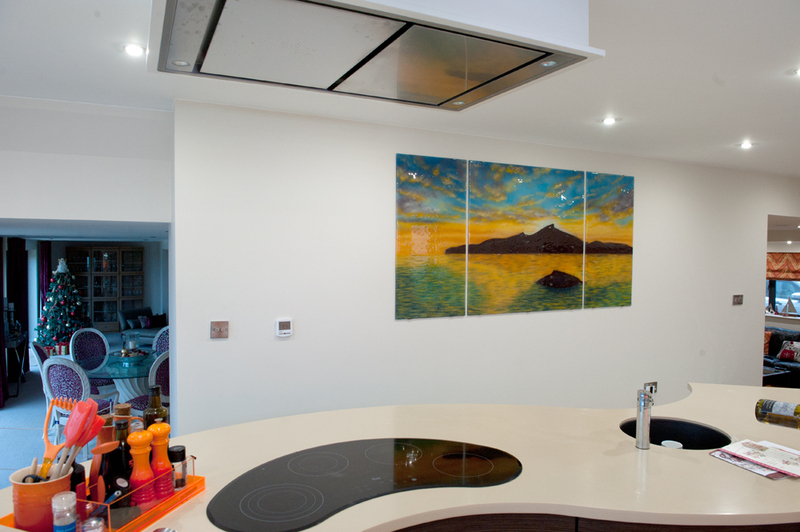 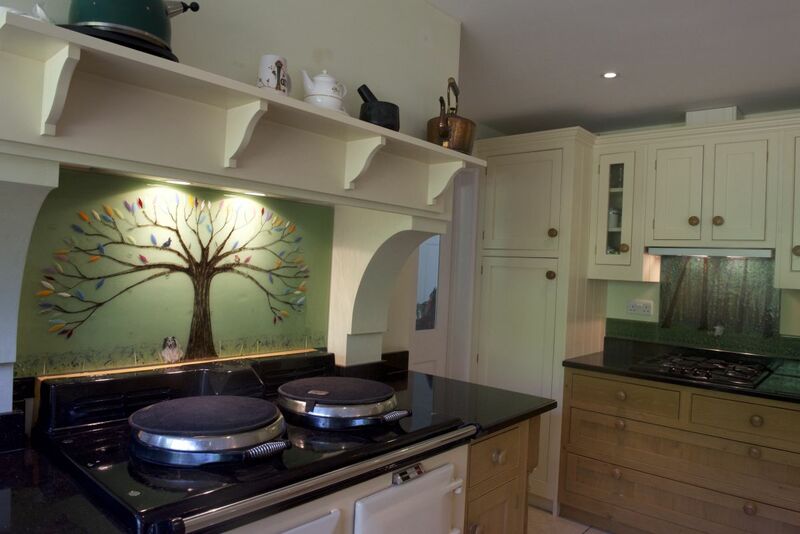 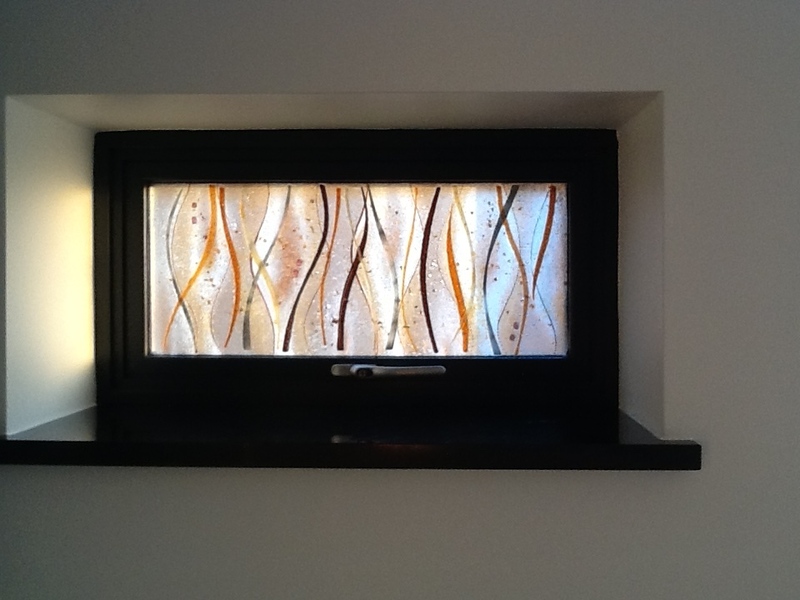 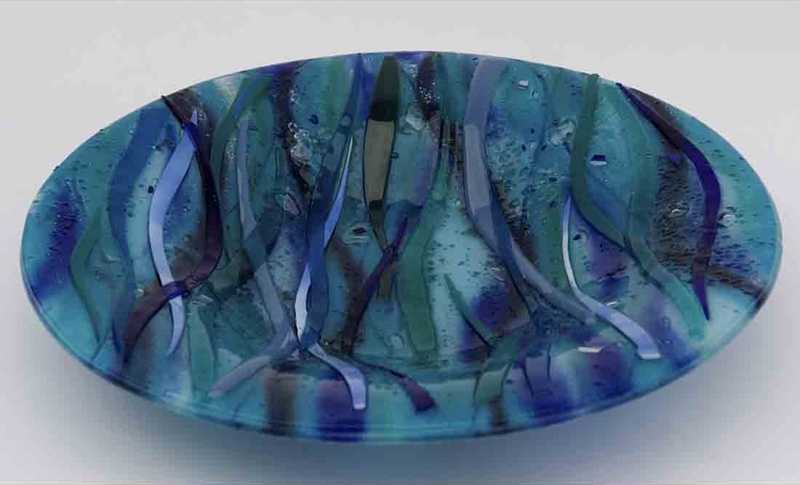 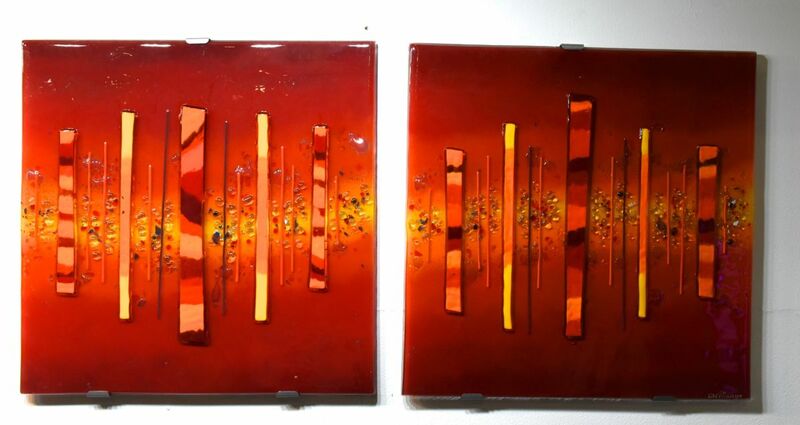 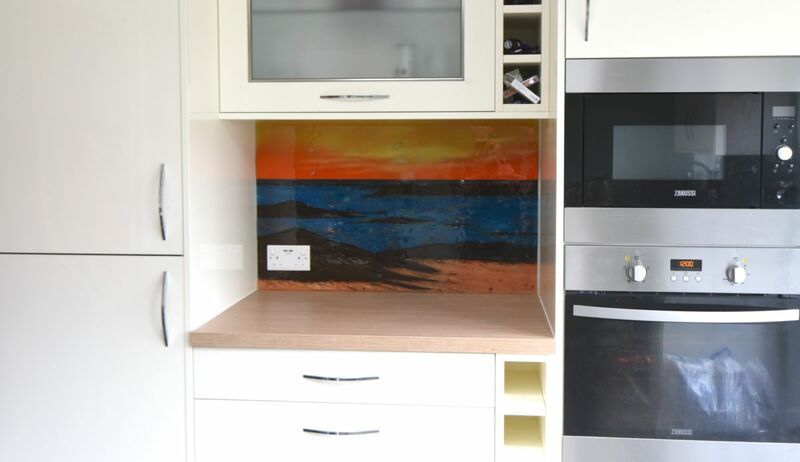 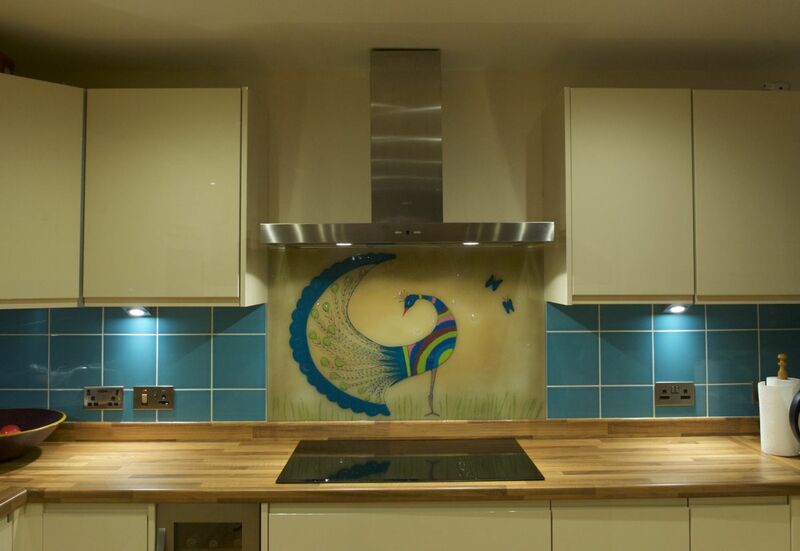 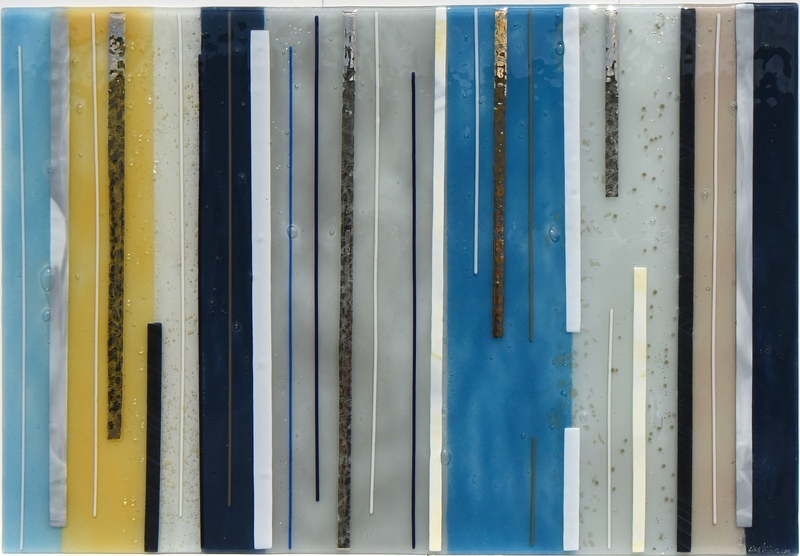 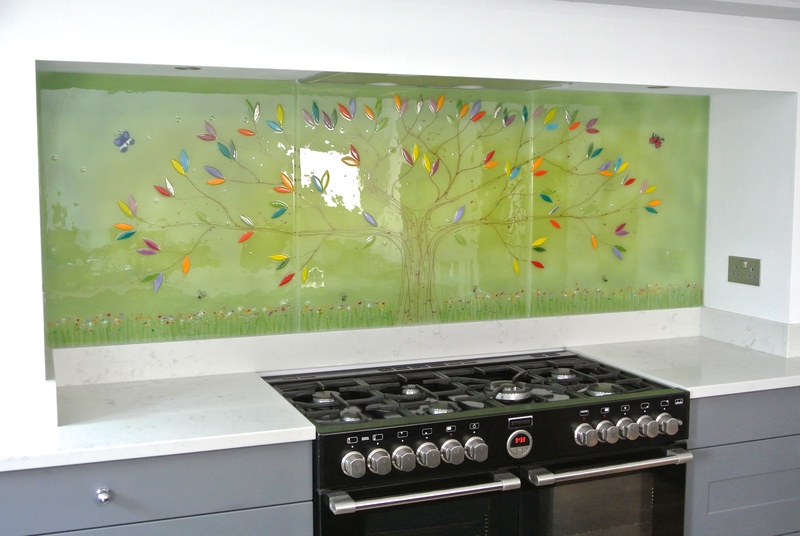 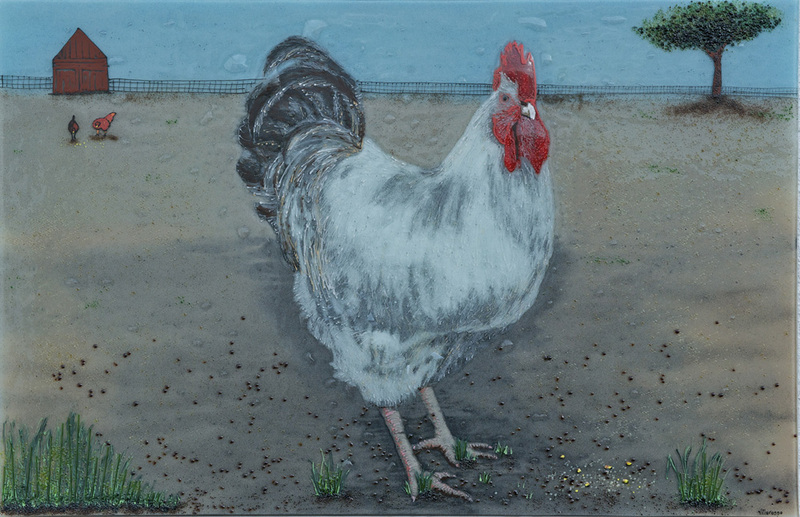 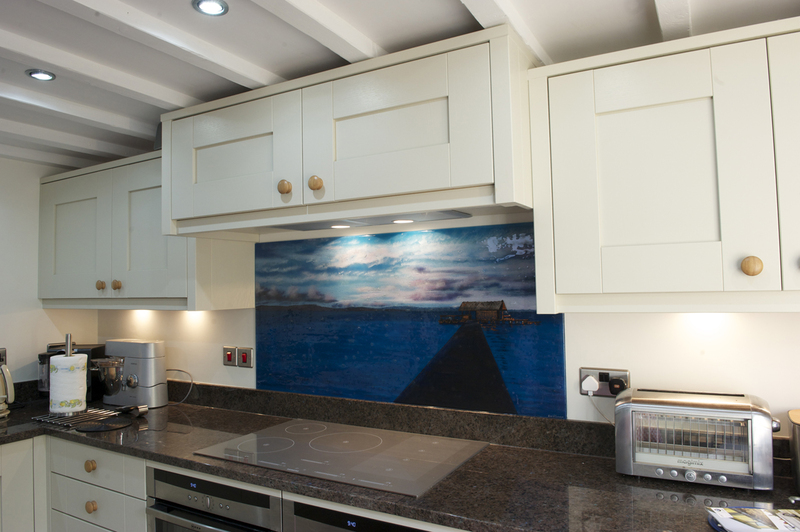 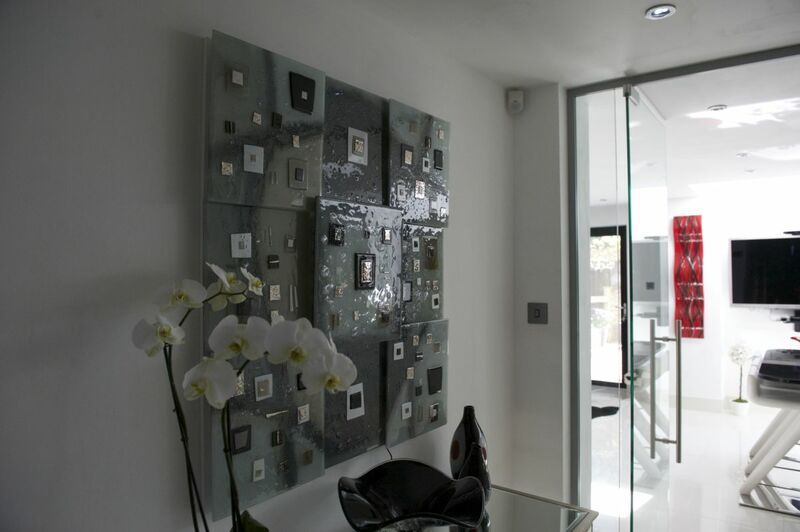 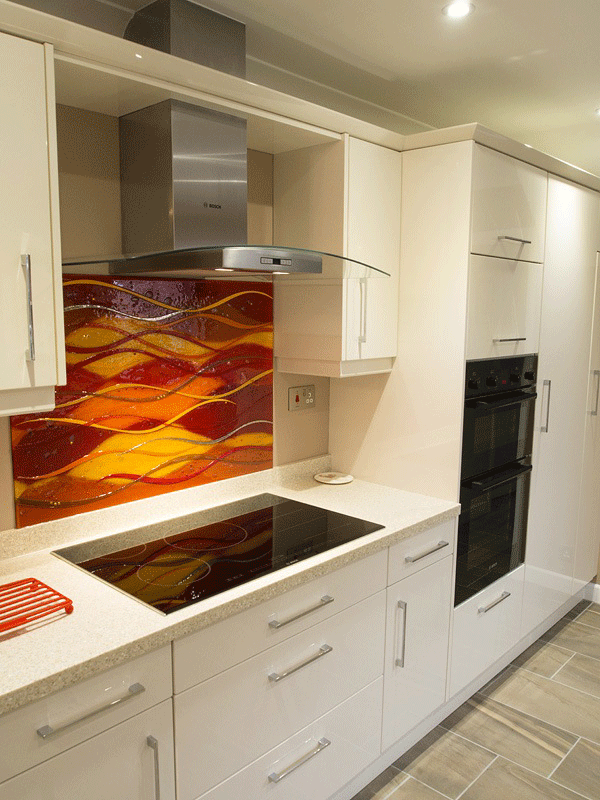 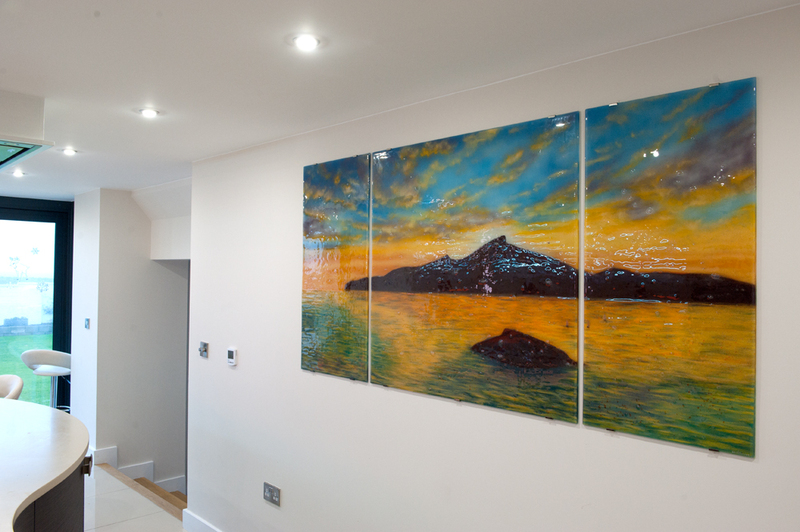 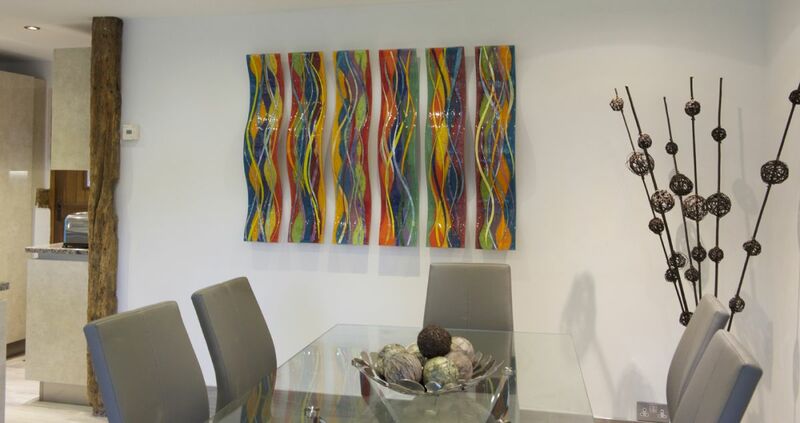 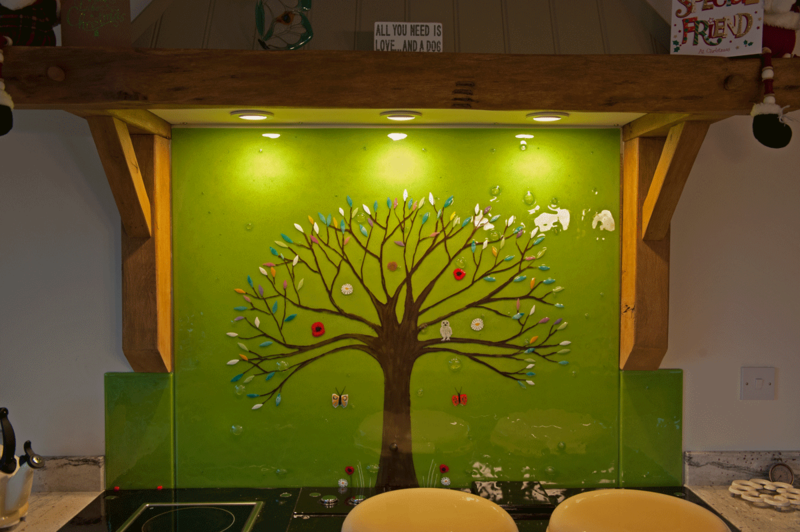 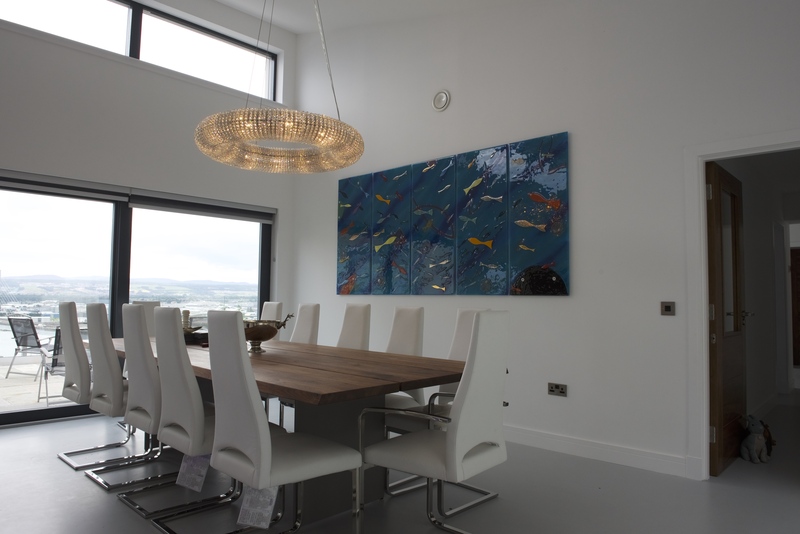 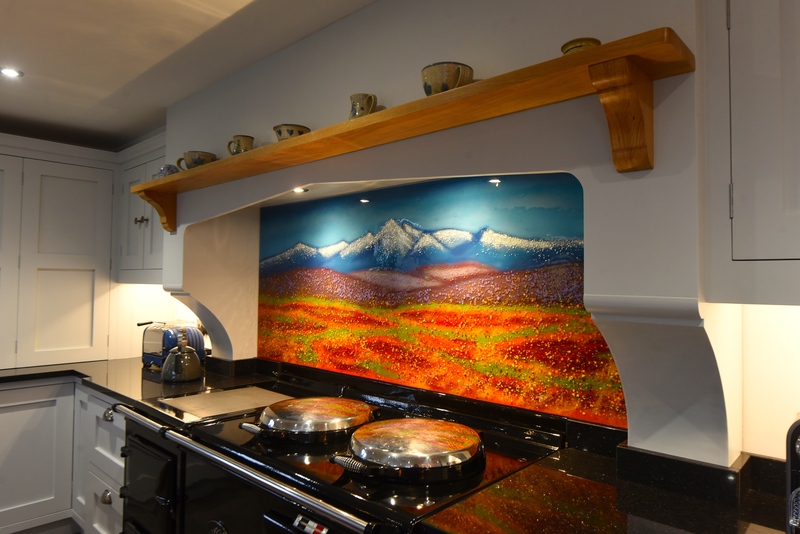 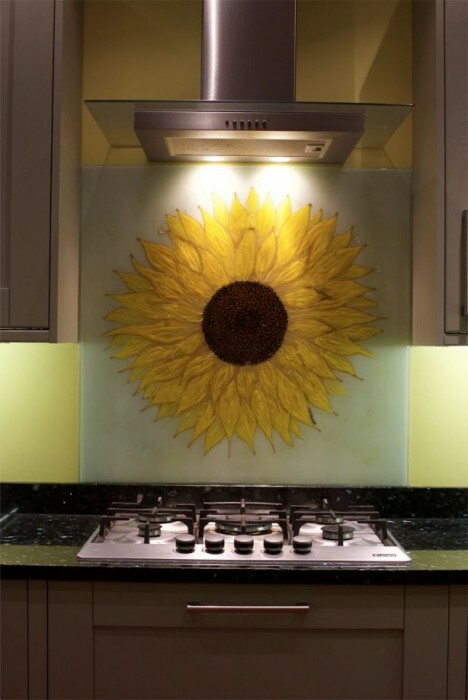 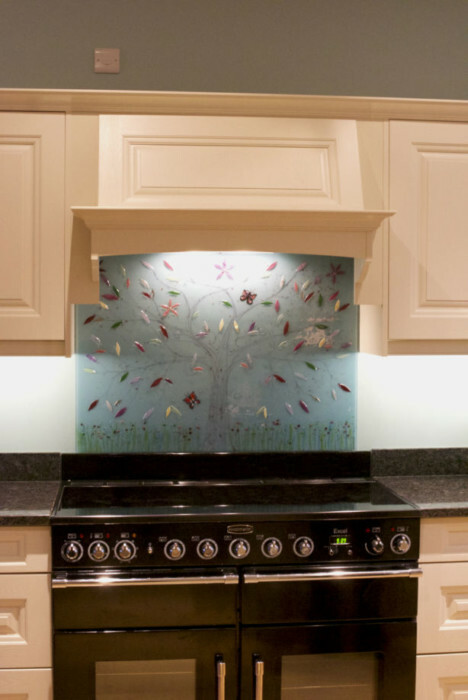 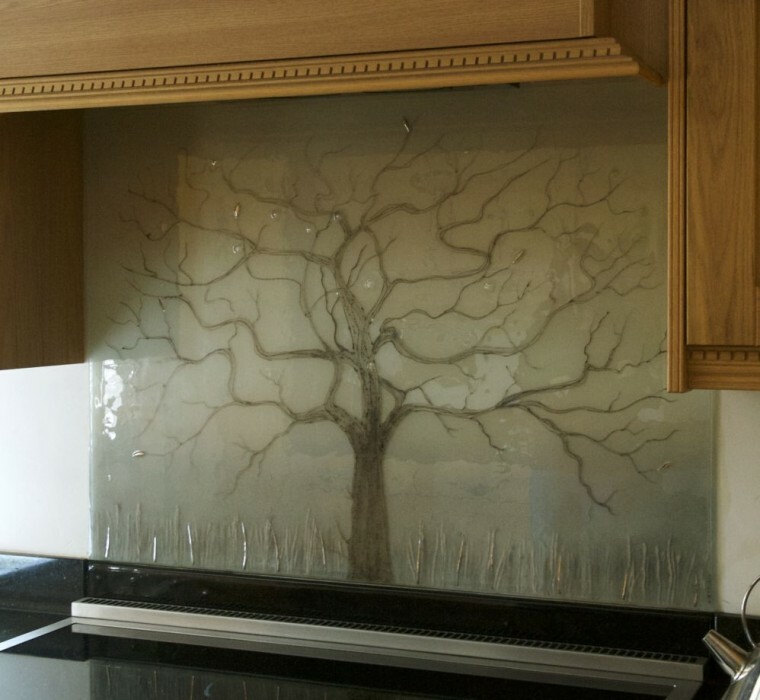 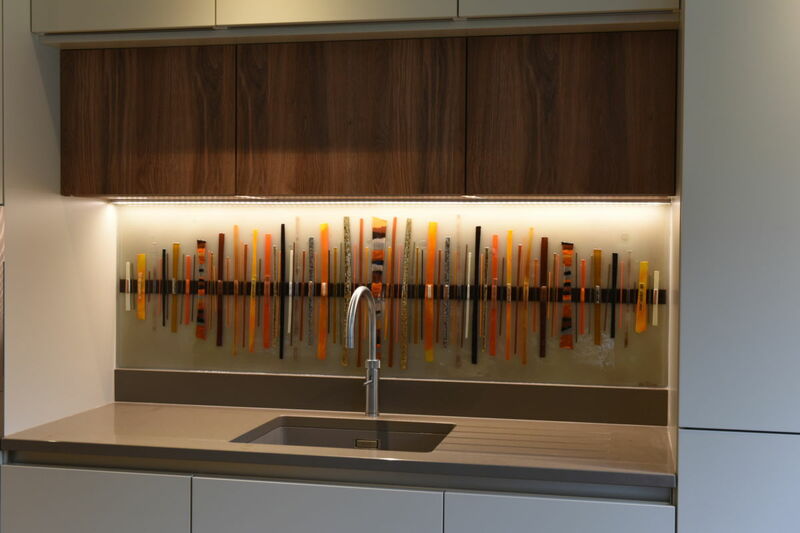 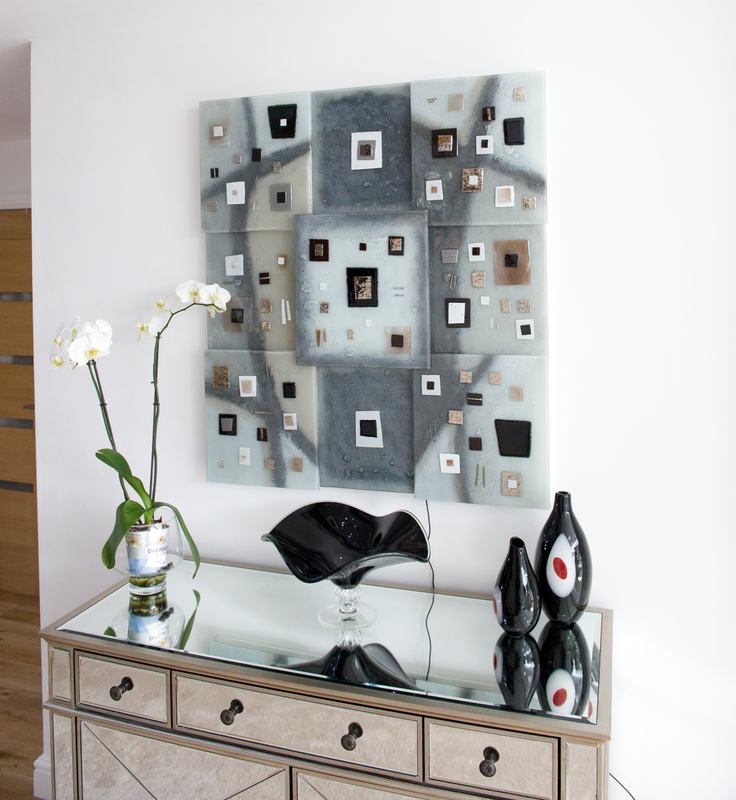 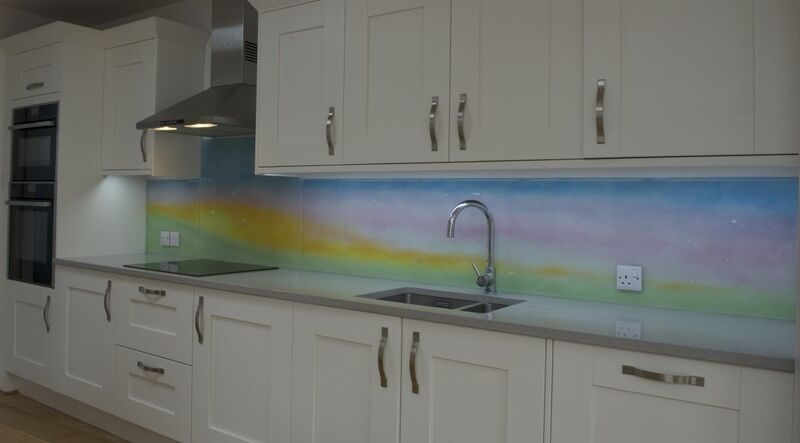 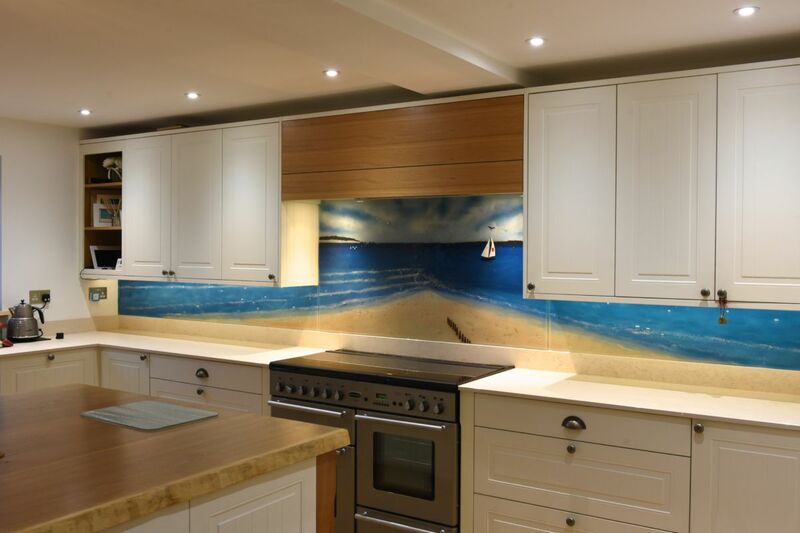 When you’re working with bespoke fused glass art, your imagination really is the only limit. 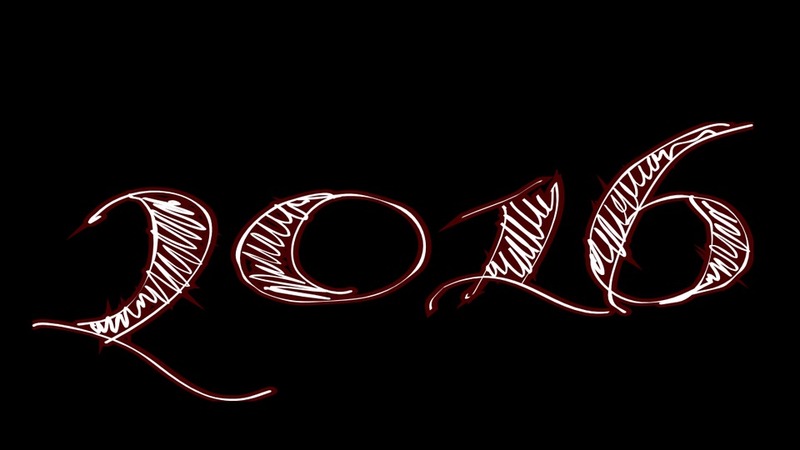 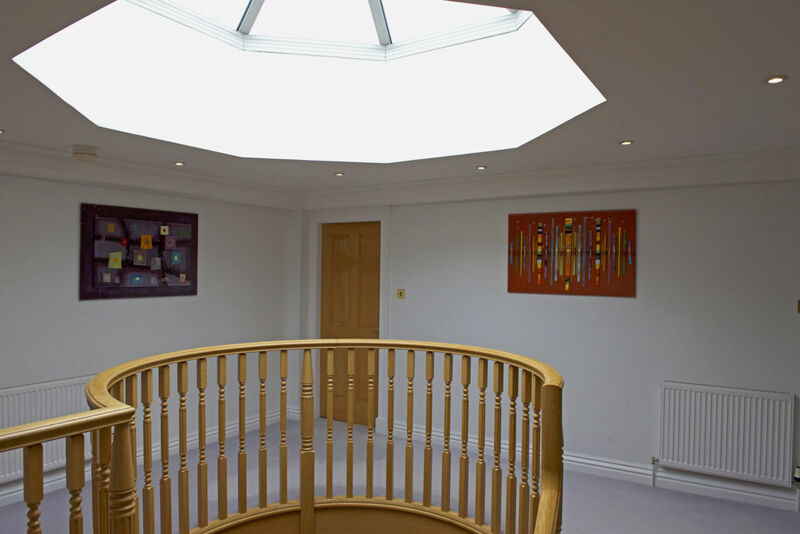 Just take a look through our portfolio of work, and you’re sure to see exactly what we’re talking about. 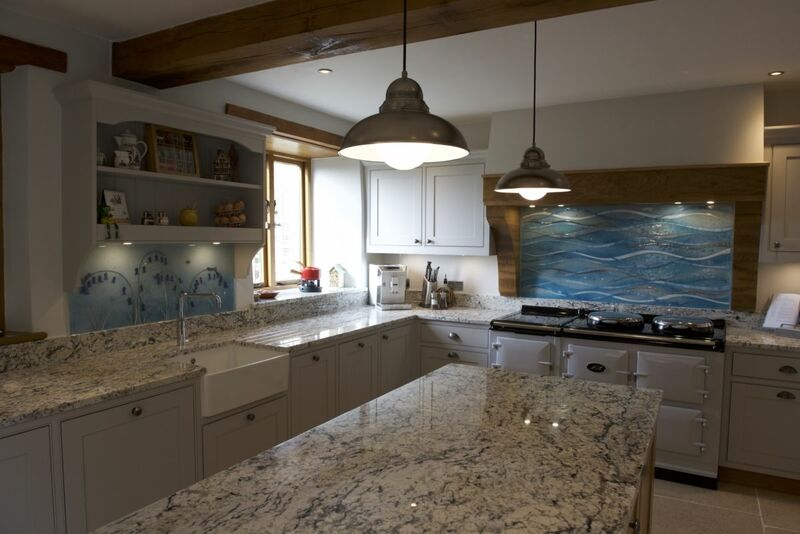 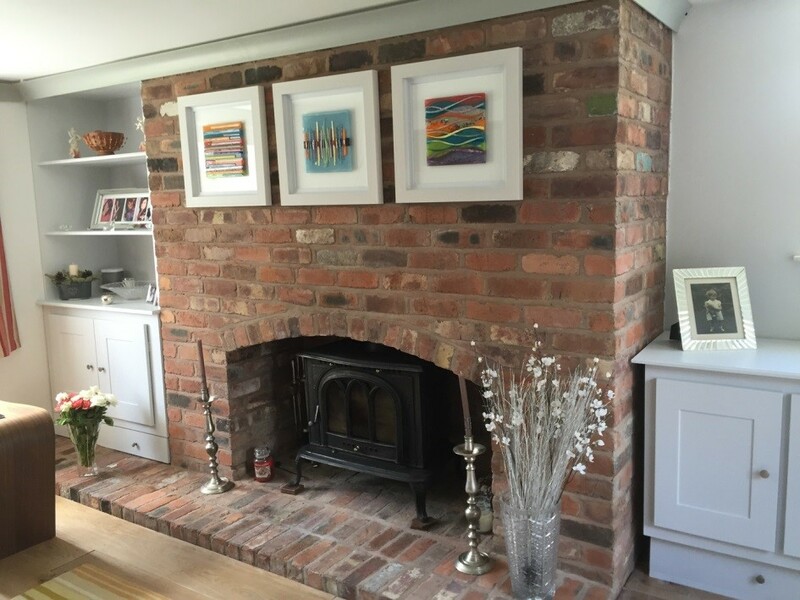 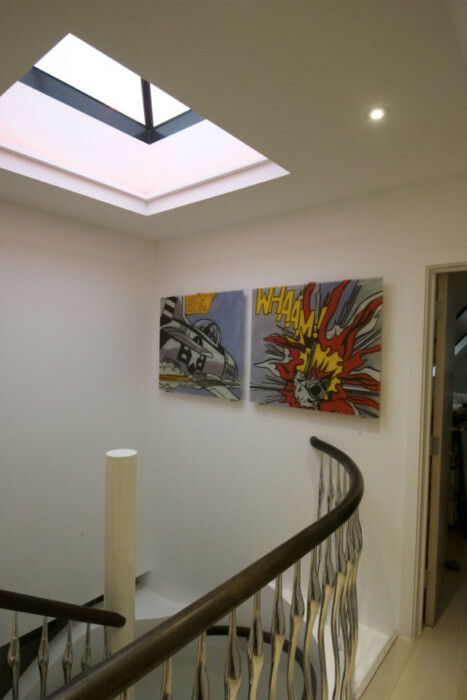 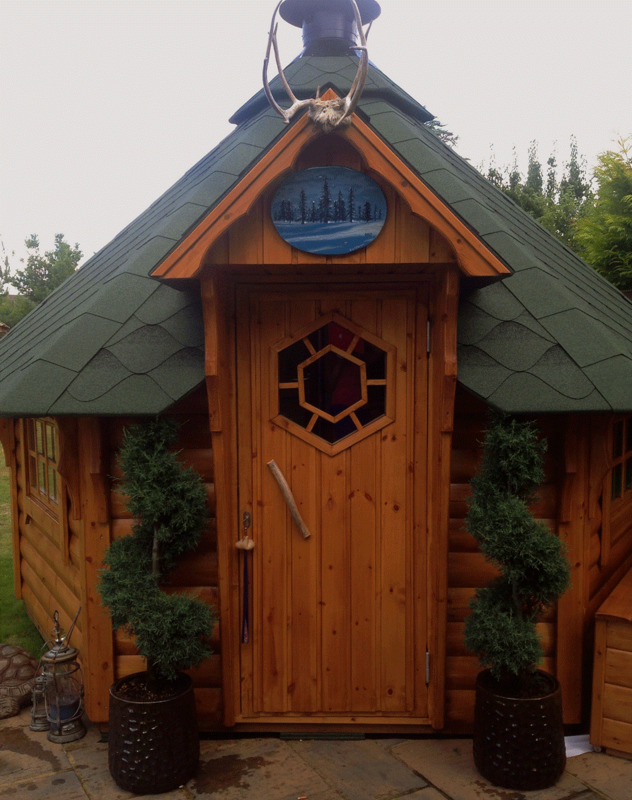 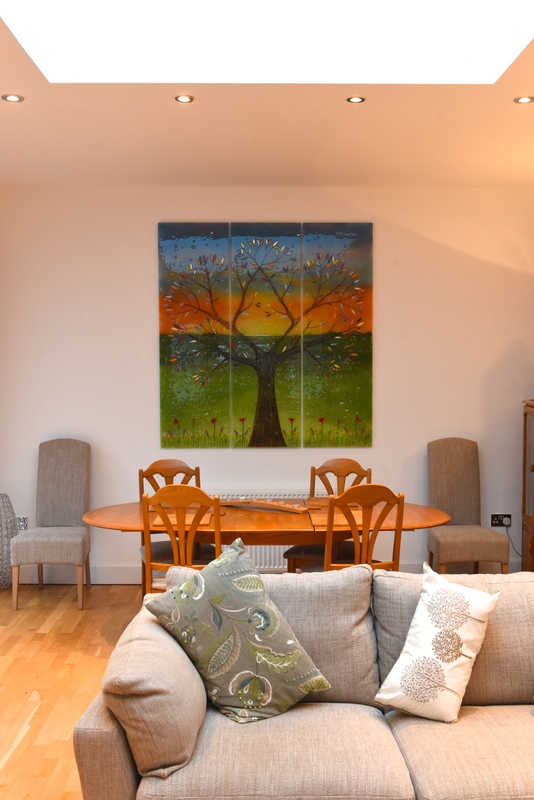 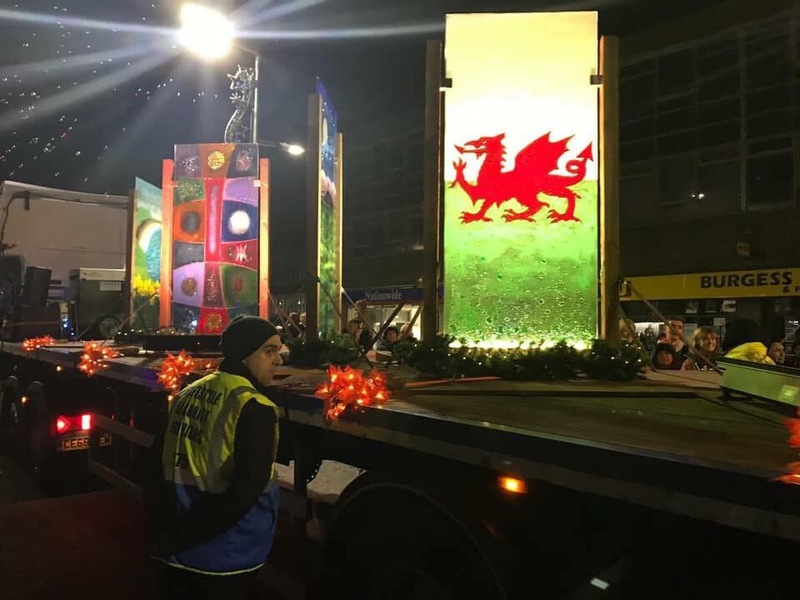 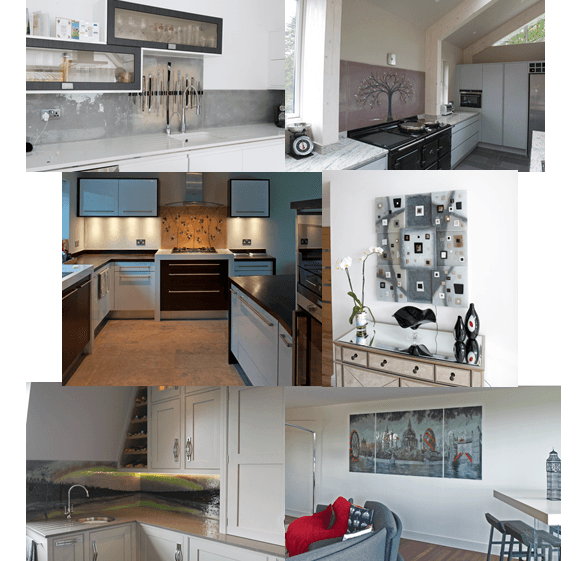 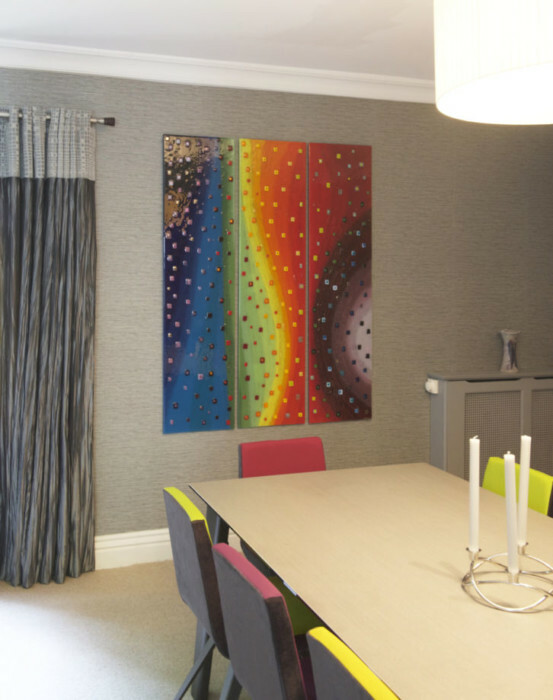 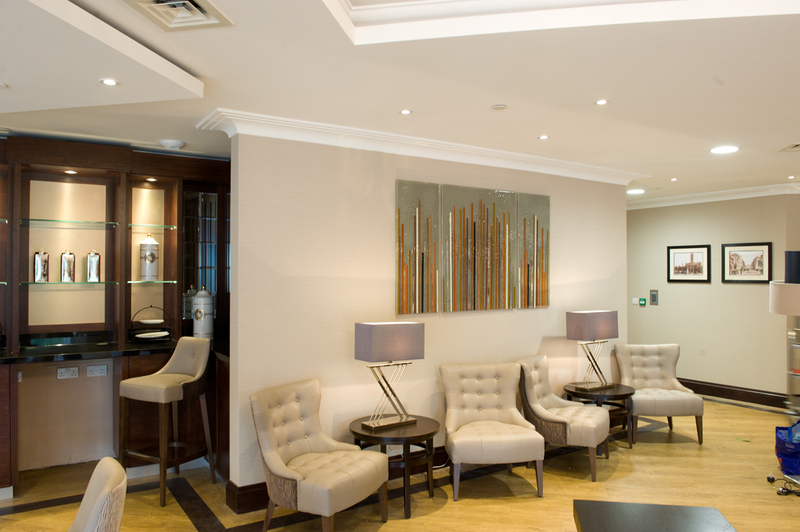 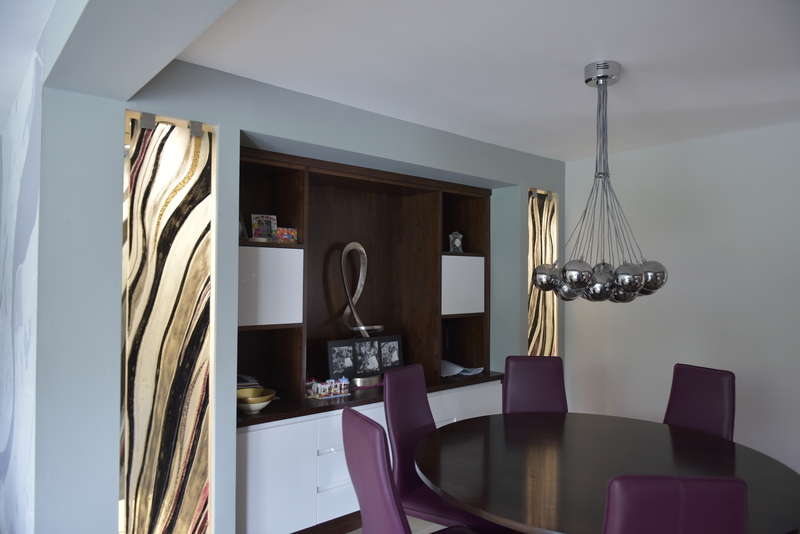 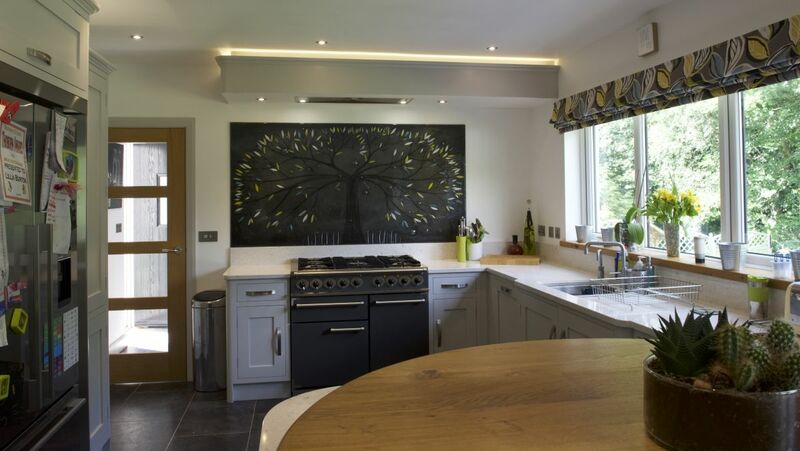 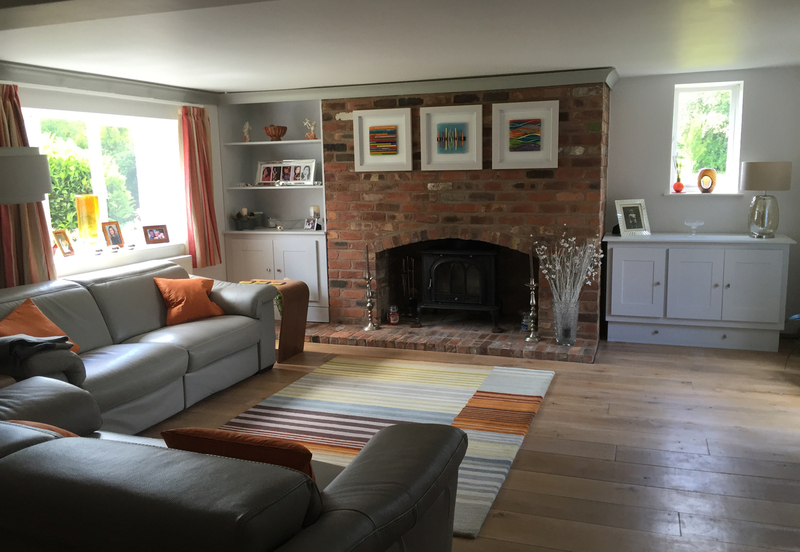 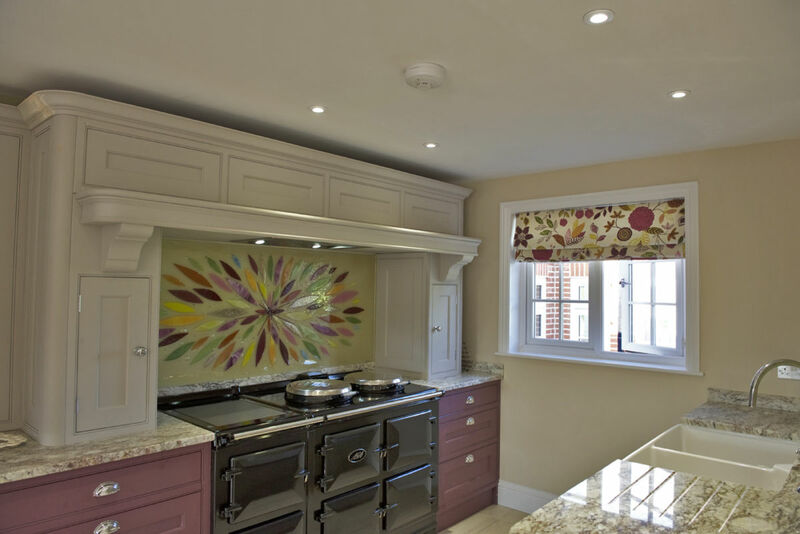 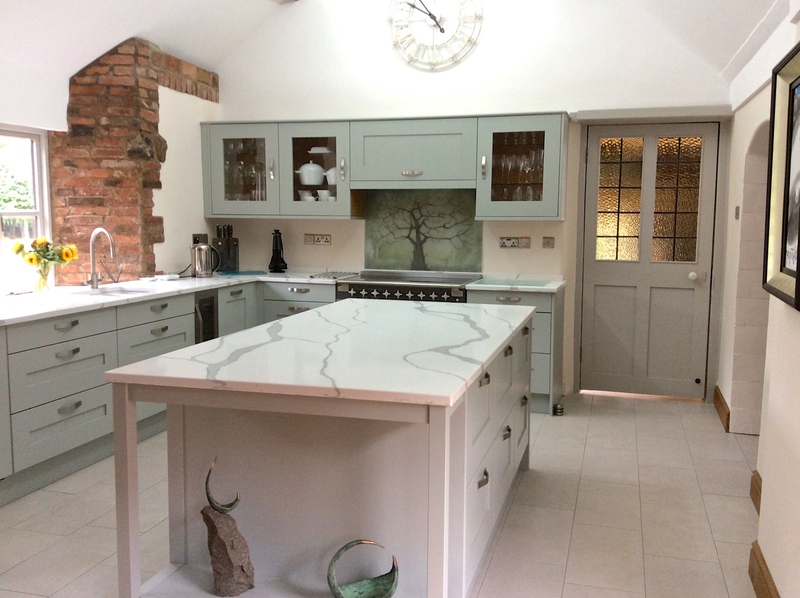 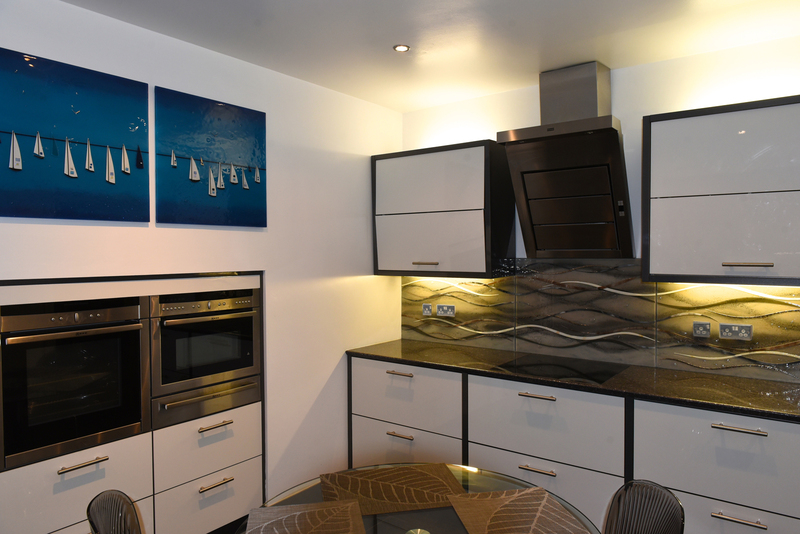 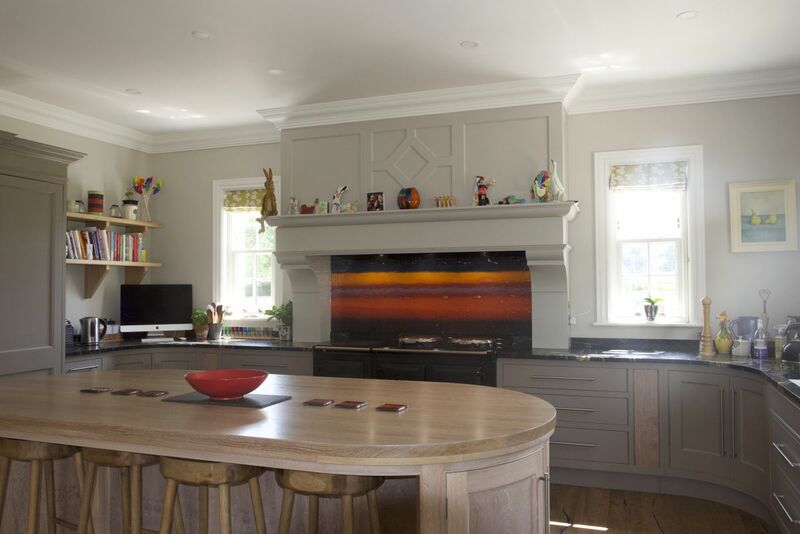 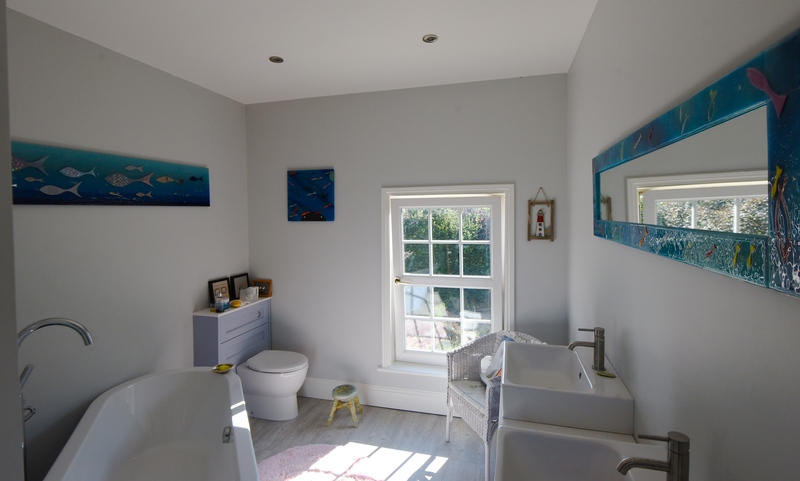 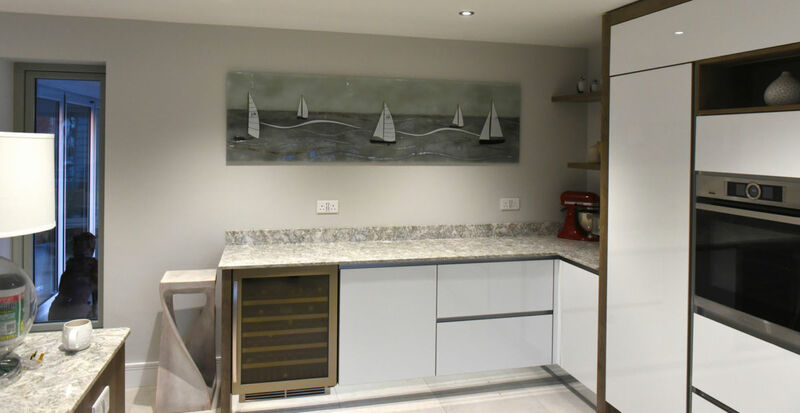 More or less every piece you see in there was created entirely from scratch, based around the customer’s ideas and perfectly matched to the décor of their home or the look of the space they had in mind. 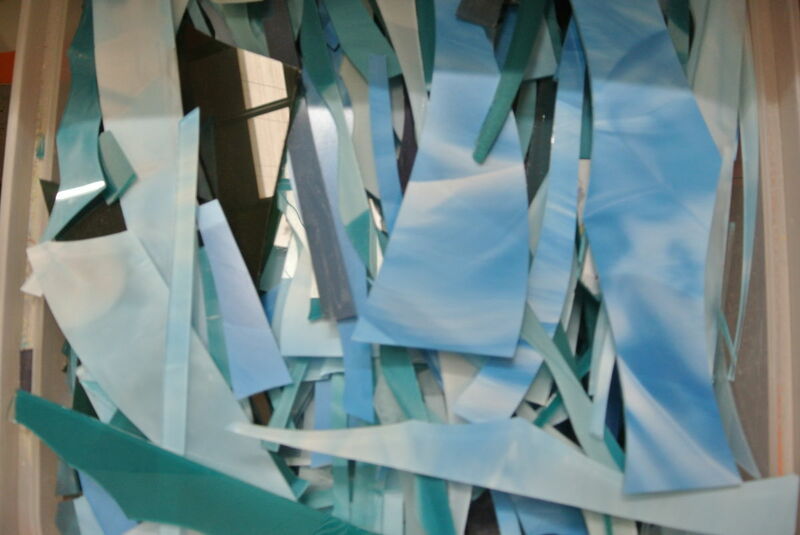 There’s a tremendous variety as a result. 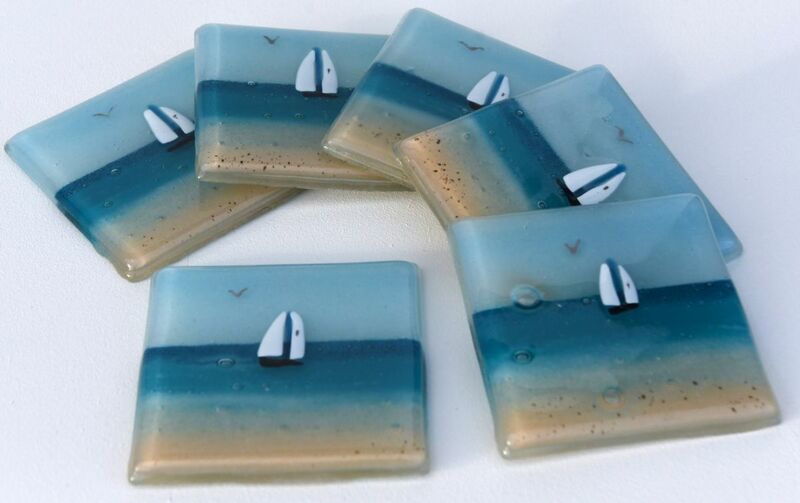 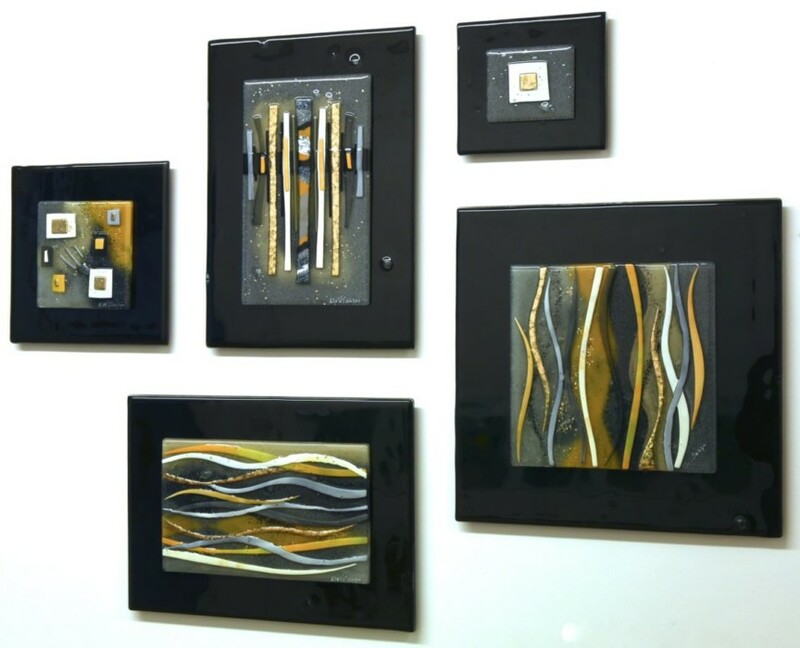 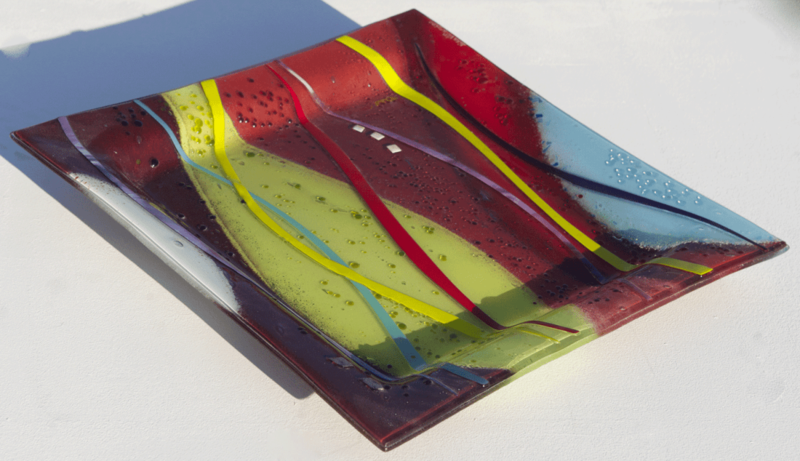 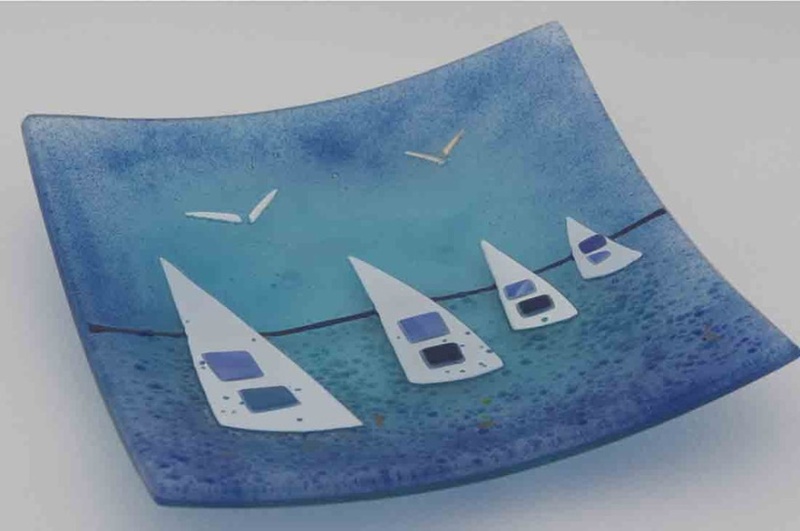 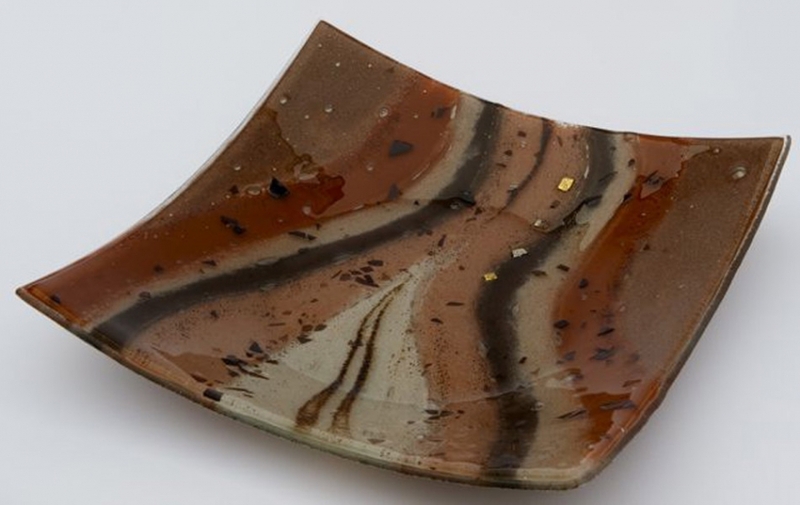 Vivid colours, black and white designs, abstract patterns, squares, circles – there’s just so much that can make fused glass art unique that no two pieces are ever the same. 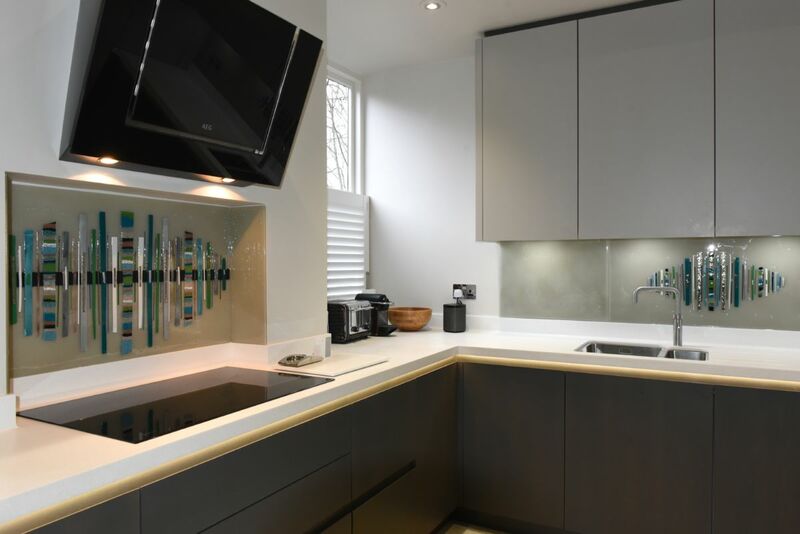 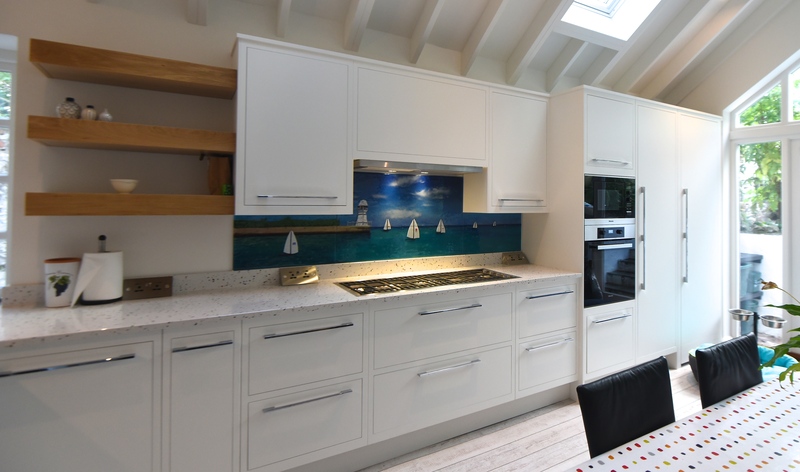 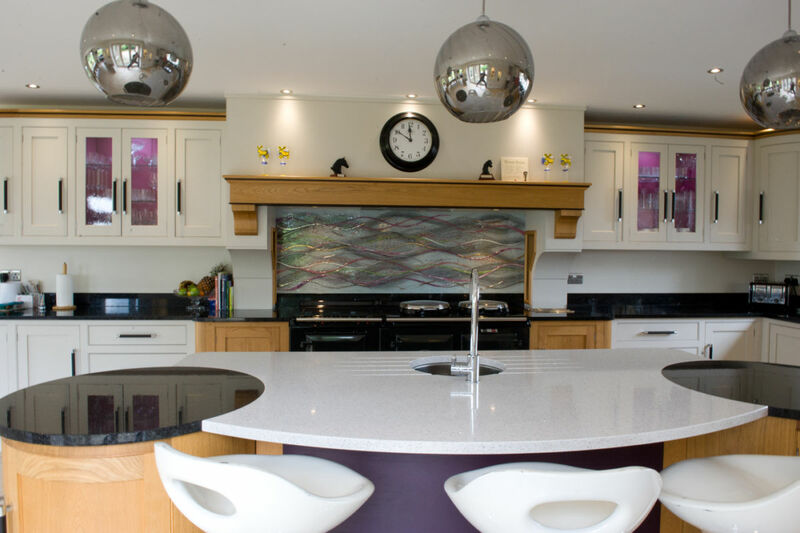 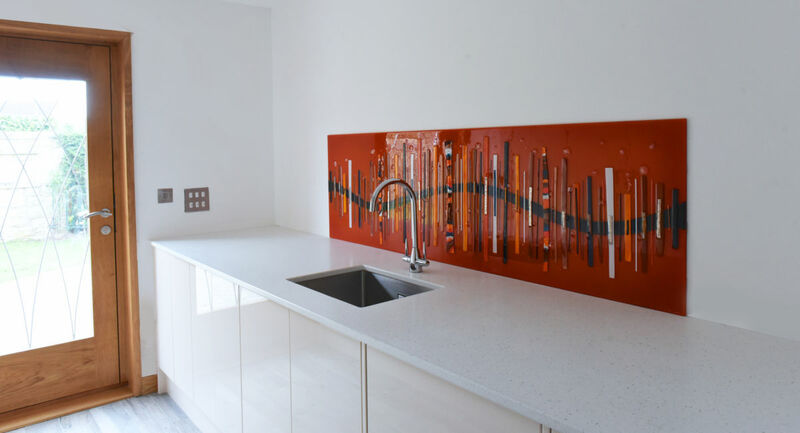 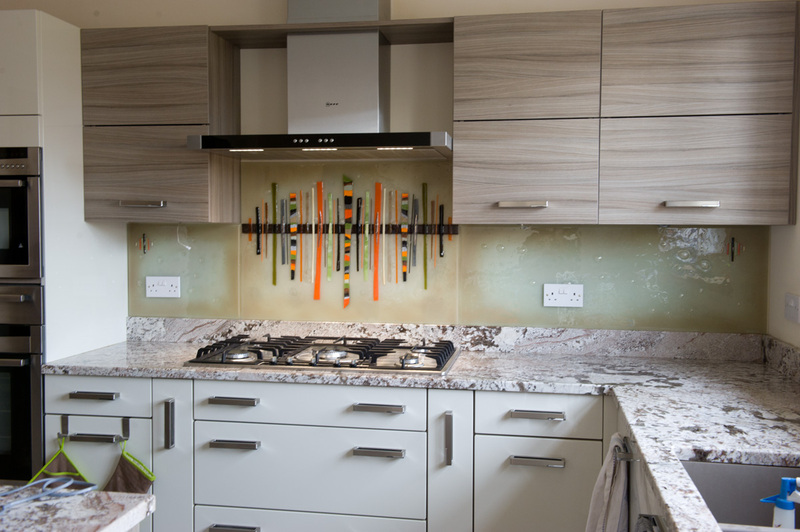 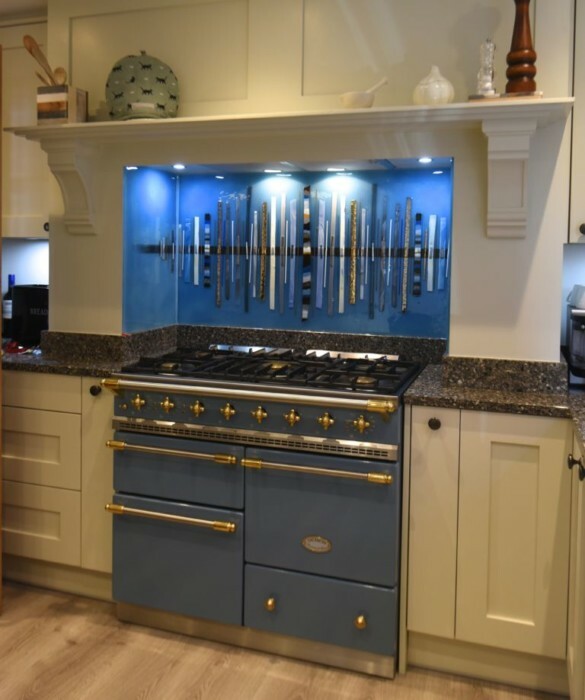 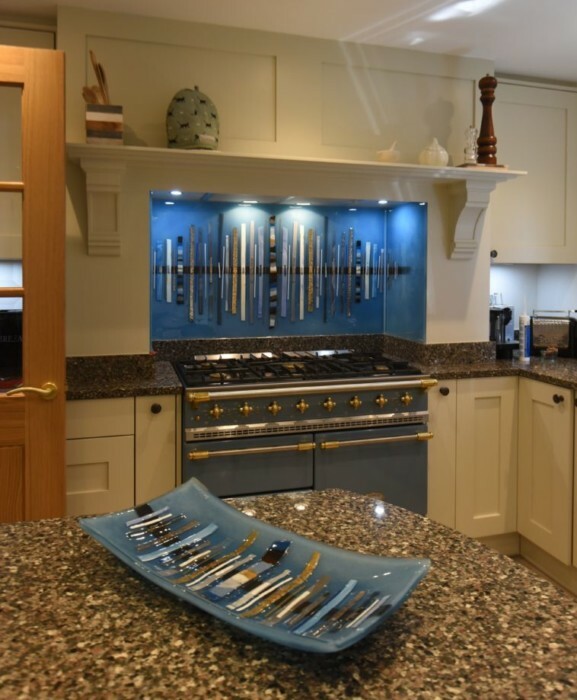 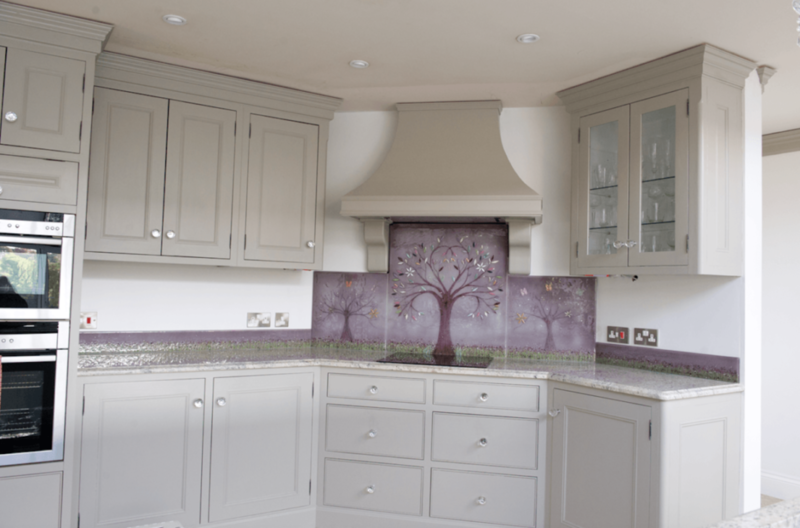 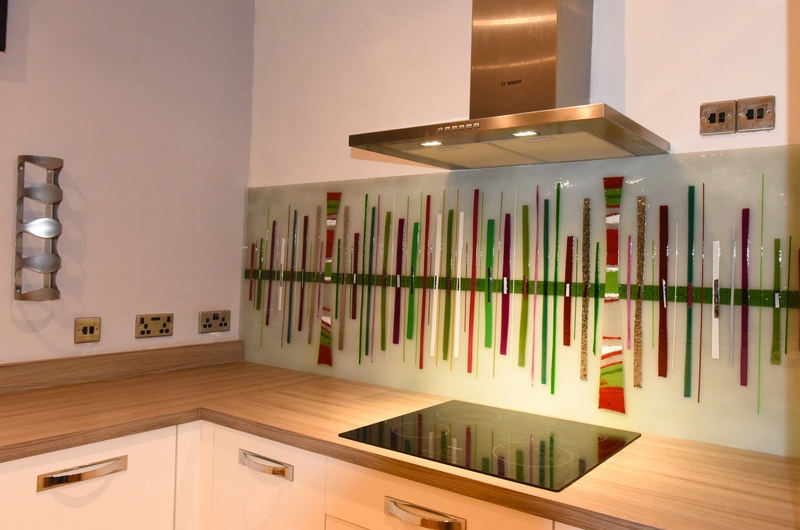 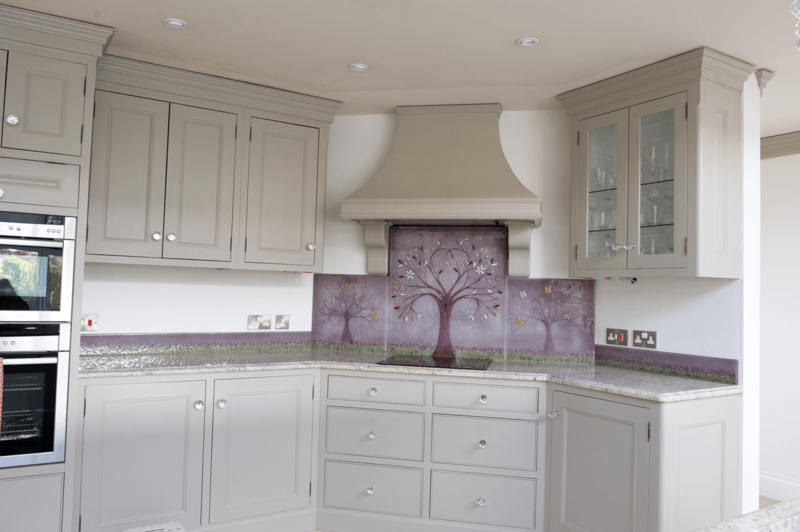 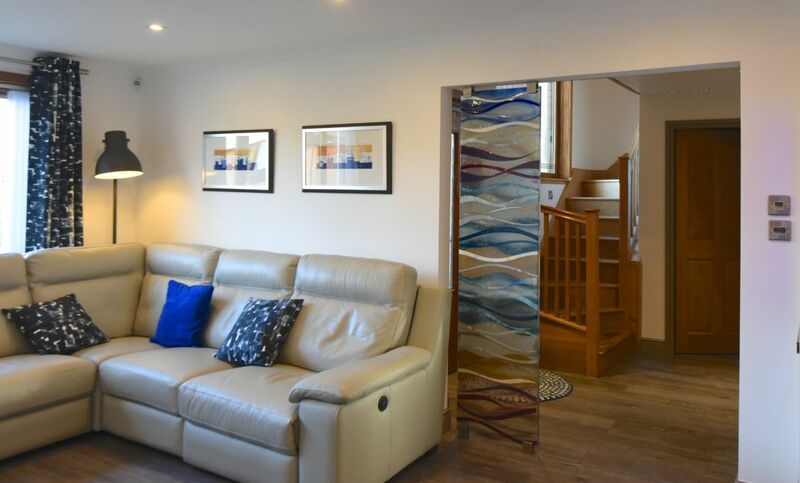 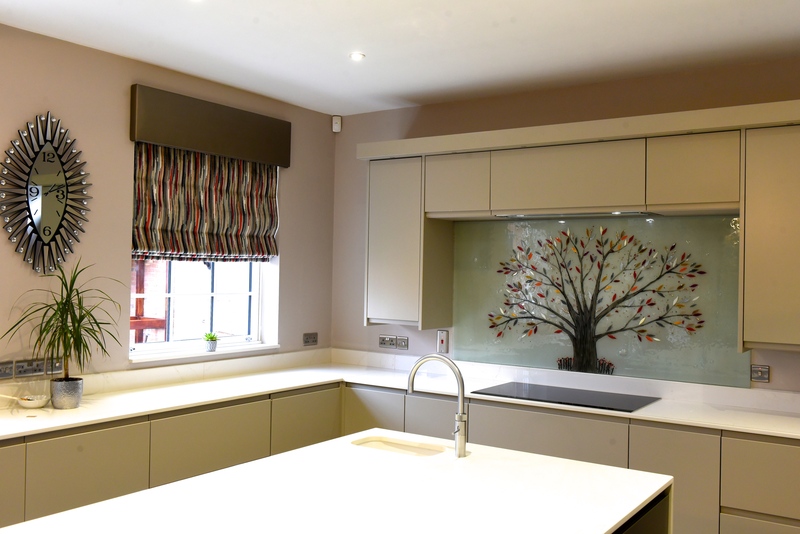 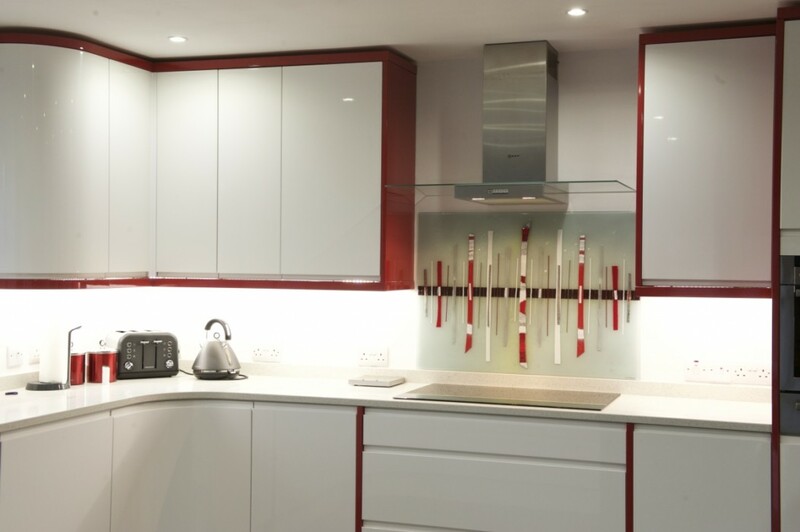 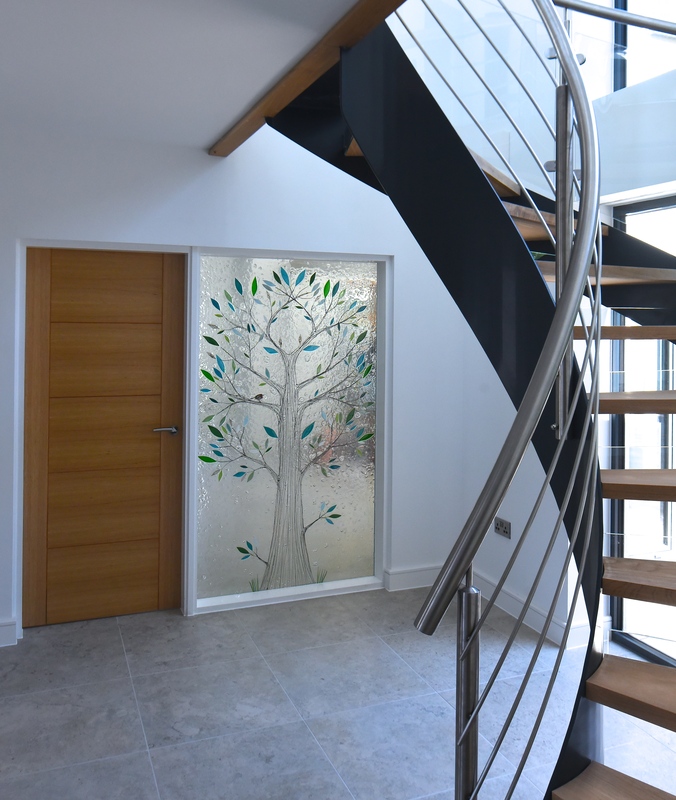 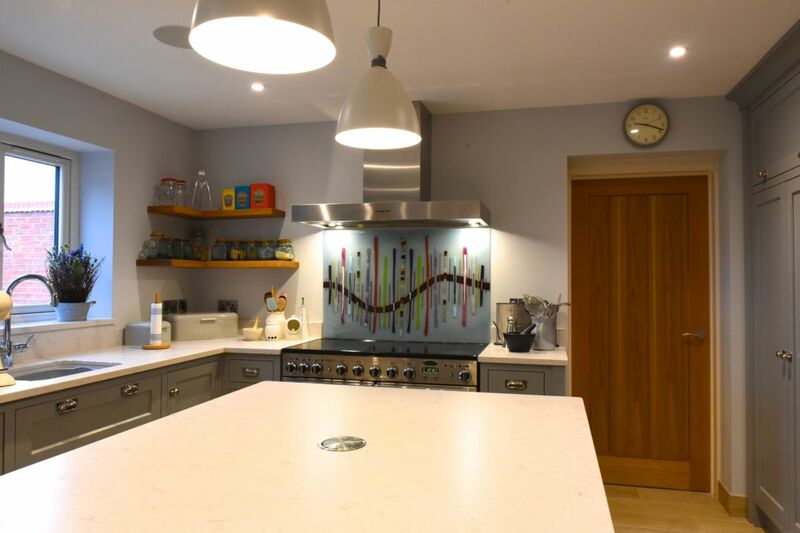 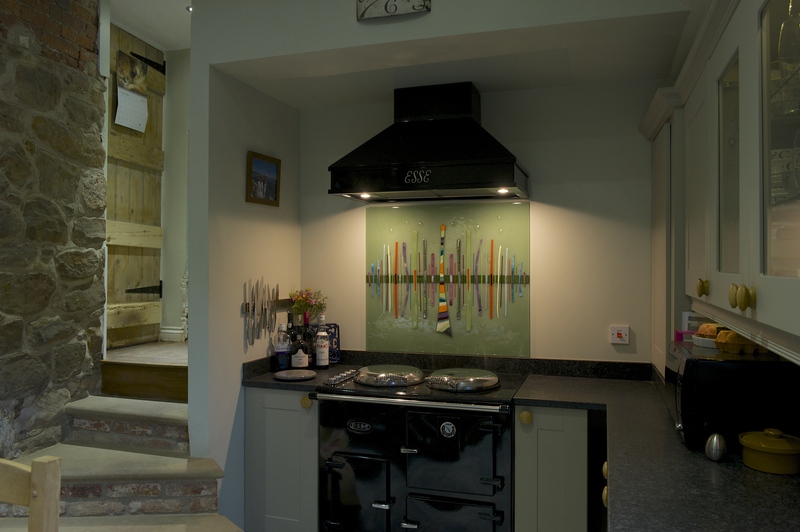 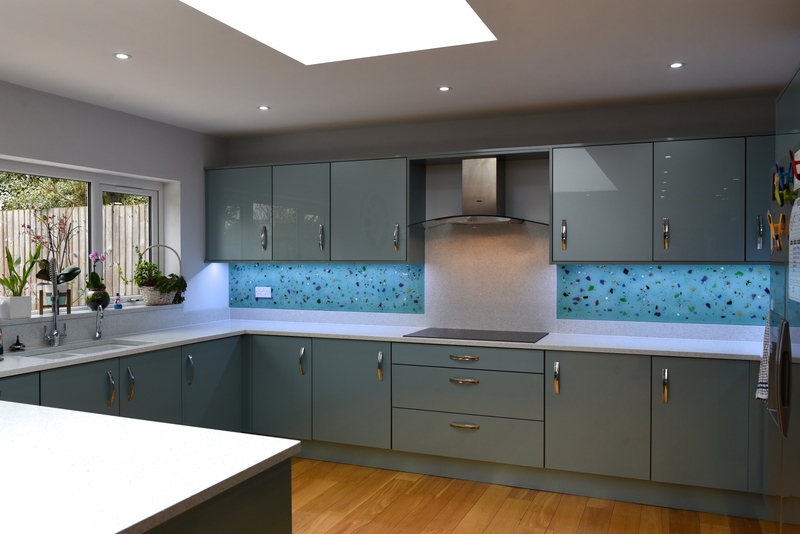 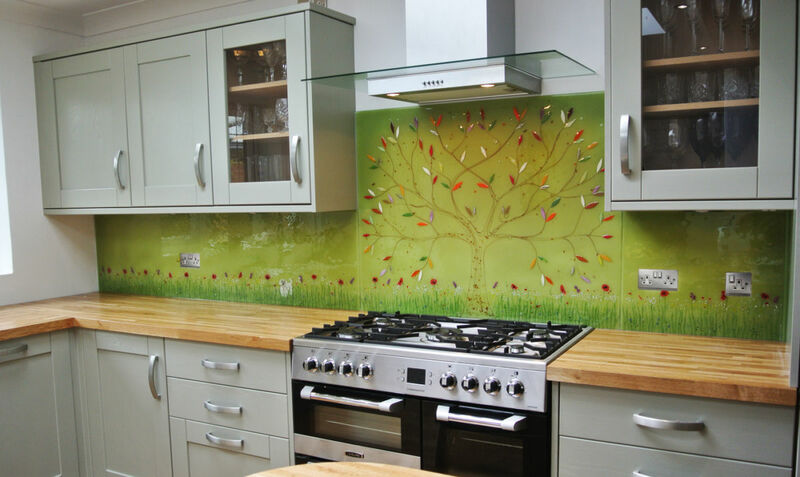 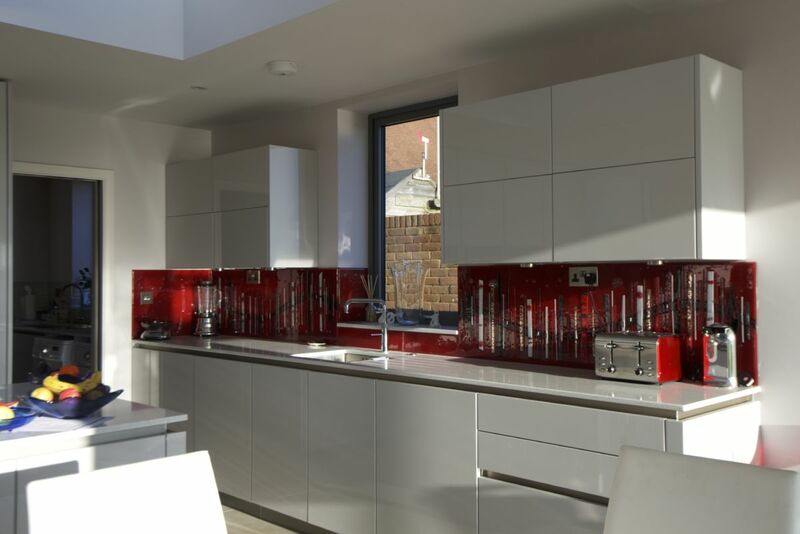 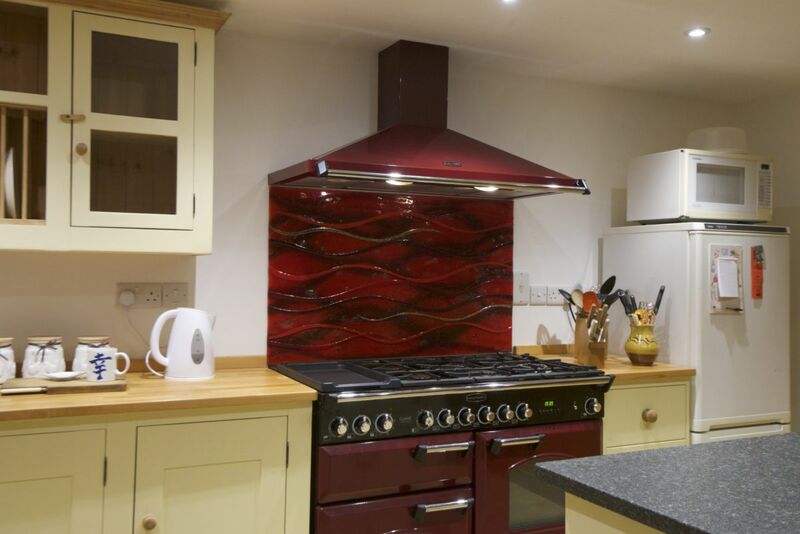 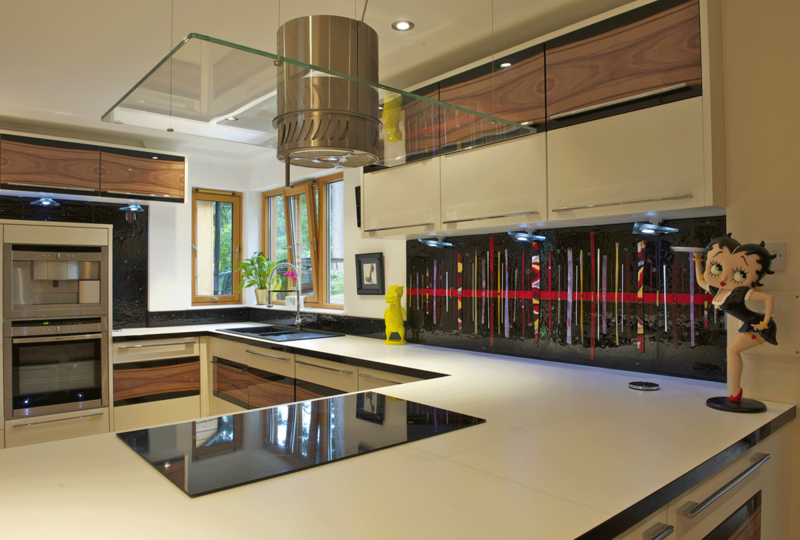 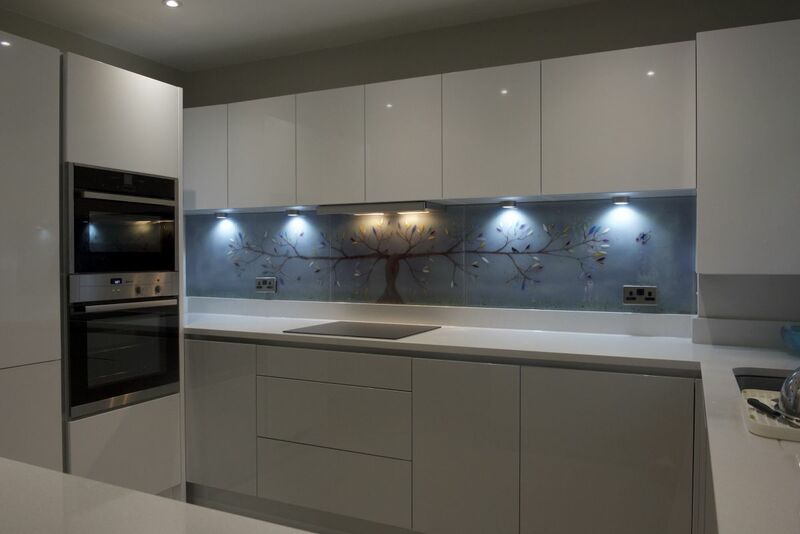 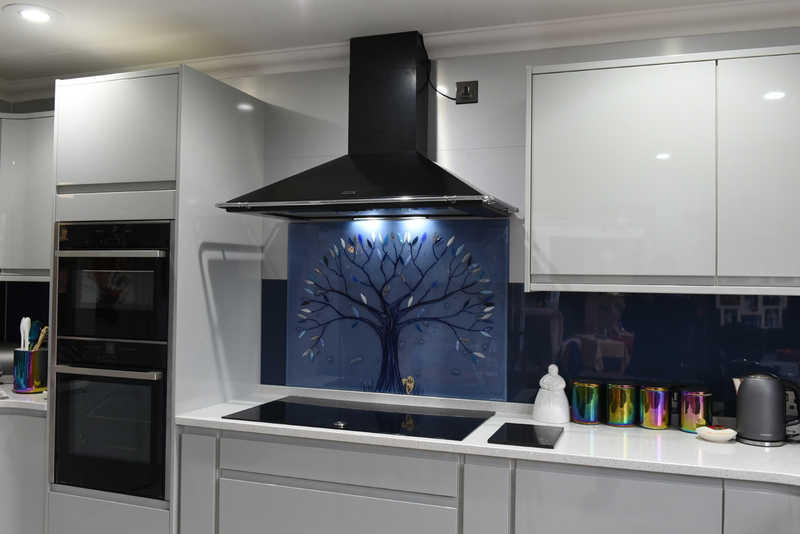 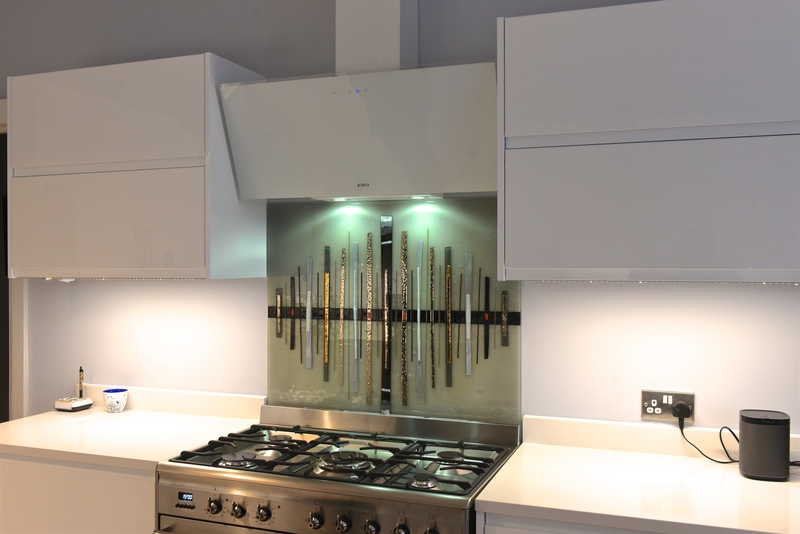 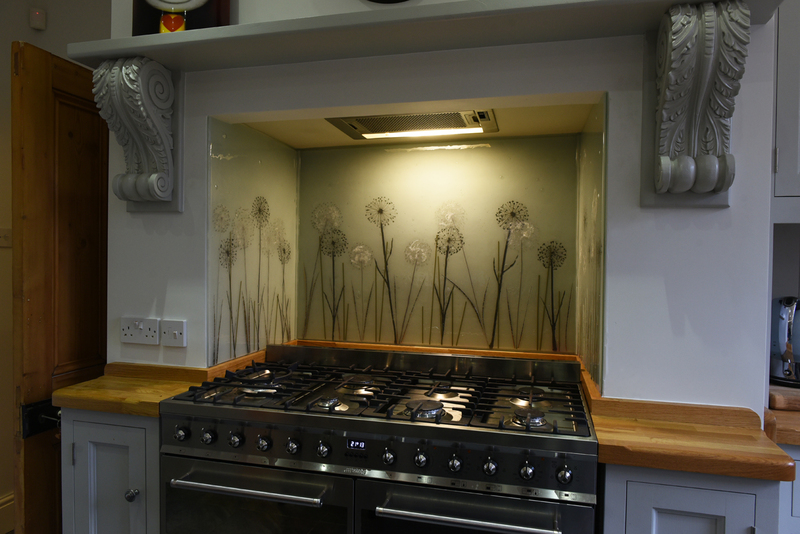 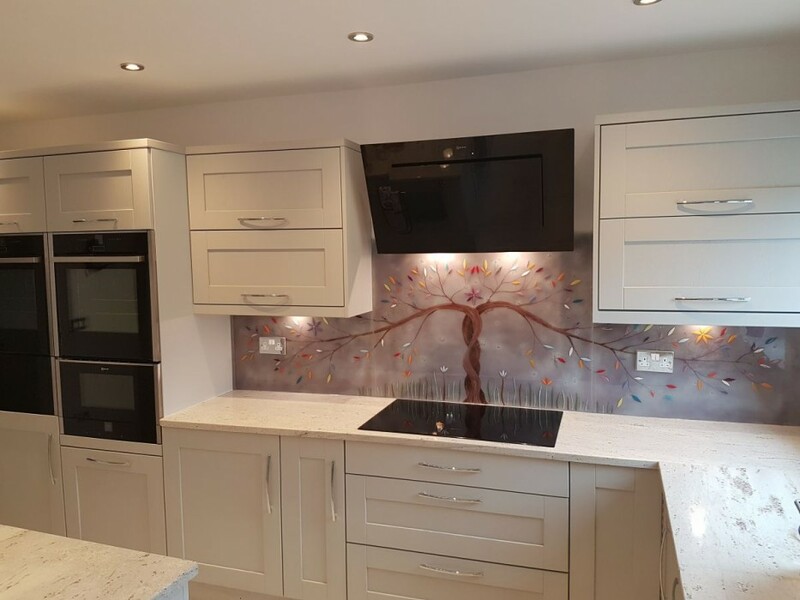 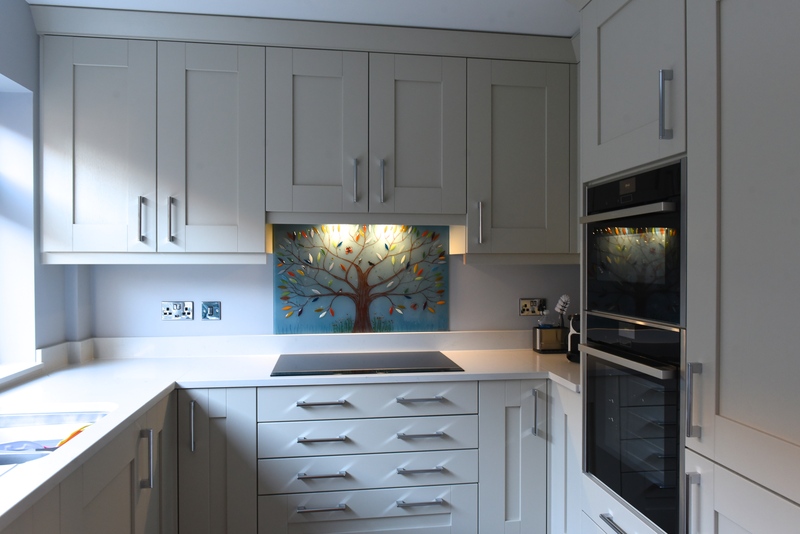 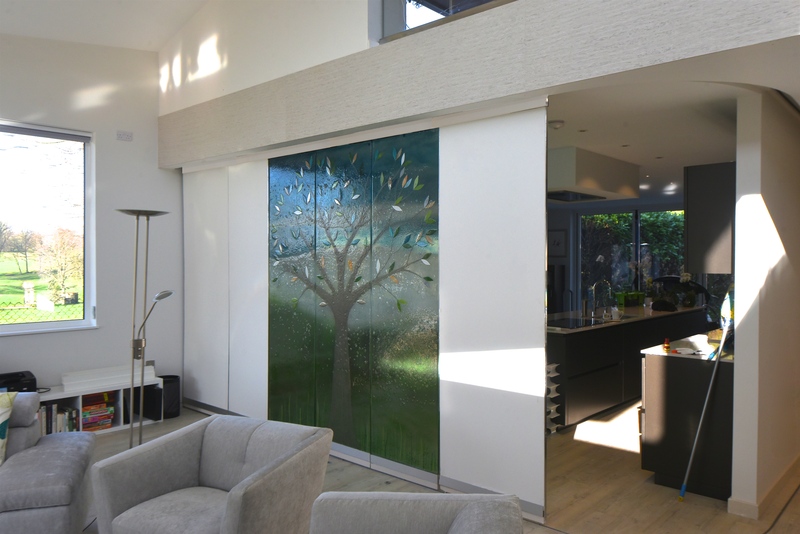 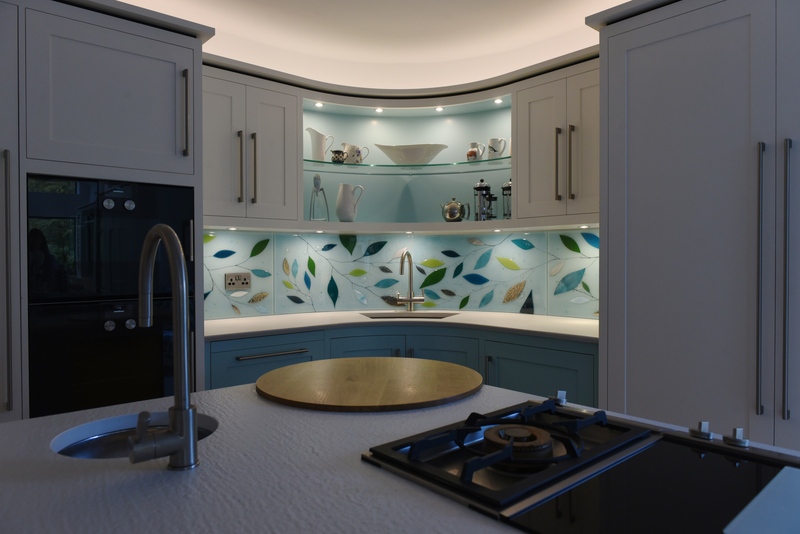 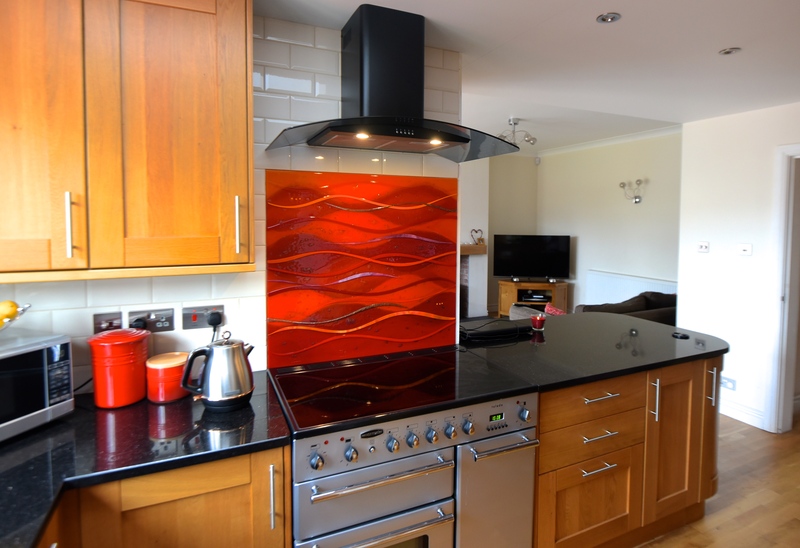 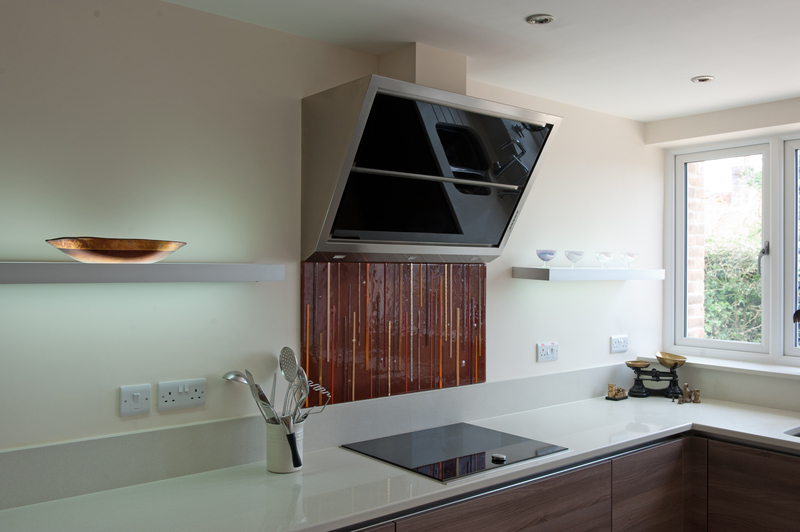 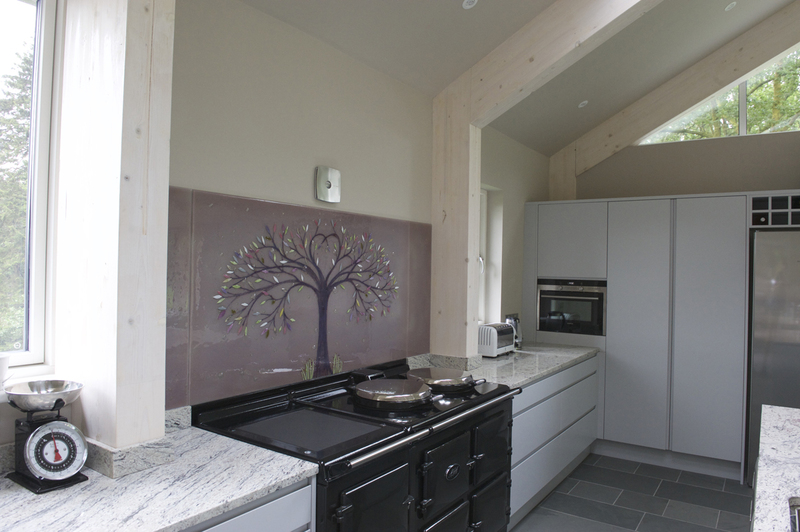 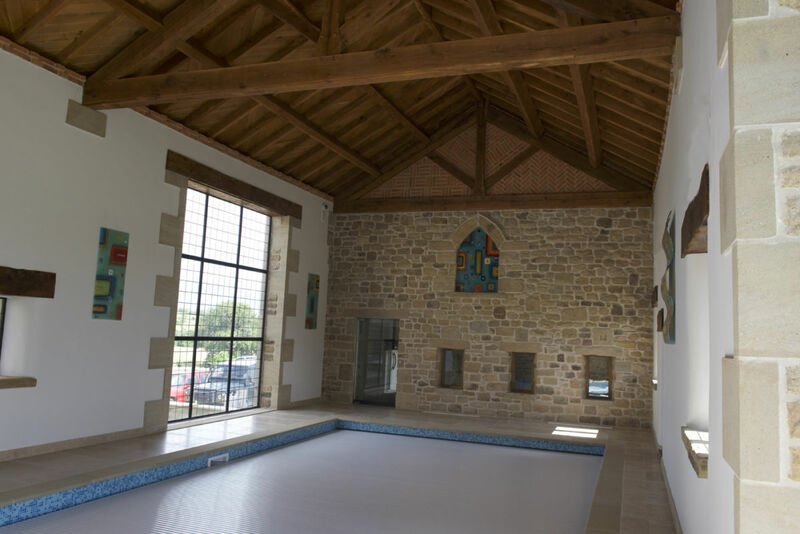 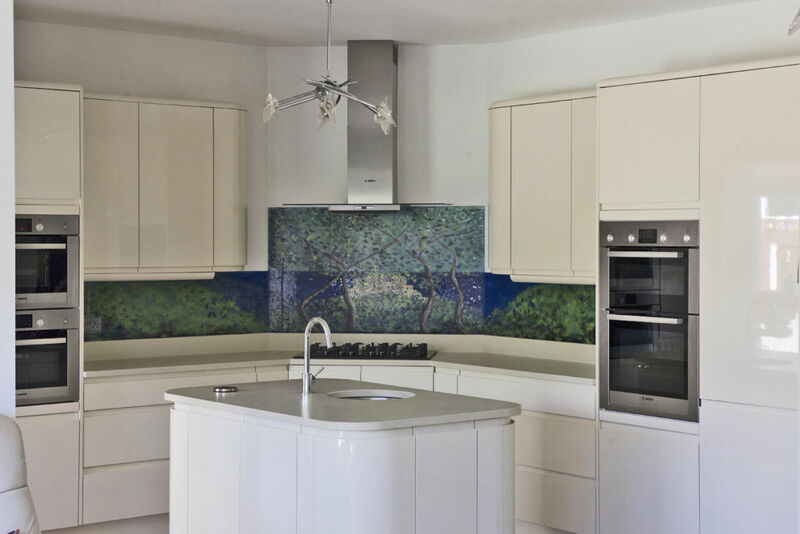 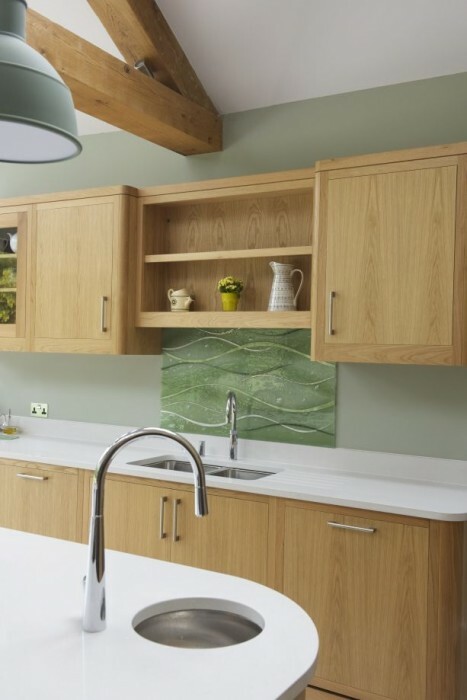 Every single piece we make can be created to specific measurements, ensuring that the glass will make for a perfect fit no matter where you want to put it. 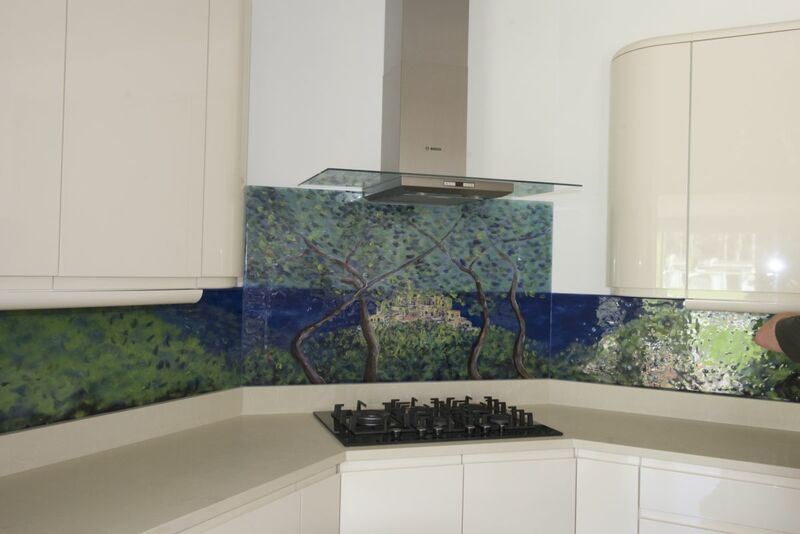 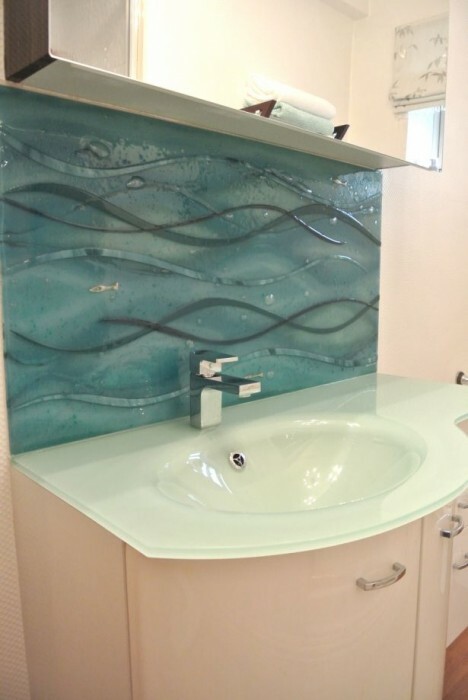 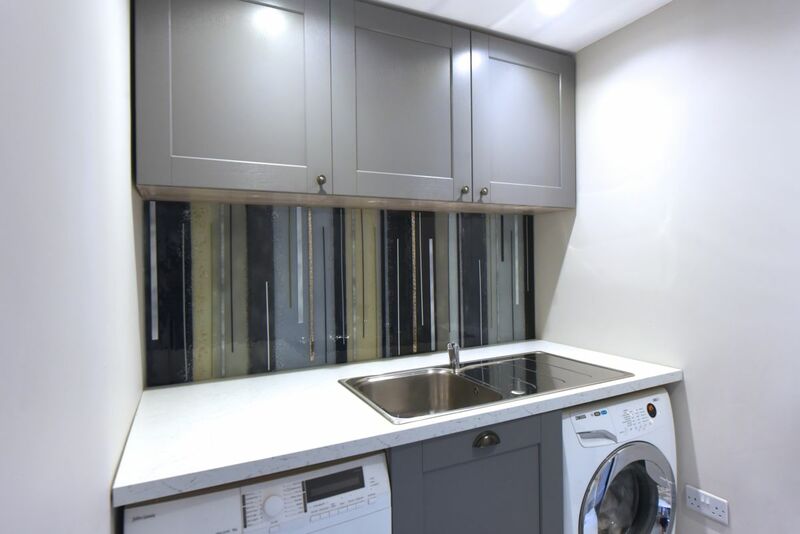 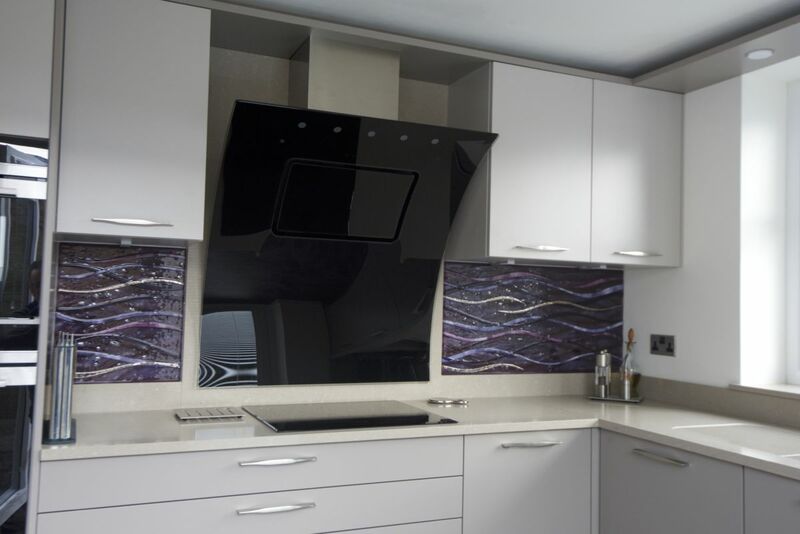 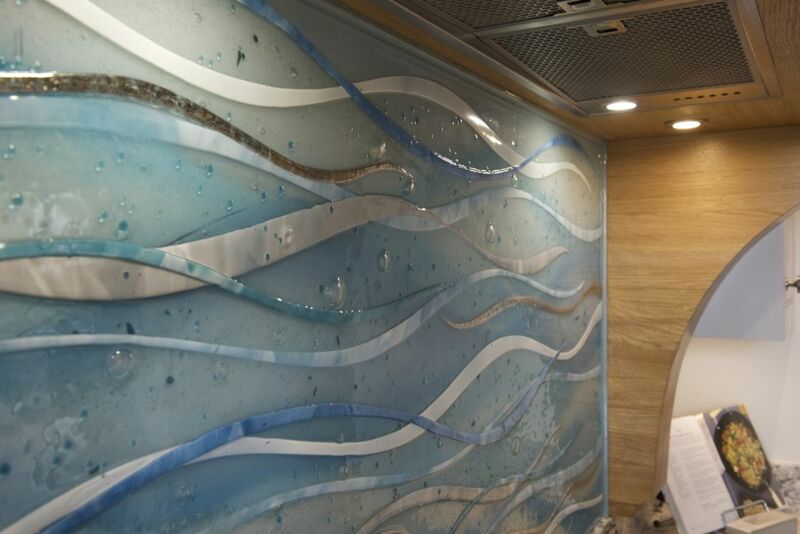 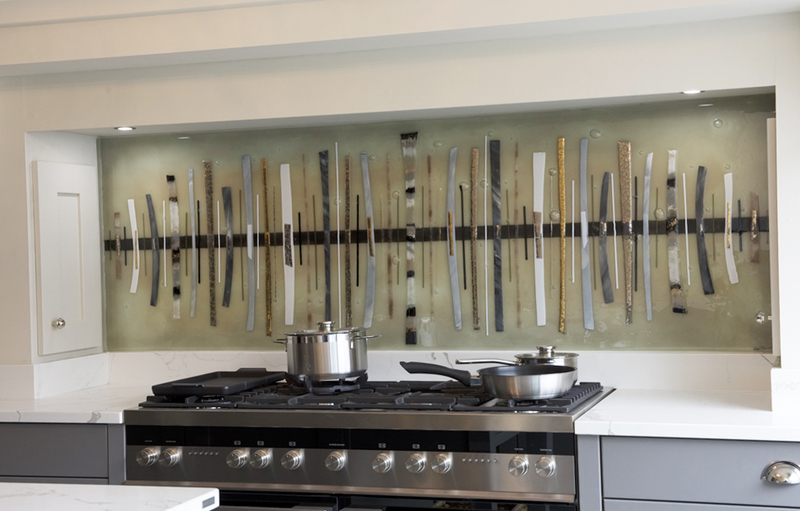 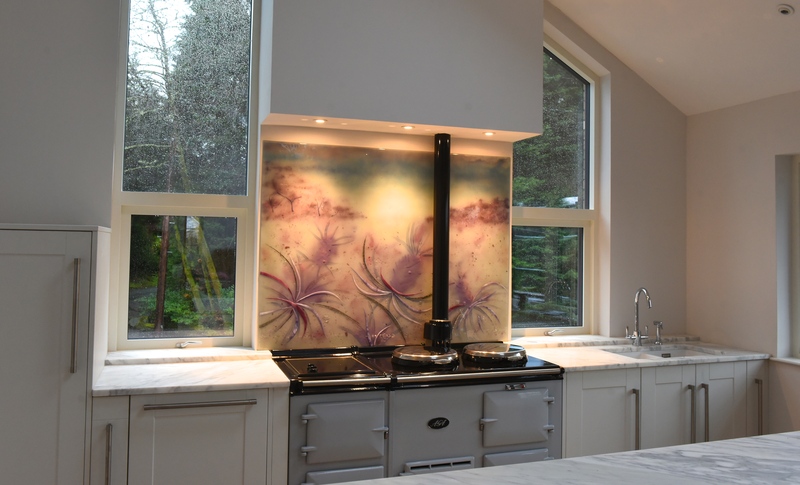 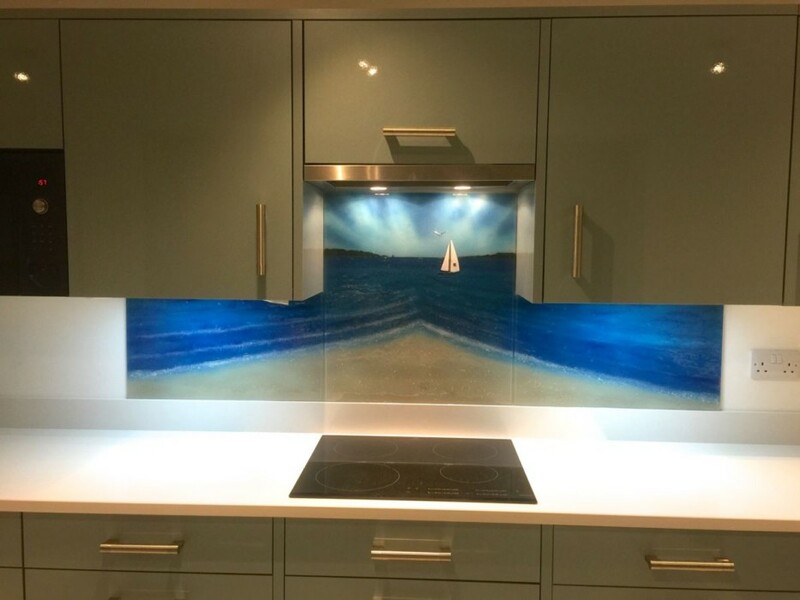 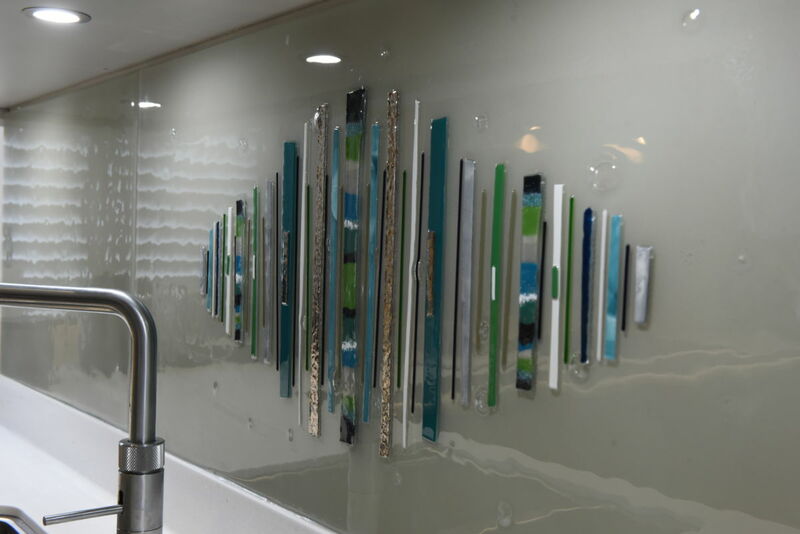 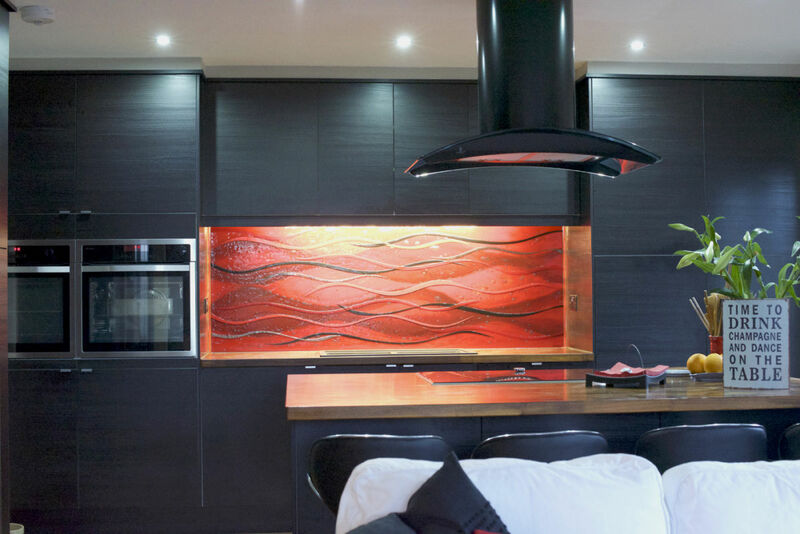 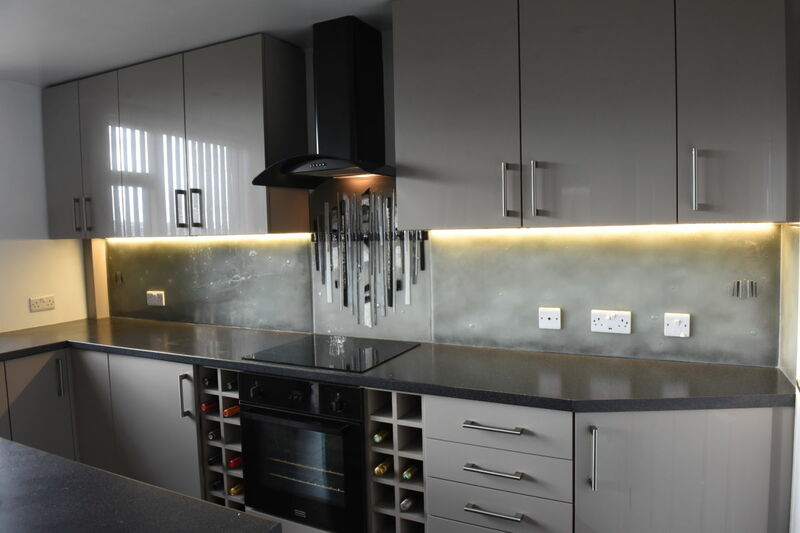 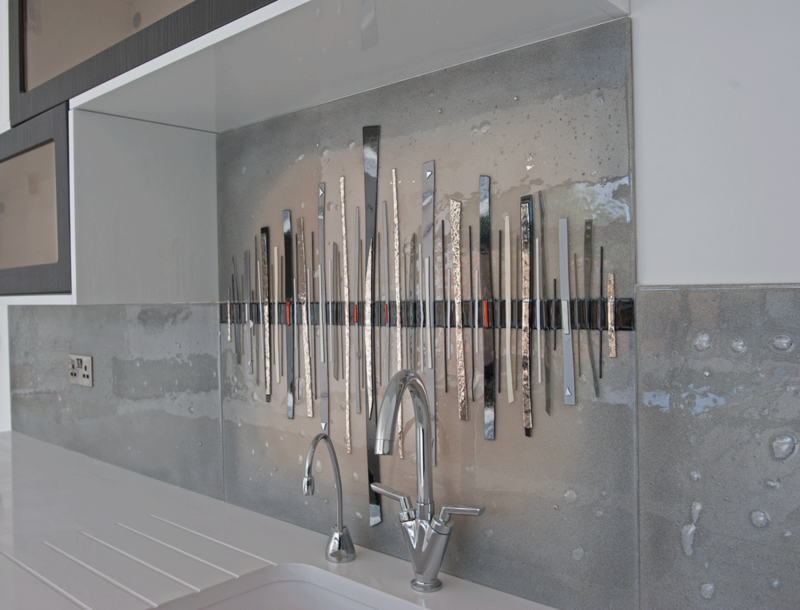 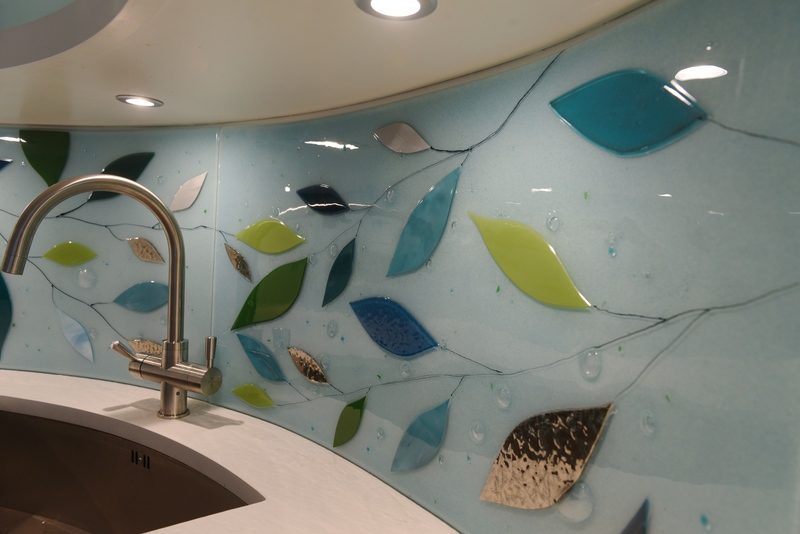 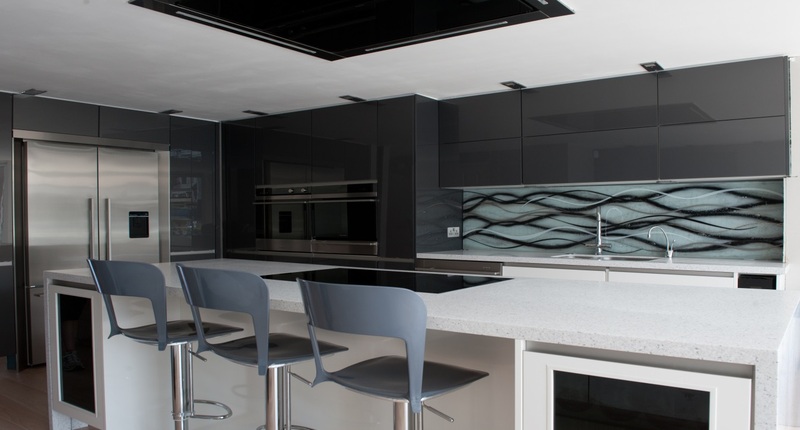 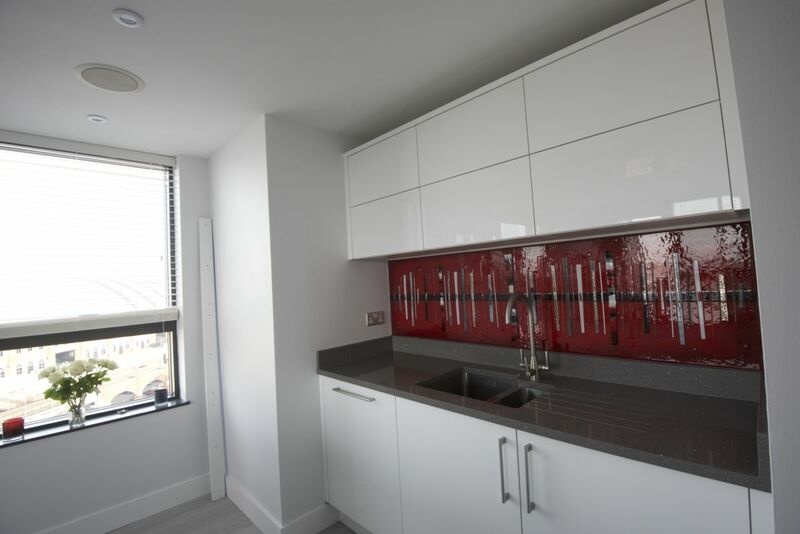 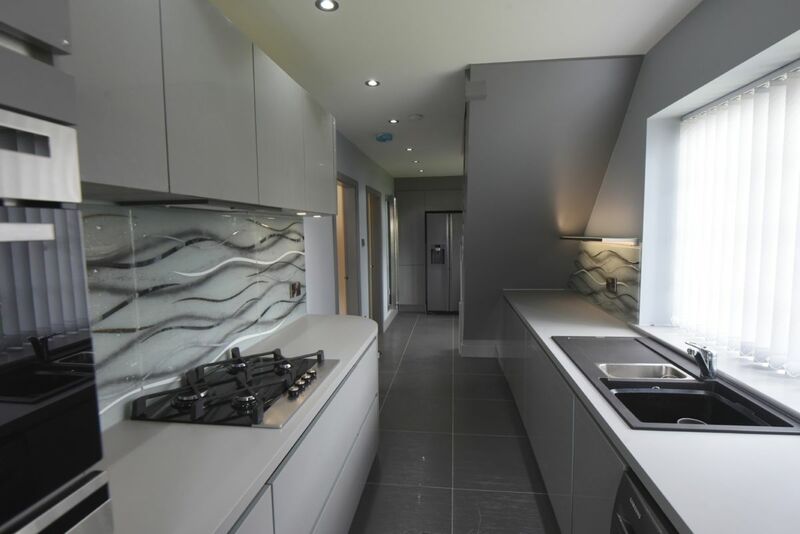 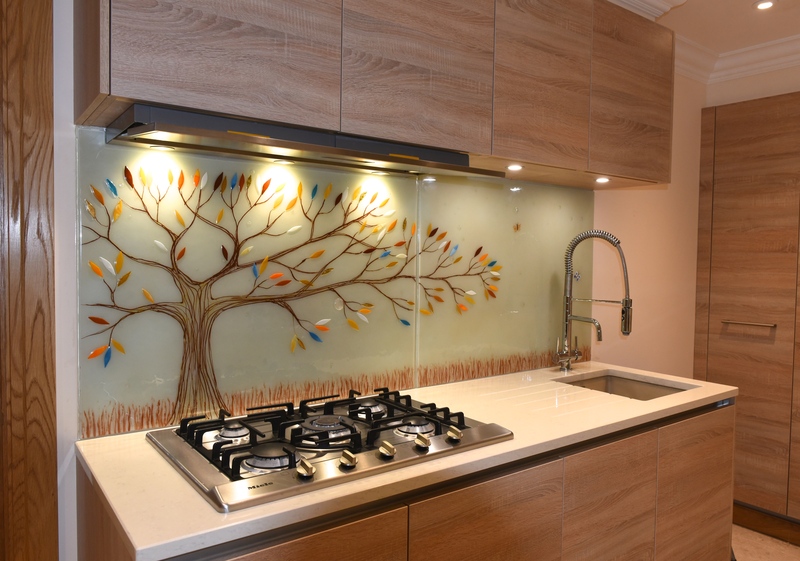 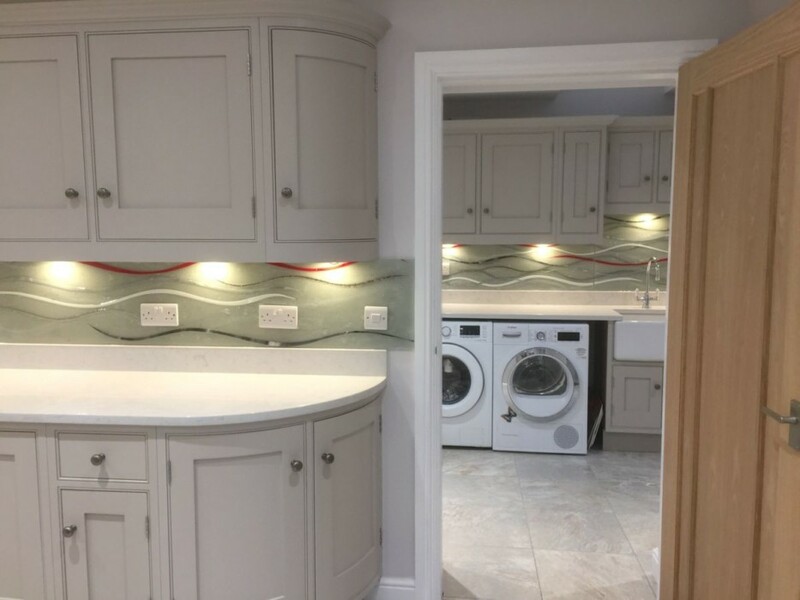 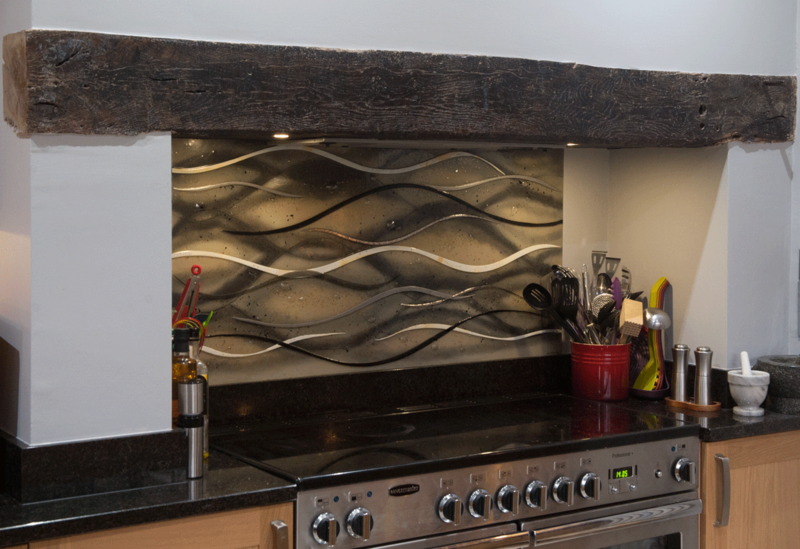 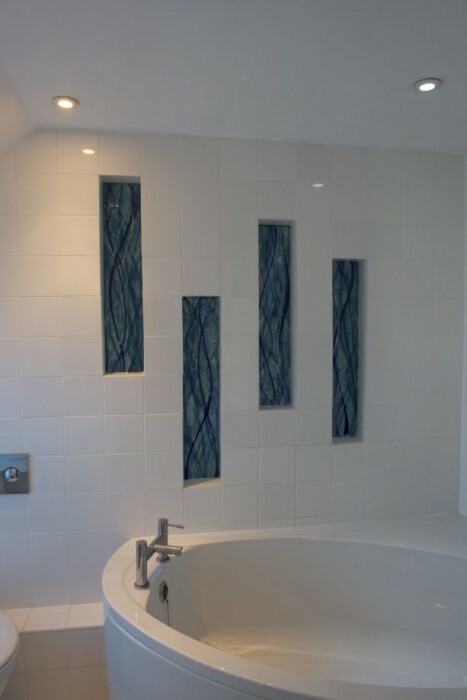 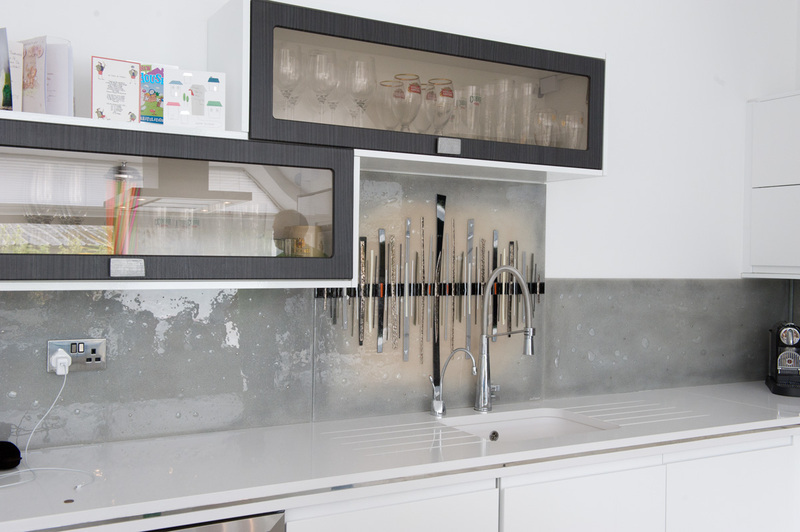 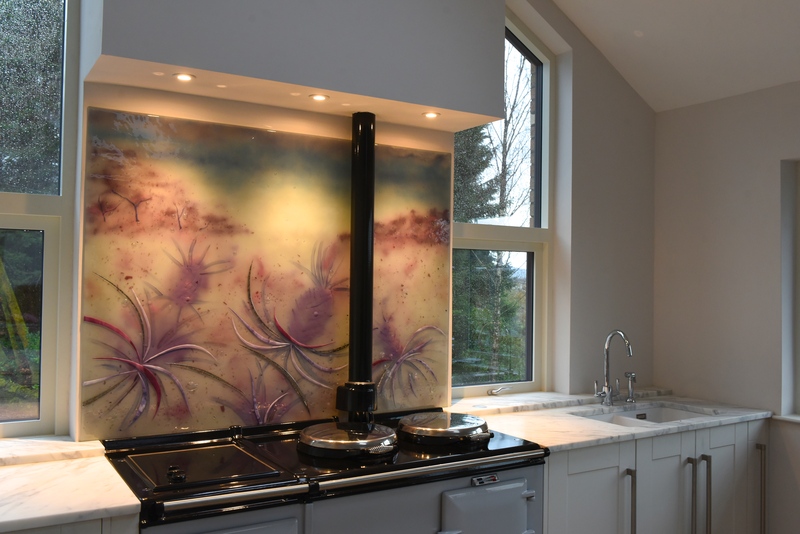 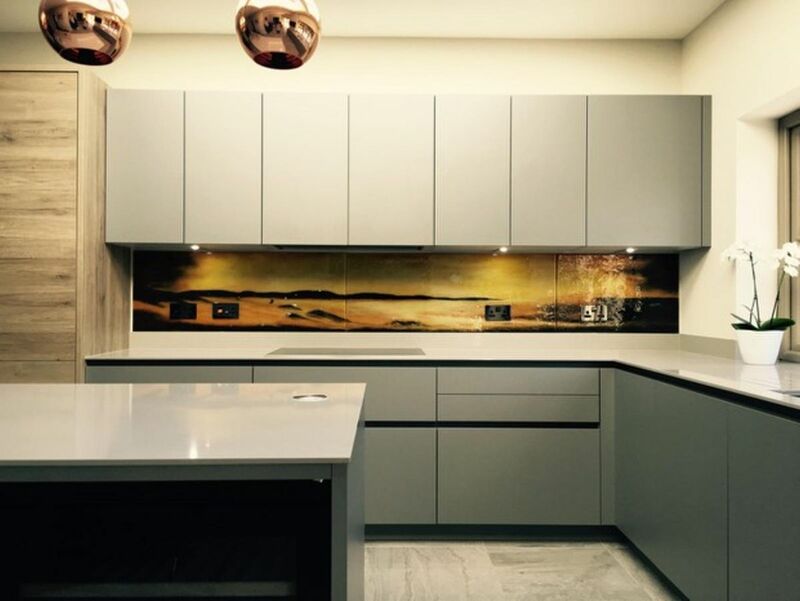 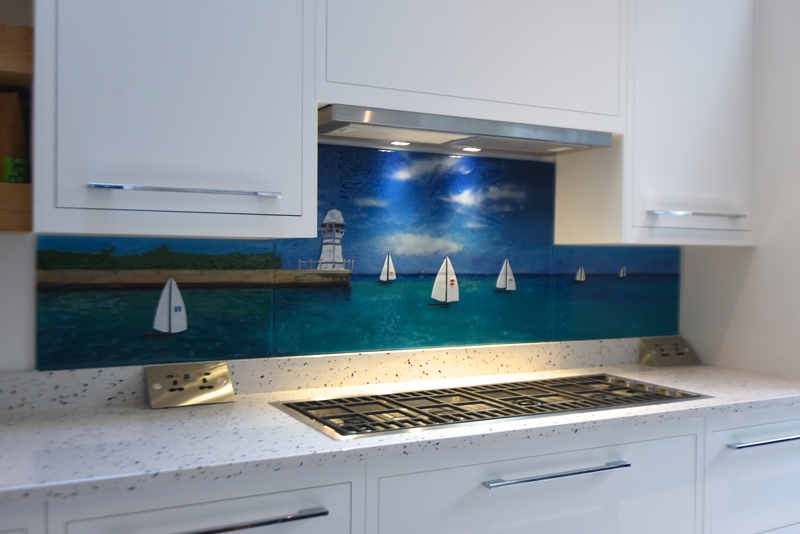 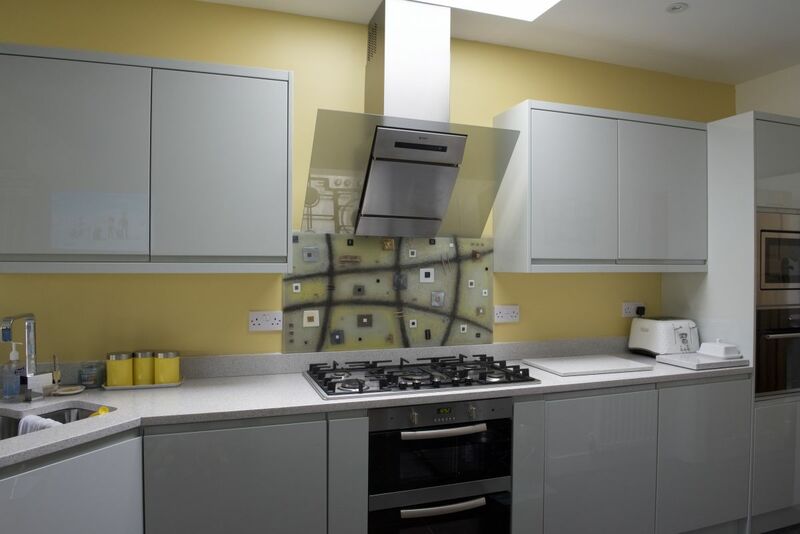 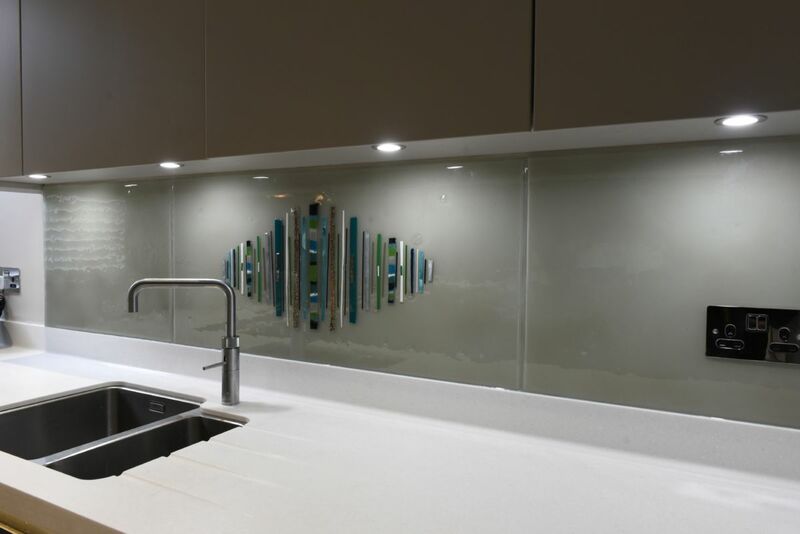 We can even cut the glass to fit around awkward obstructions such as plug sockets, countertops, cabinets and more, or produce a series of seamless panels that come together to make one long design. 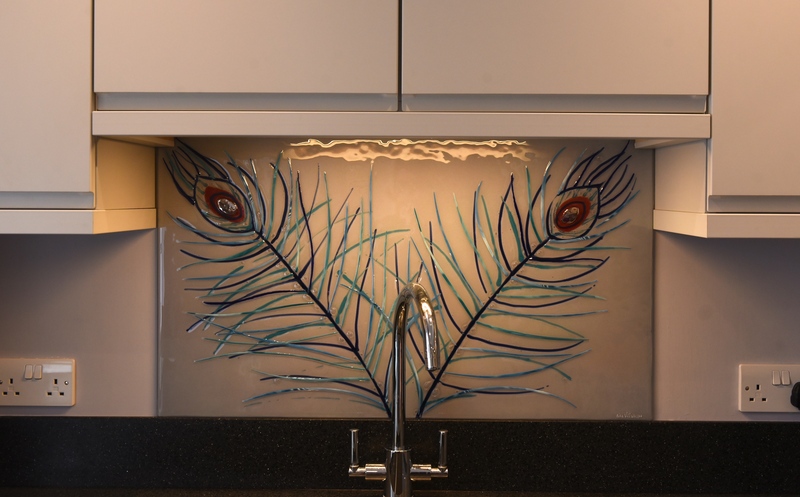 There’s no reason to be shy, so send us your best ideas and let us bring the perfect piece of glass to life for you. 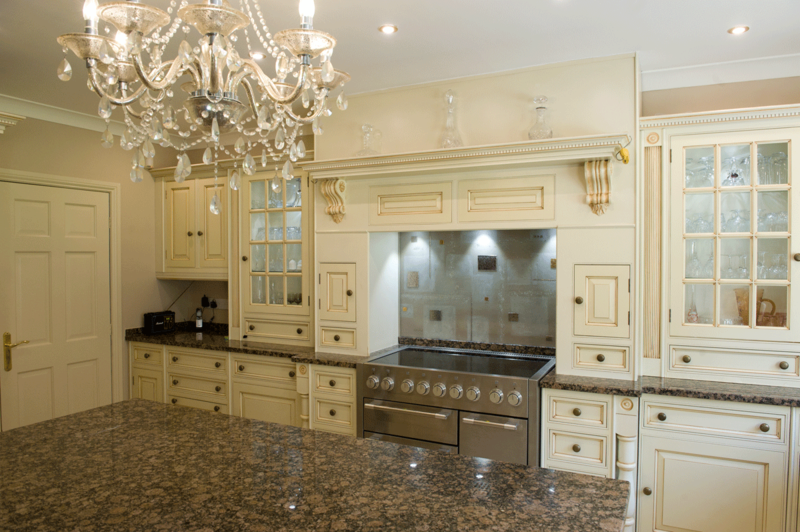 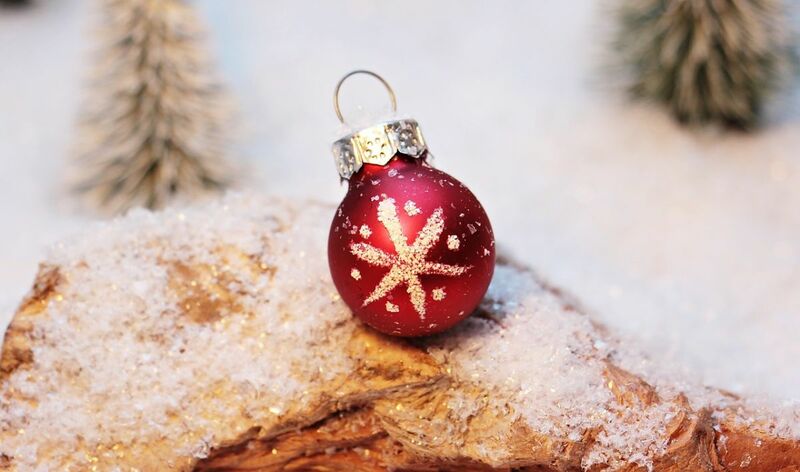 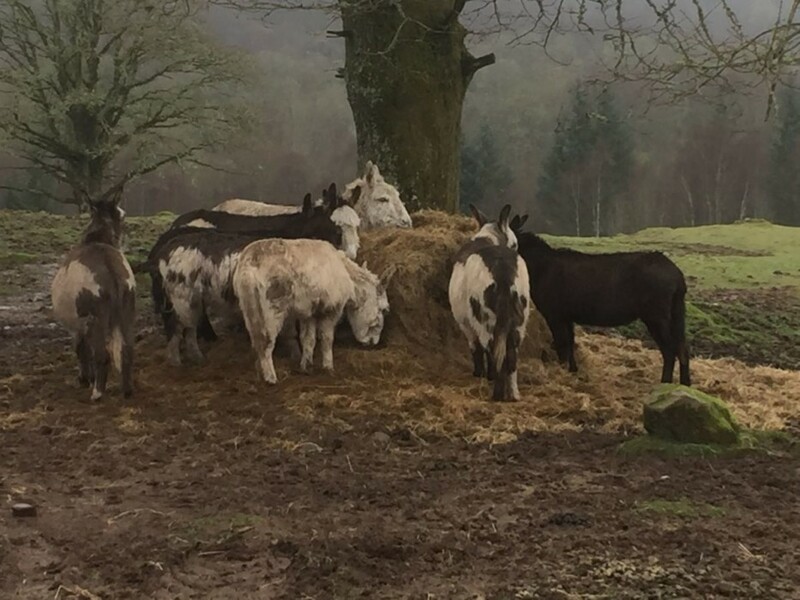 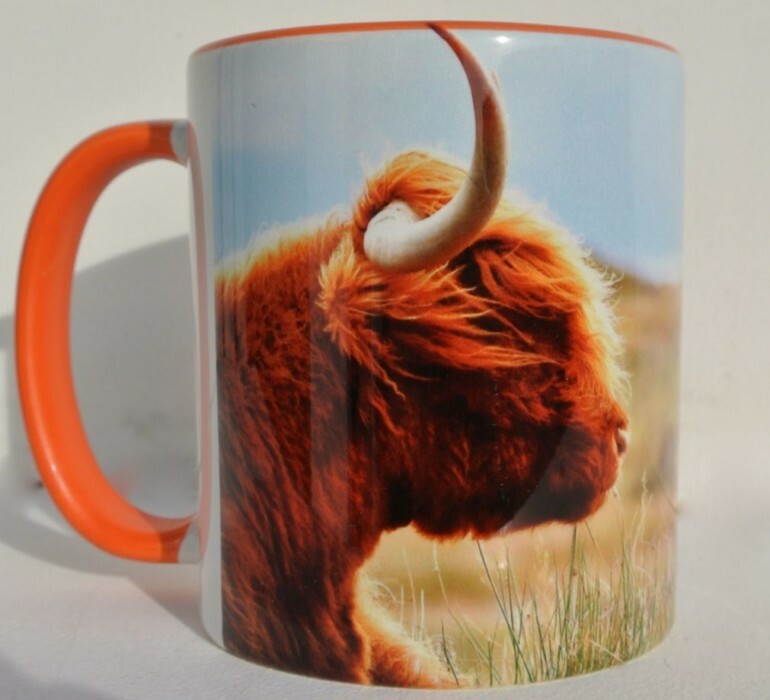 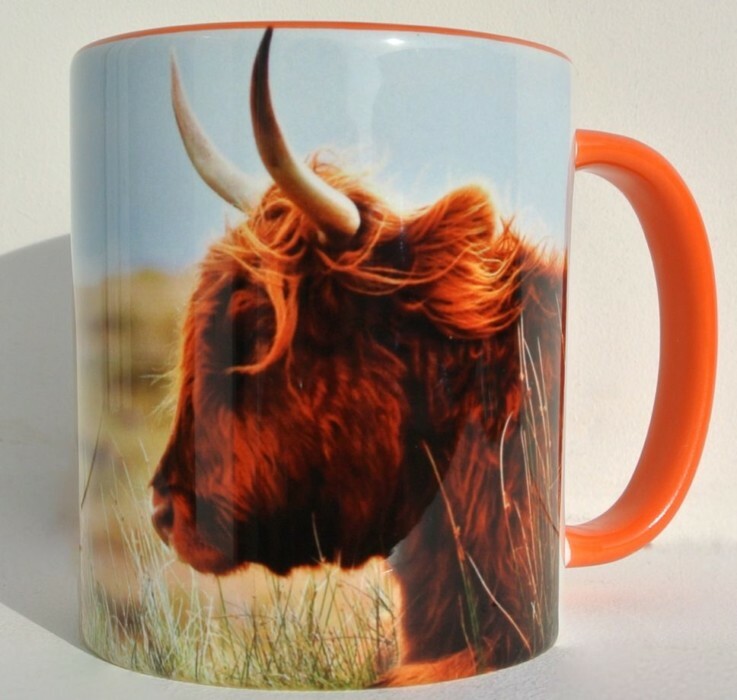 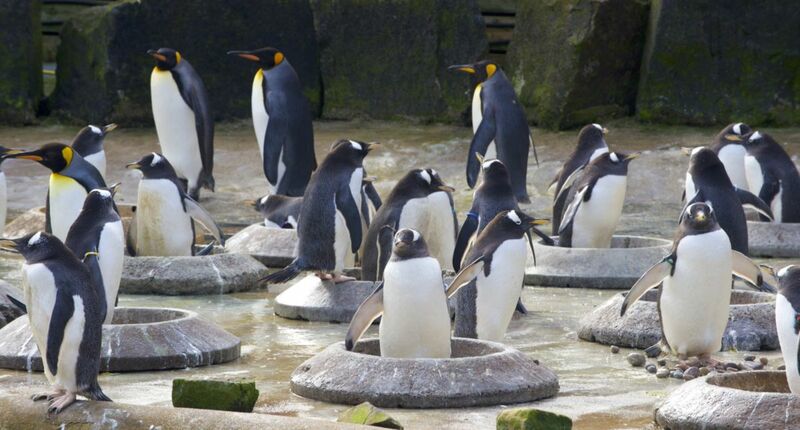 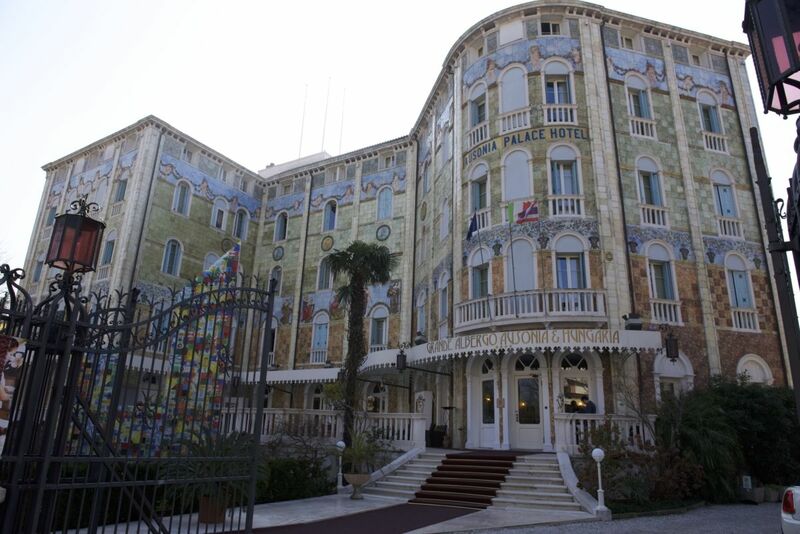 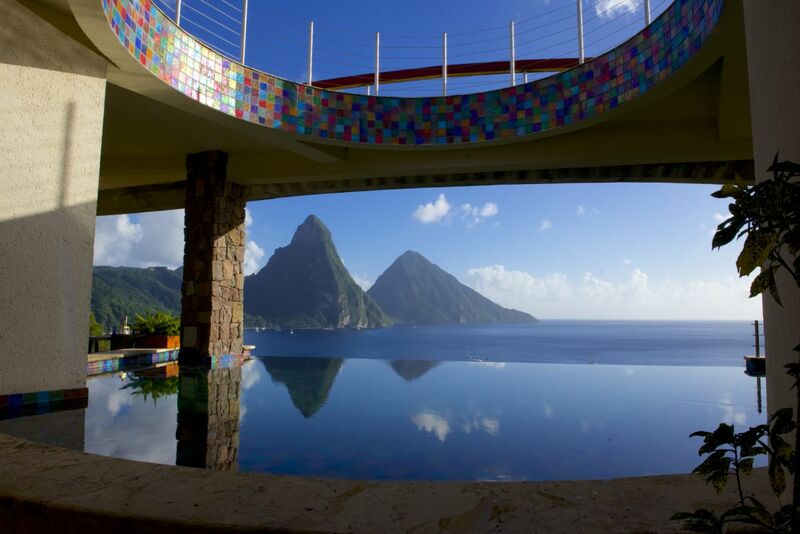 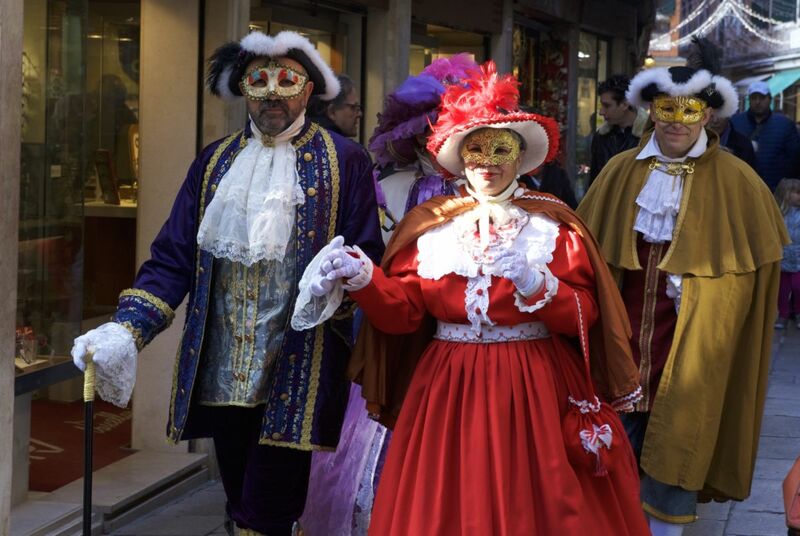 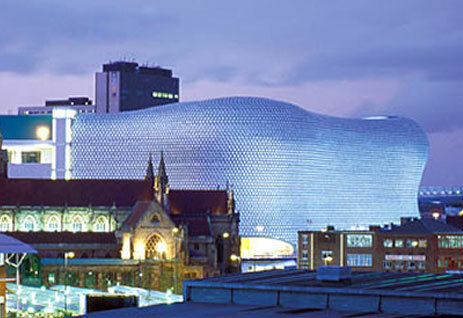 We can guarantee that no-one else will have anything quite like it! 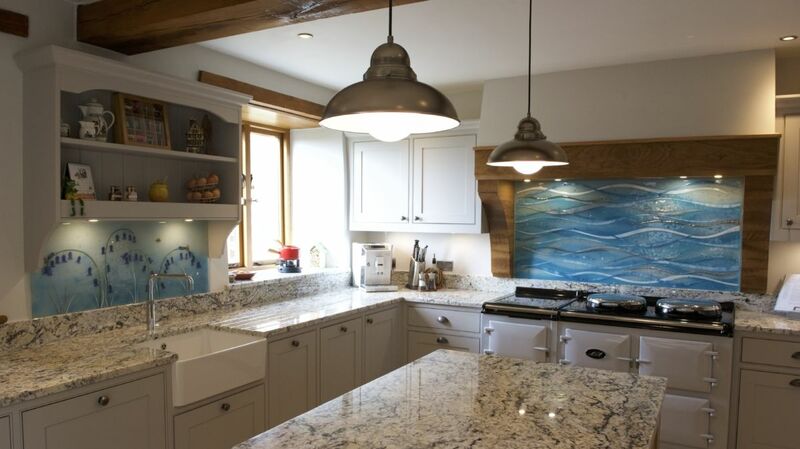 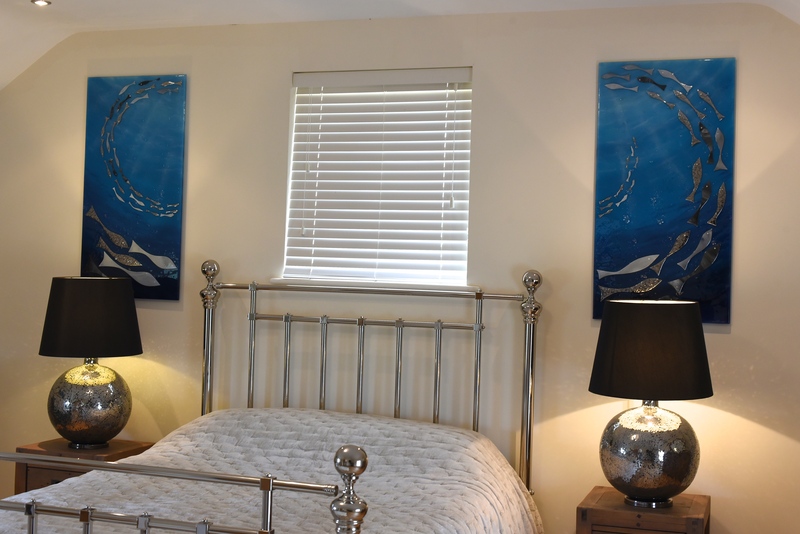 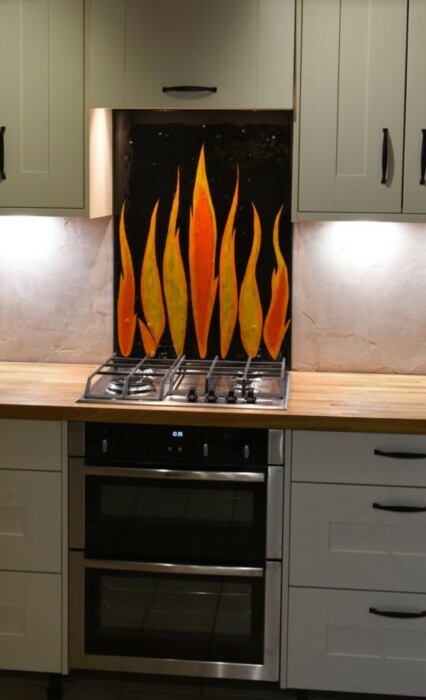 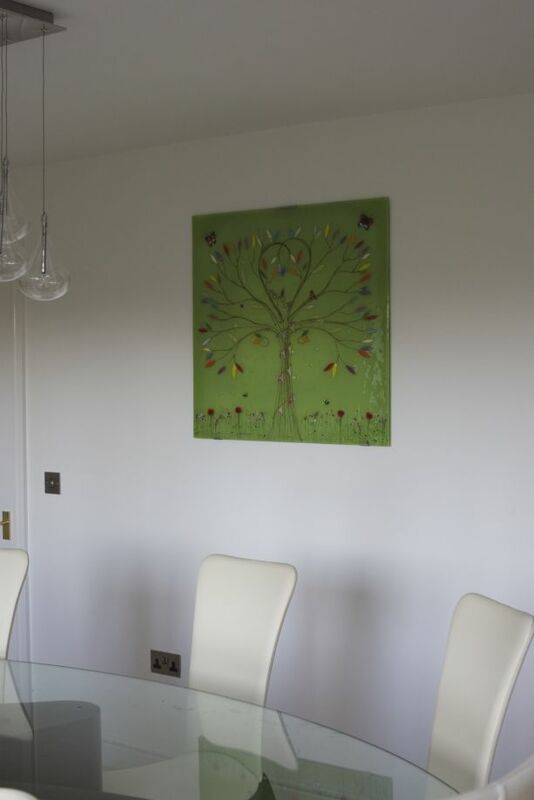 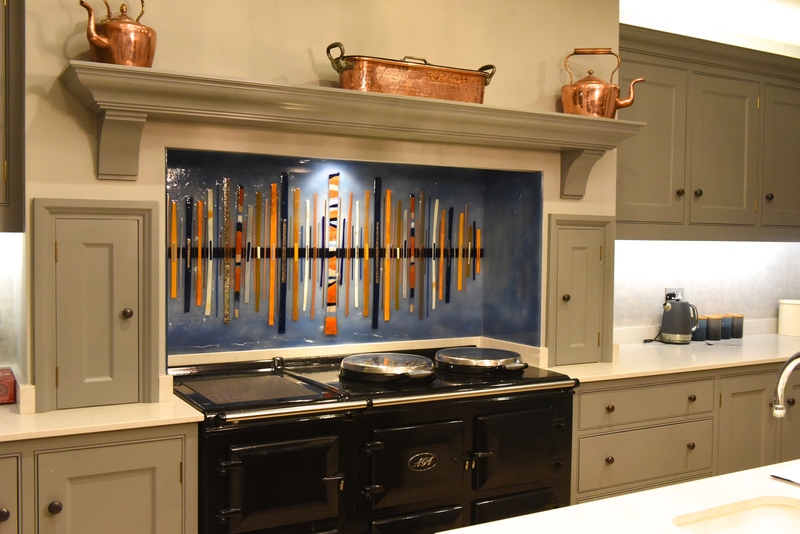 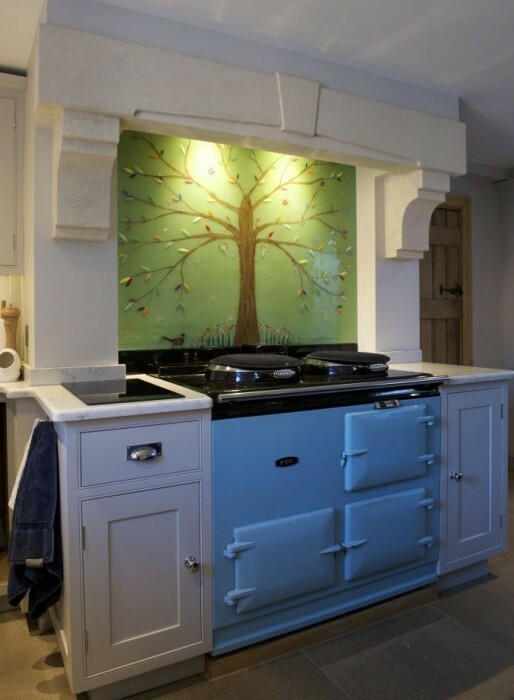 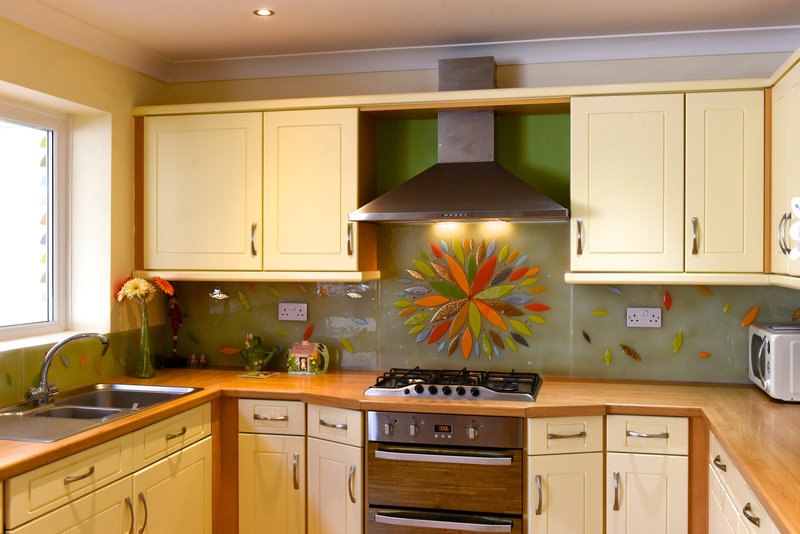 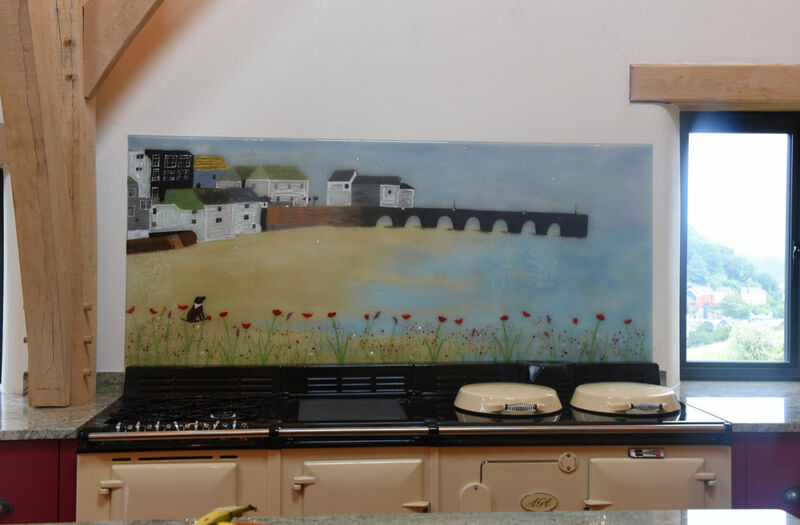 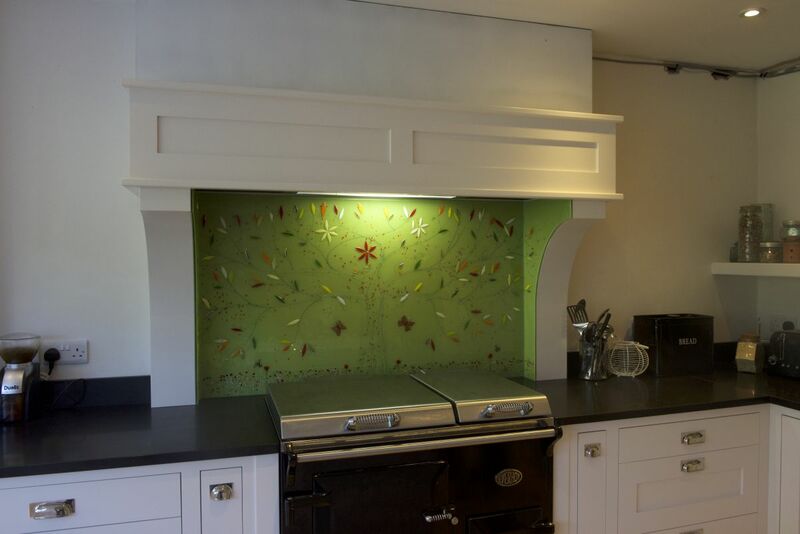 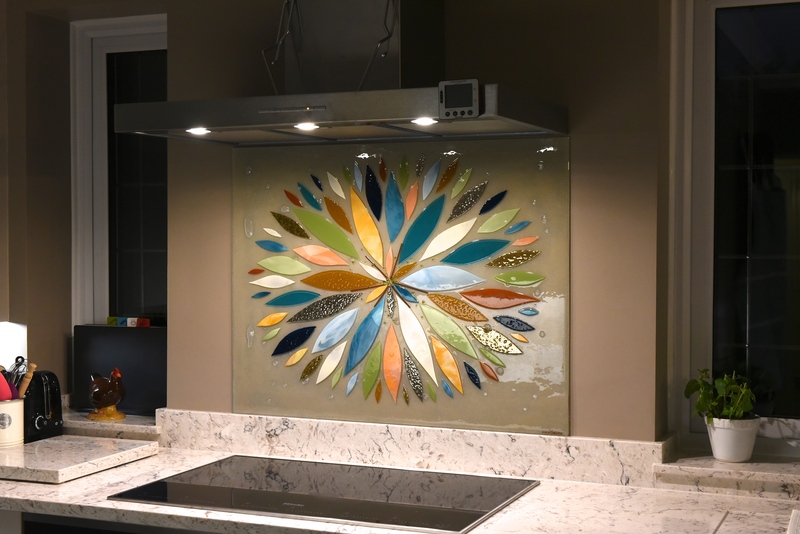 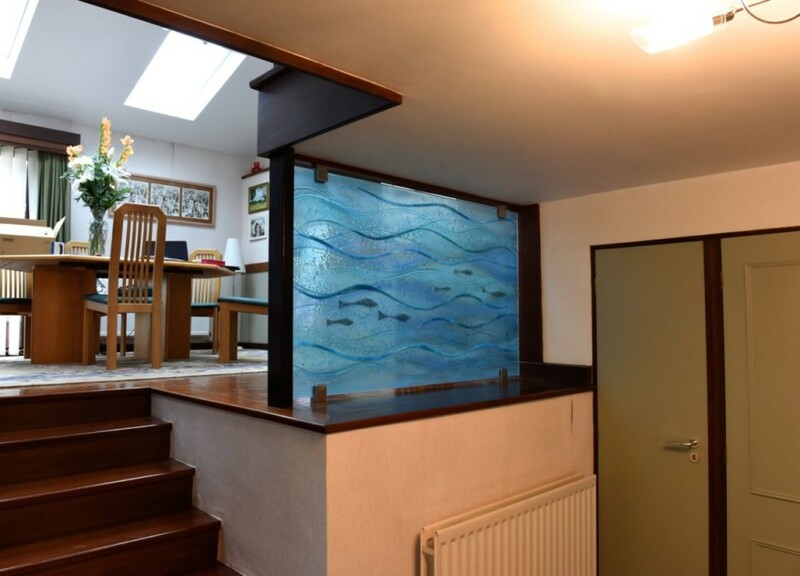 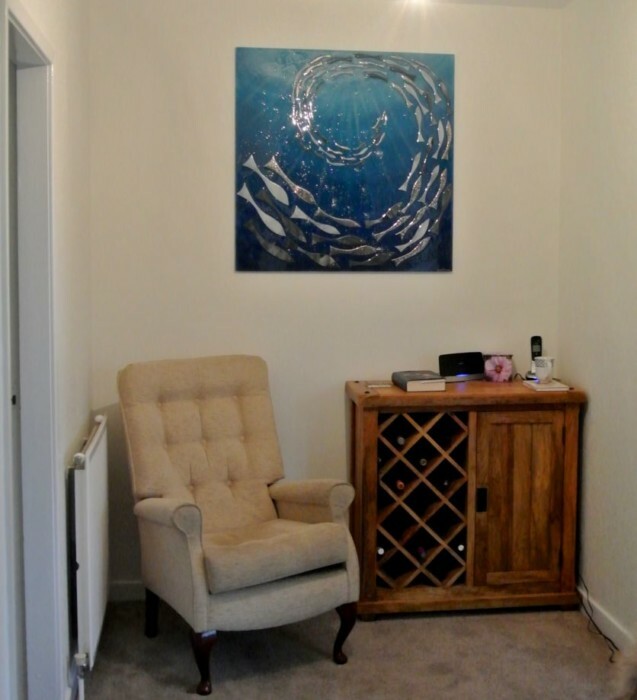 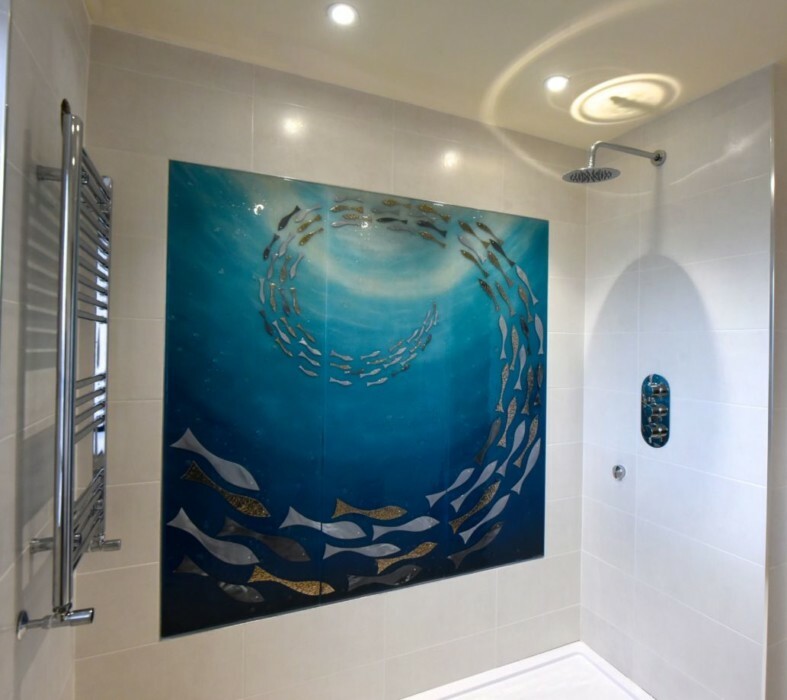 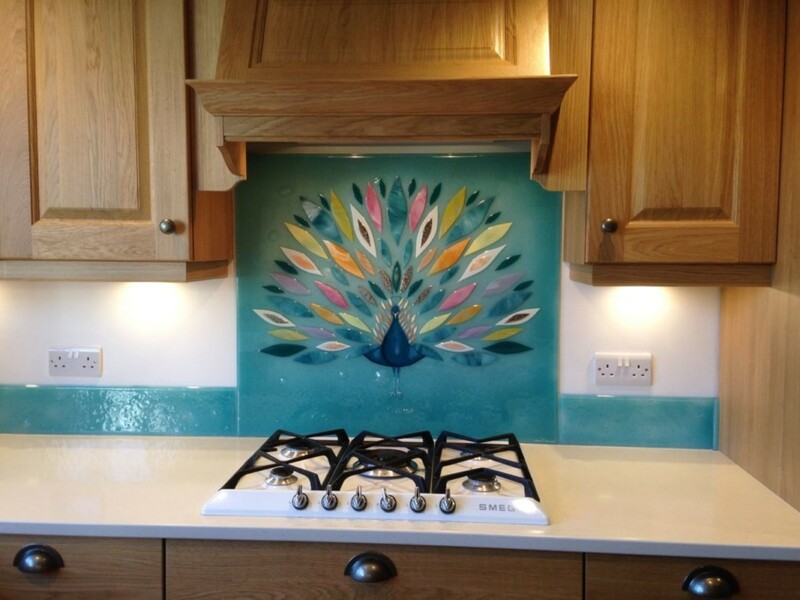 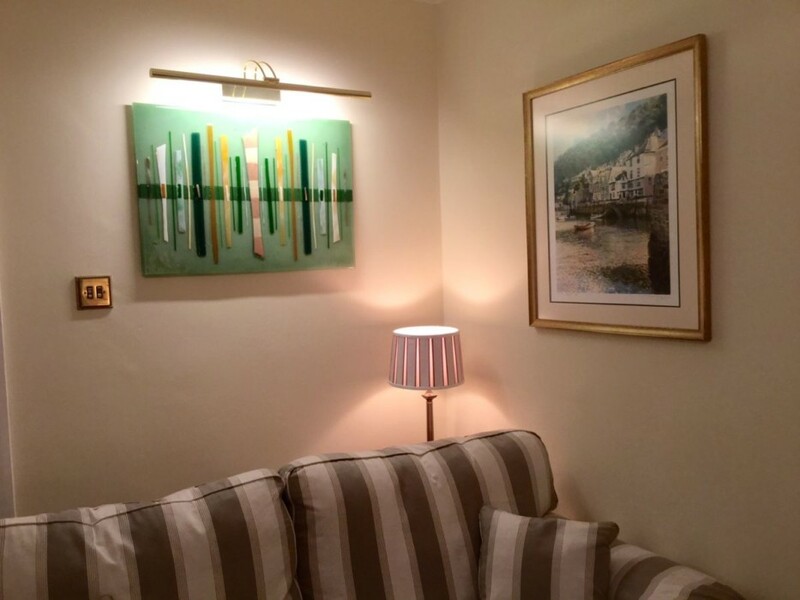 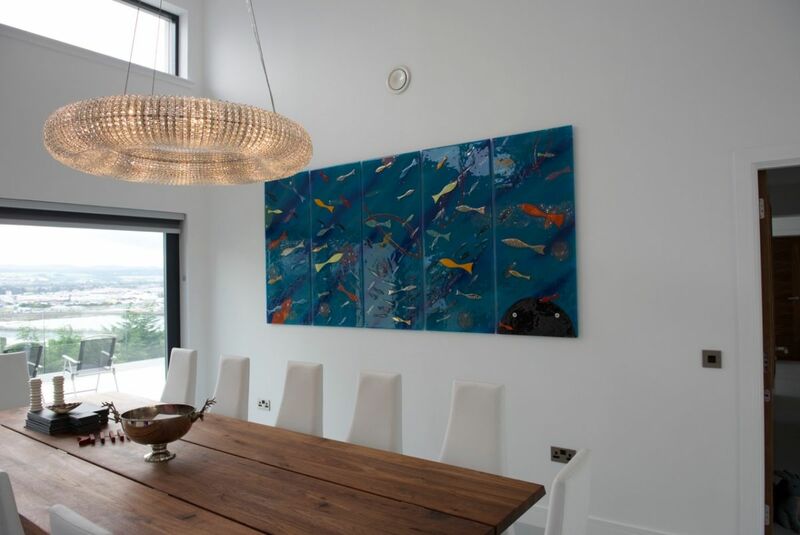 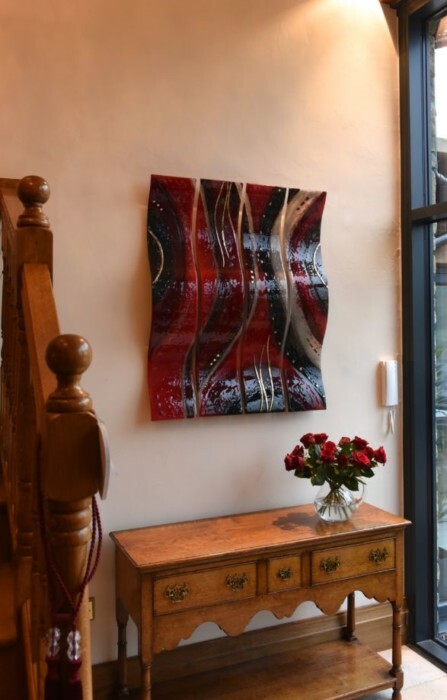 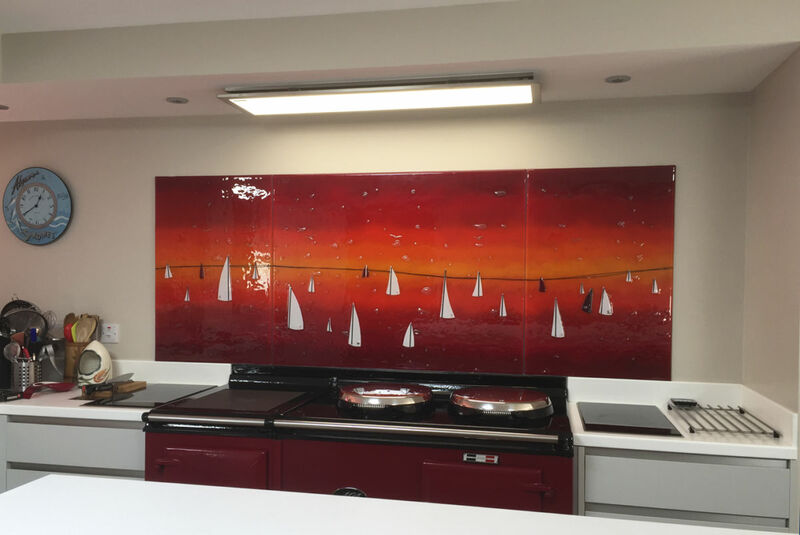 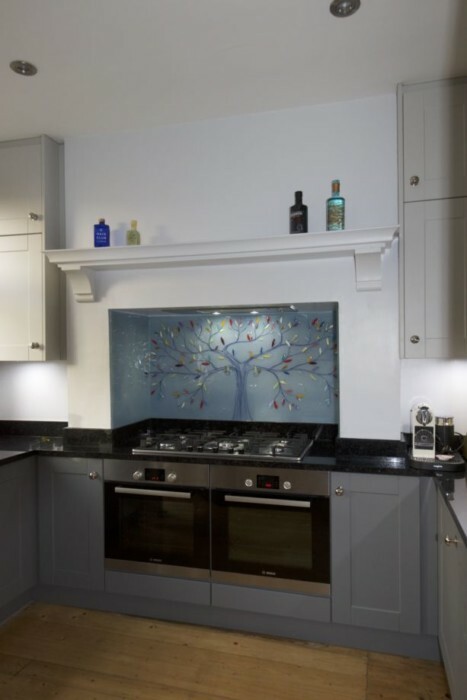 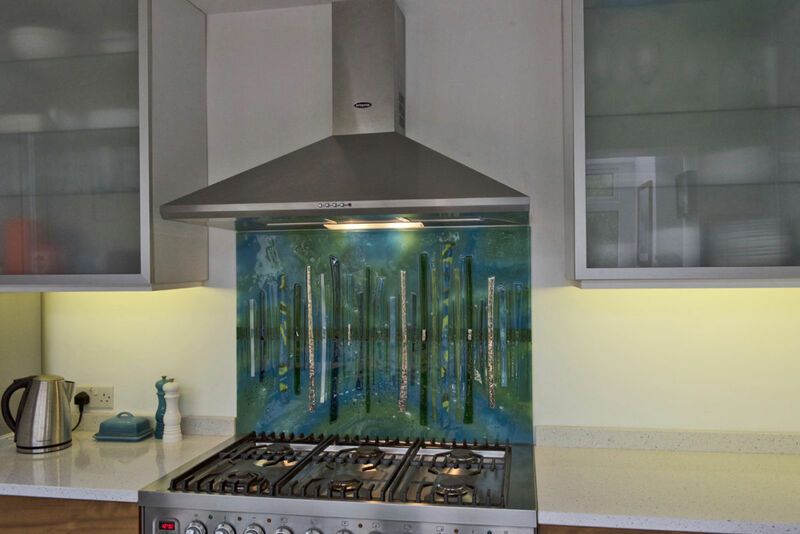 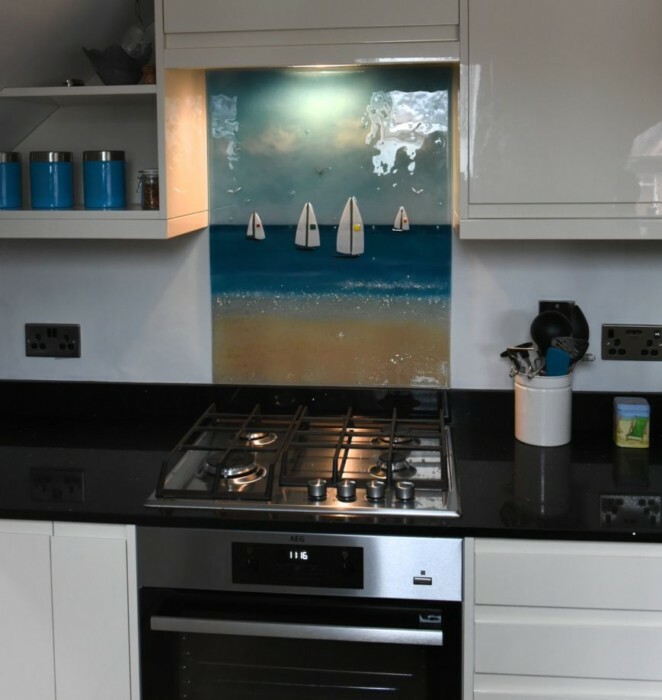 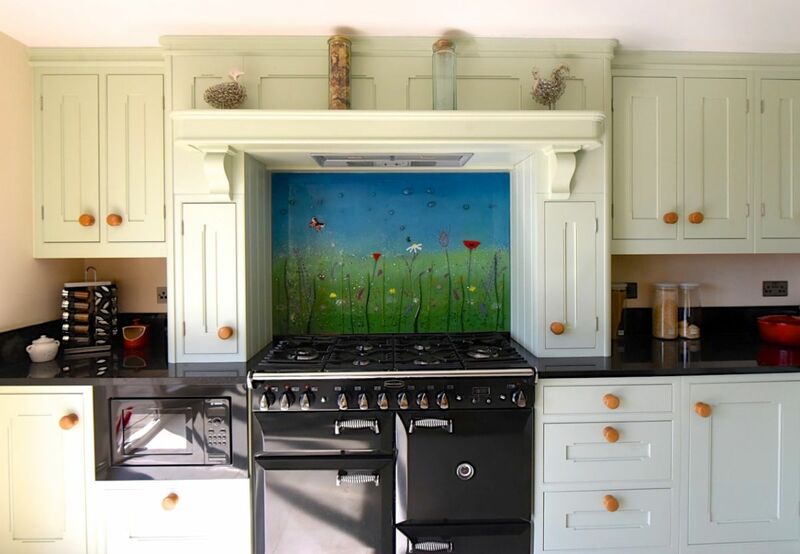 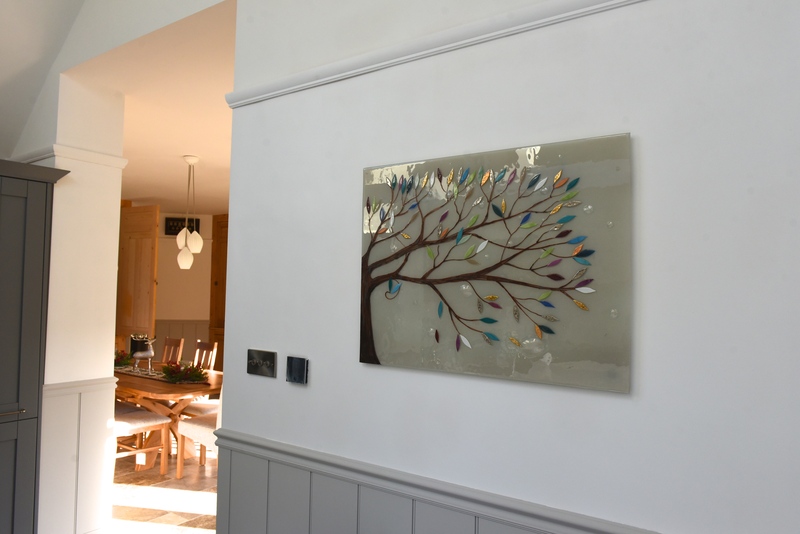 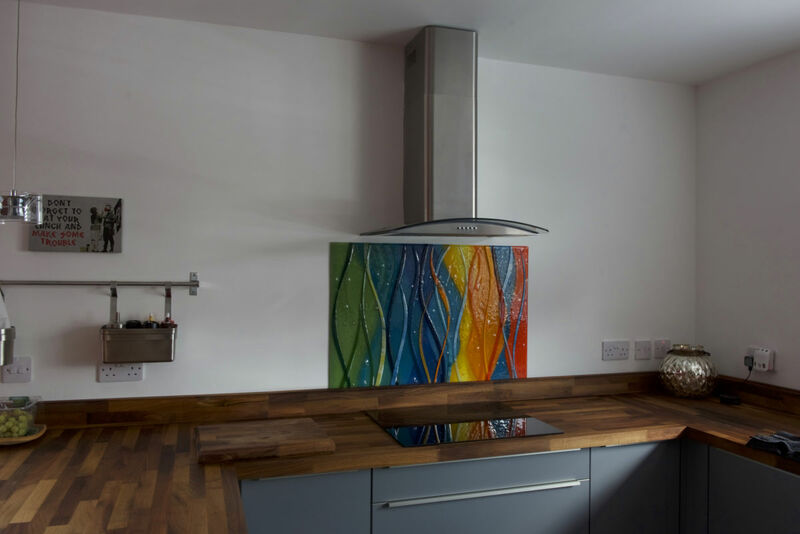 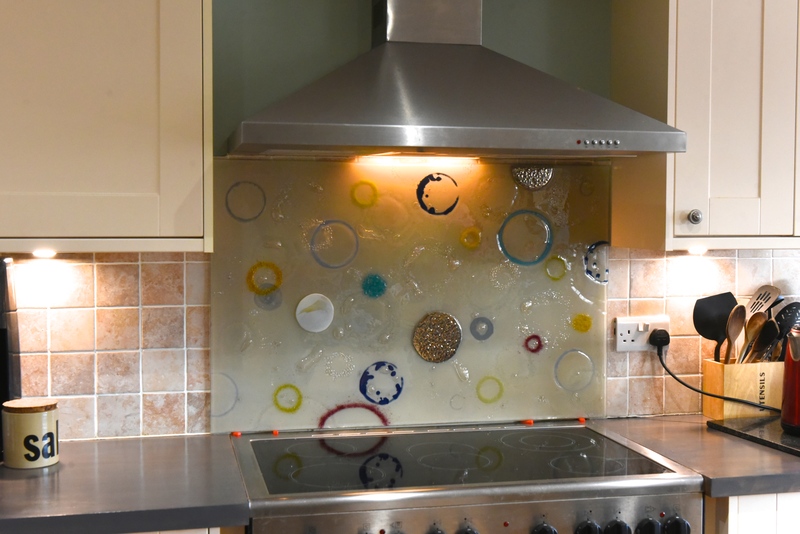 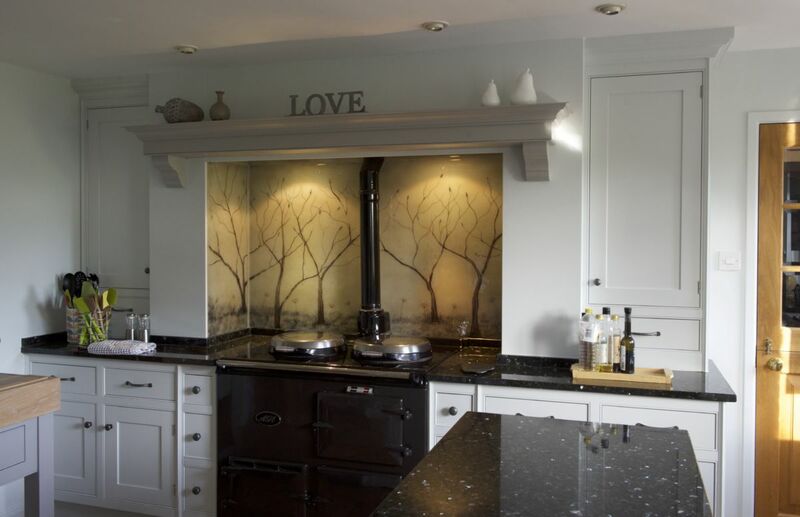 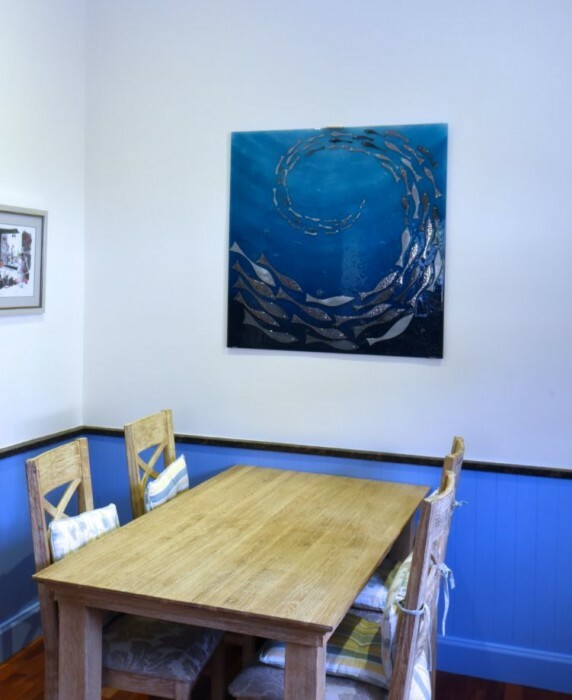 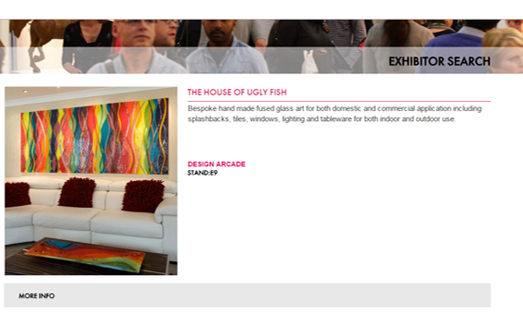 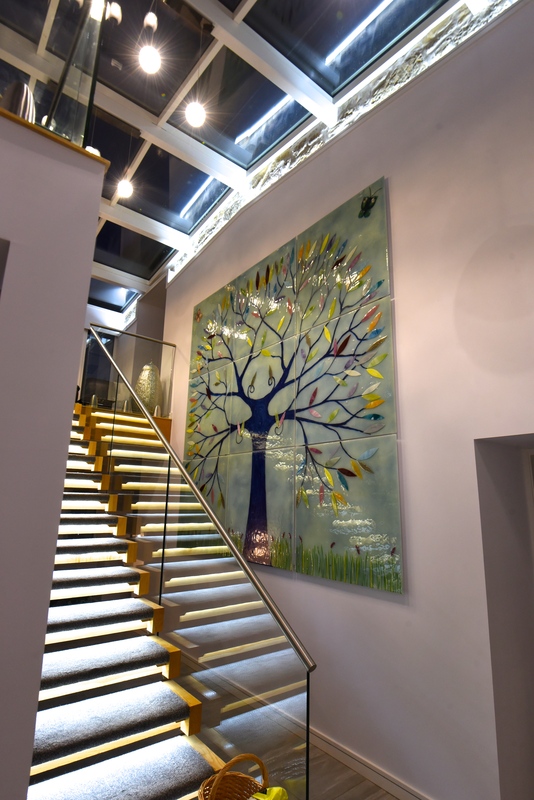 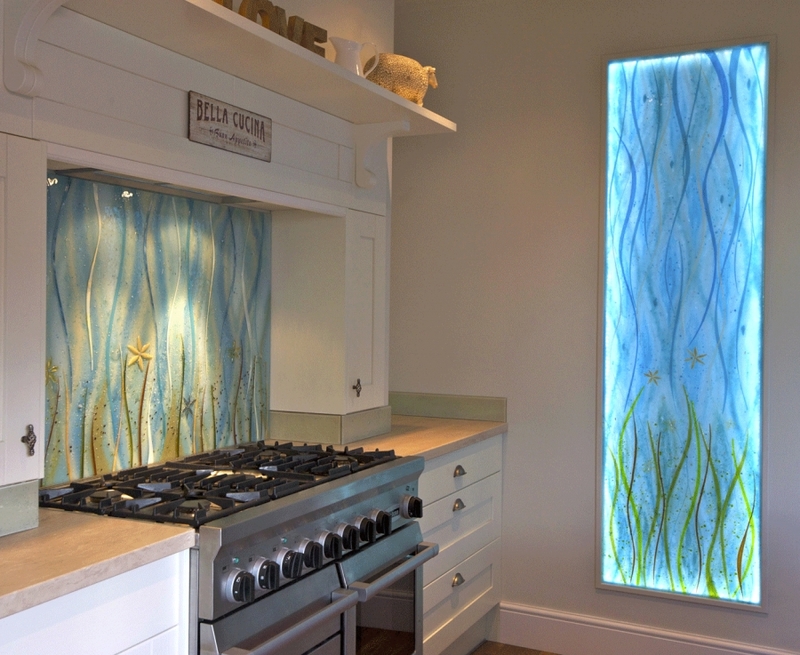 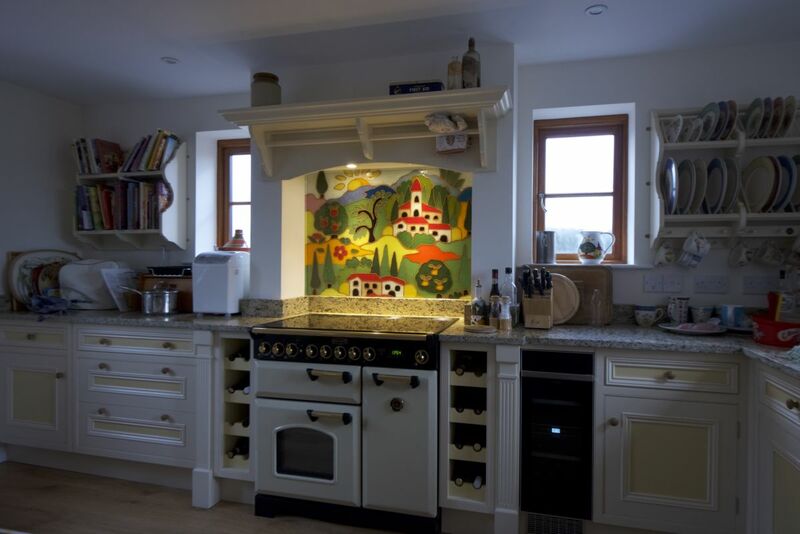 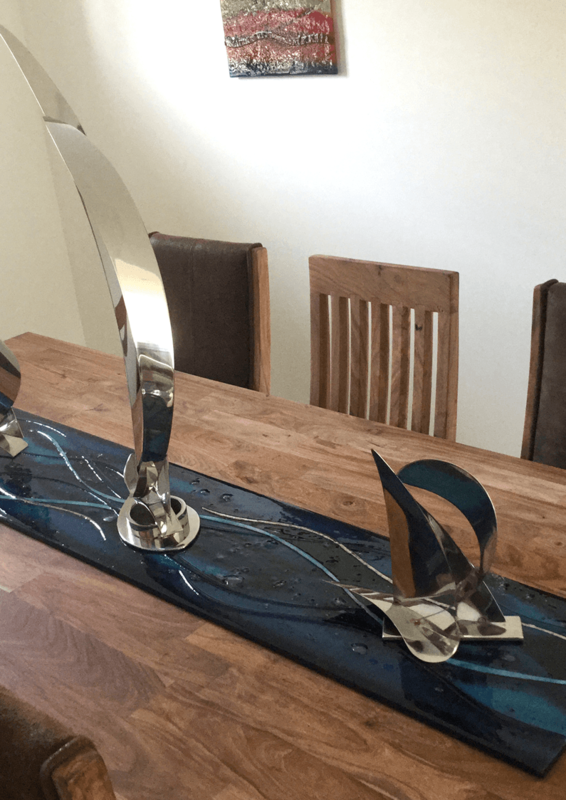 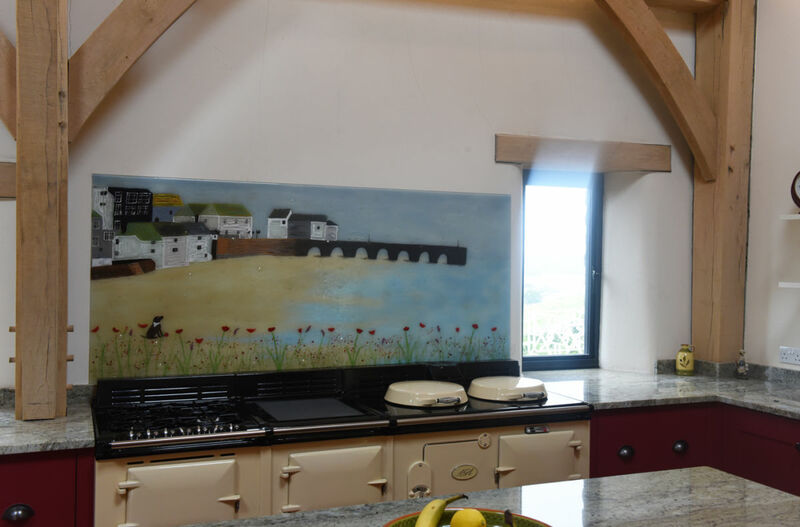 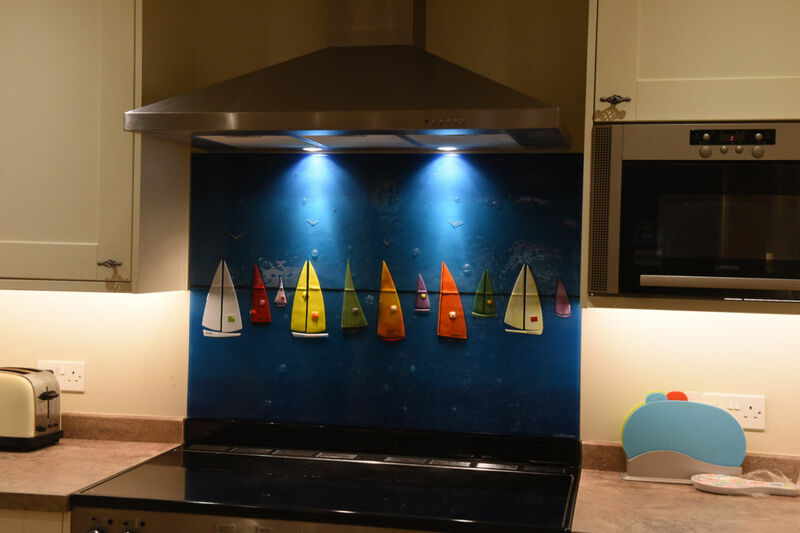 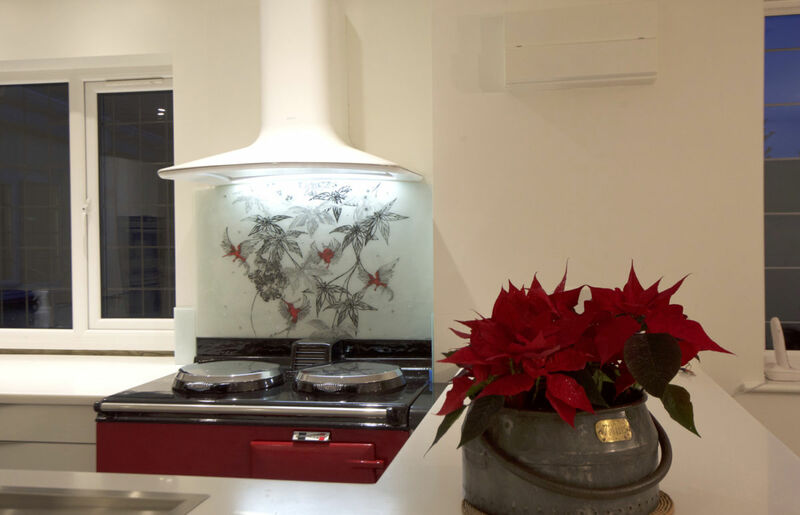 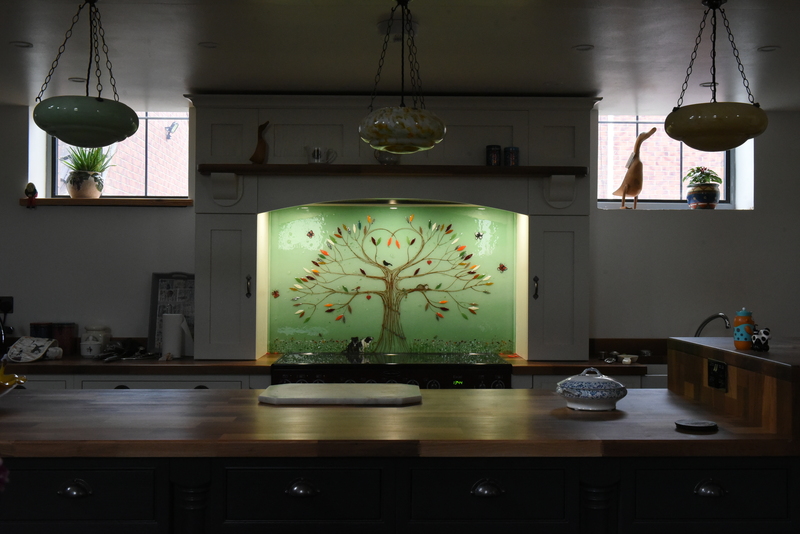 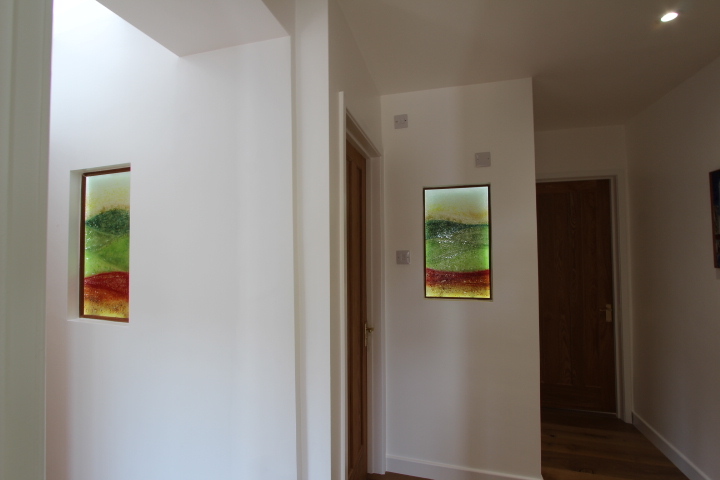 If you find yourself on the lookout for incredible glass wall art just like the two beautiful pieces you see pictured at the top of this blog, then why not let the team here at The House of Ugly Fish guide you to getting your very own piece from our workshop? 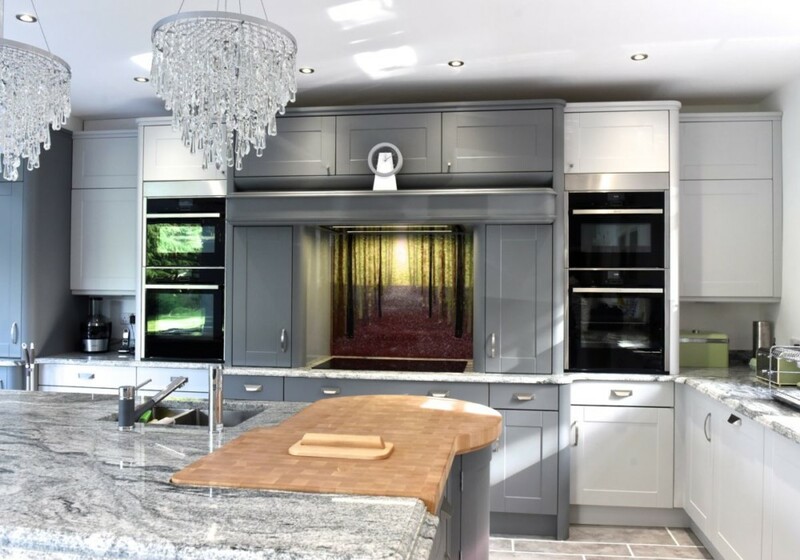 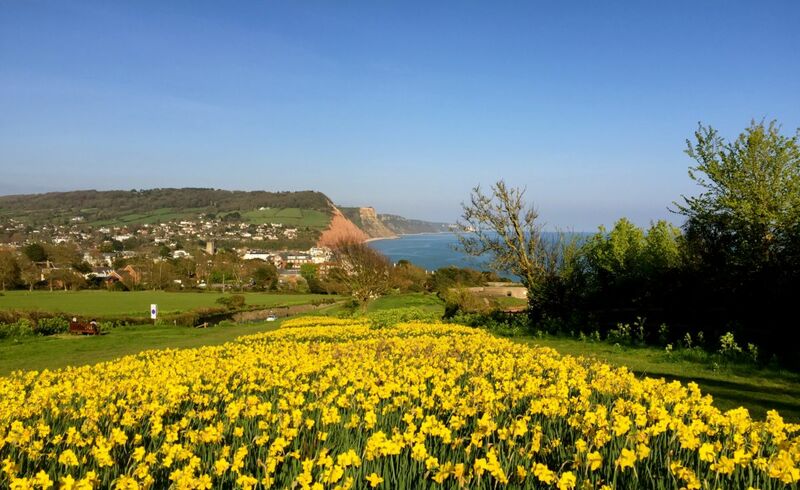 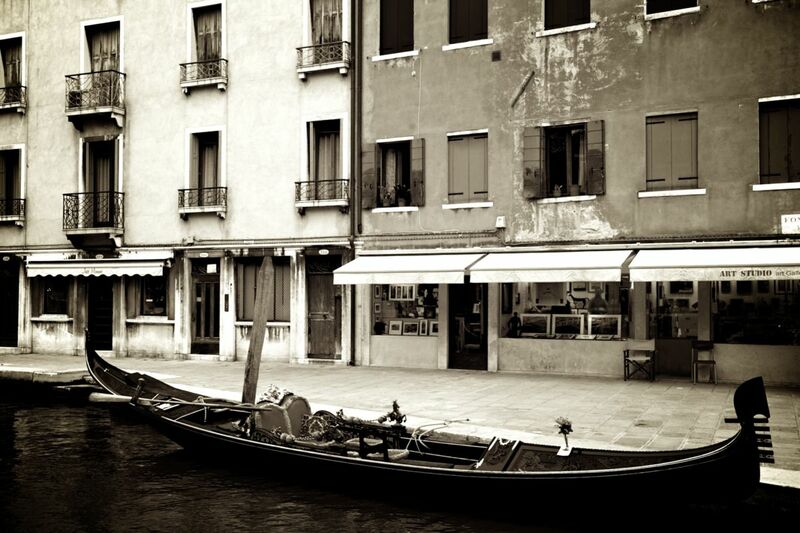 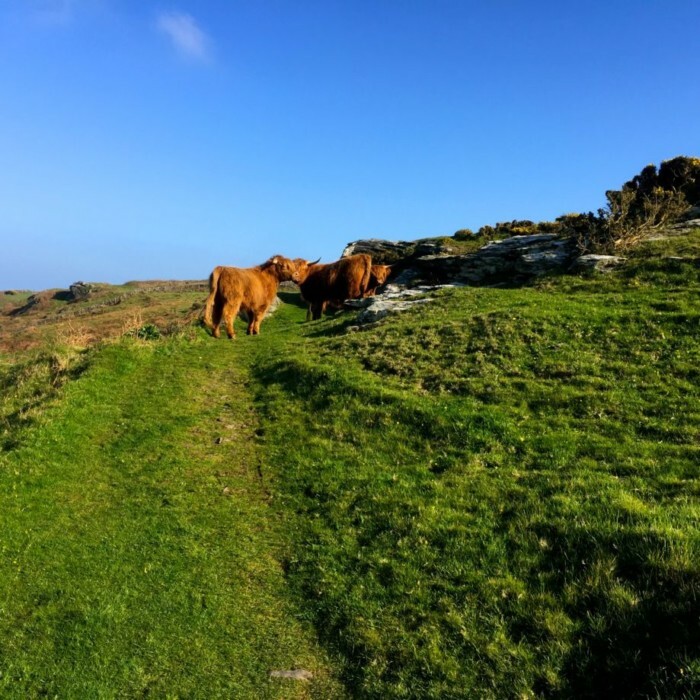 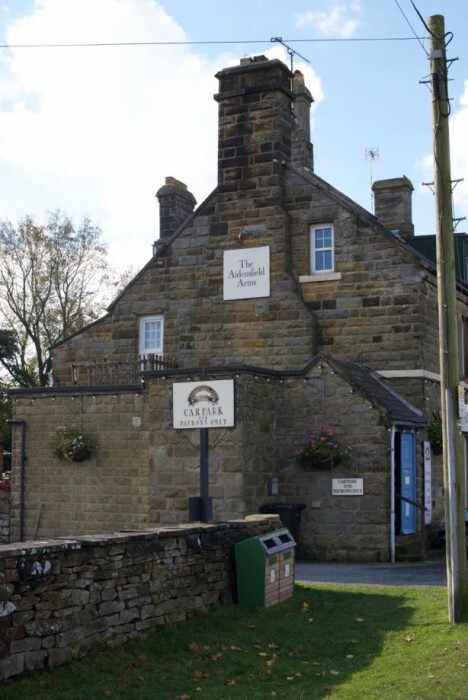 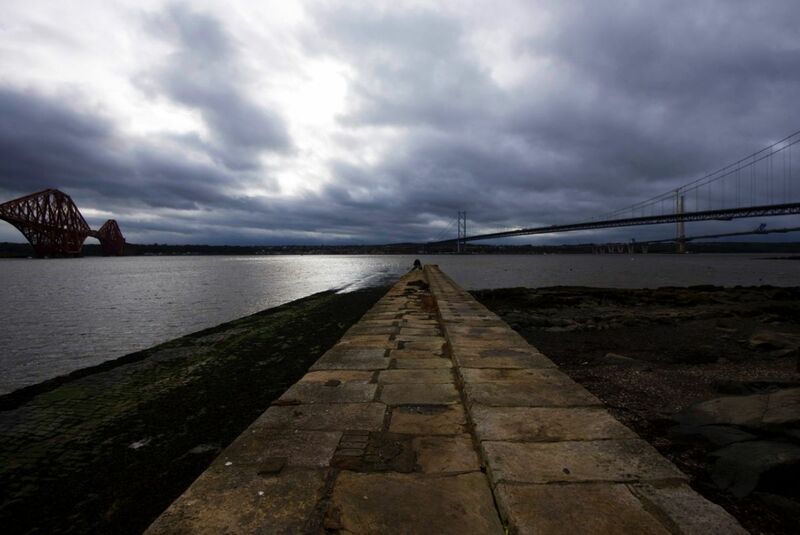 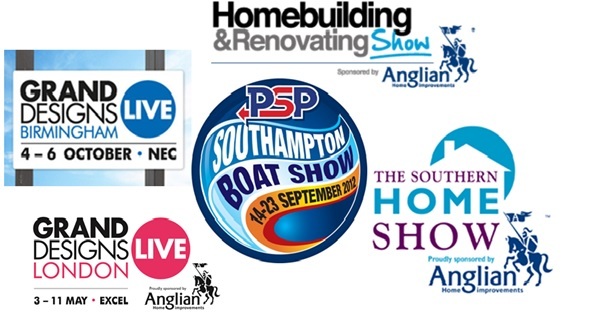 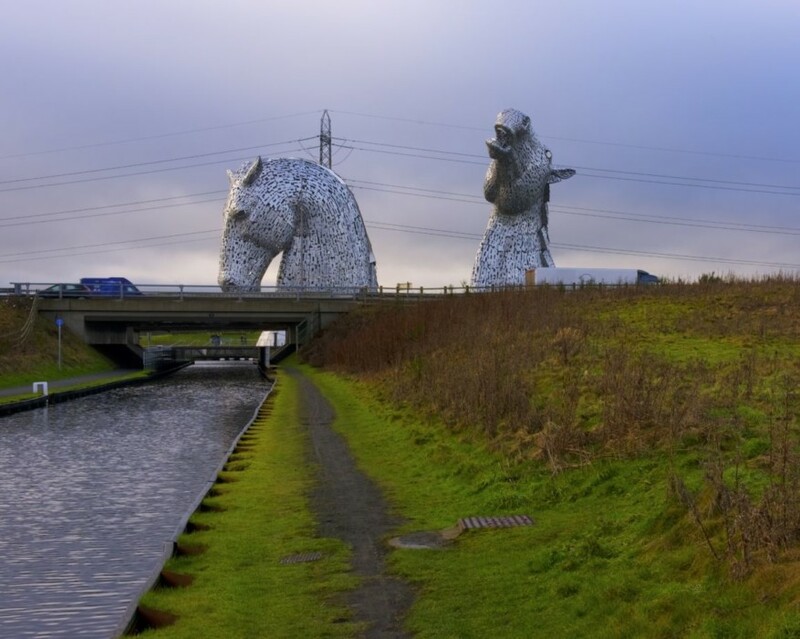 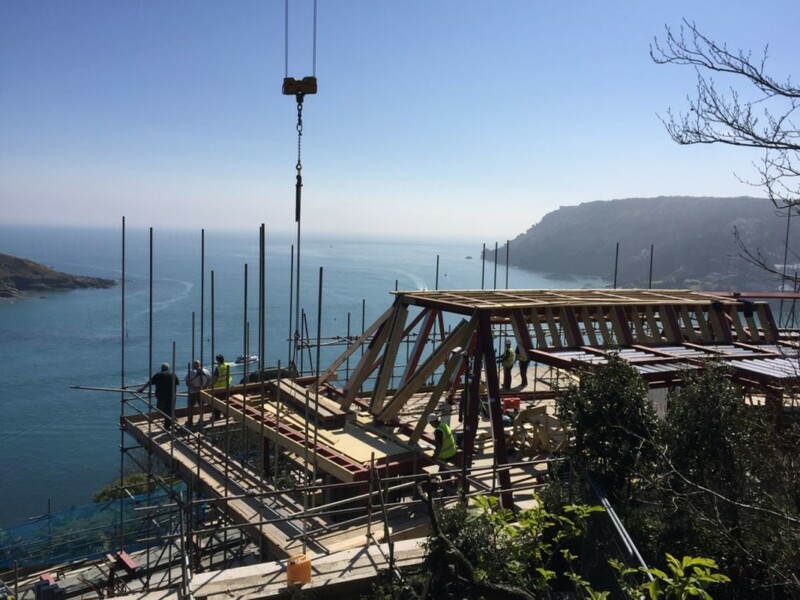 You can find our full contact details right here on our website, so make sure you don’t hesitate to send us an email or give us a phone call soon. 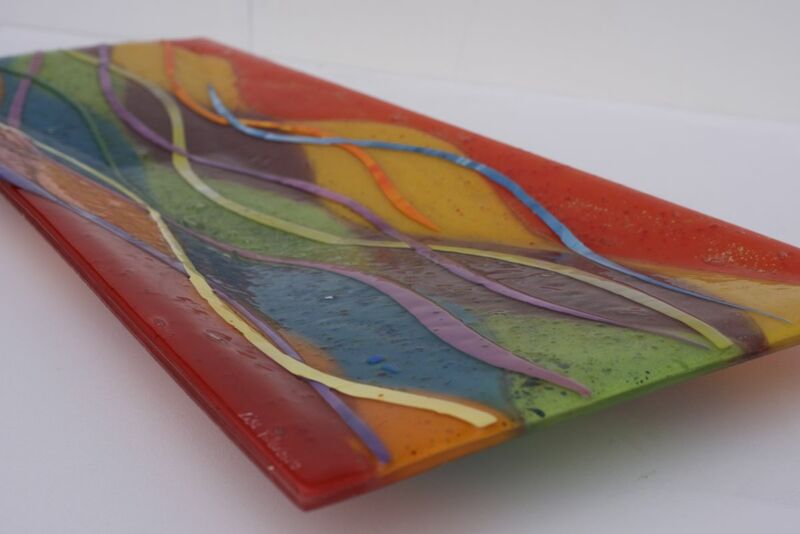 We can’t wait to get started on your very own piece of fused glass art!